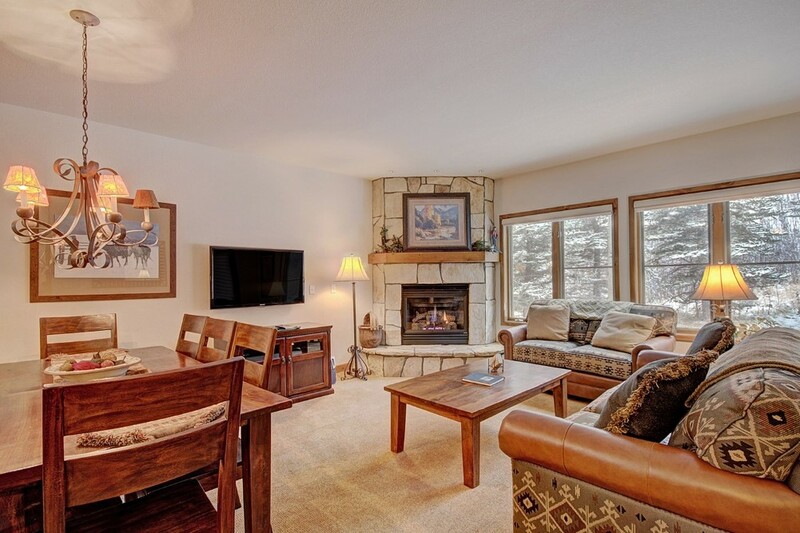 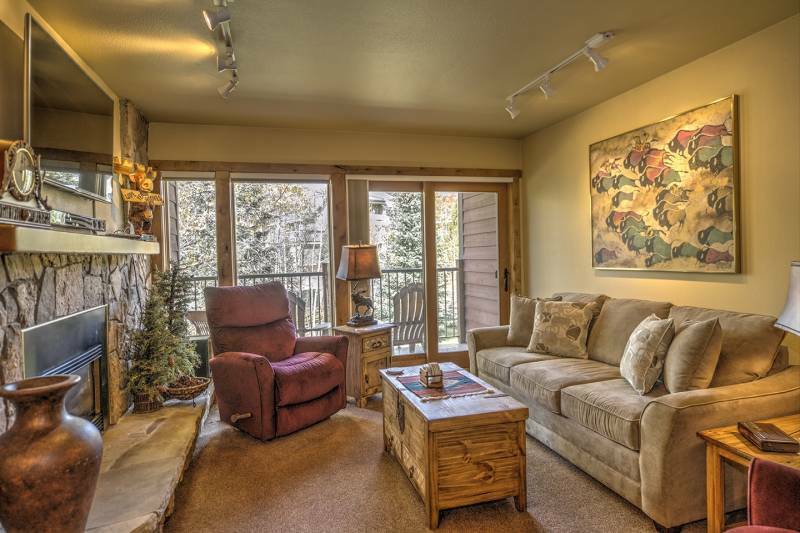 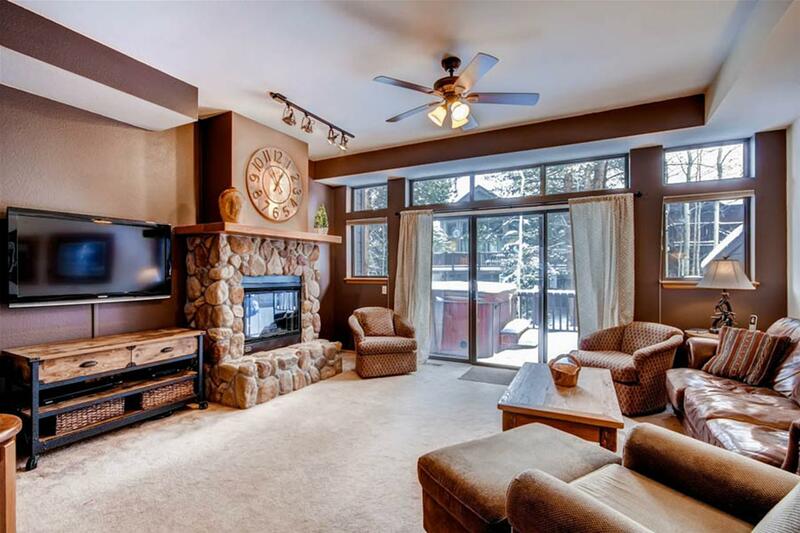 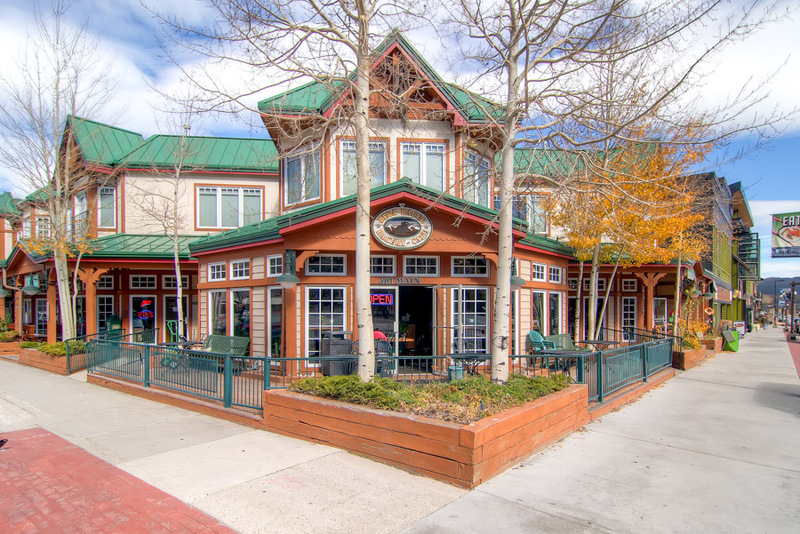 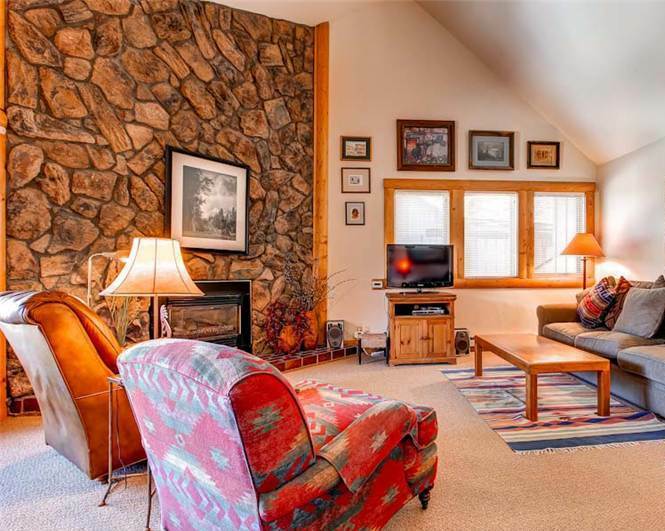 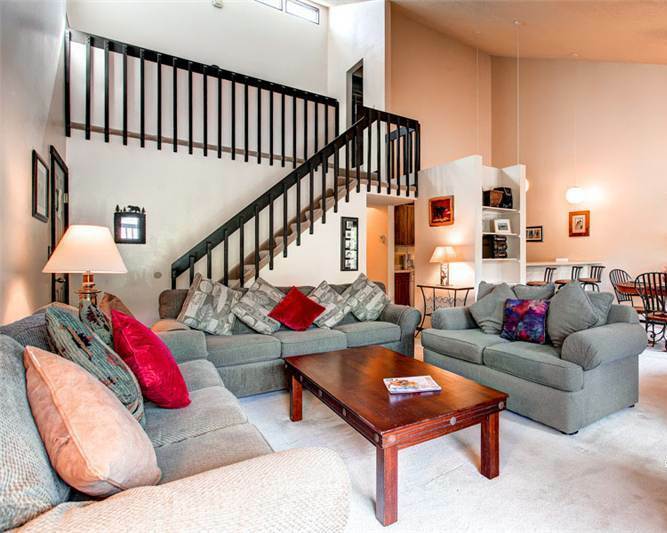 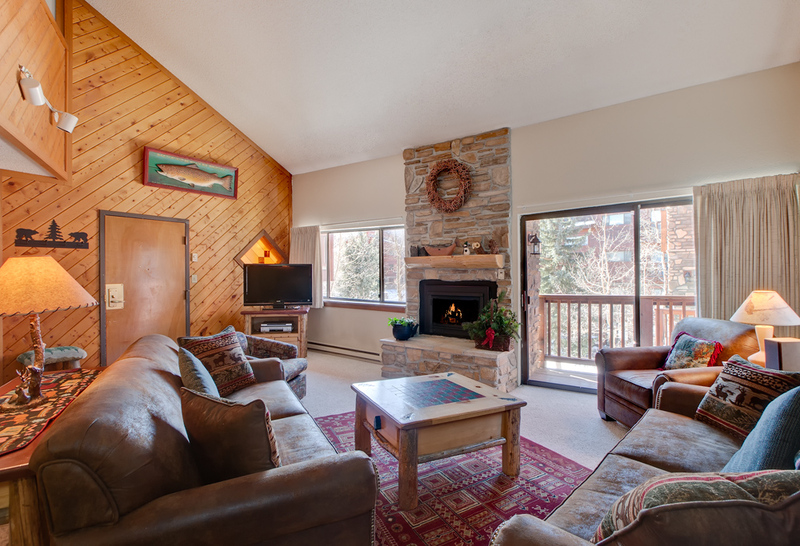 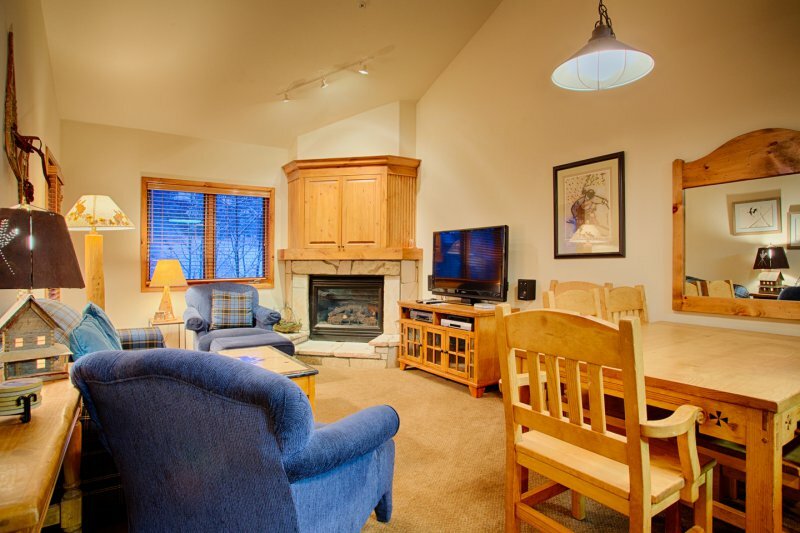 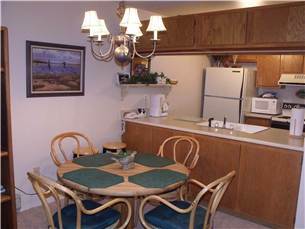 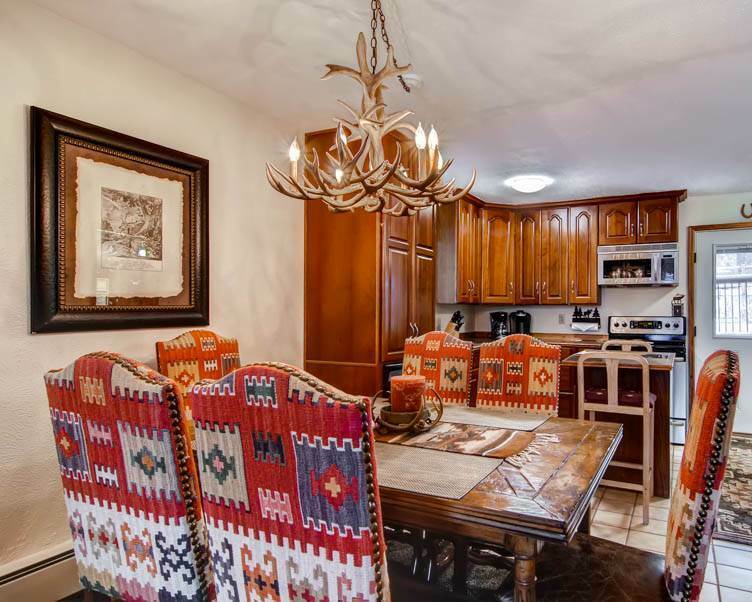 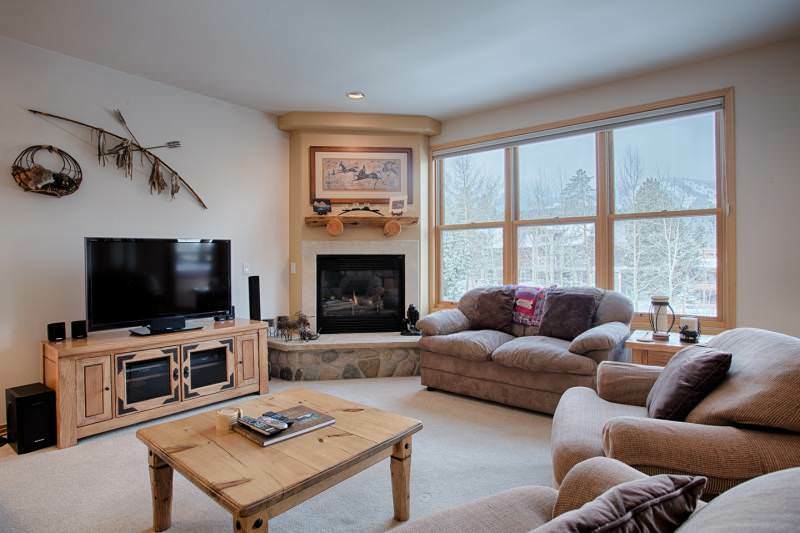 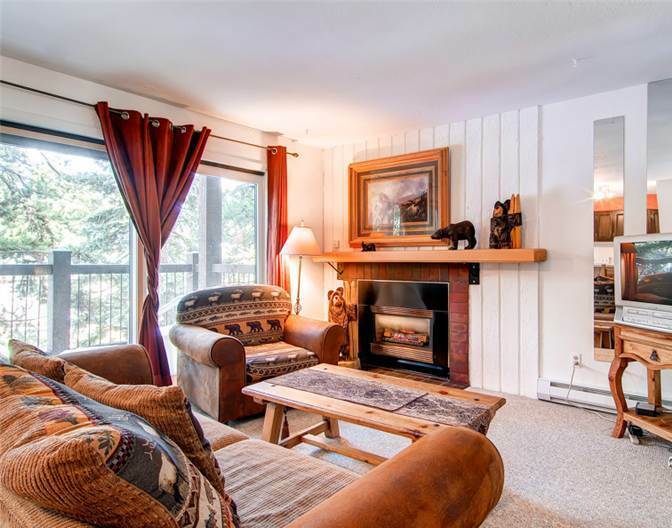 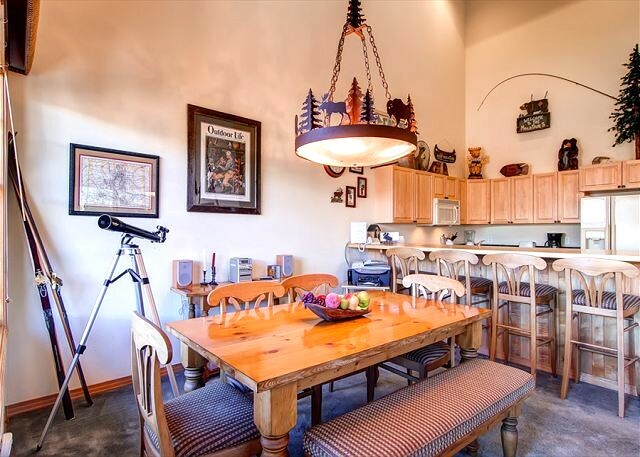 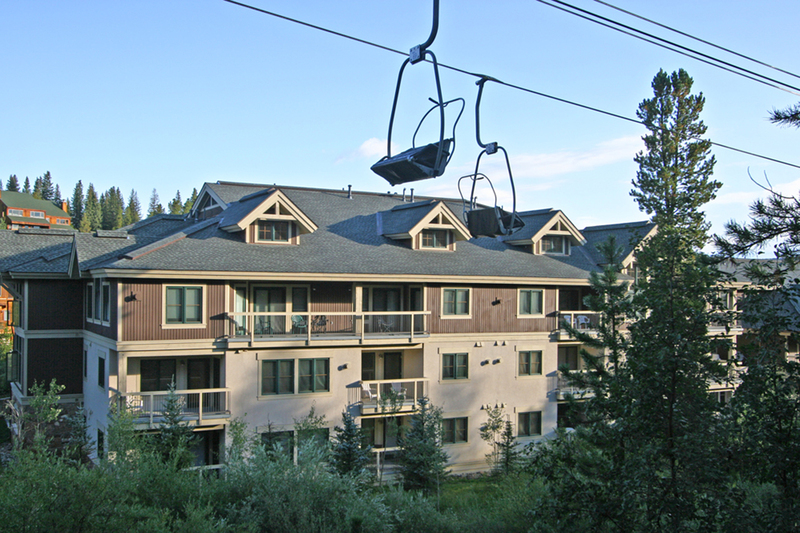 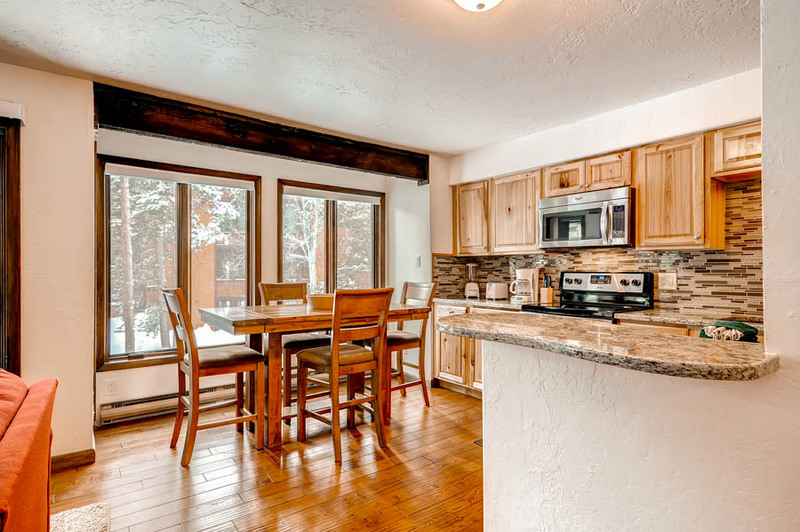 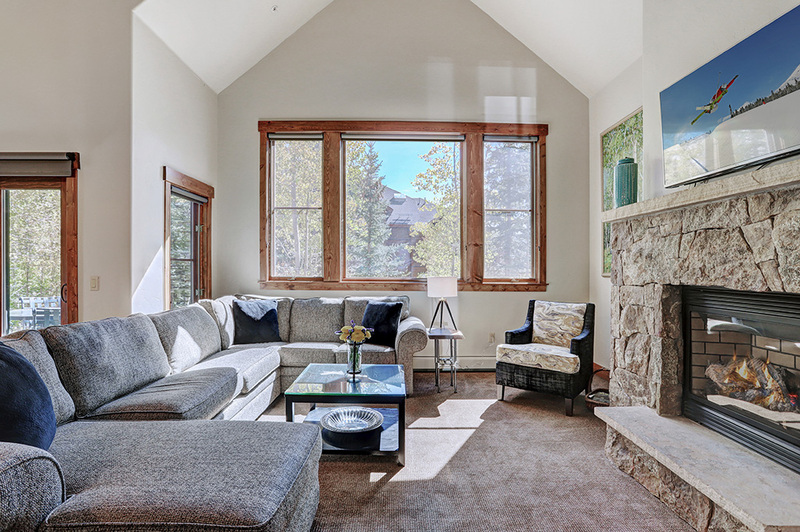 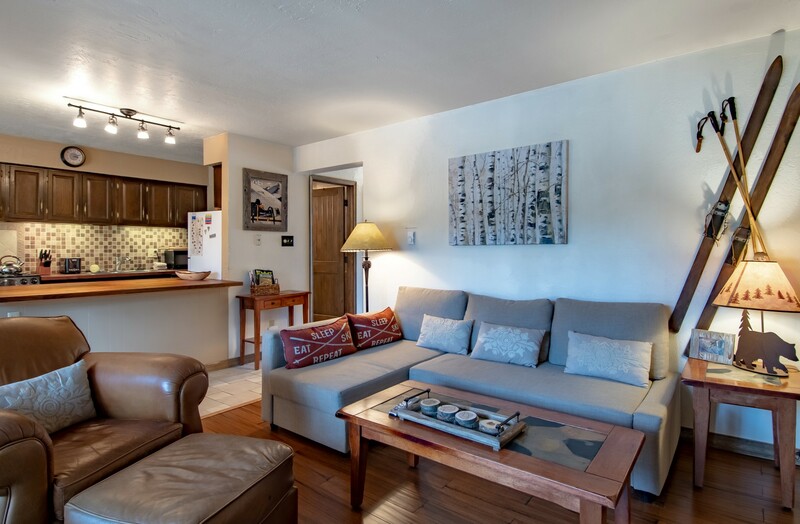 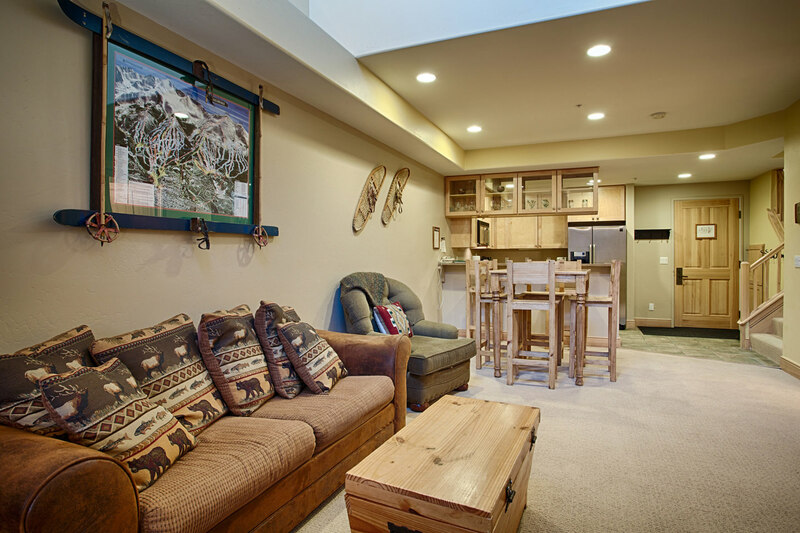 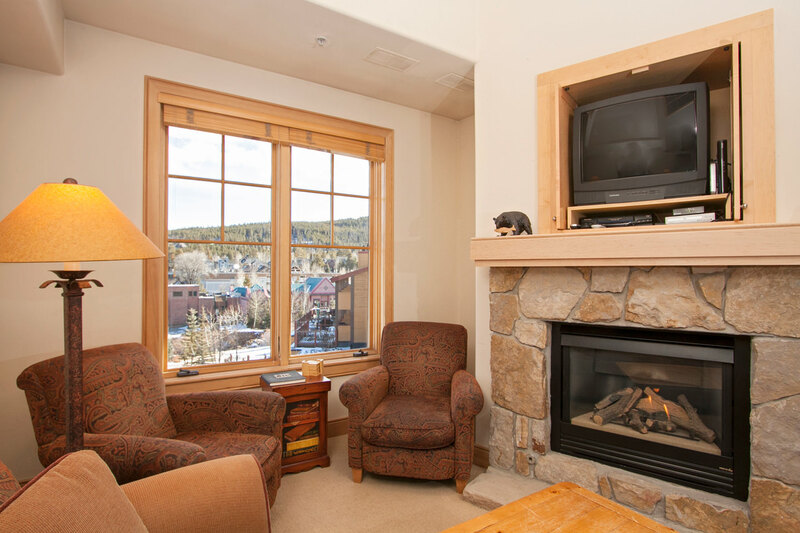 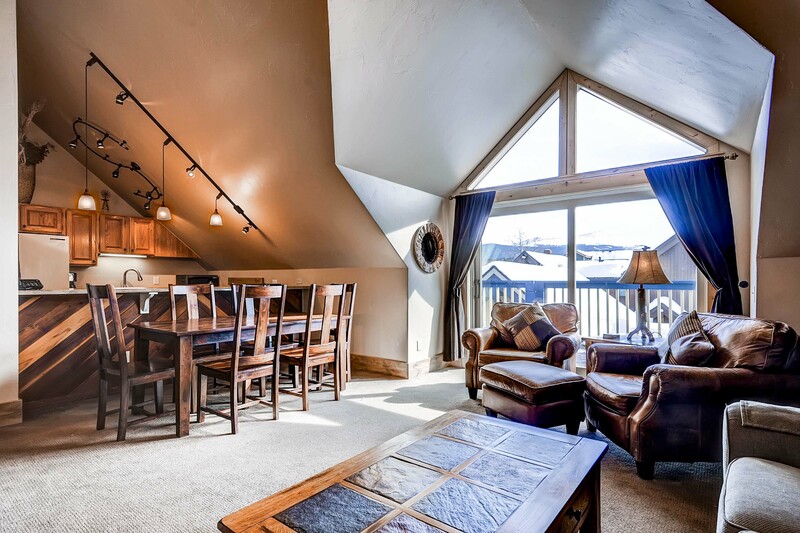 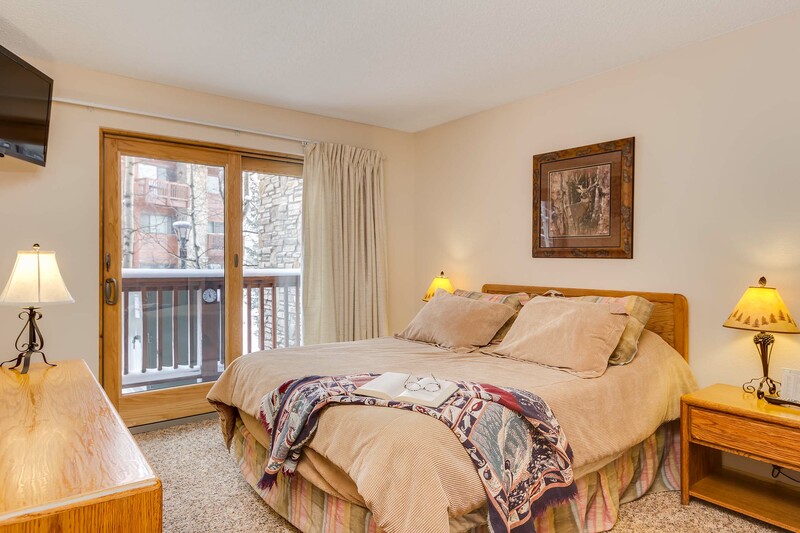 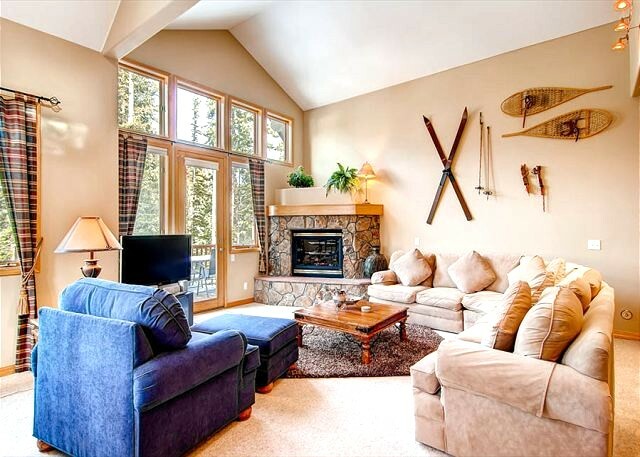 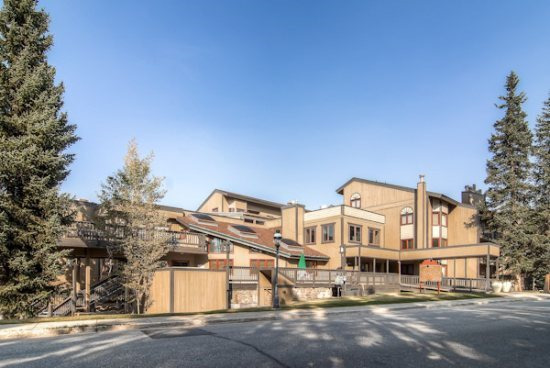 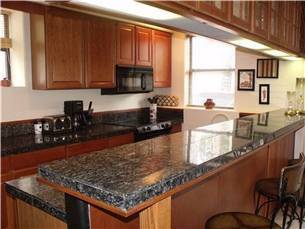 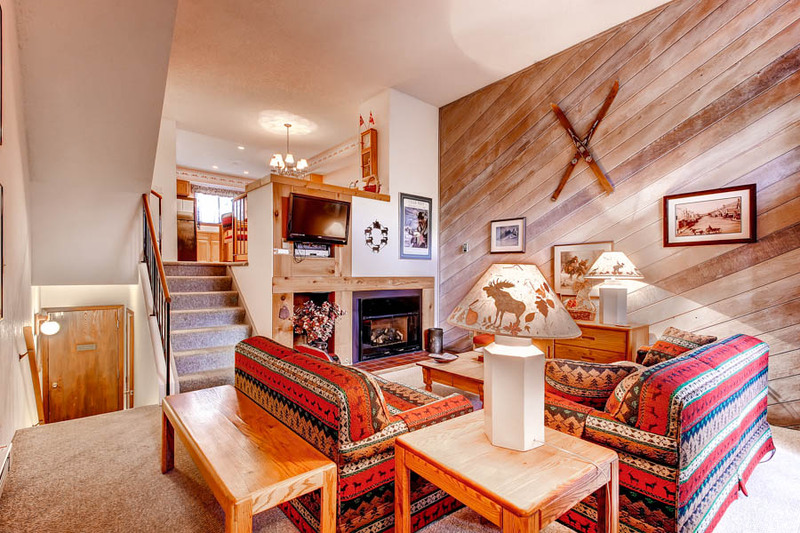 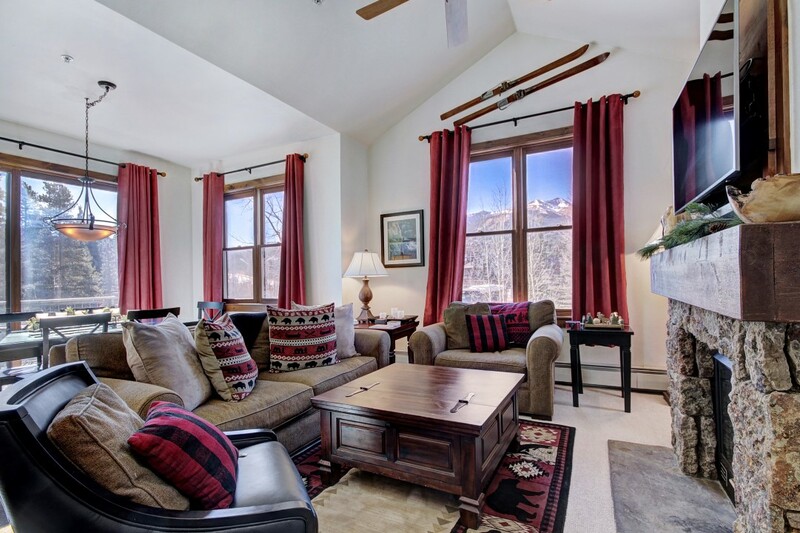 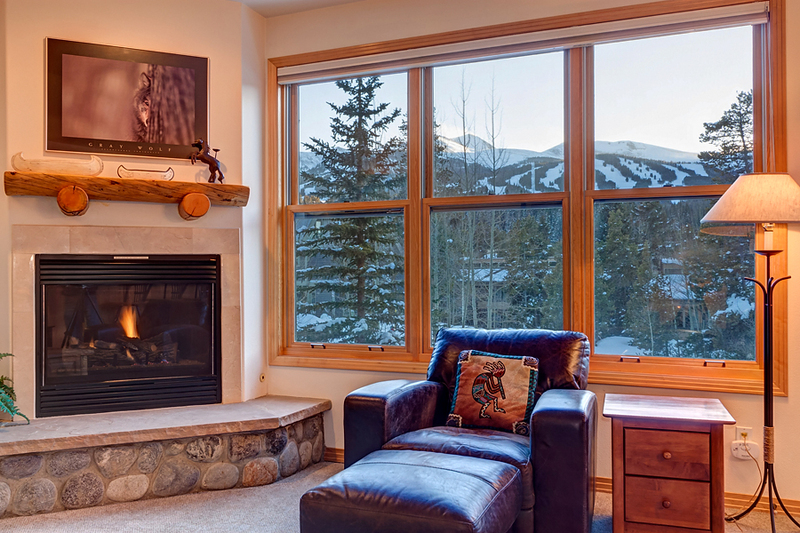 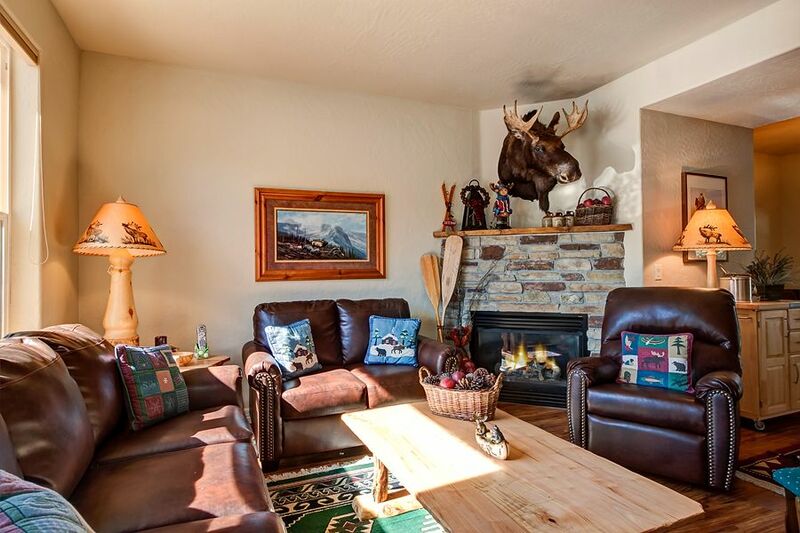 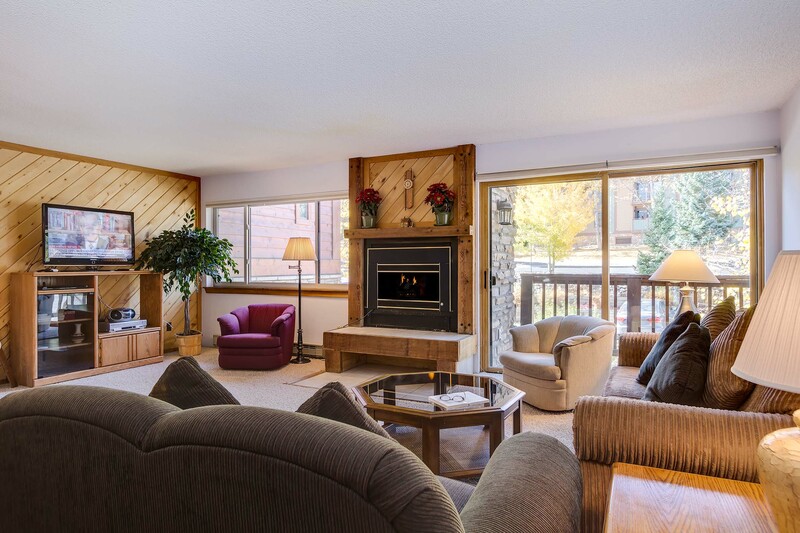 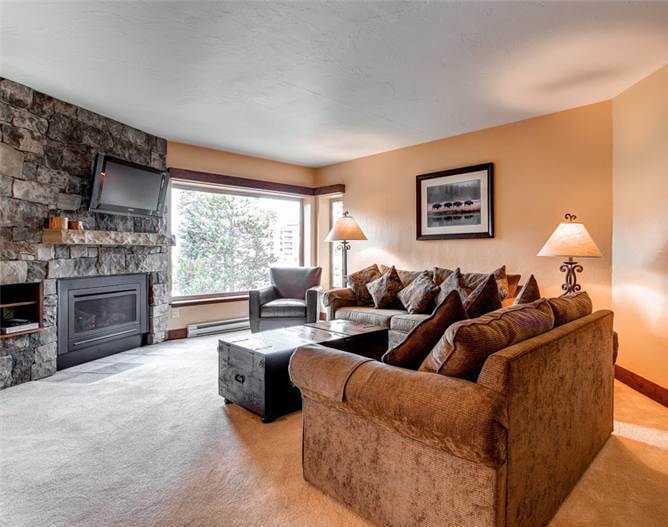 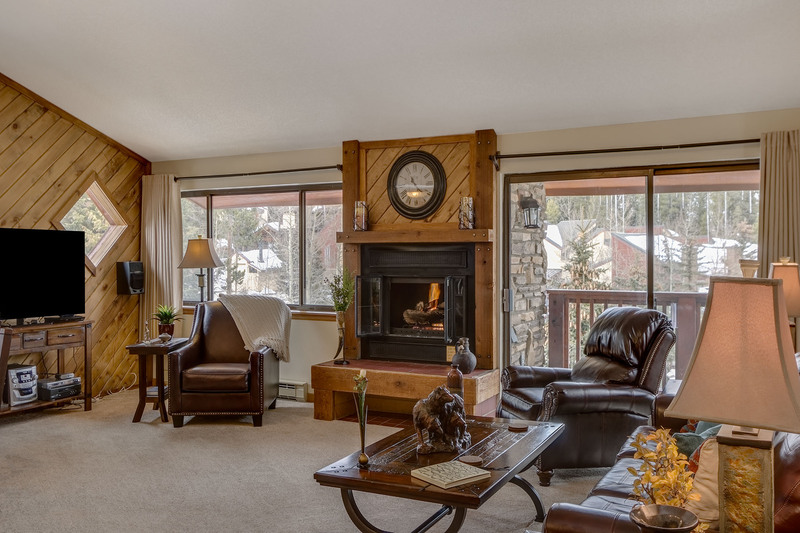 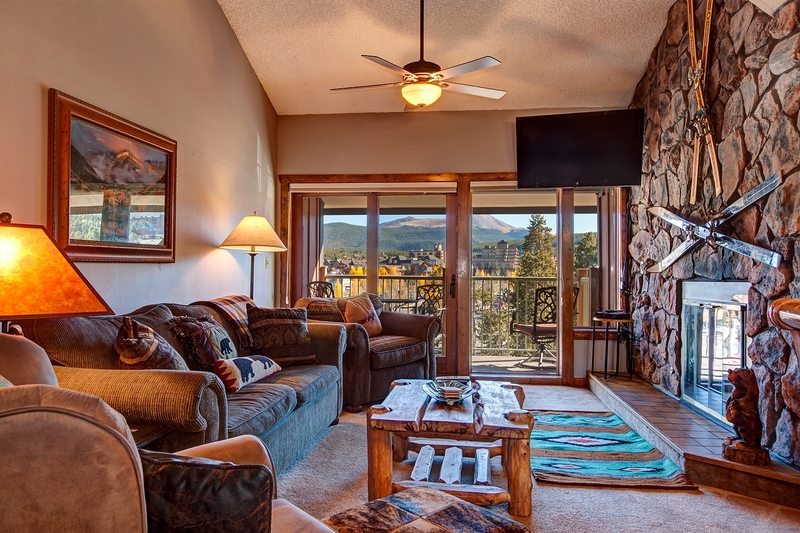 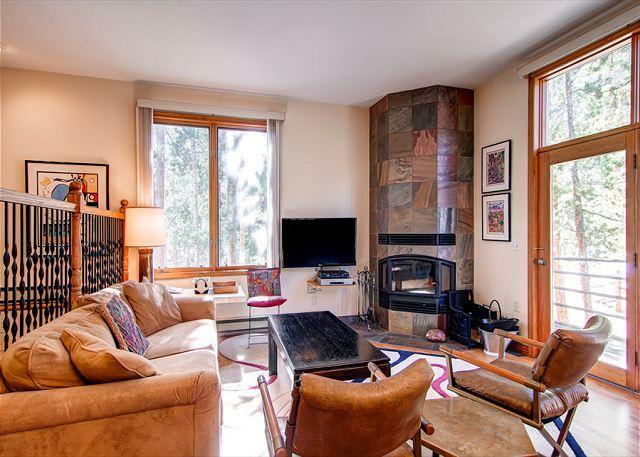 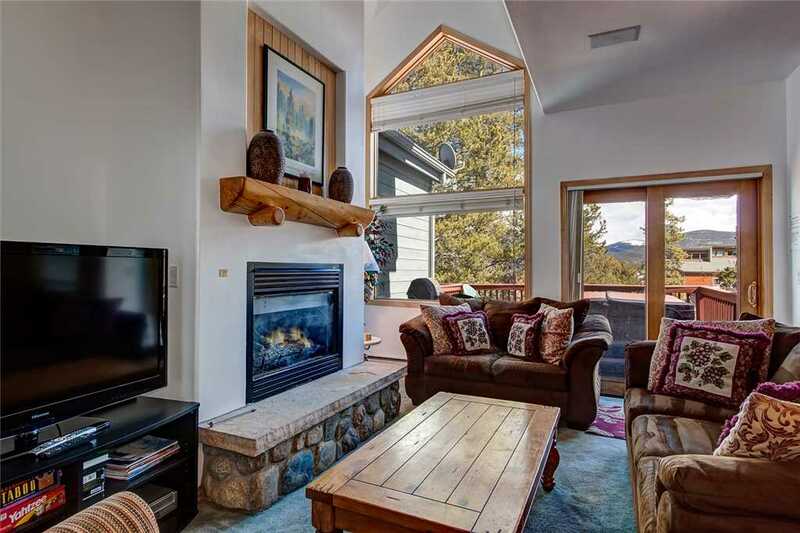 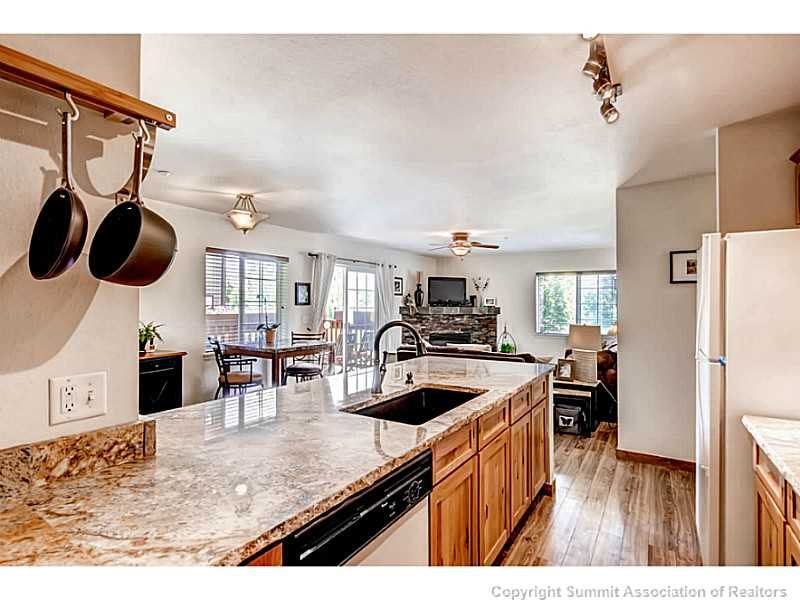 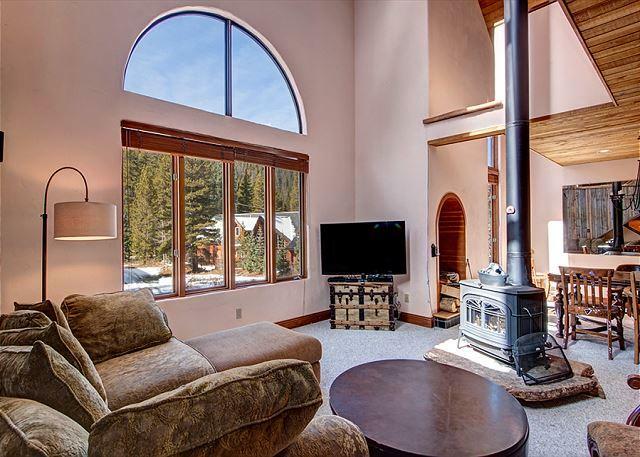 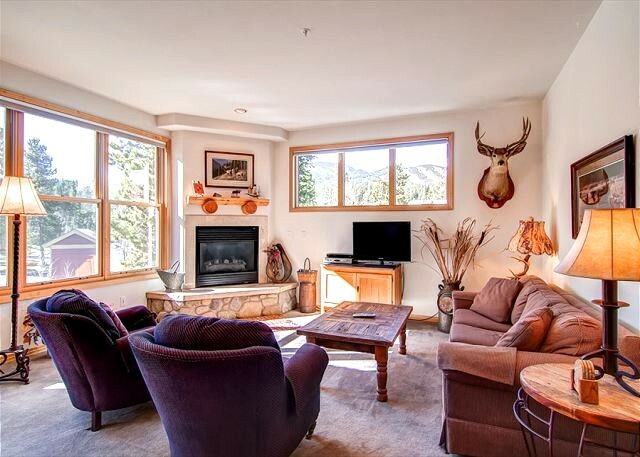 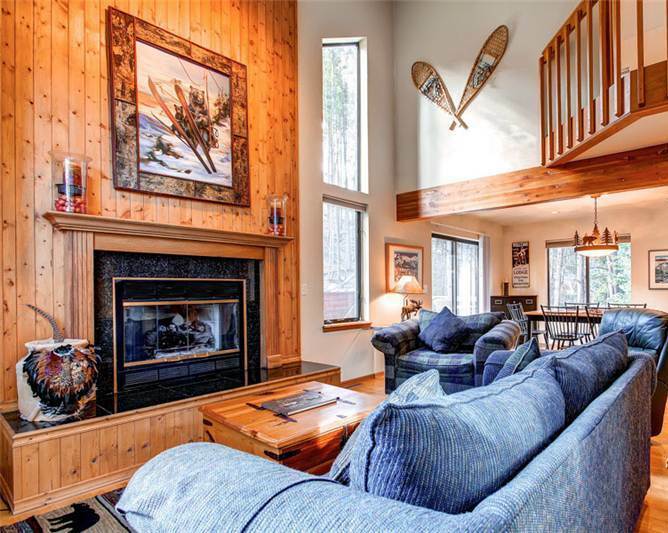 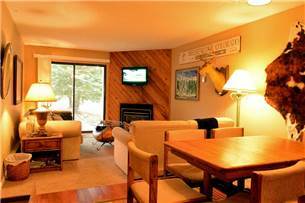 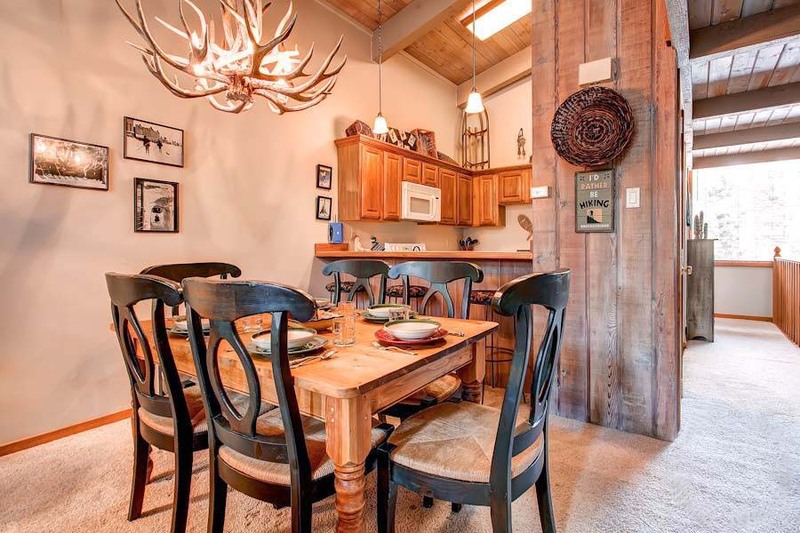 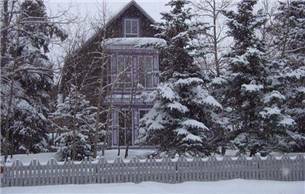 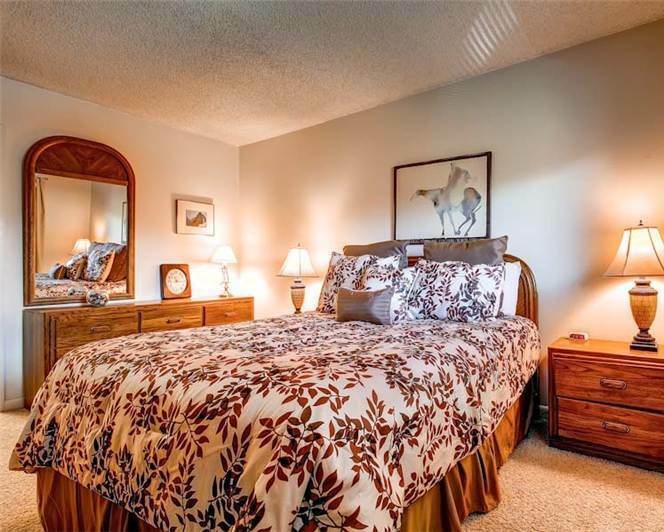 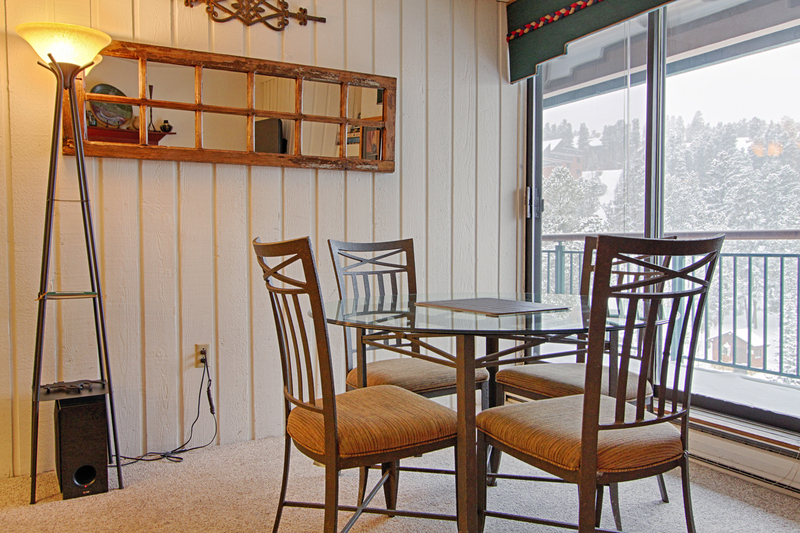 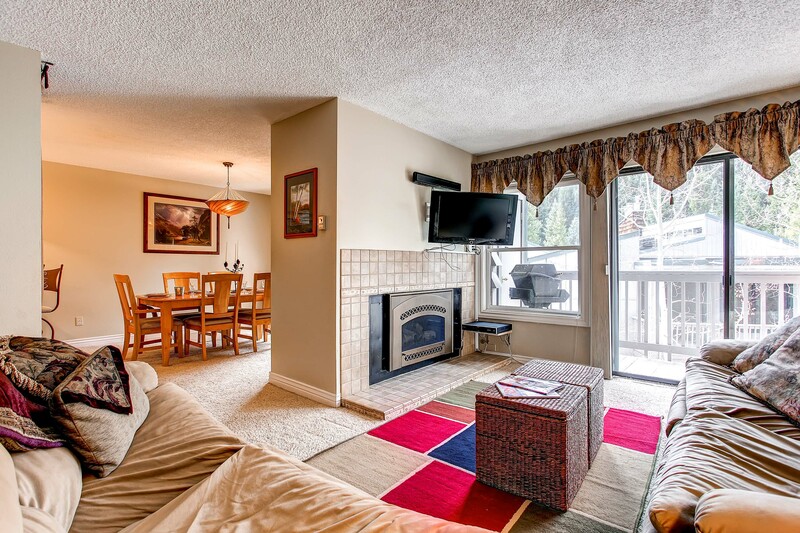 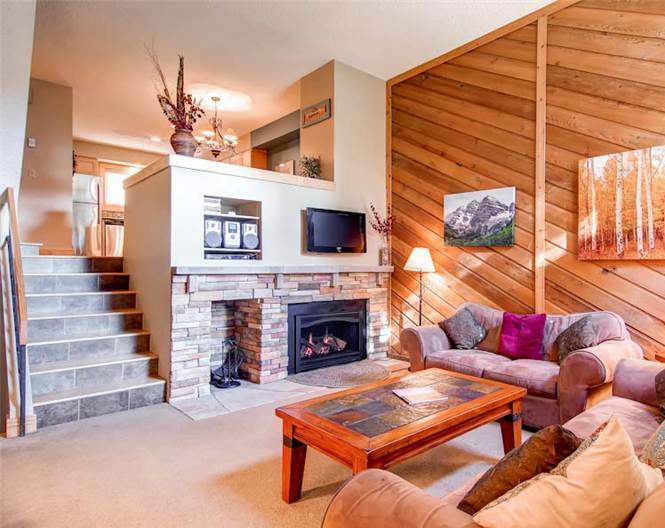 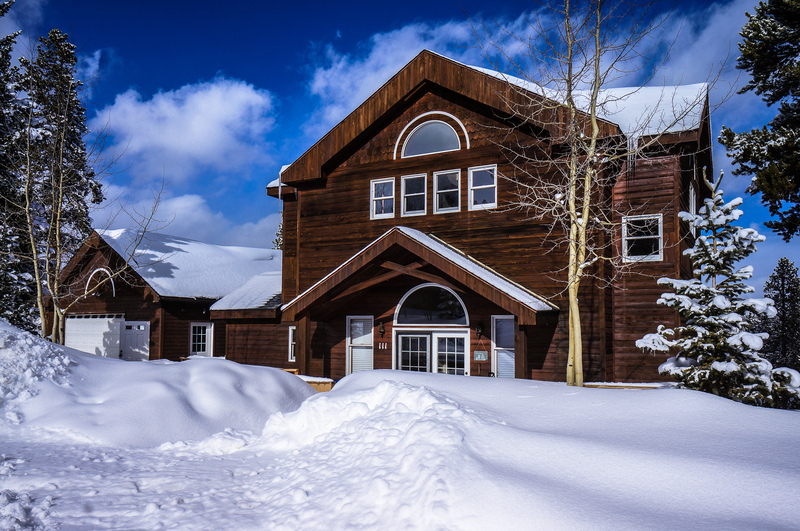 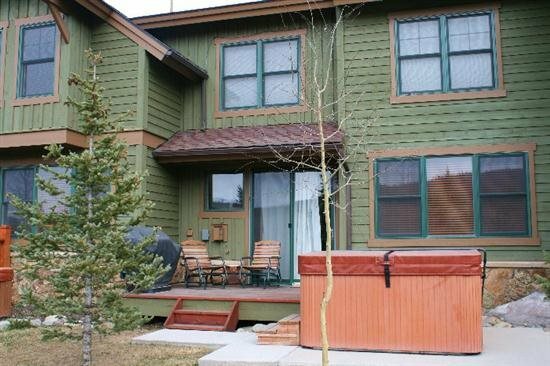 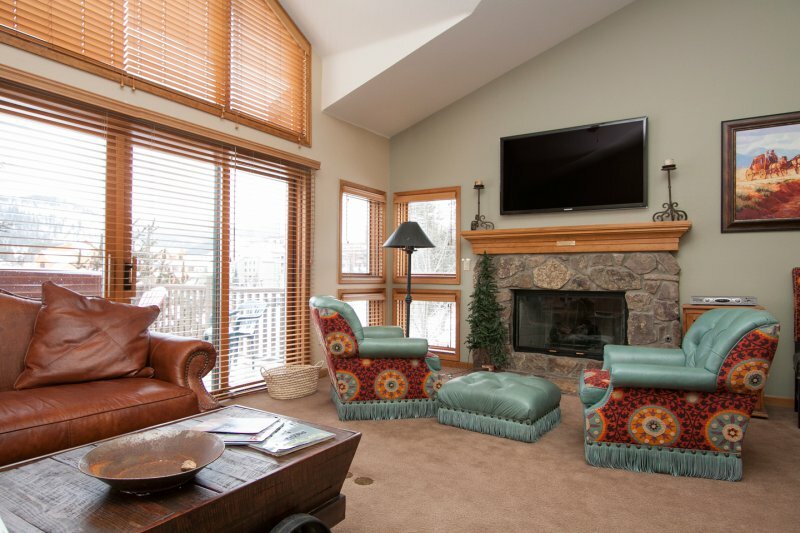 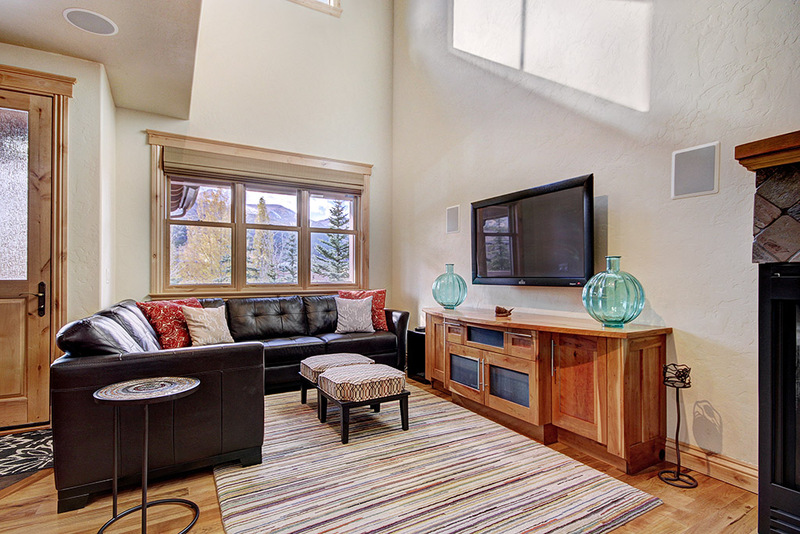 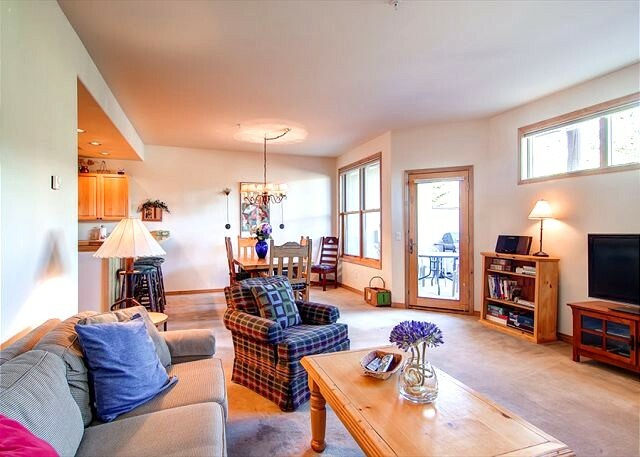 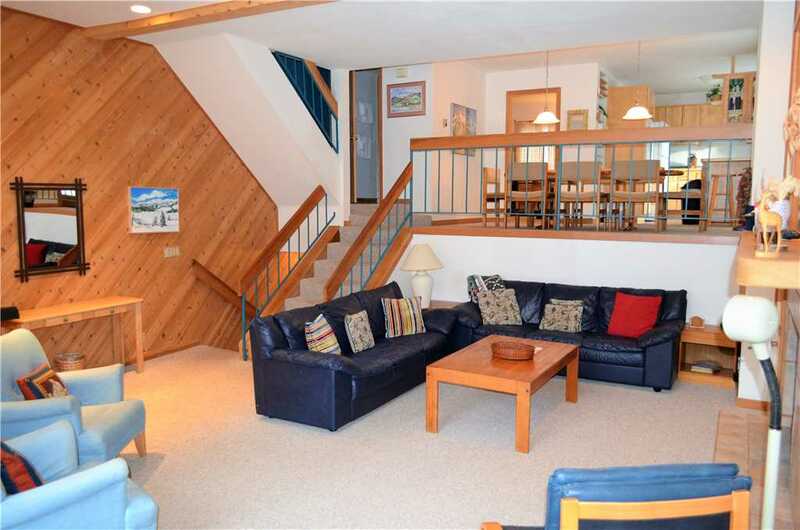 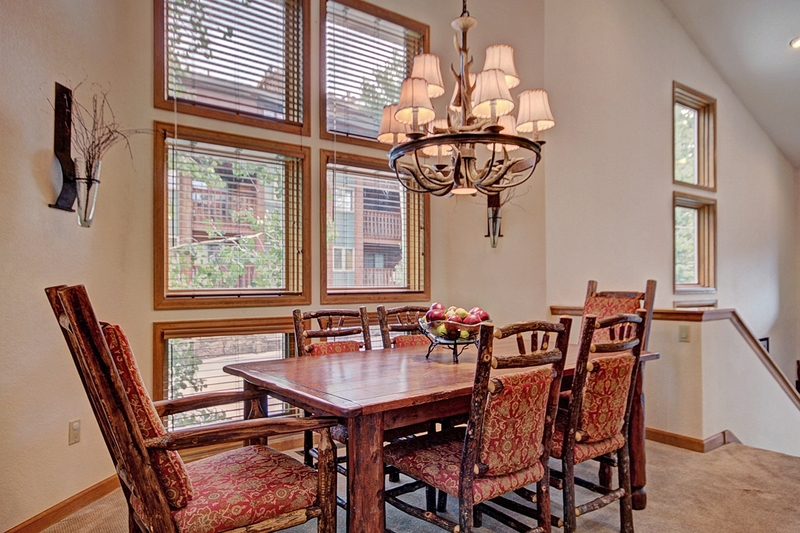 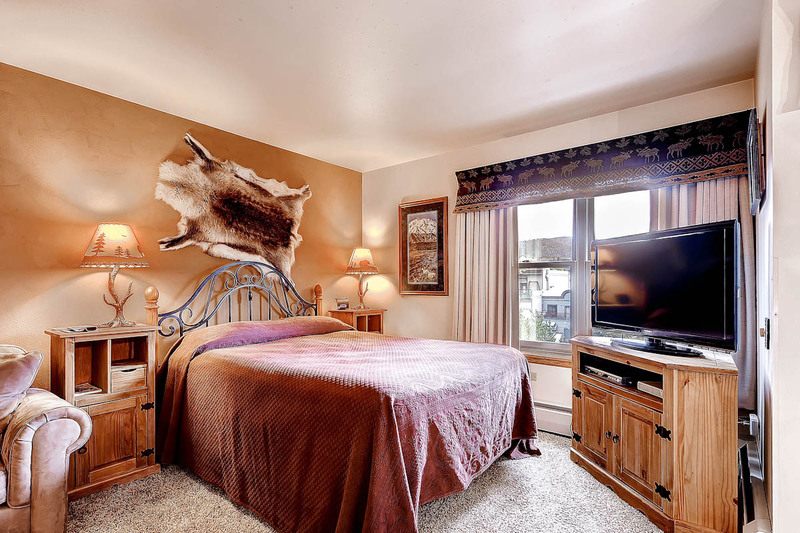 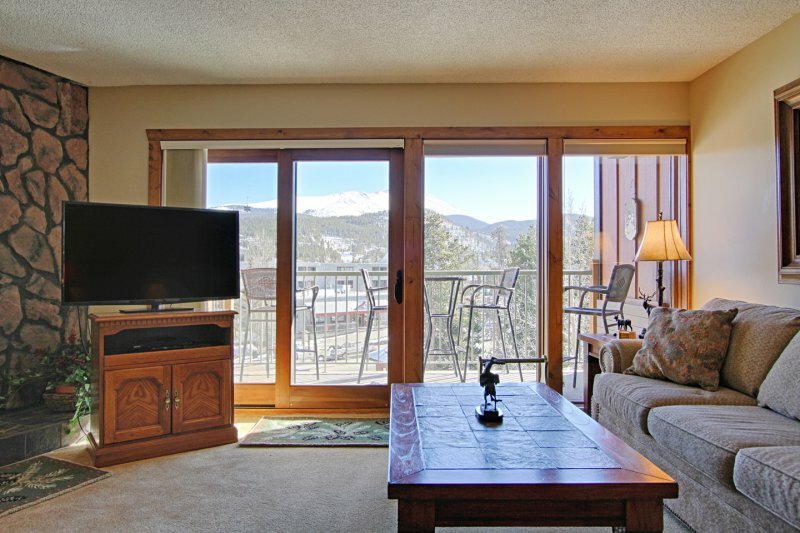 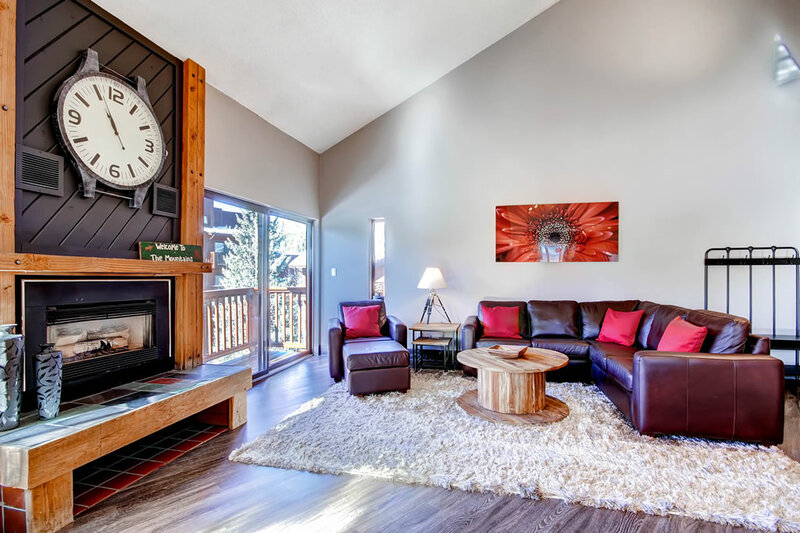 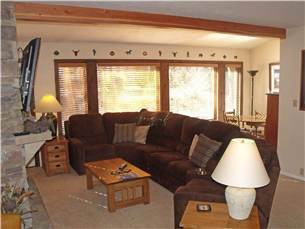 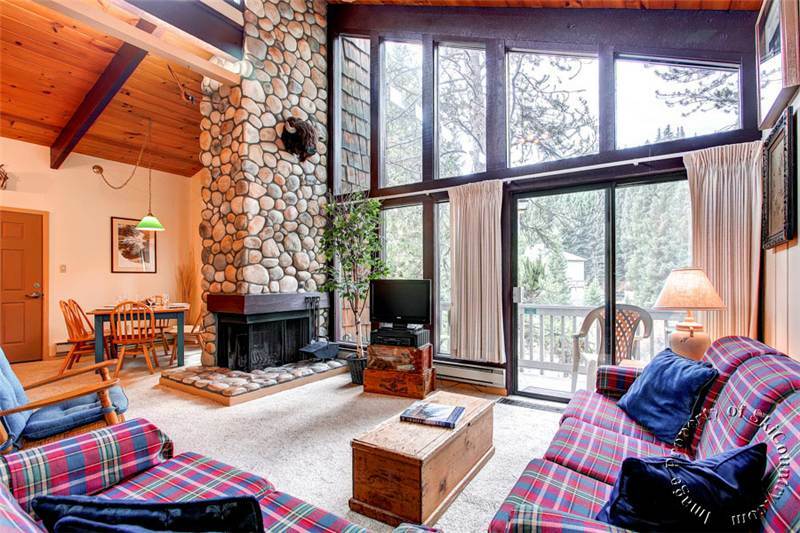 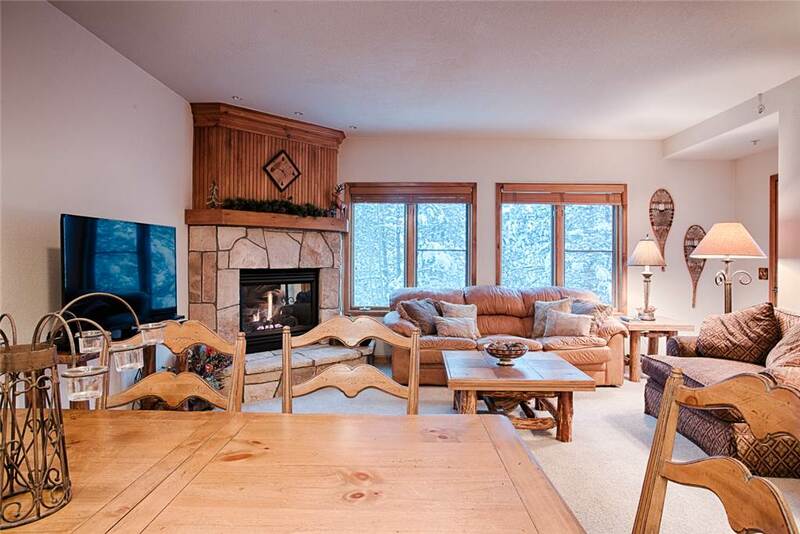 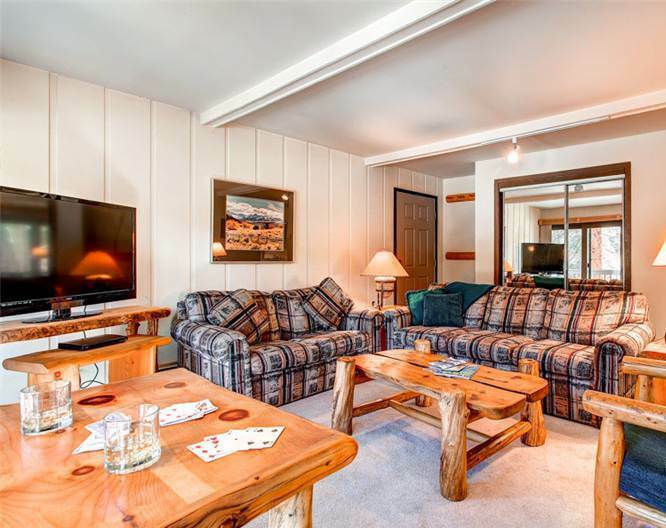 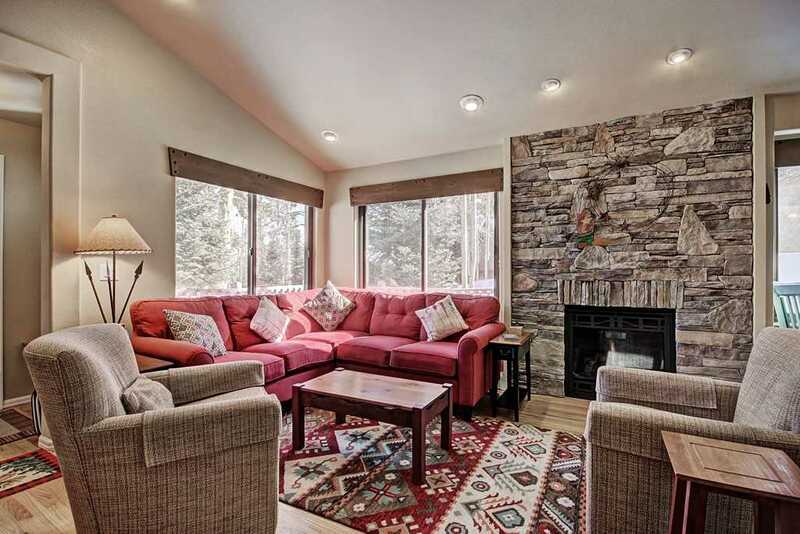 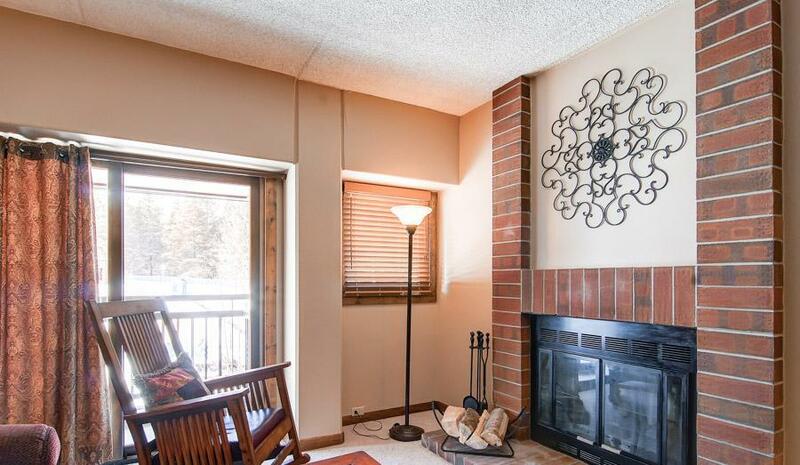 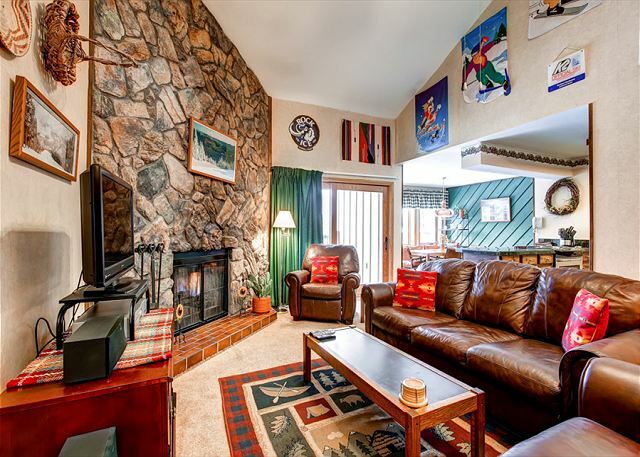 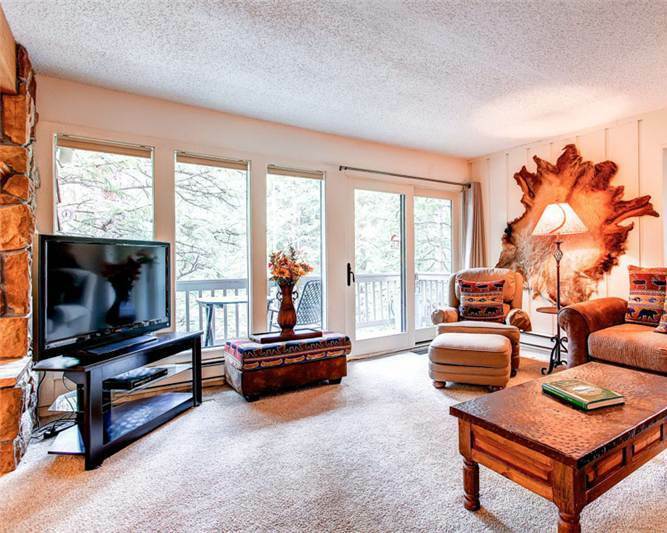 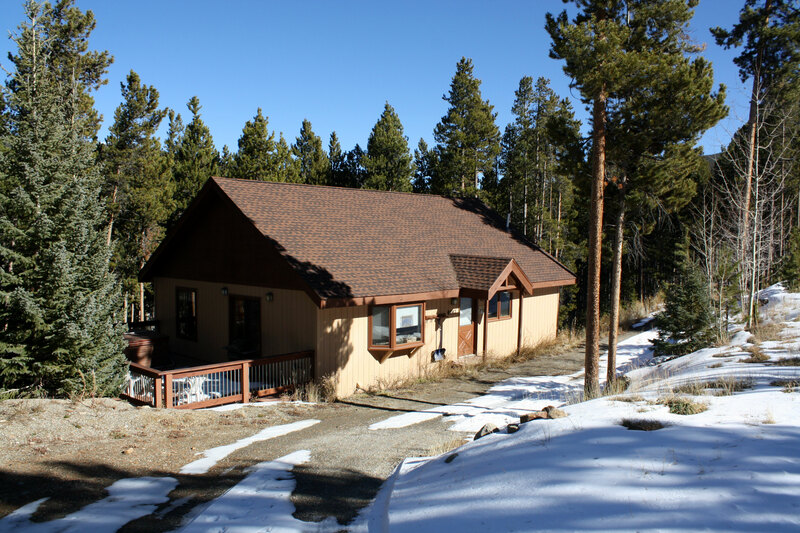 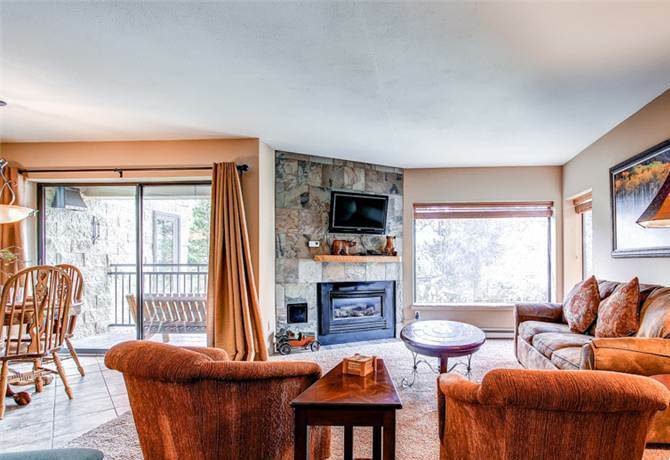 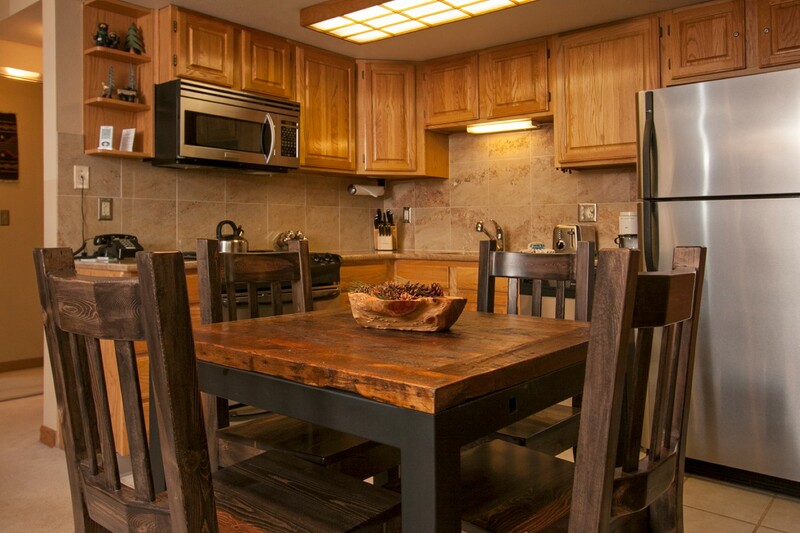 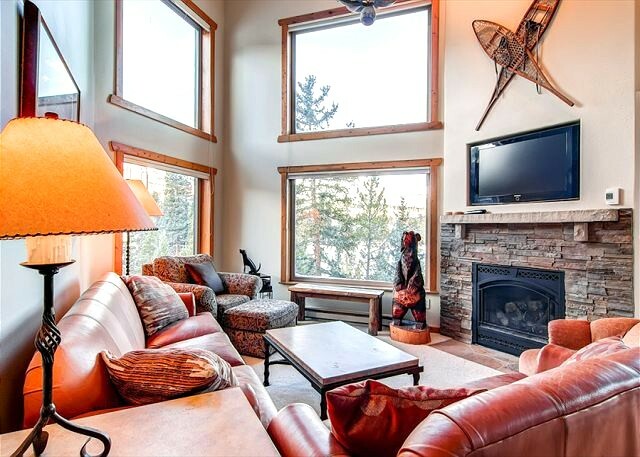 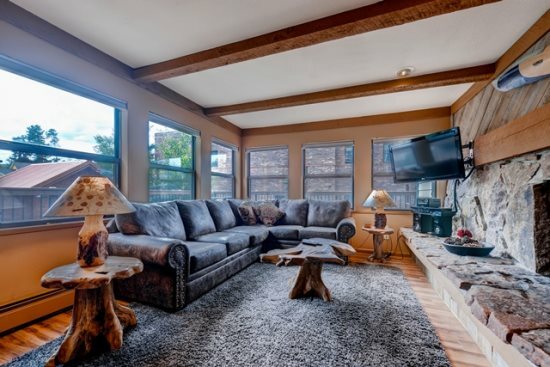 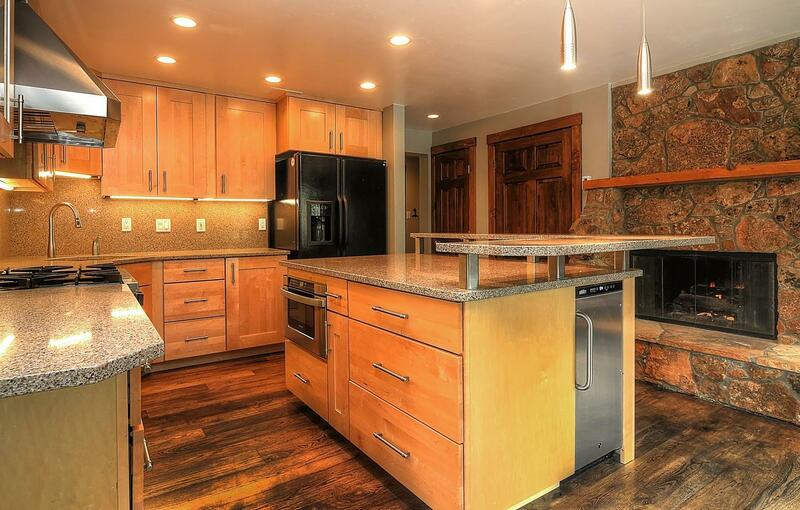 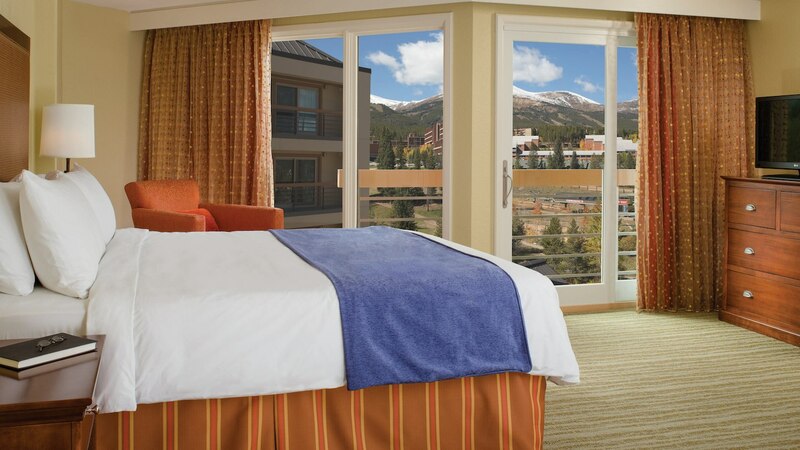 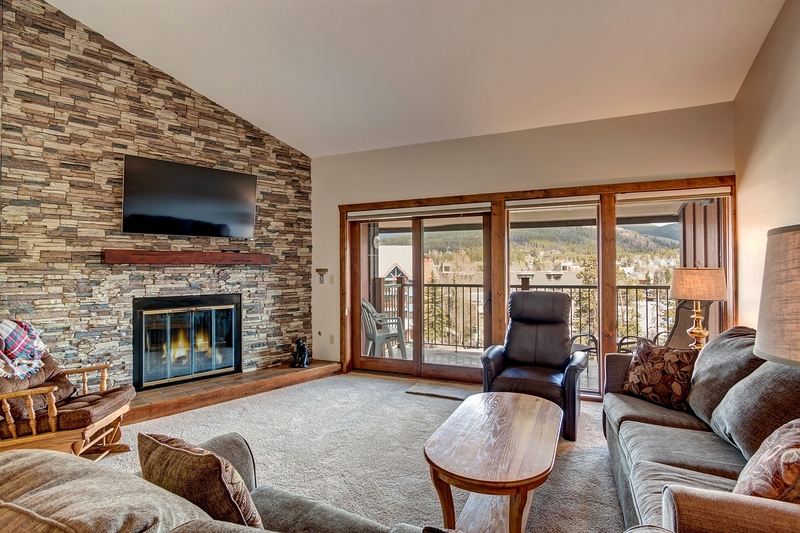 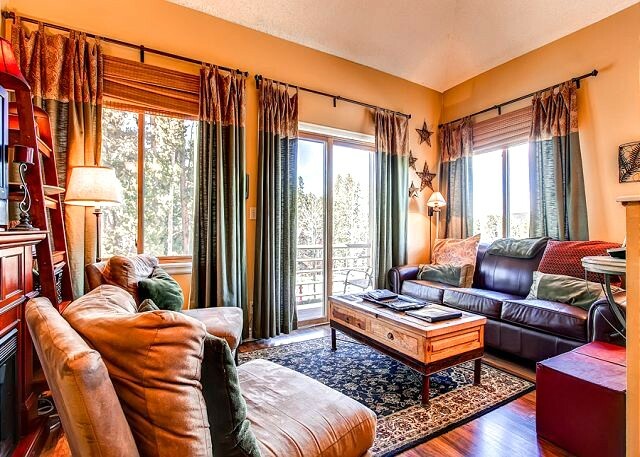 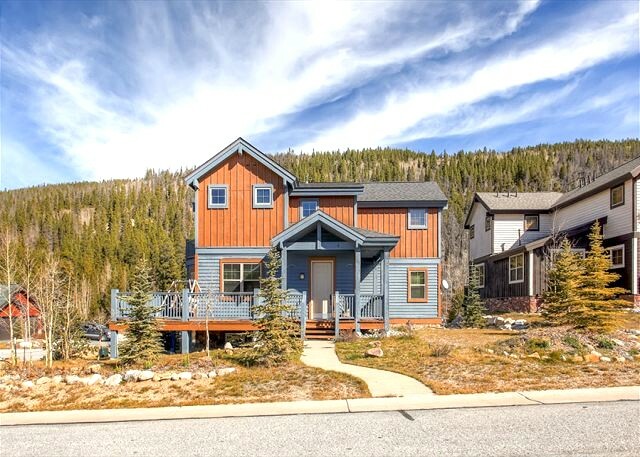 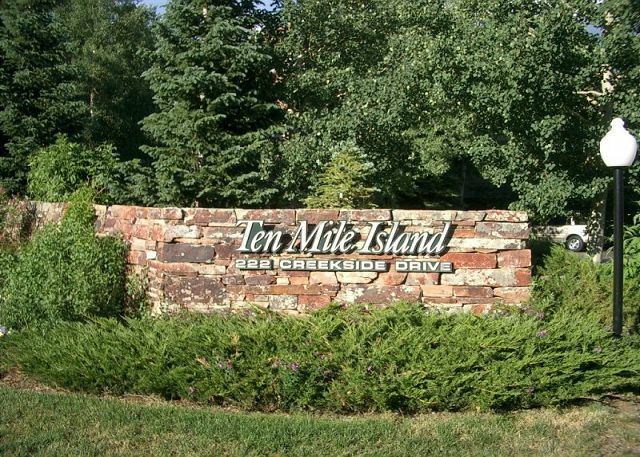 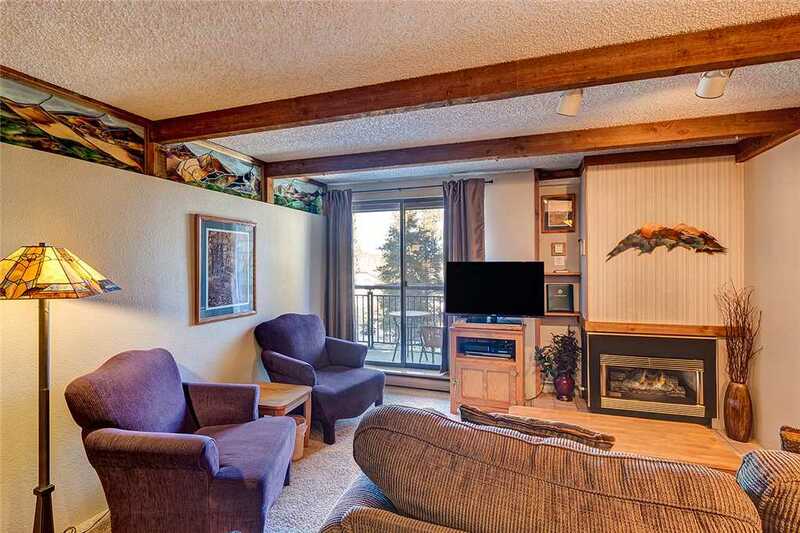 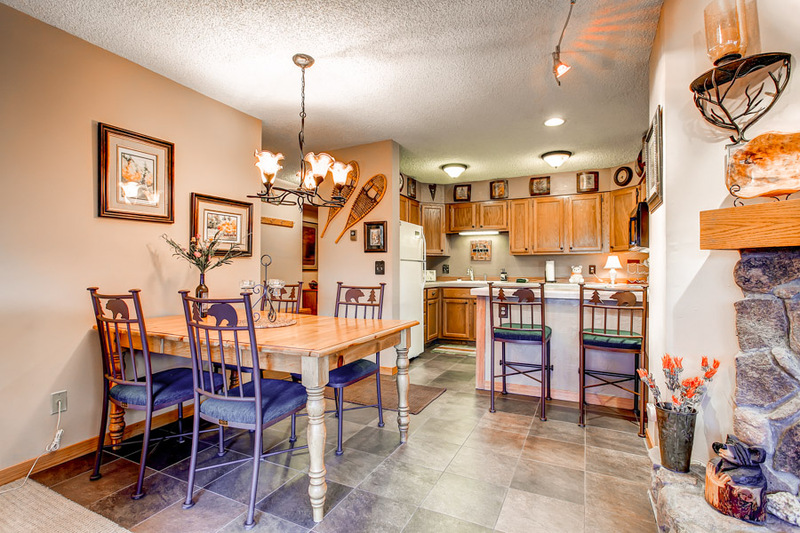 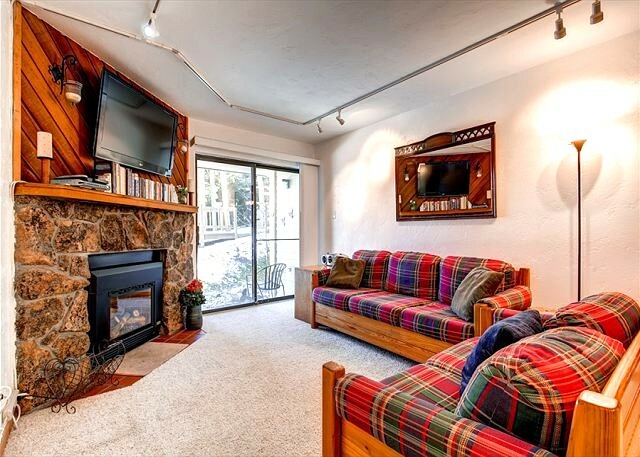 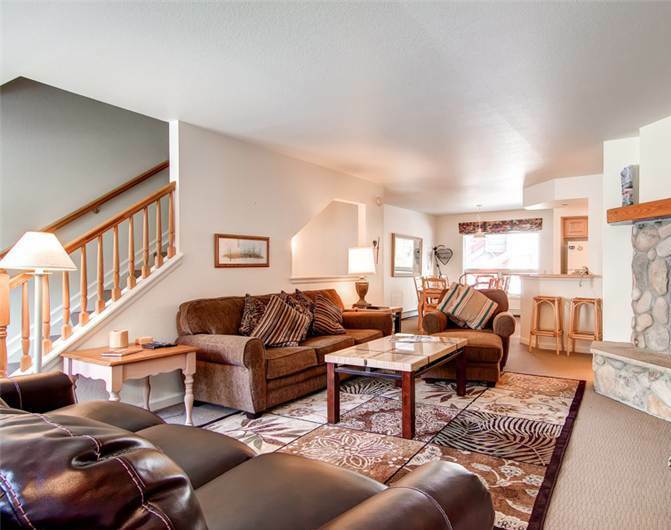 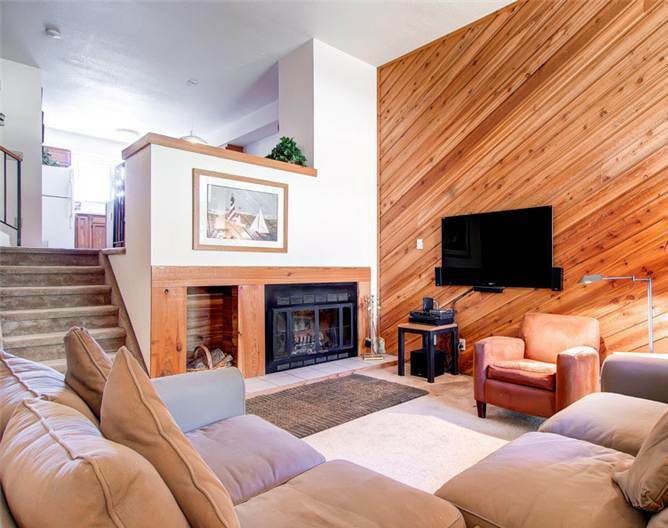 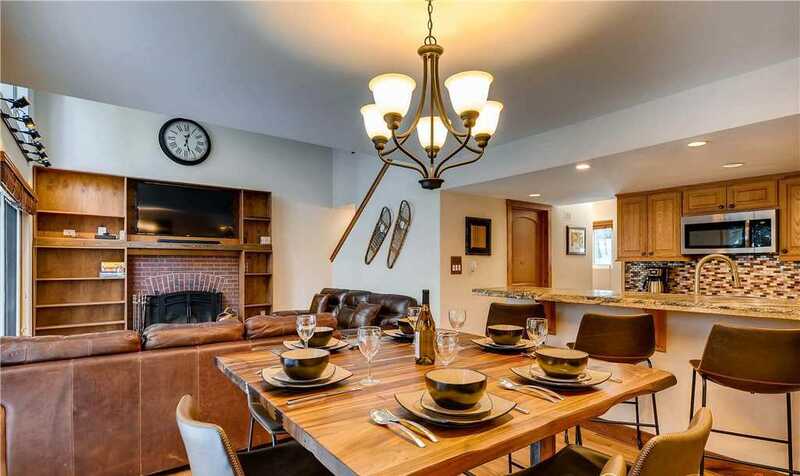 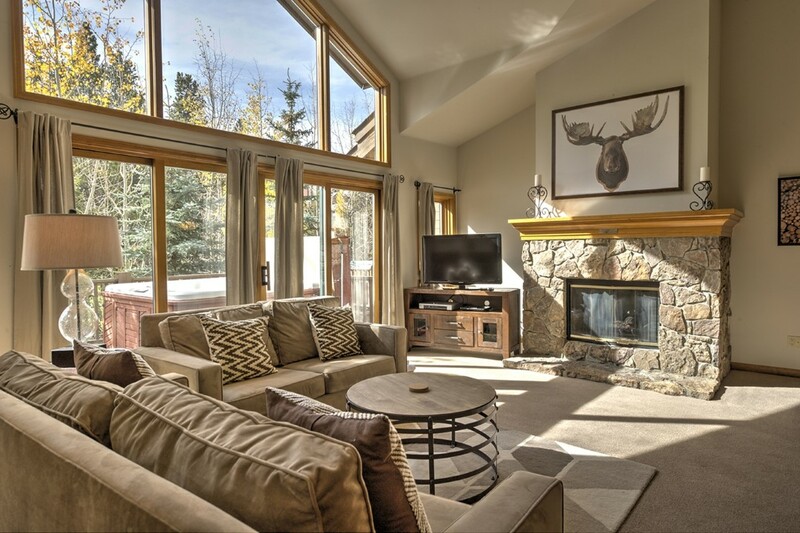 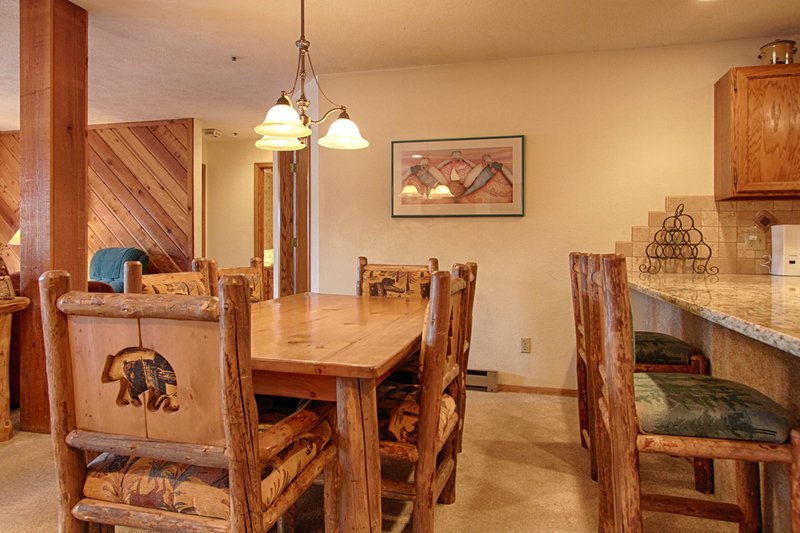 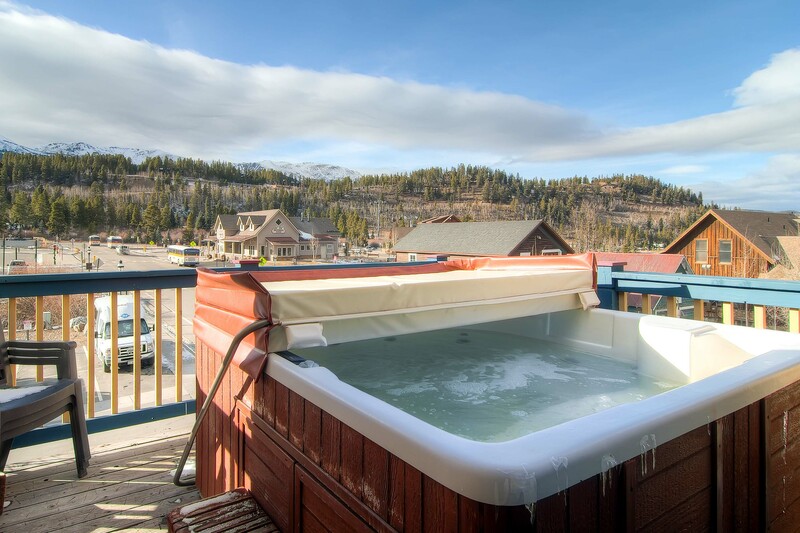 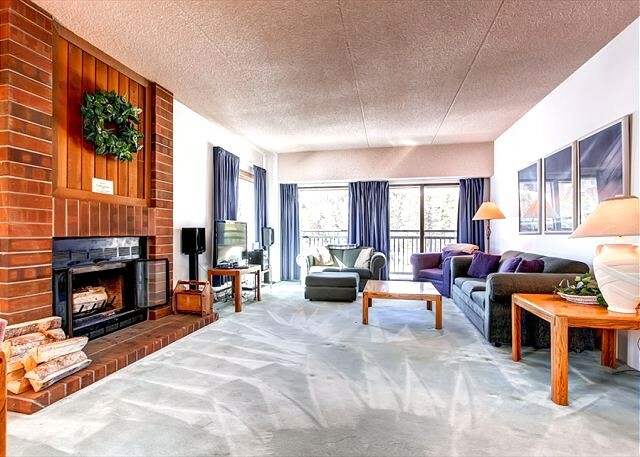 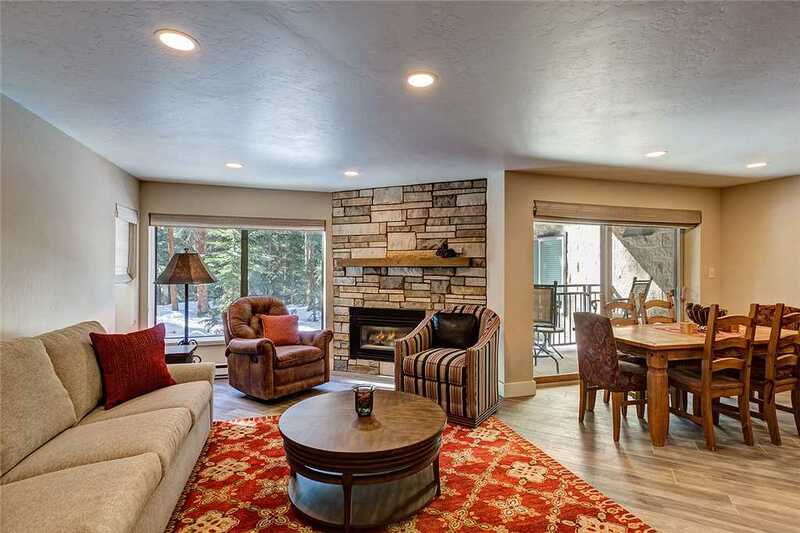 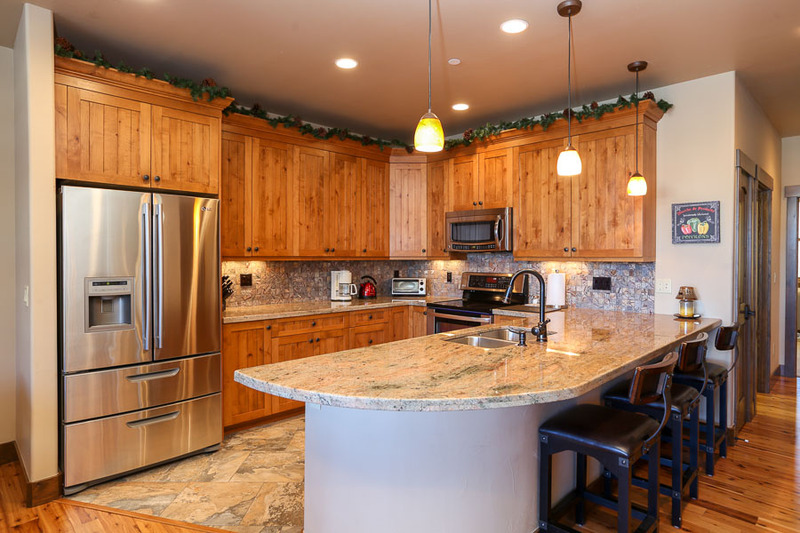 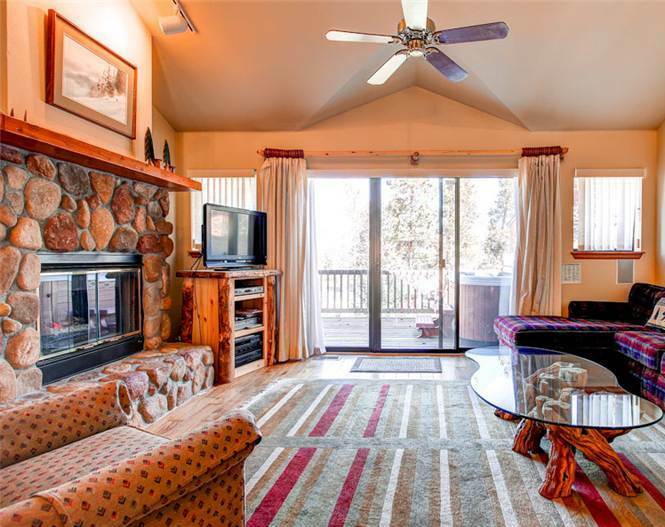 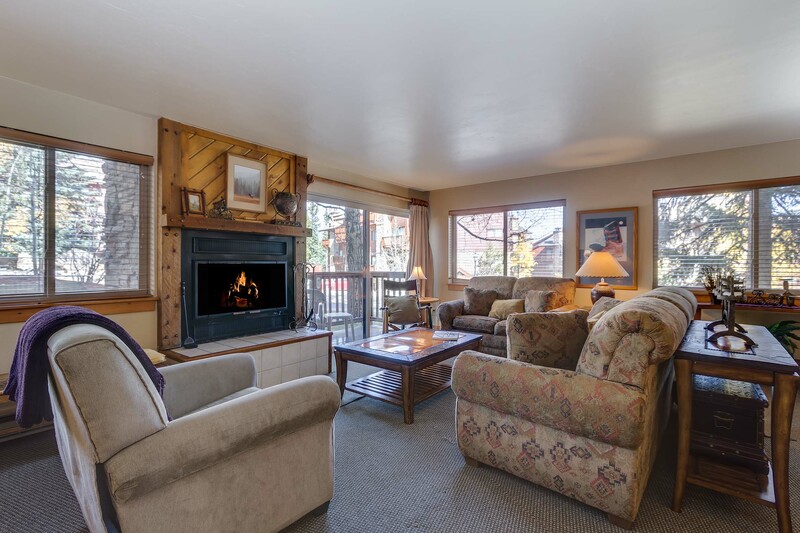 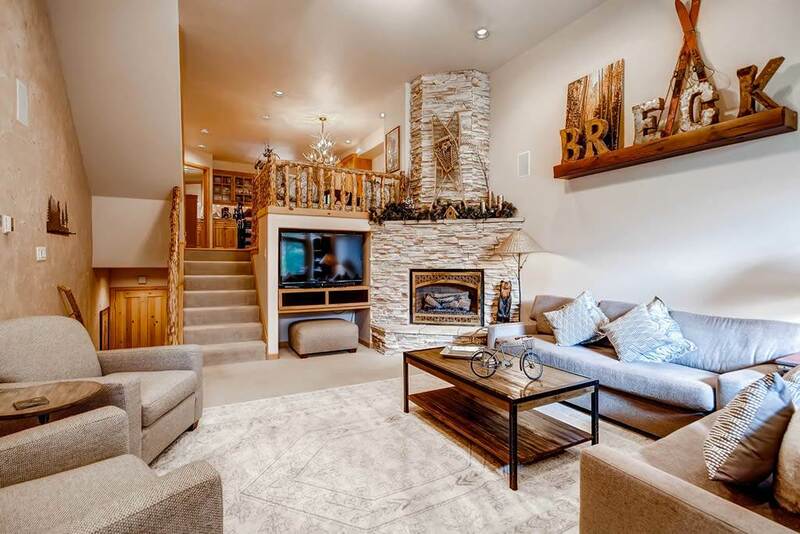 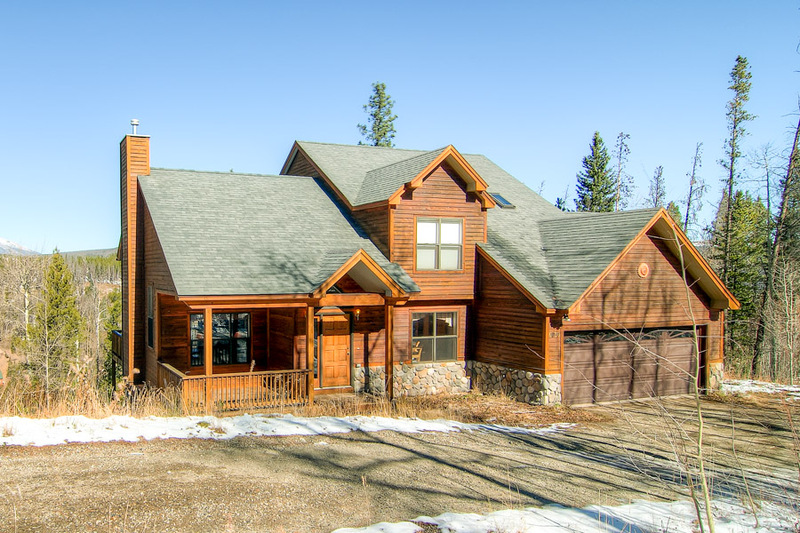 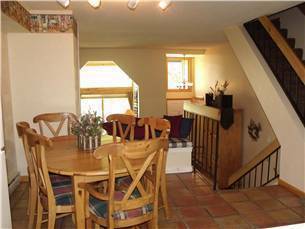 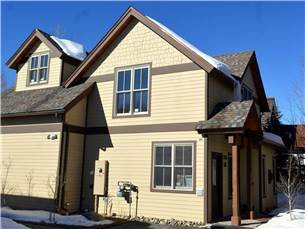 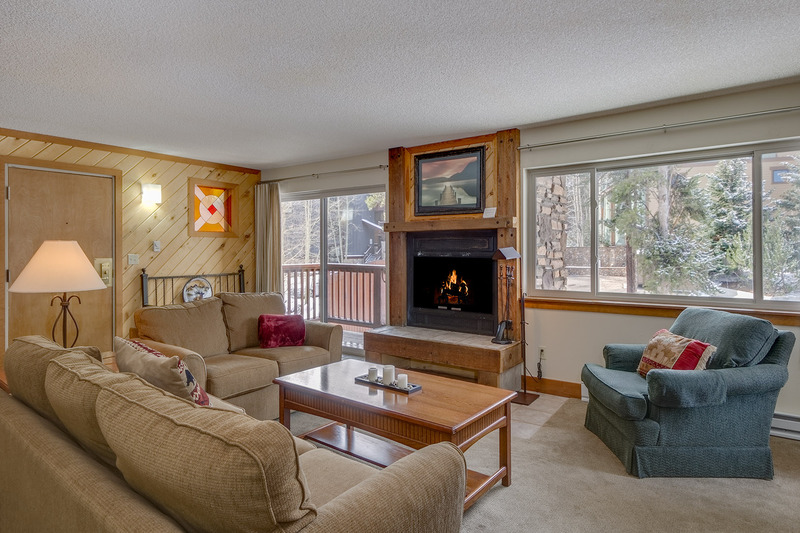 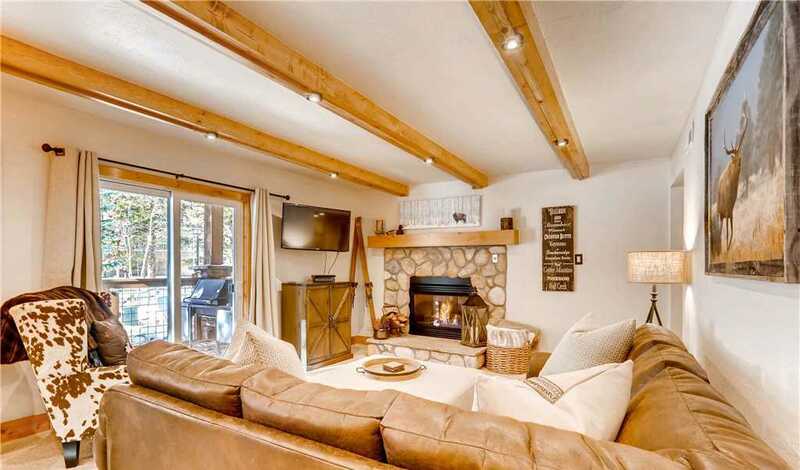 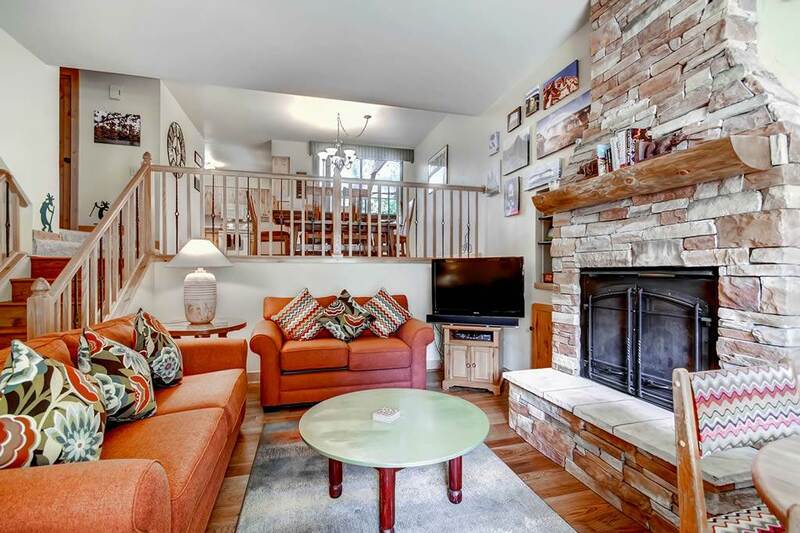 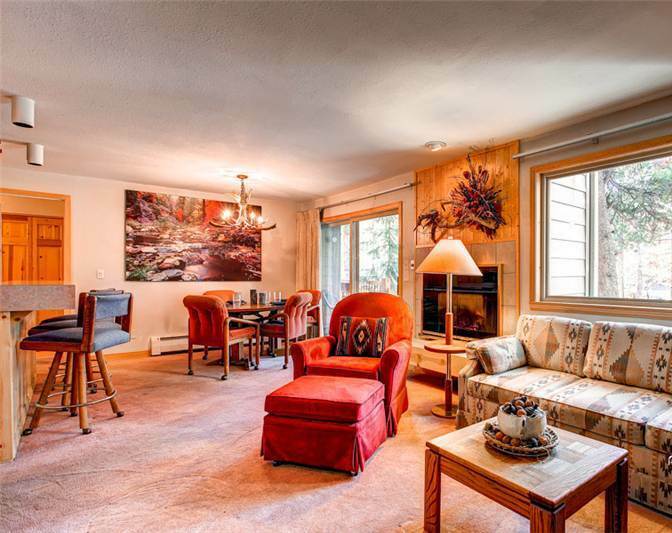 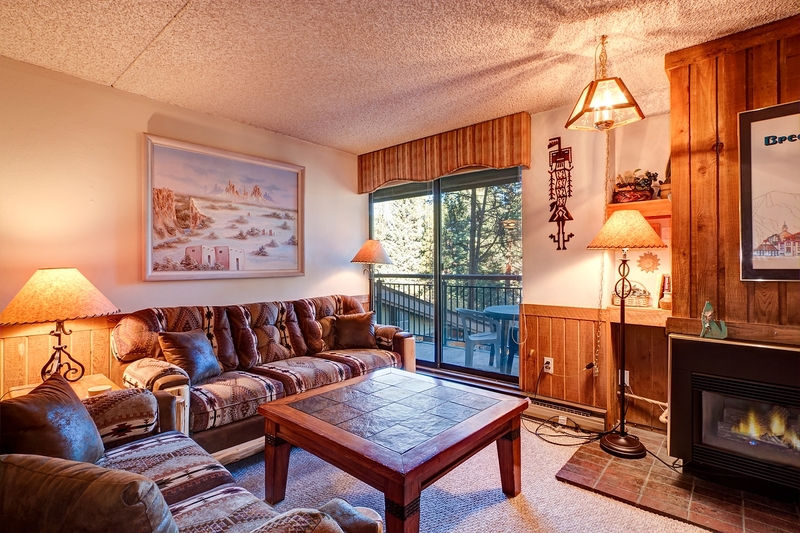 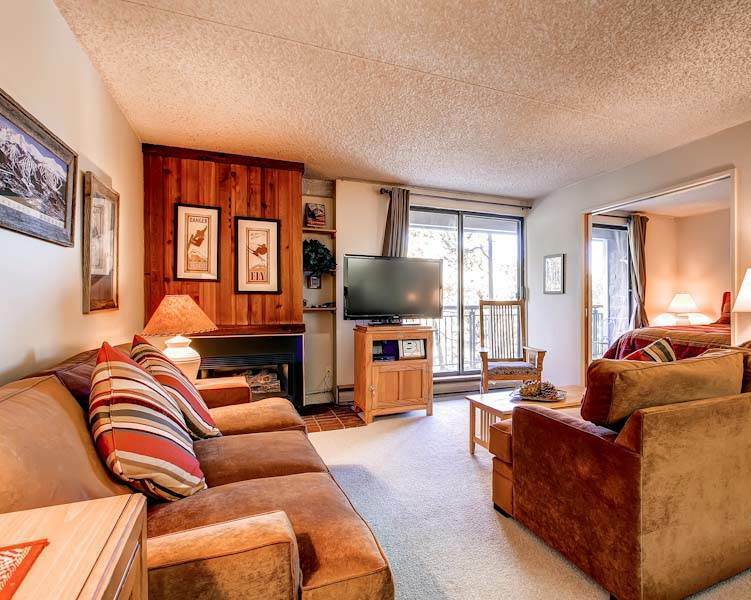 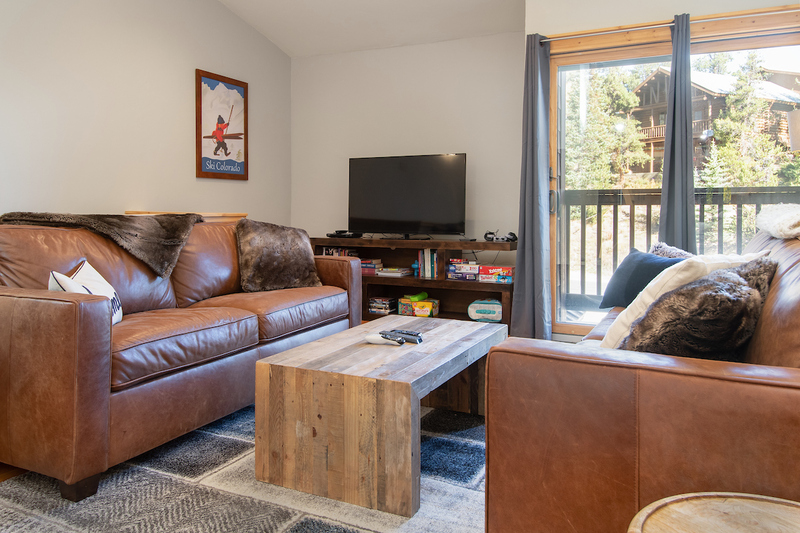 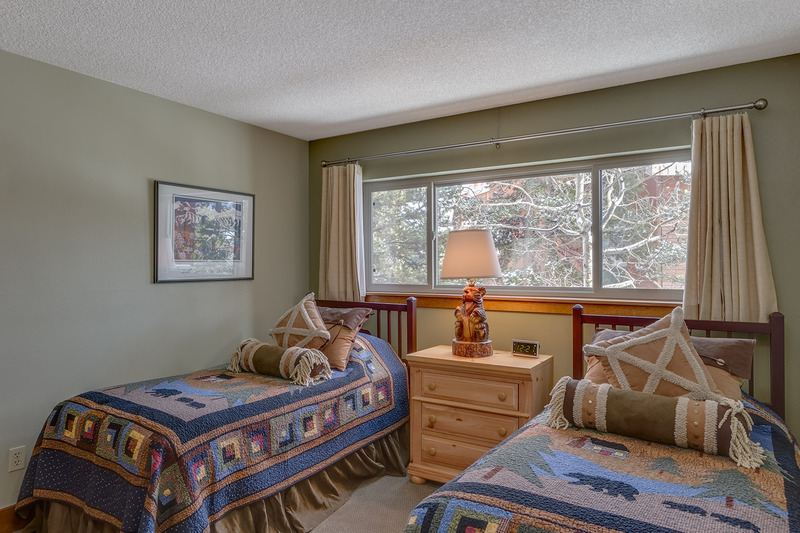 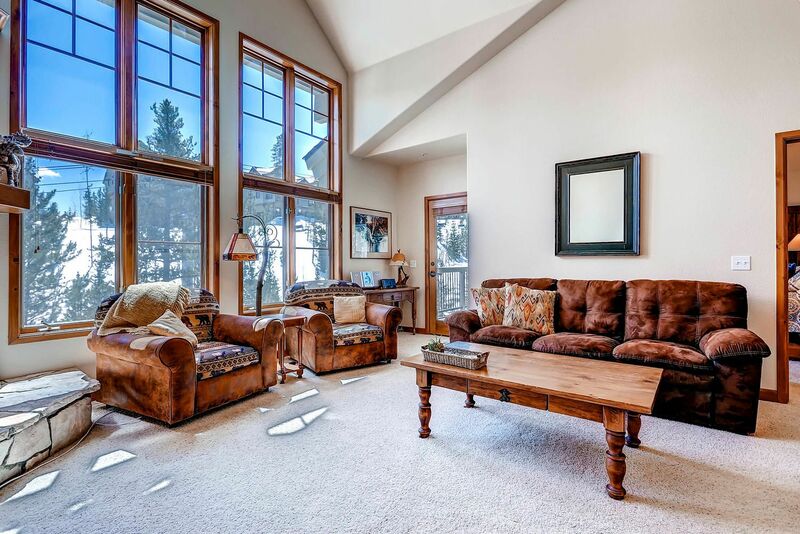 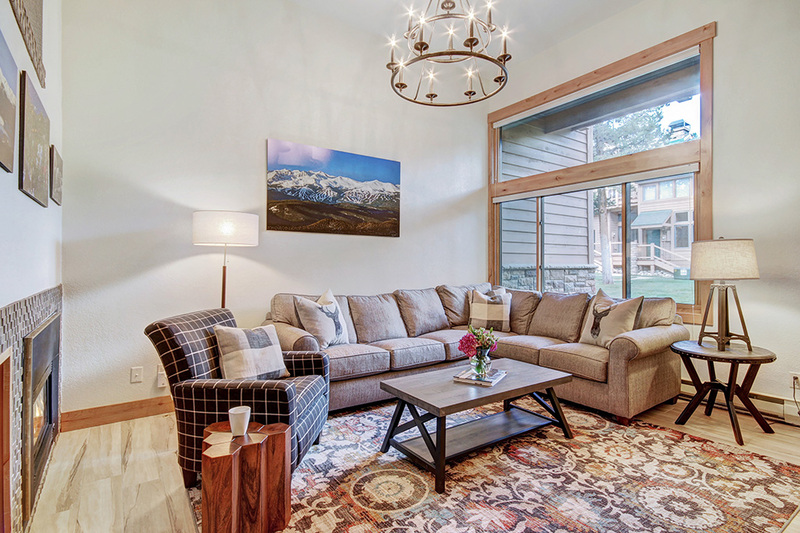 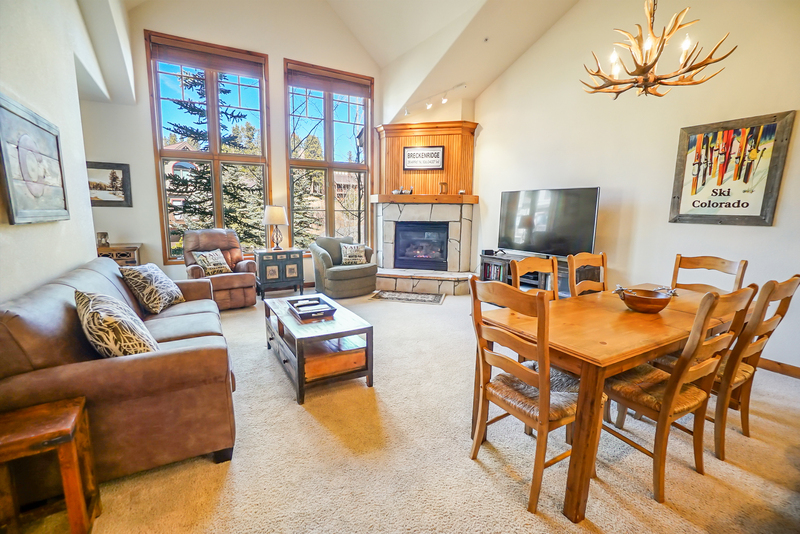 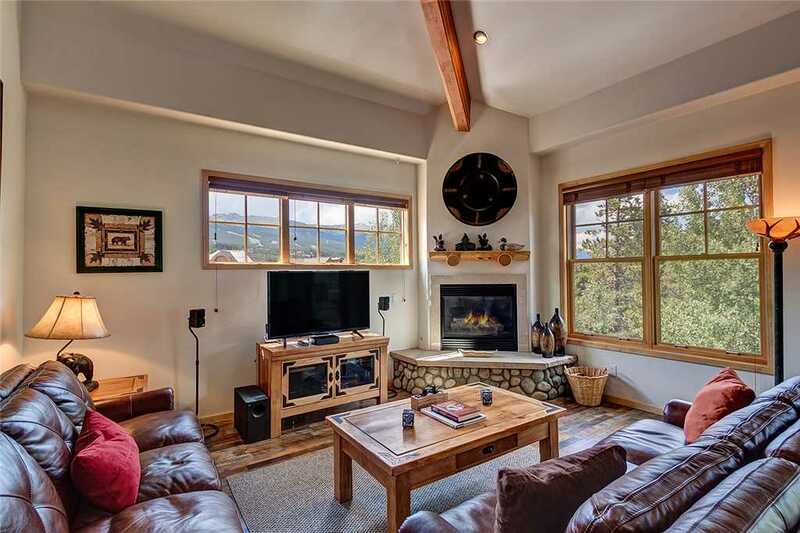 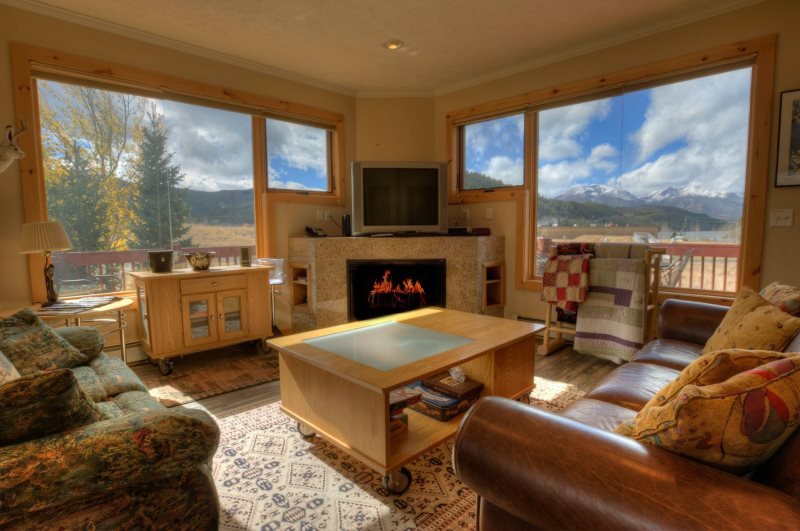 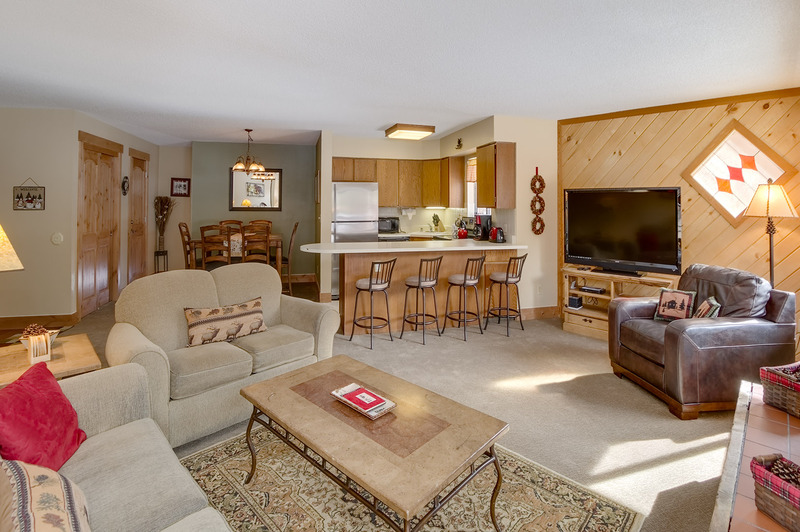 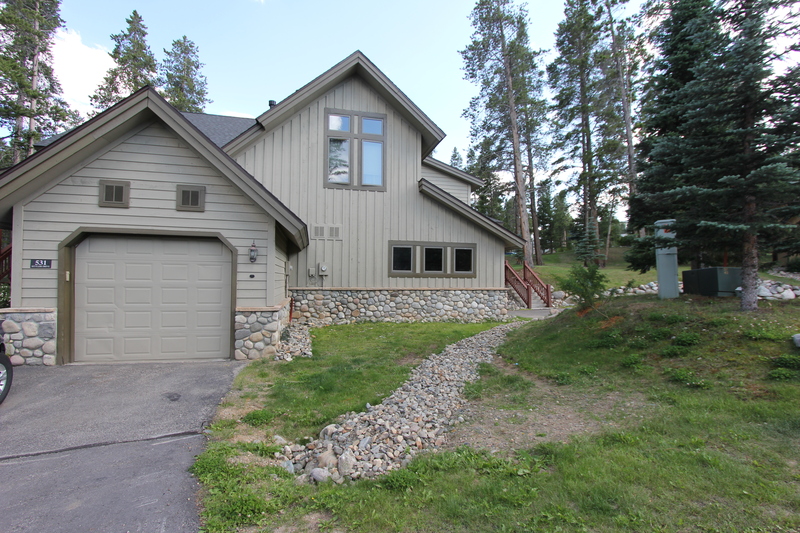 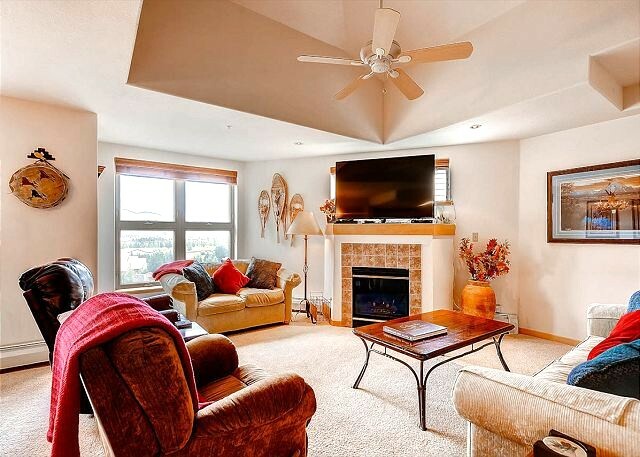 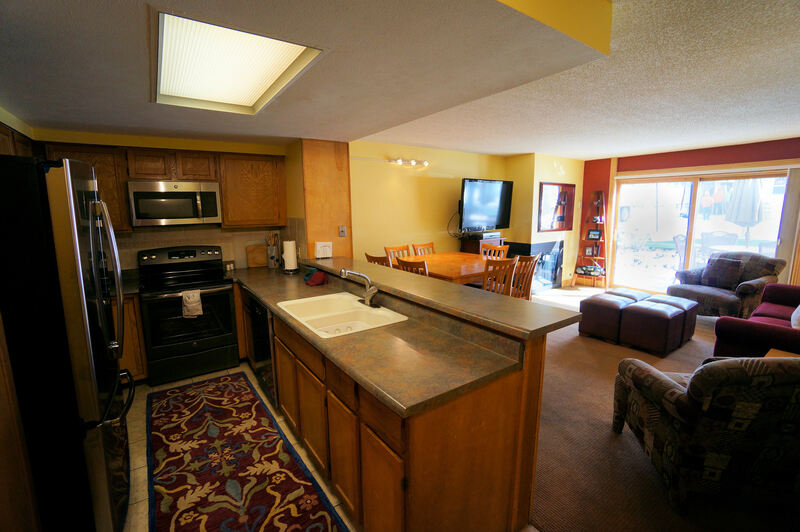 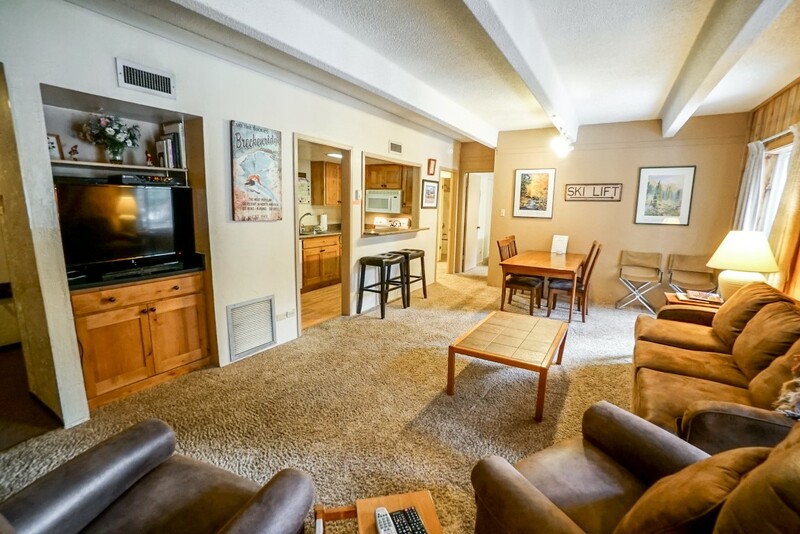 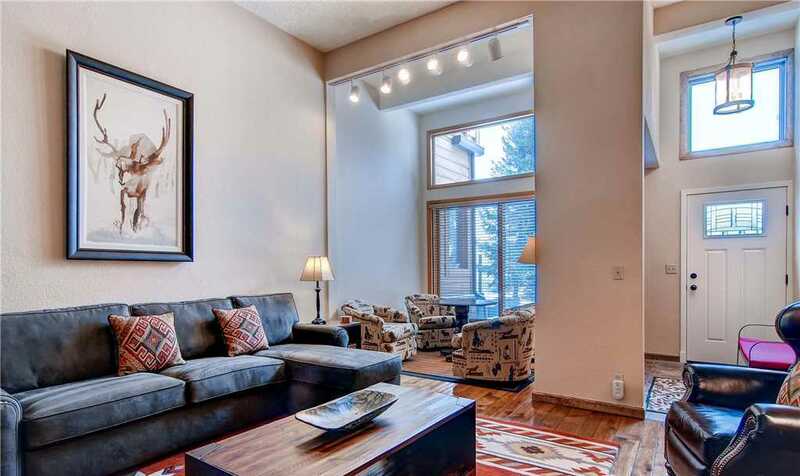 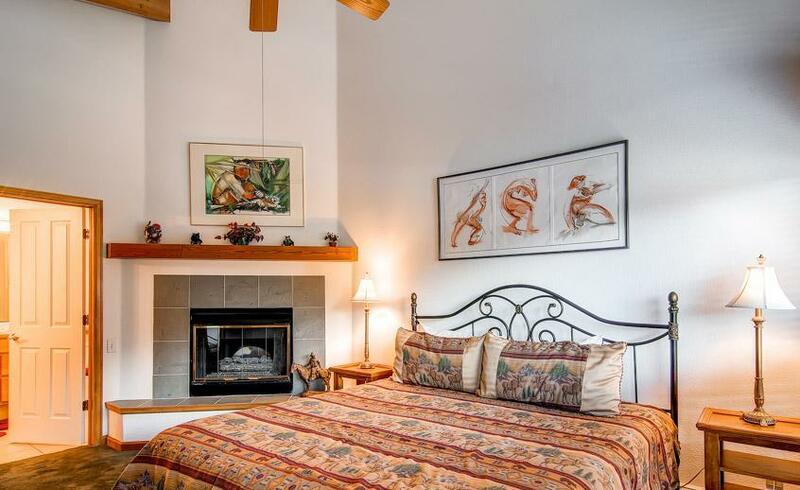 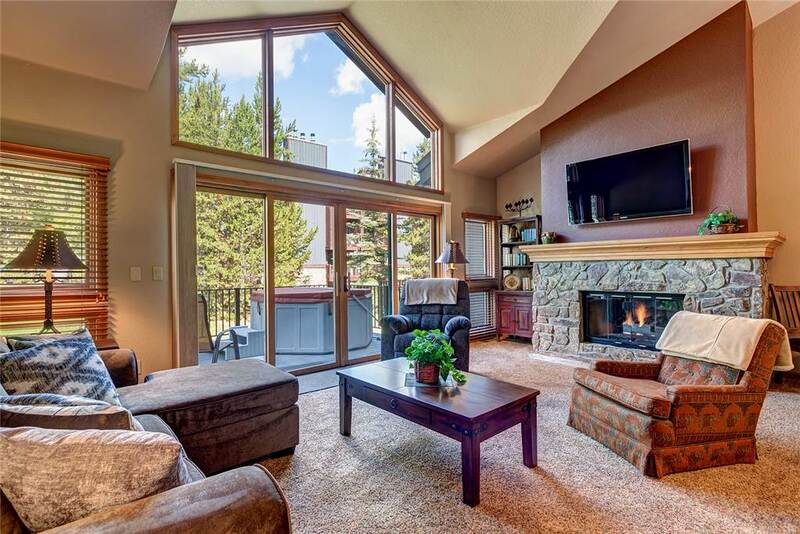 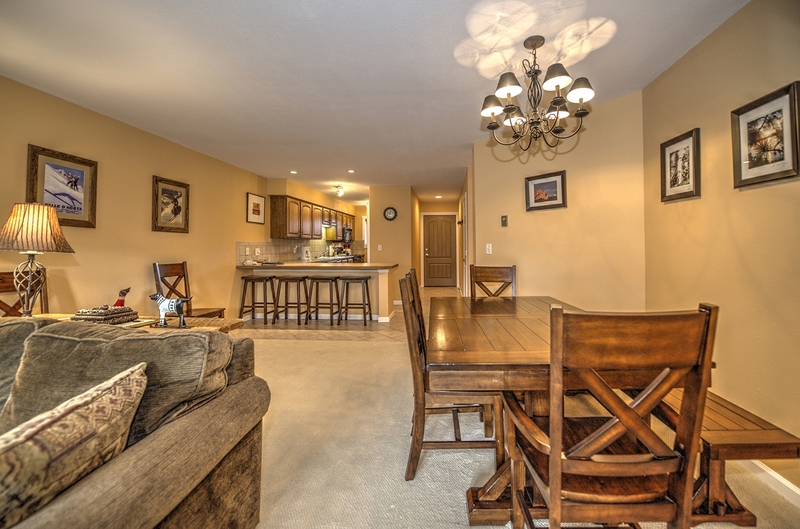 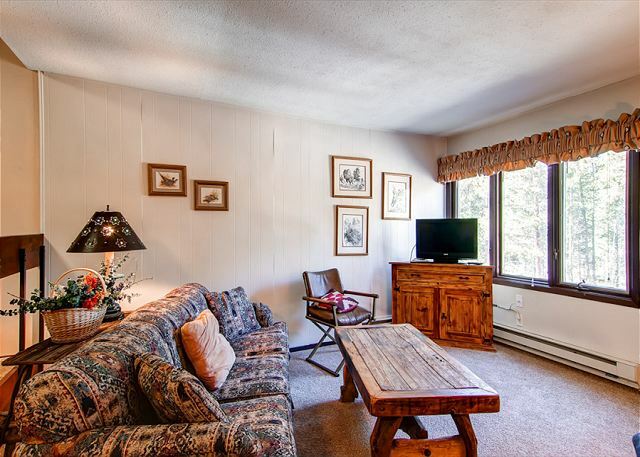 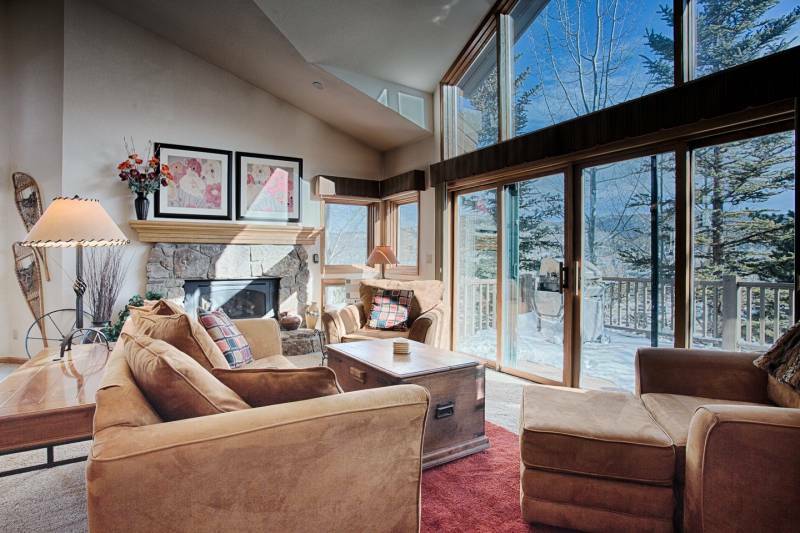 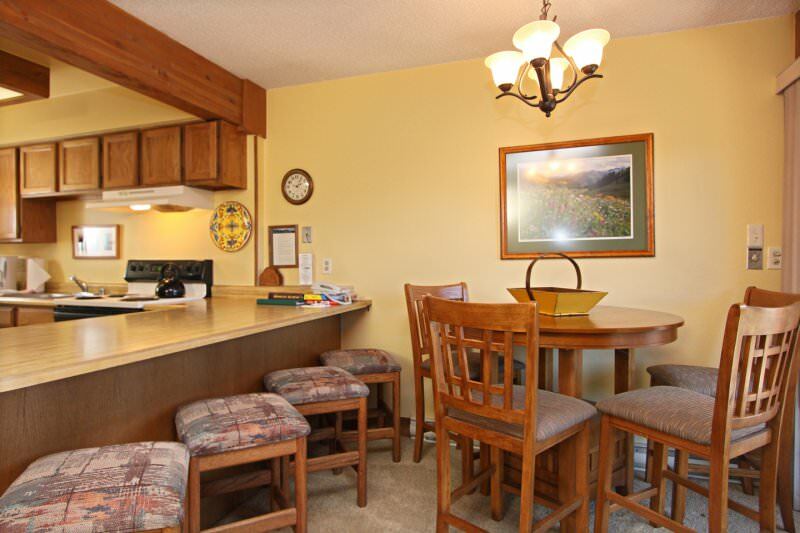 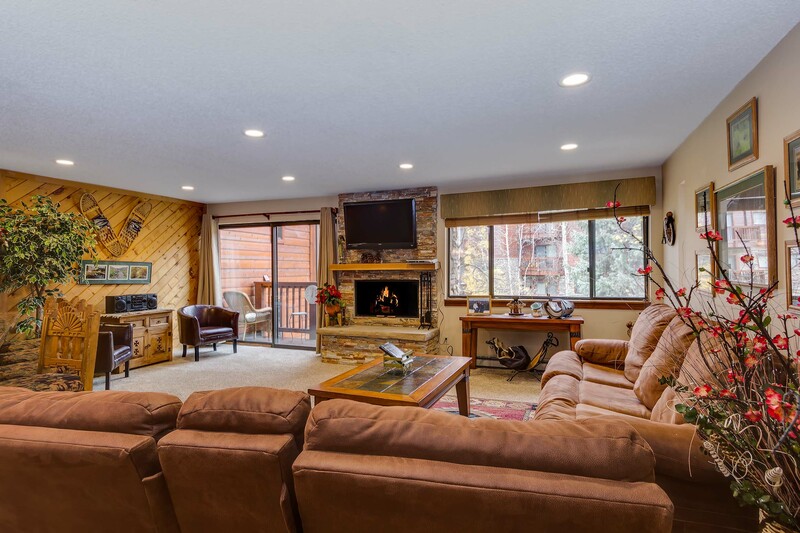 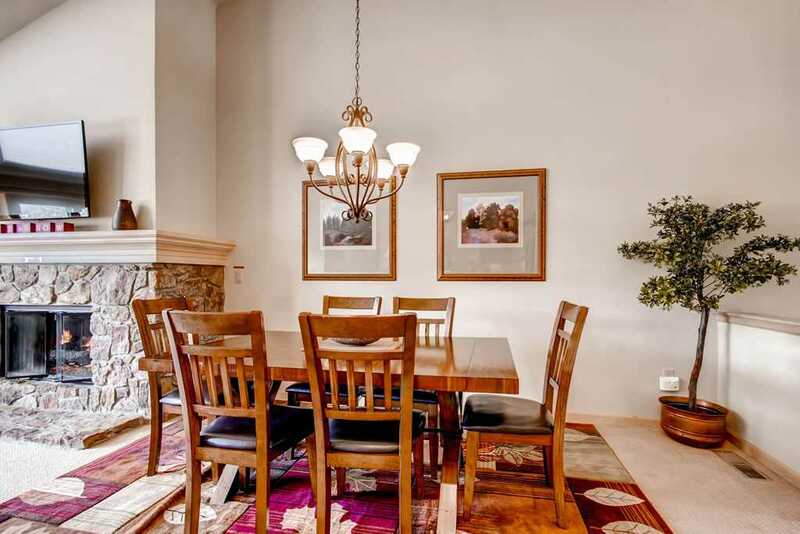 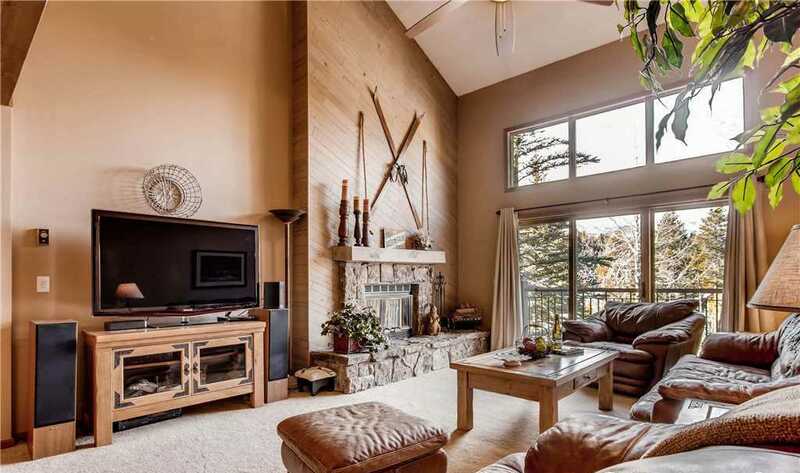 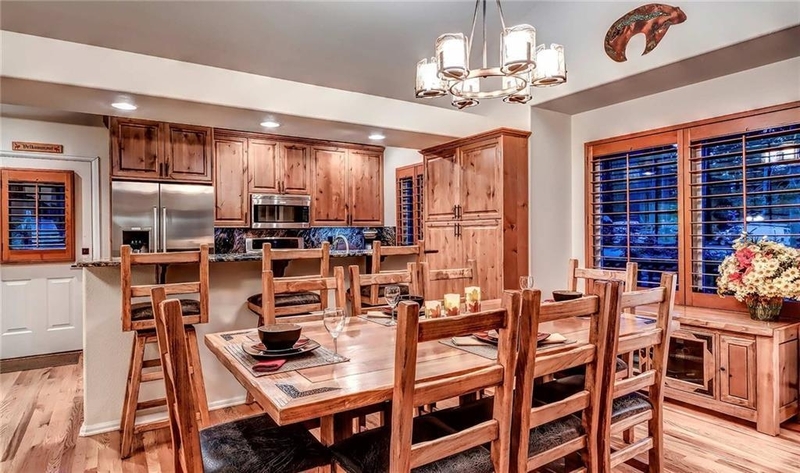 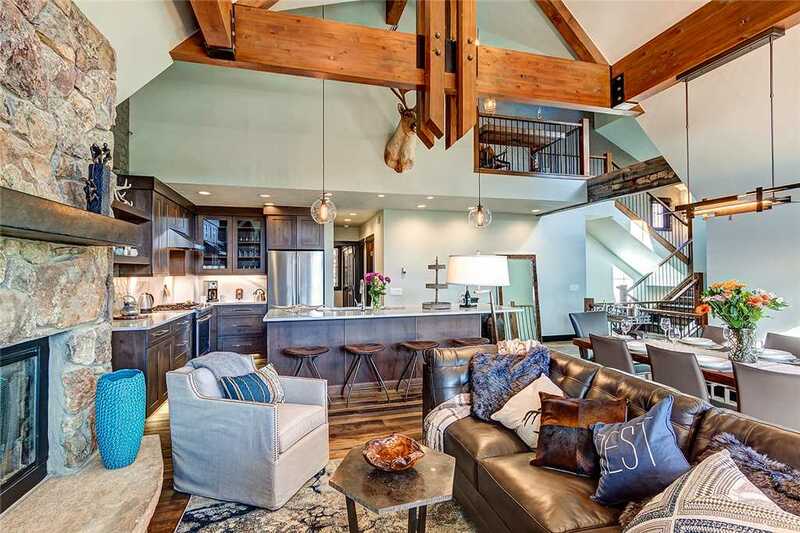 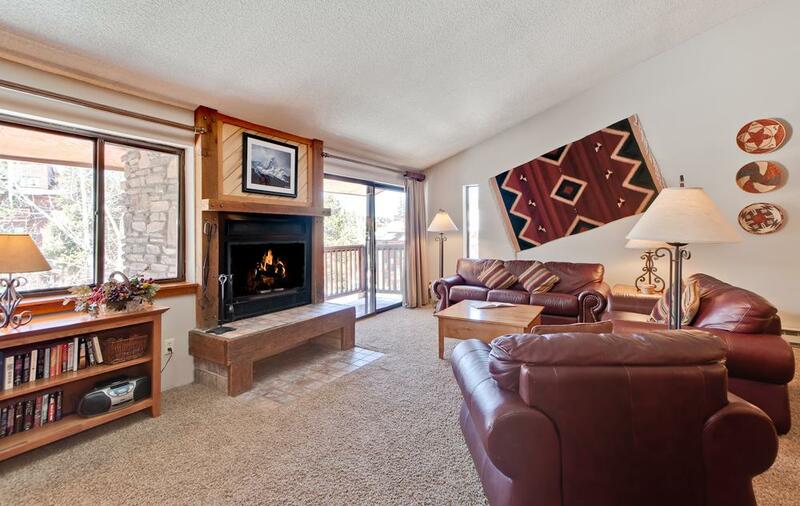 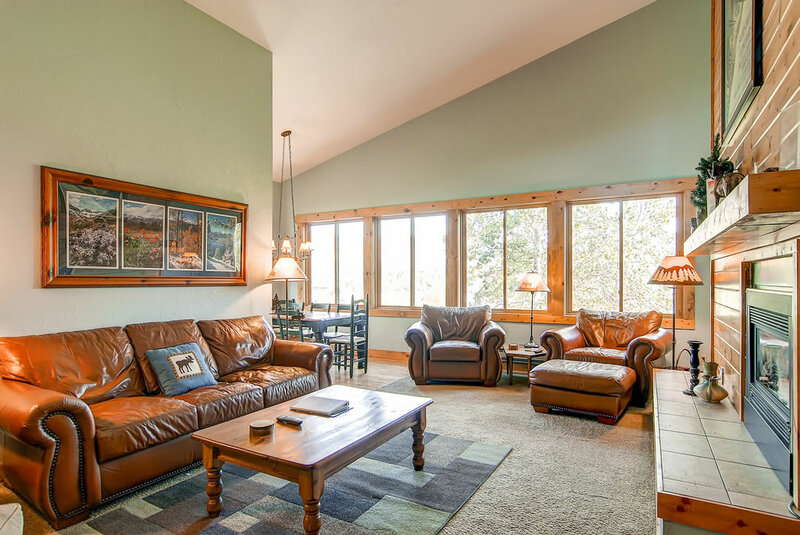 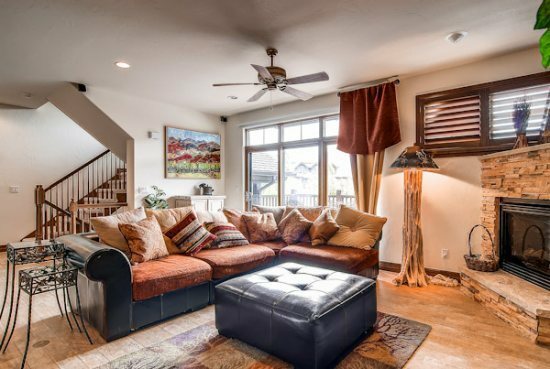 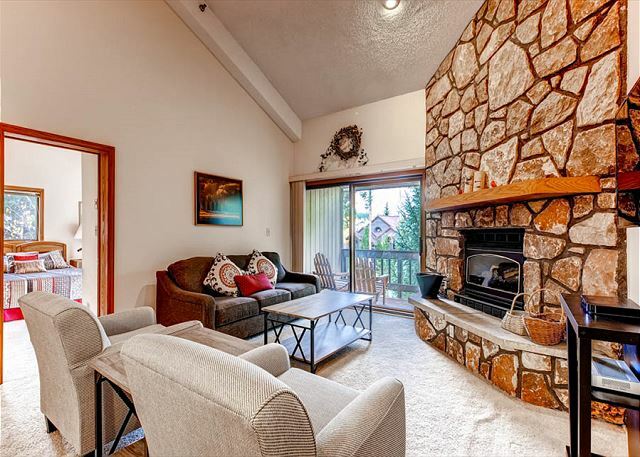 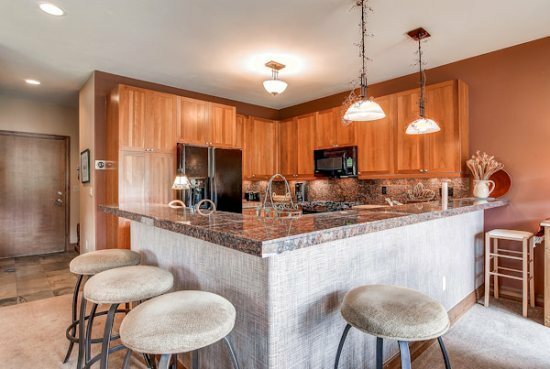 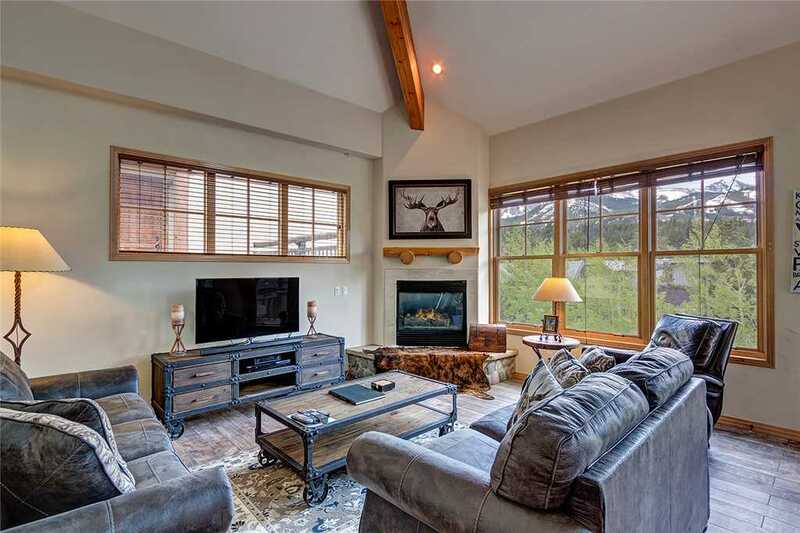 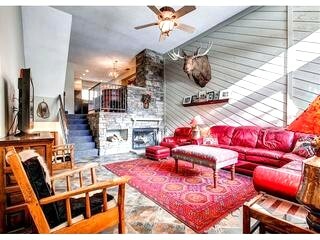 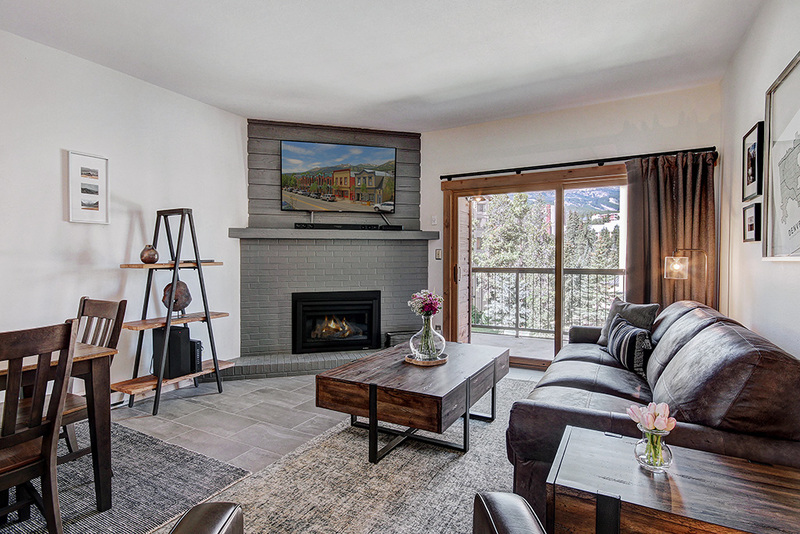 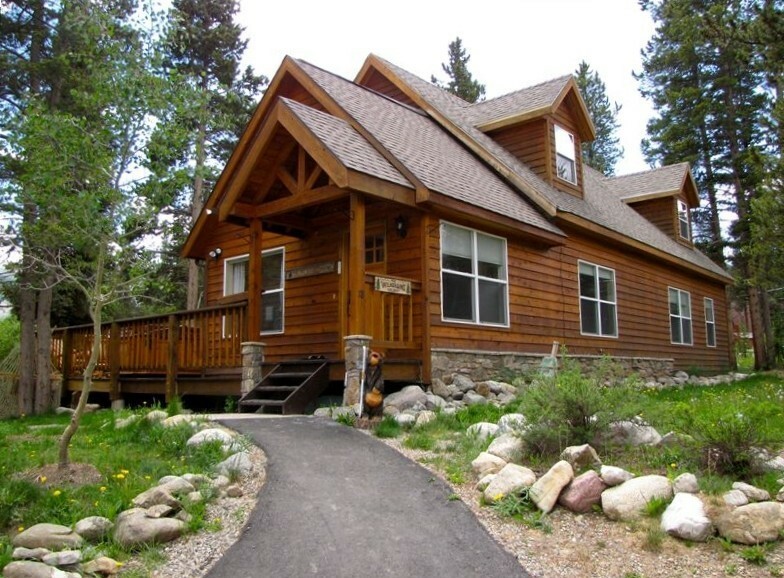 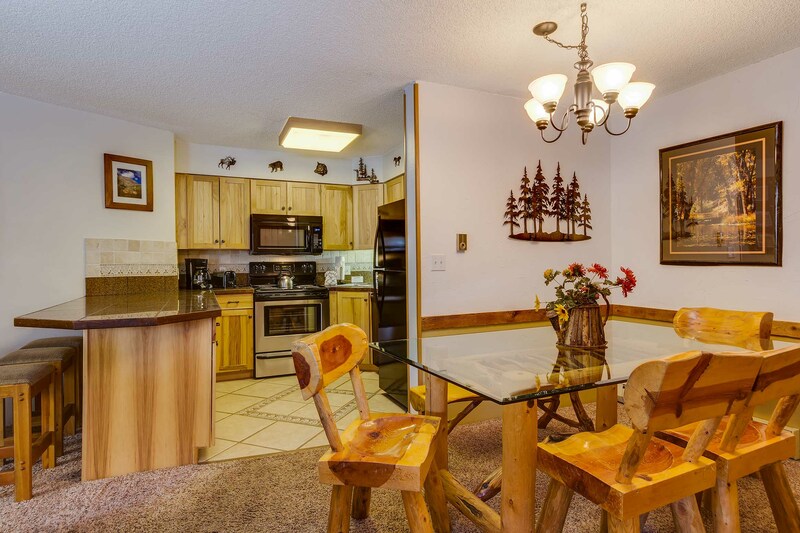 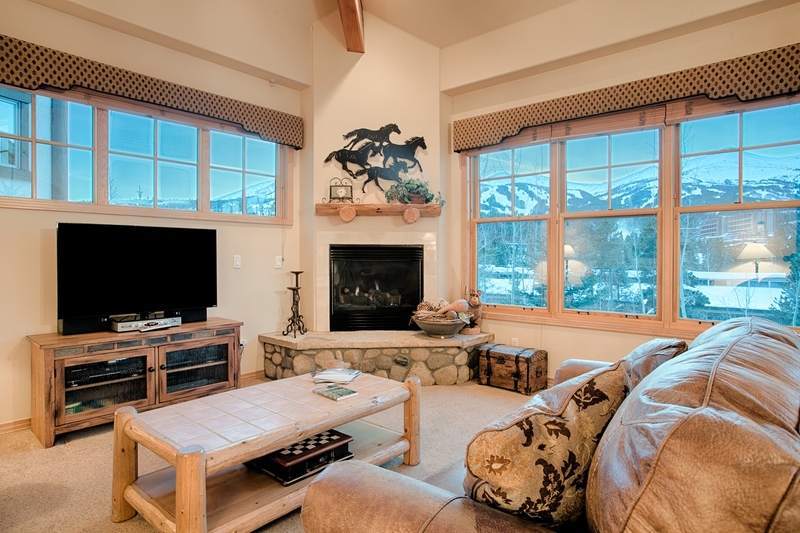 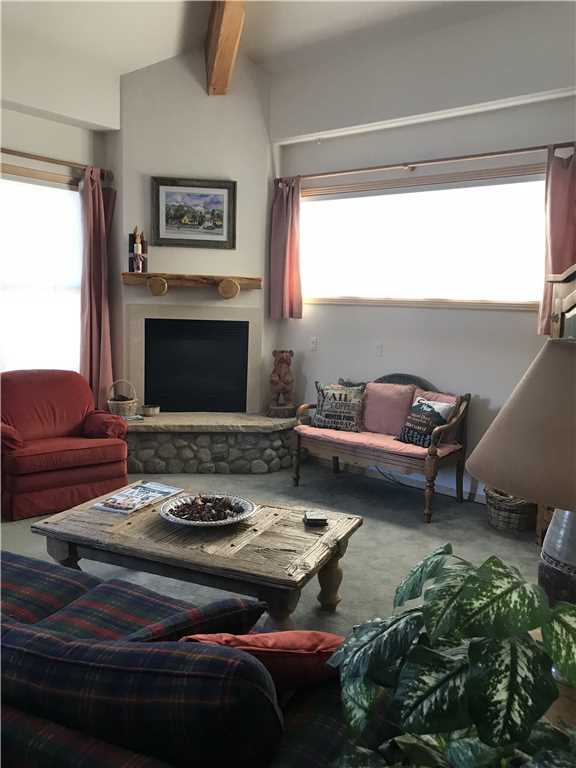 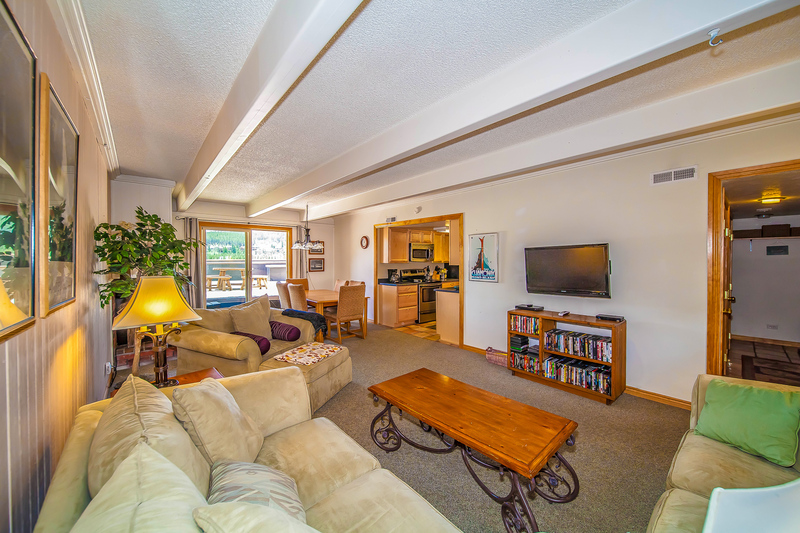 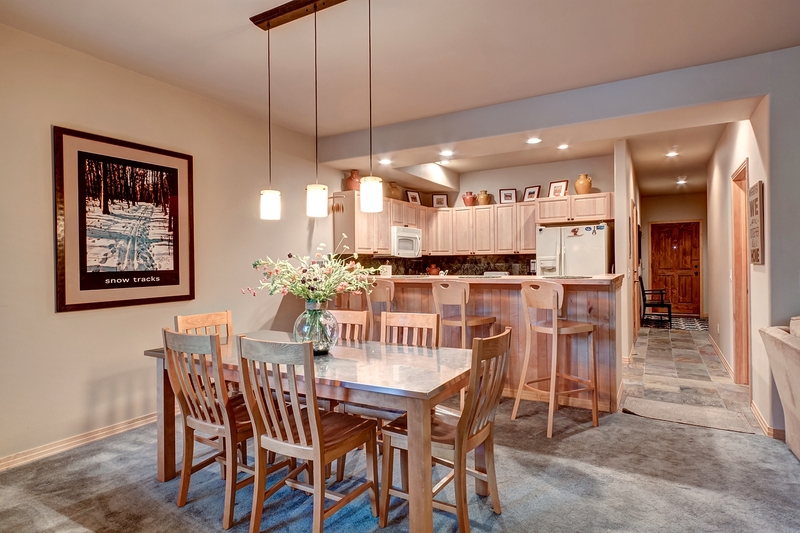 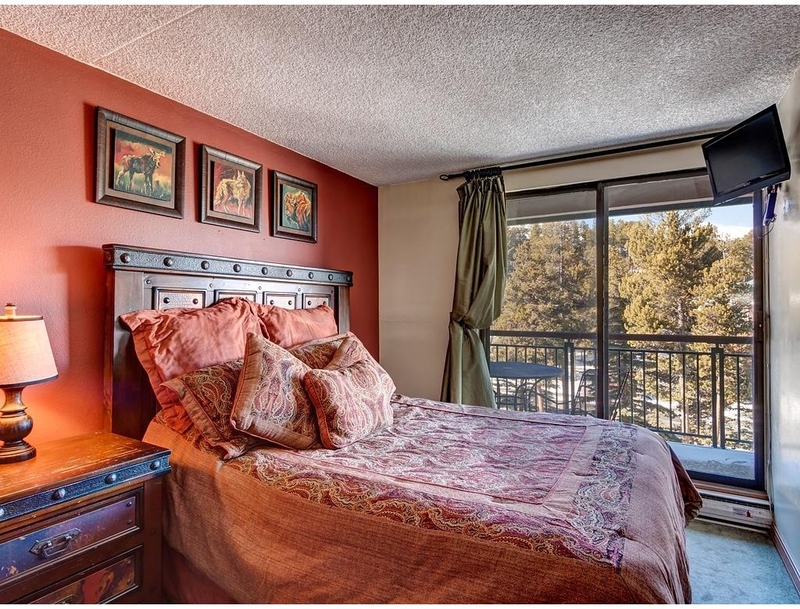 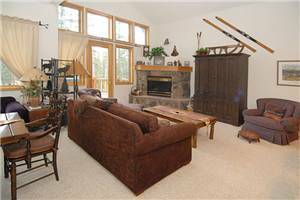 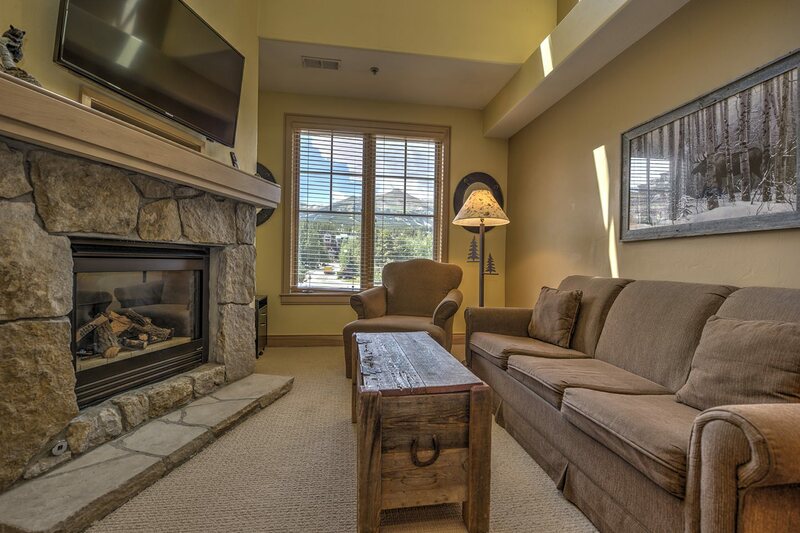 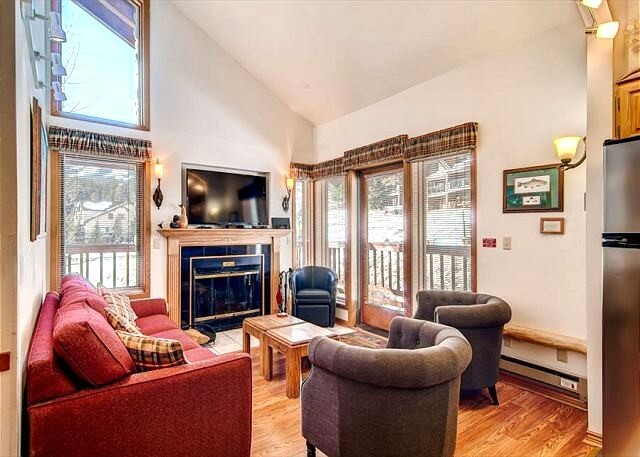 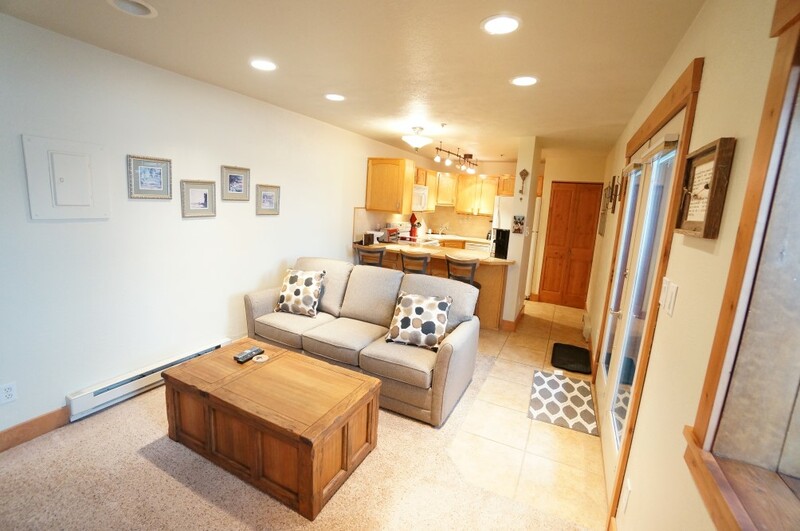 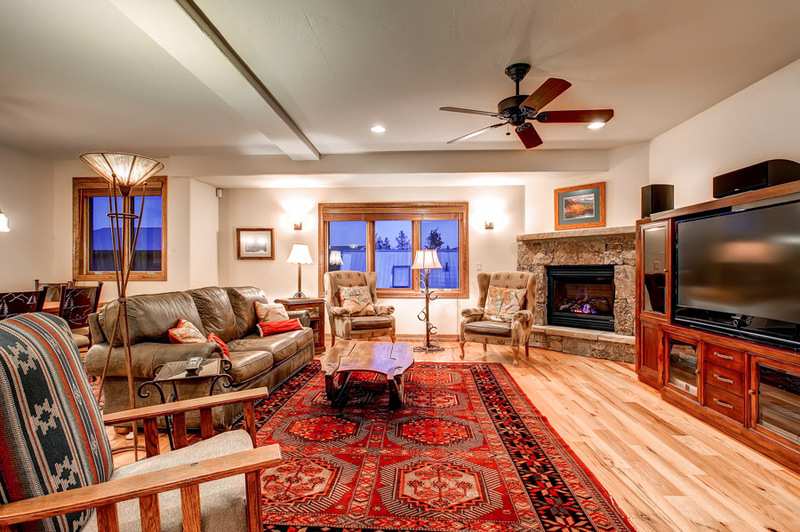 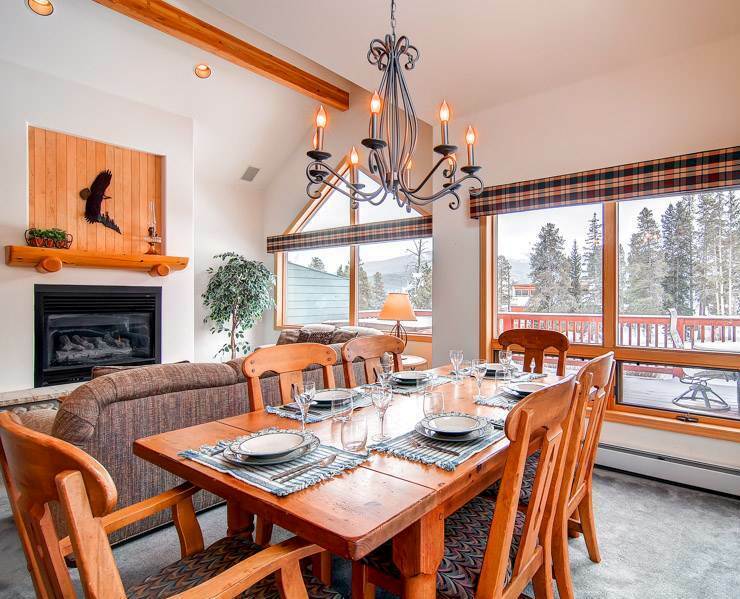 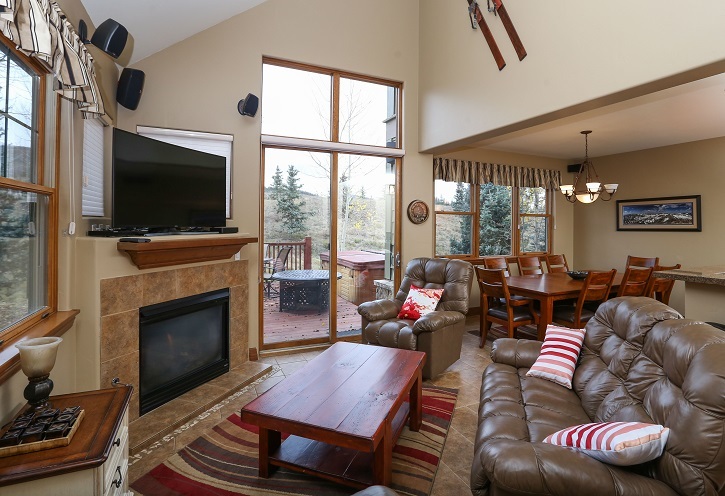 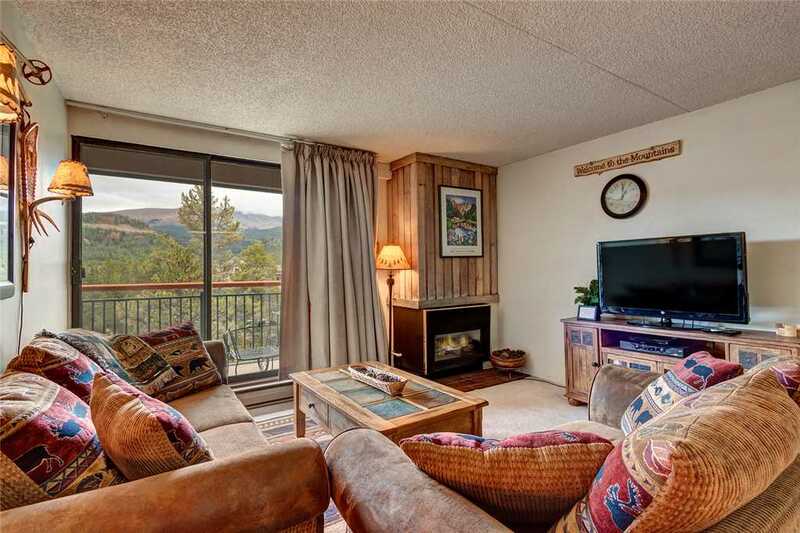 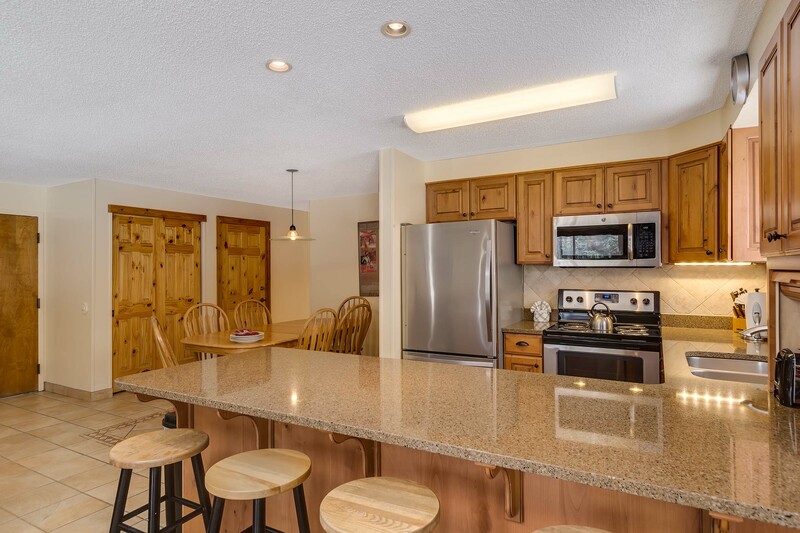 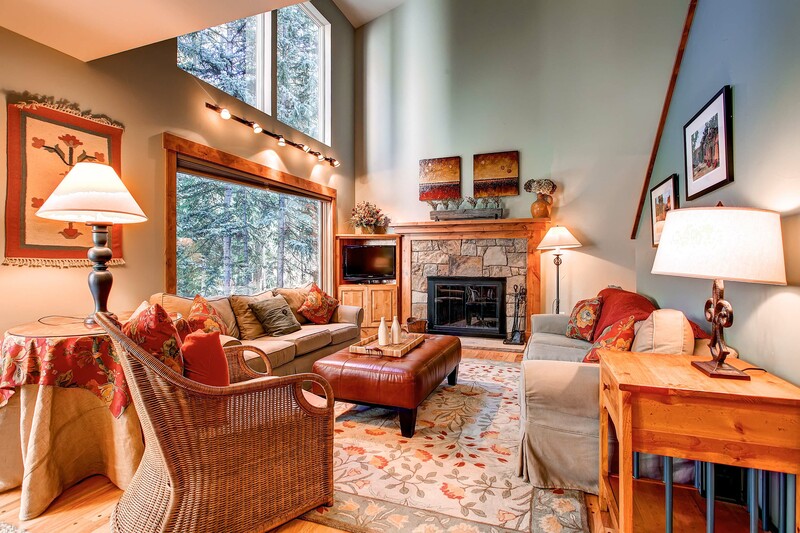 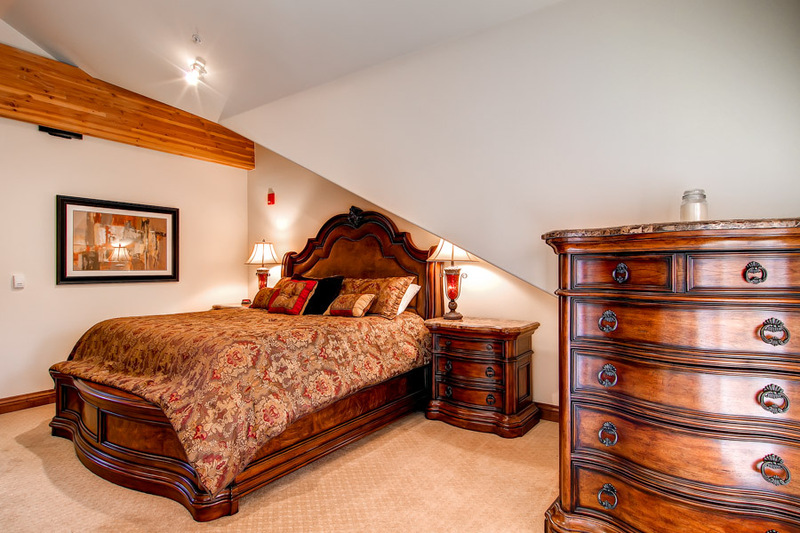 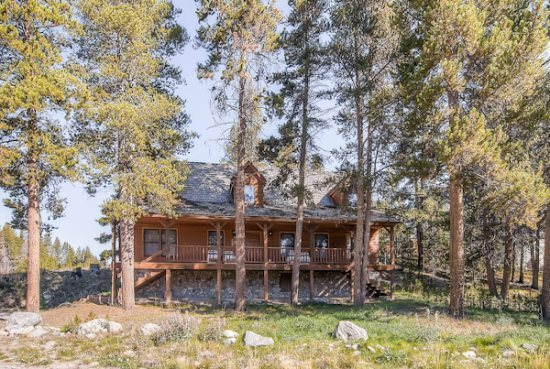 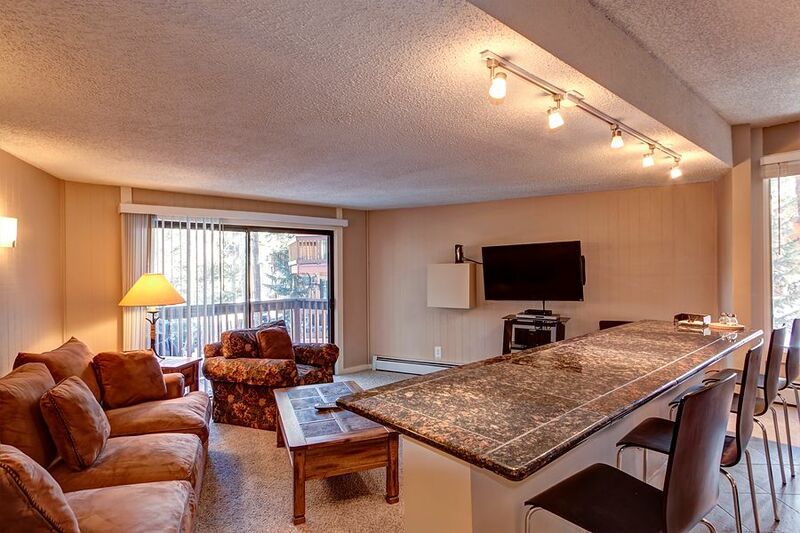 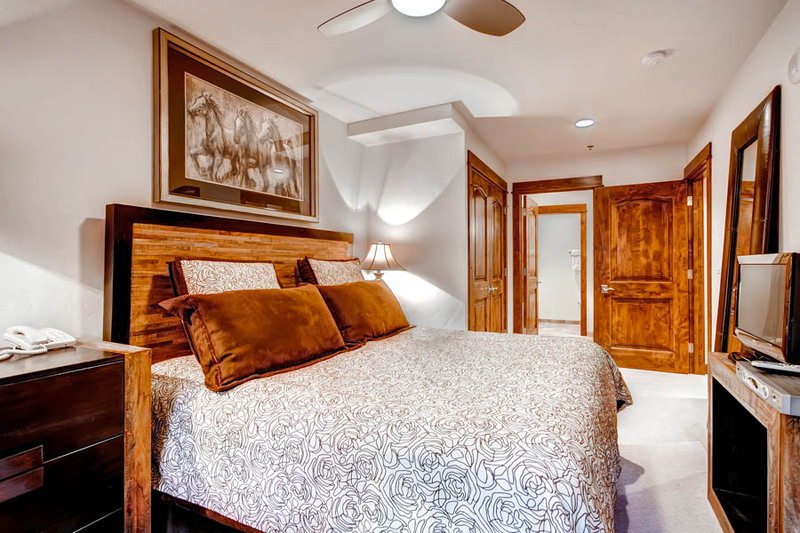 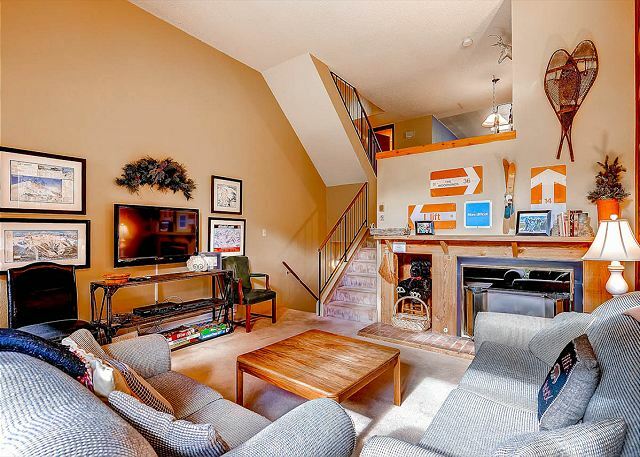 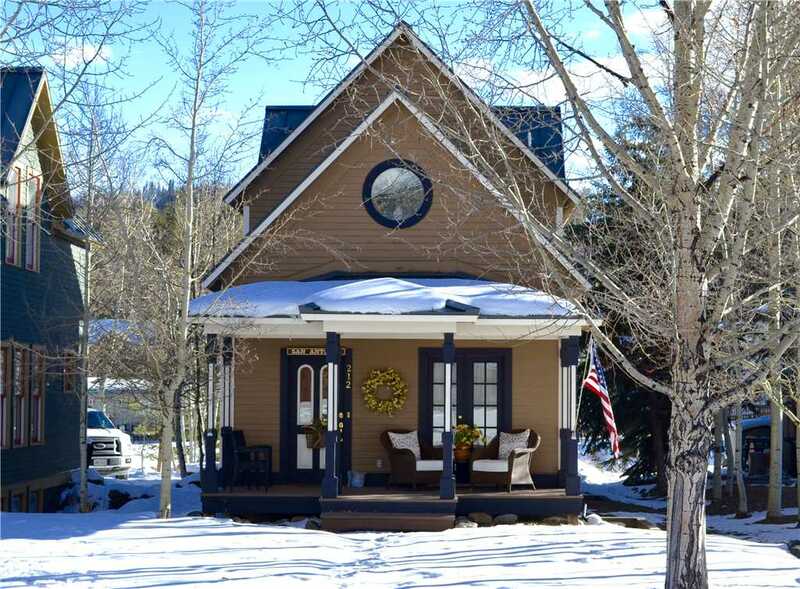 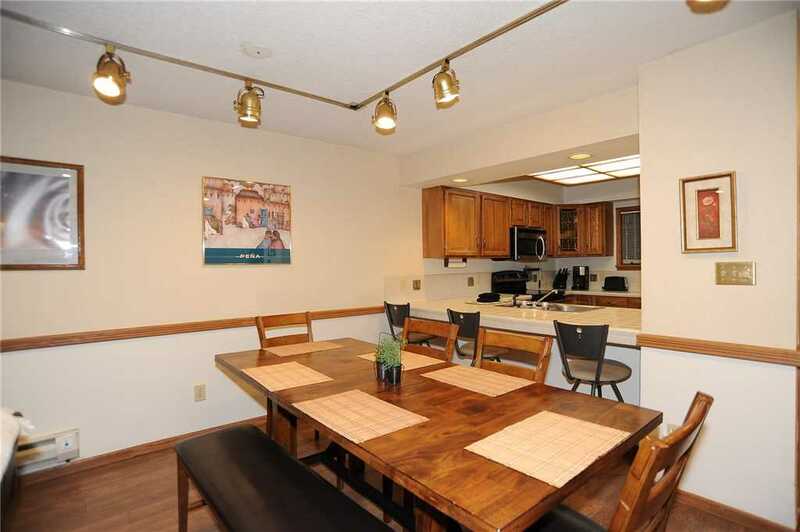 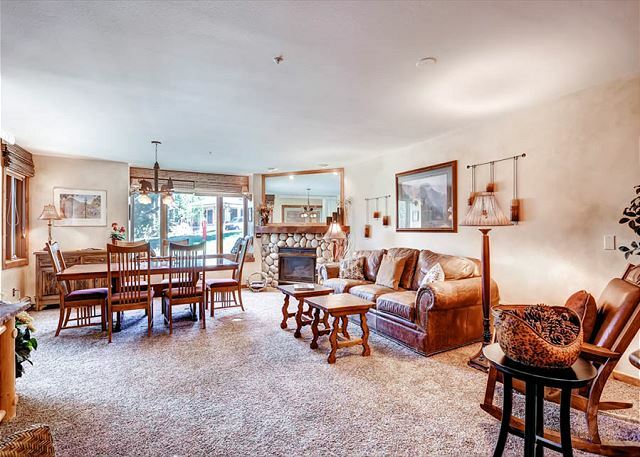 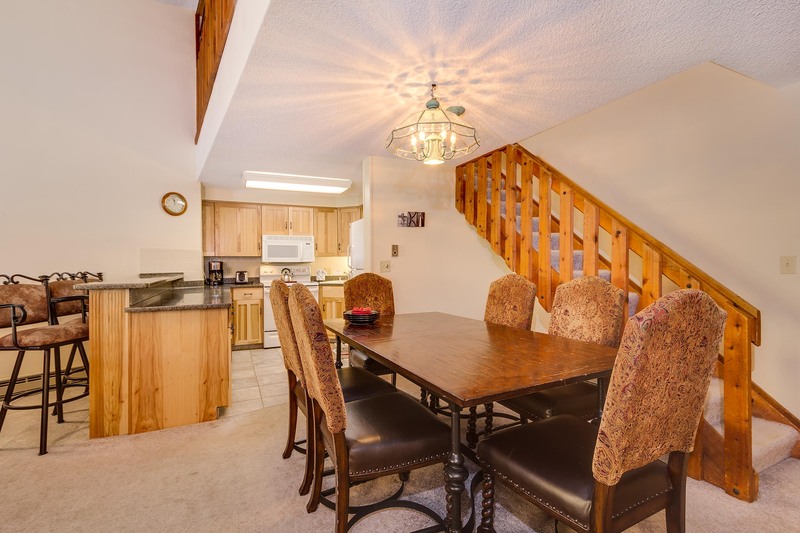 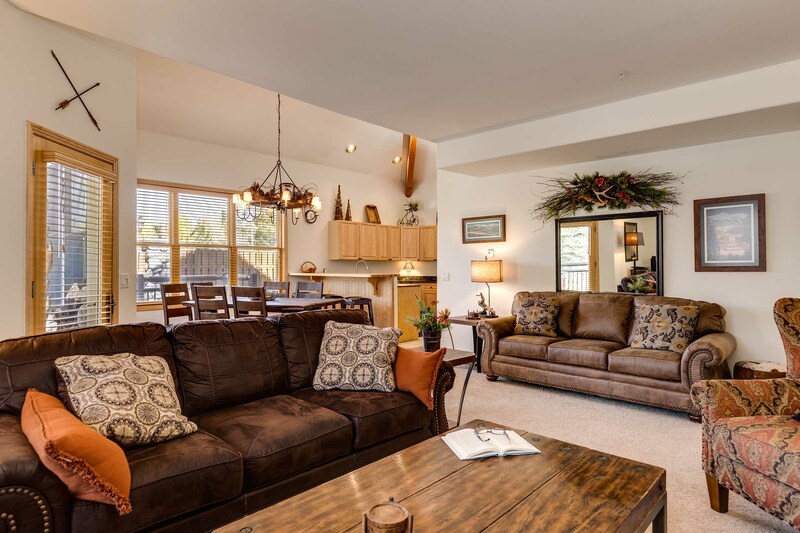 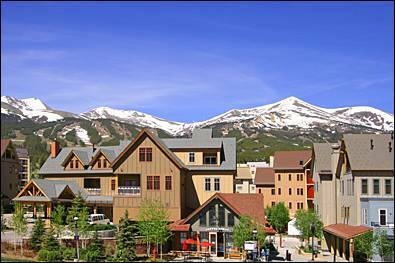 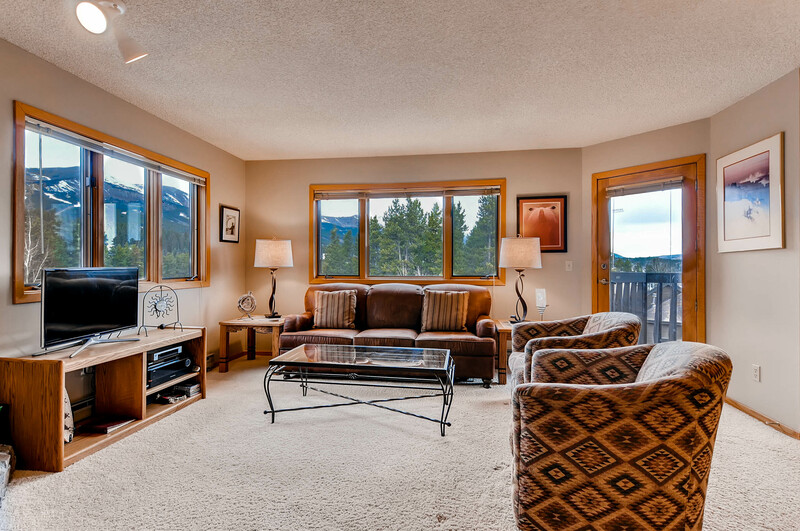 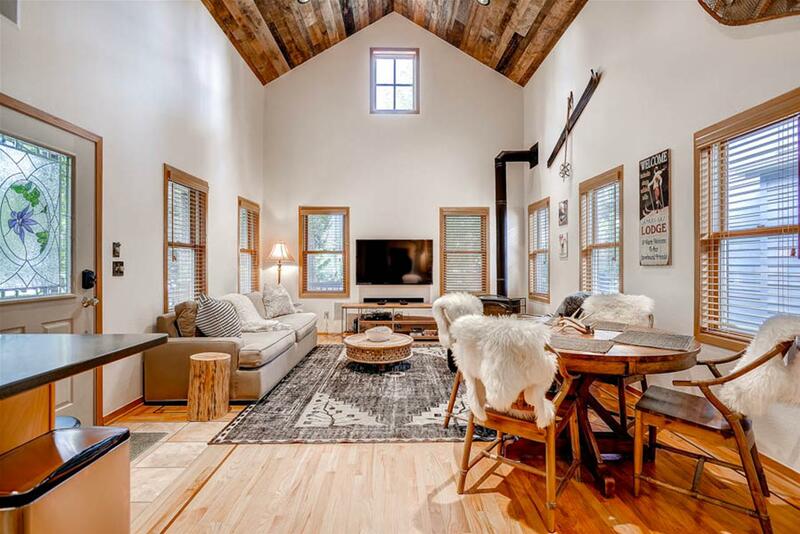 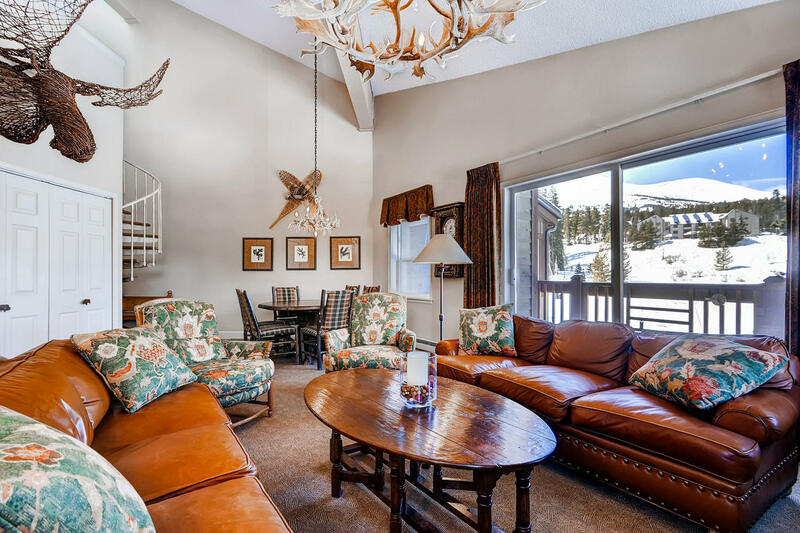 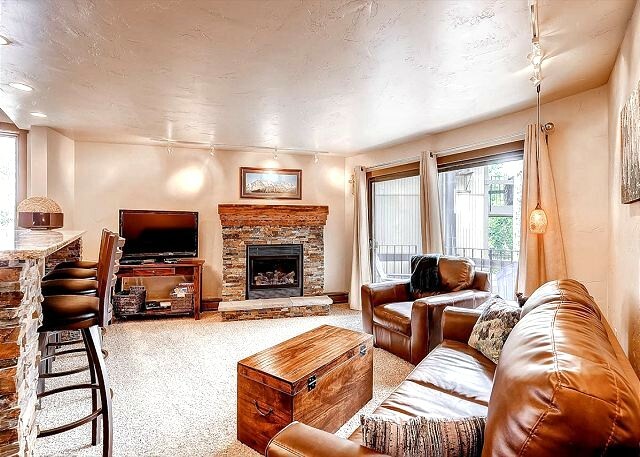 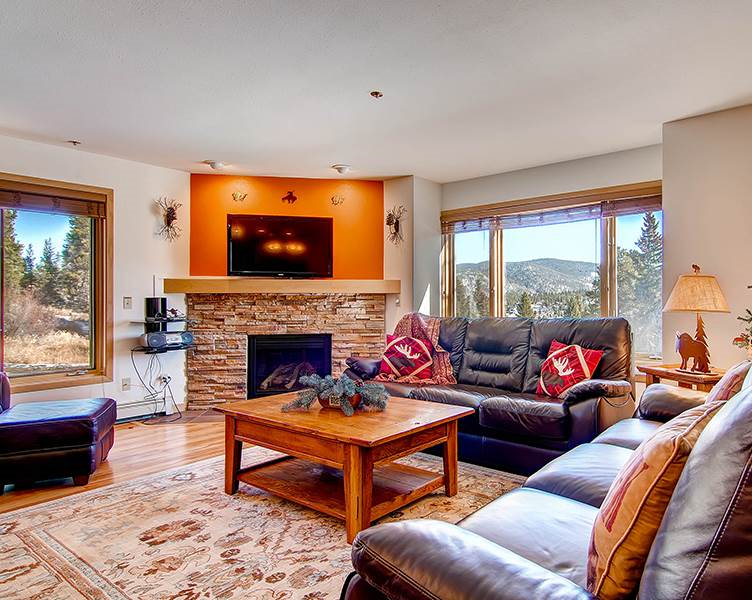 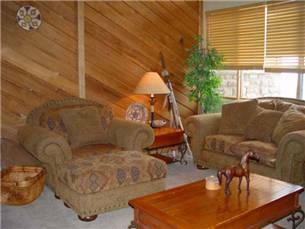 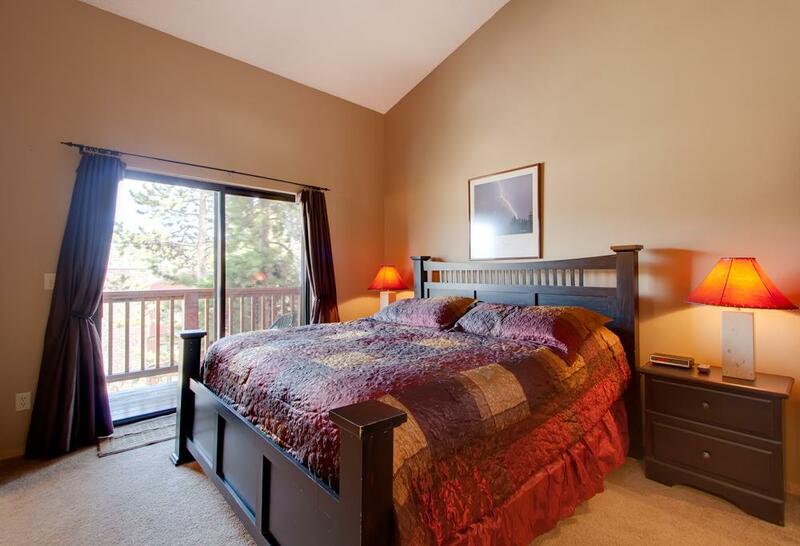 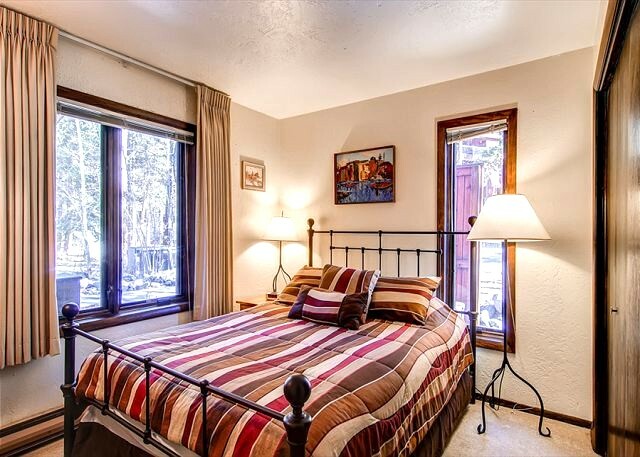 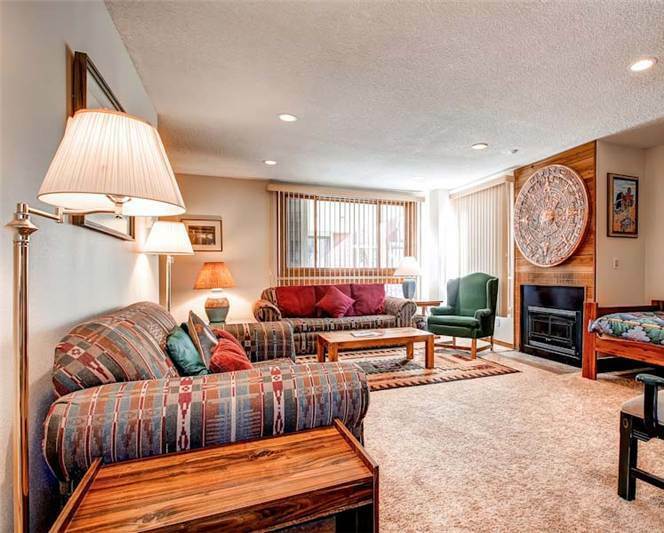 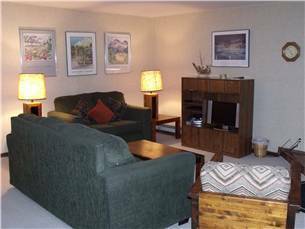 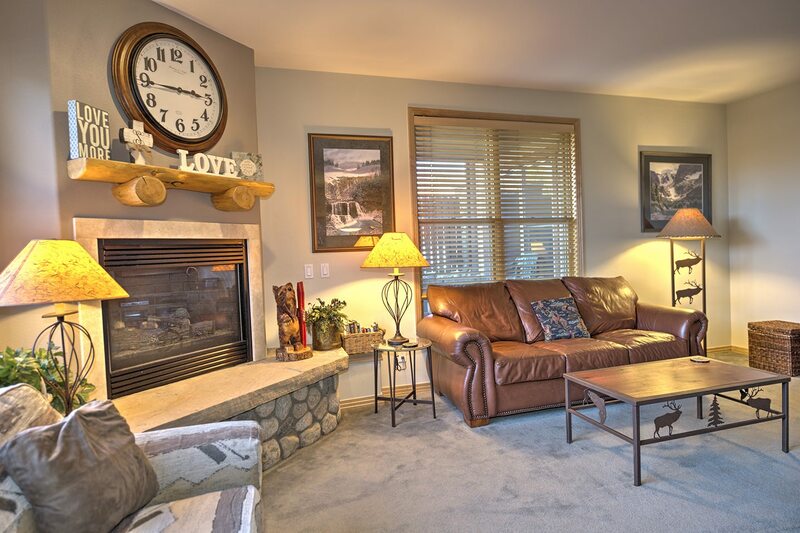 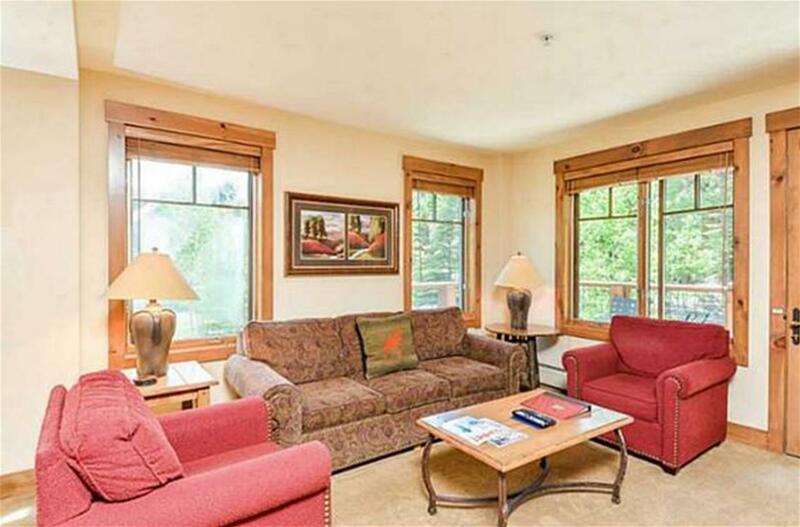 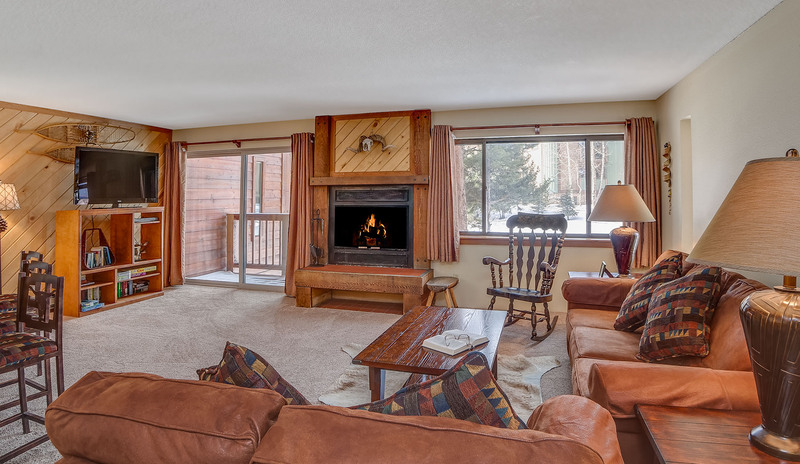 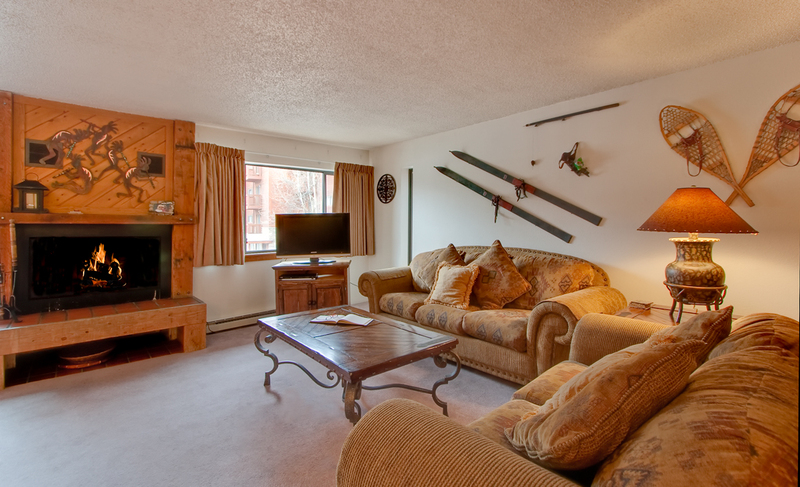 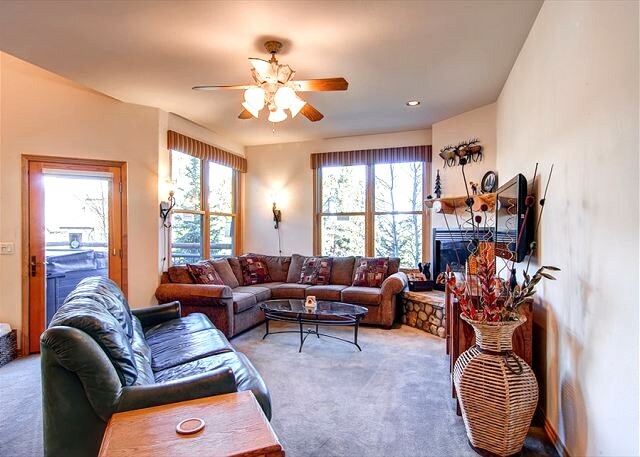 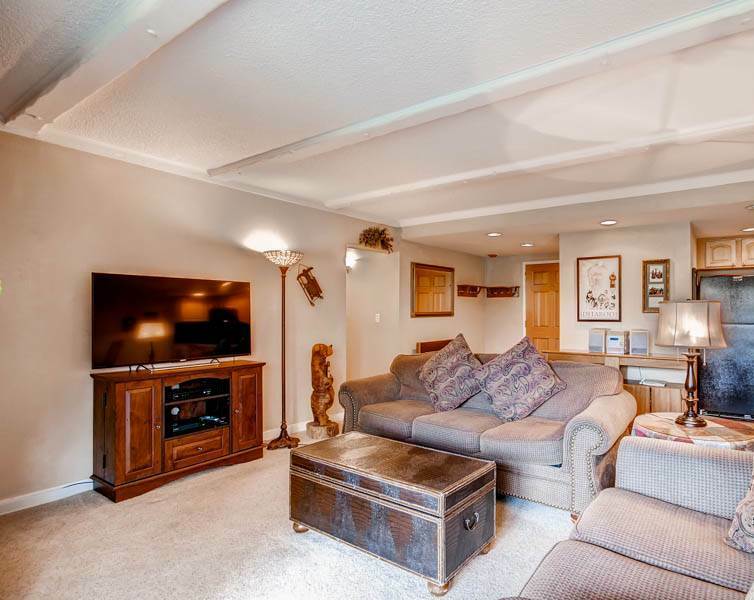 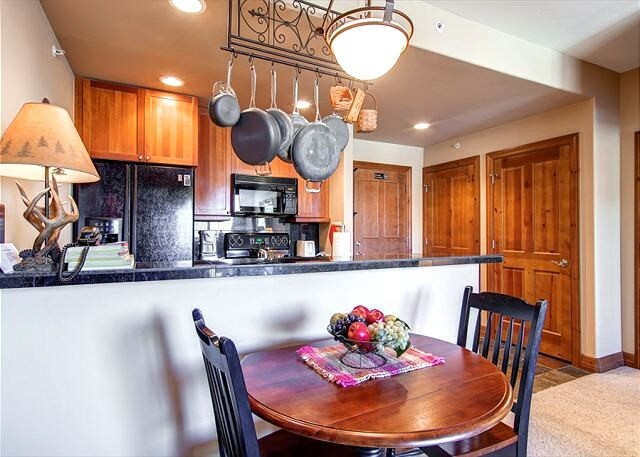 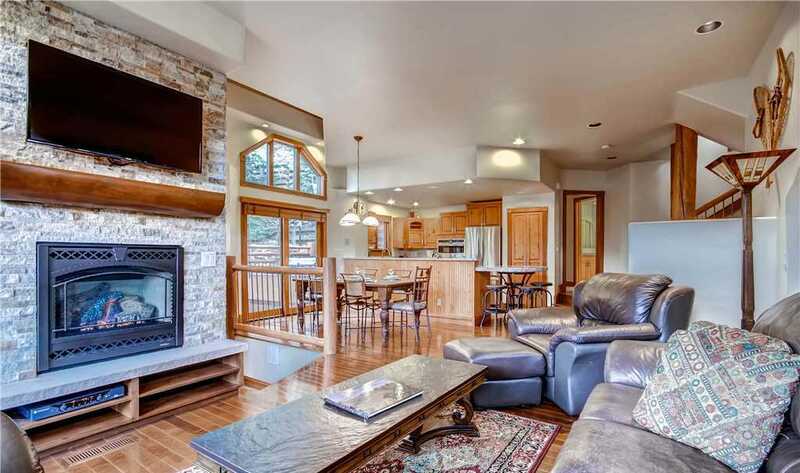 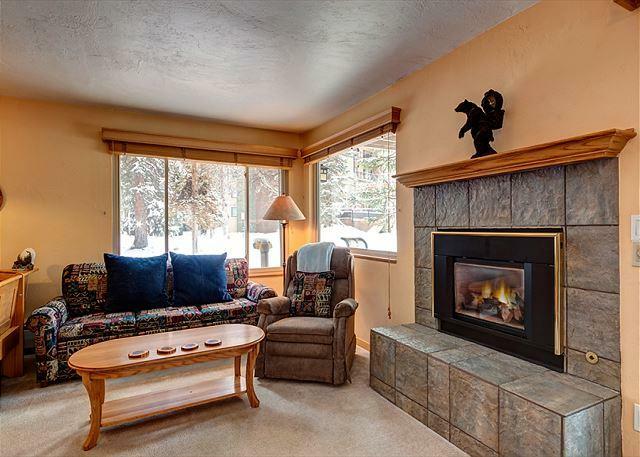 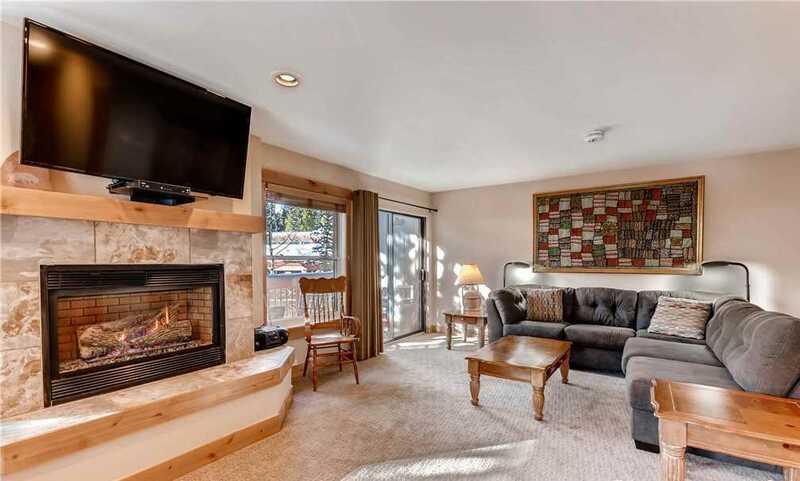 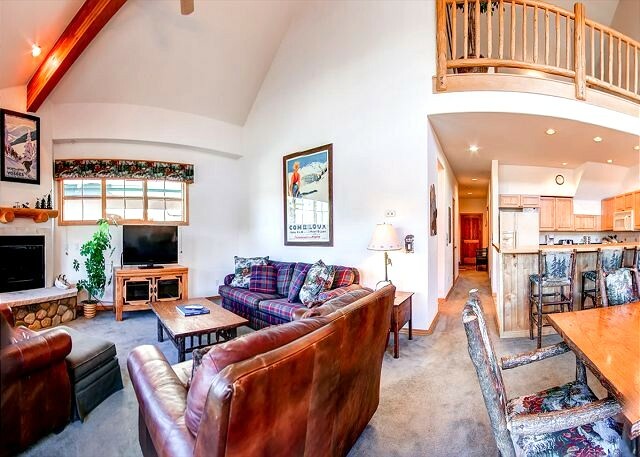 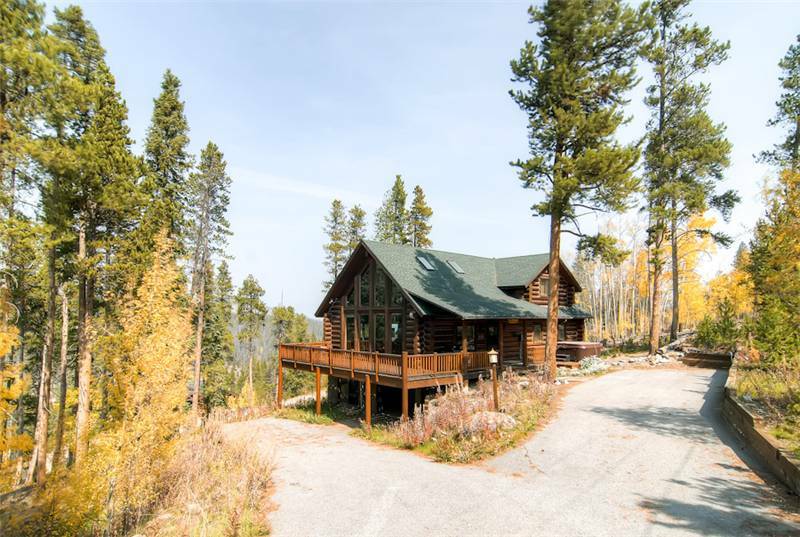 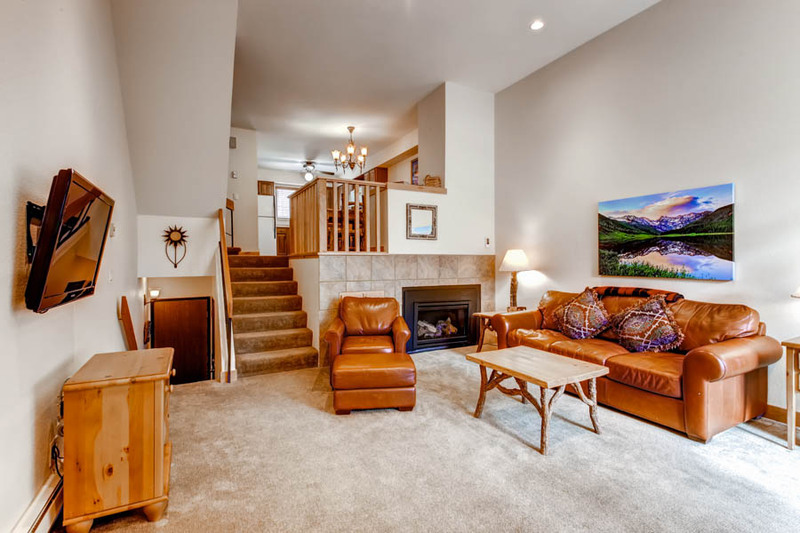 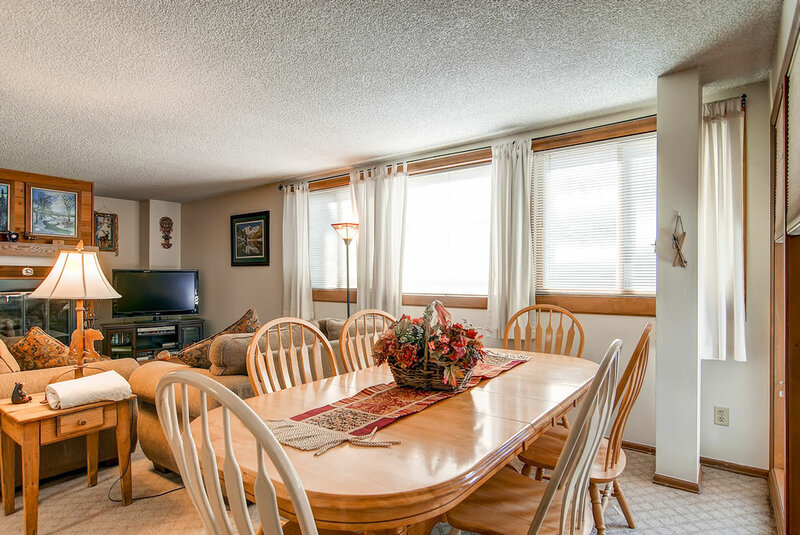 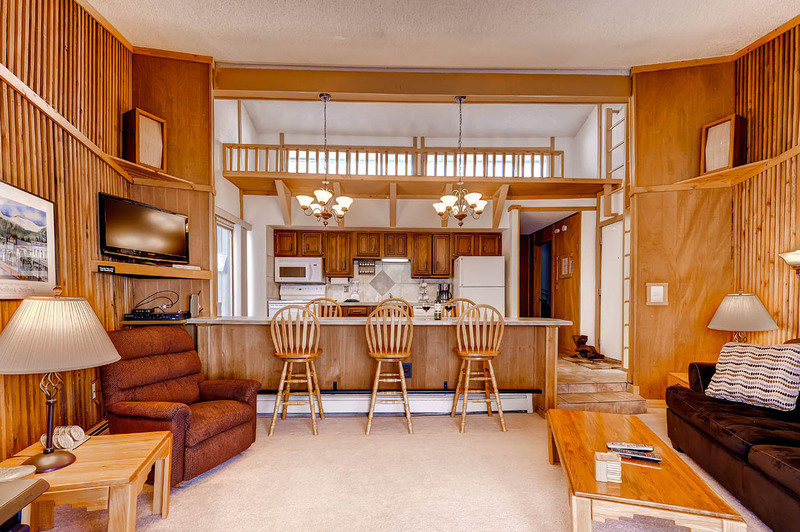 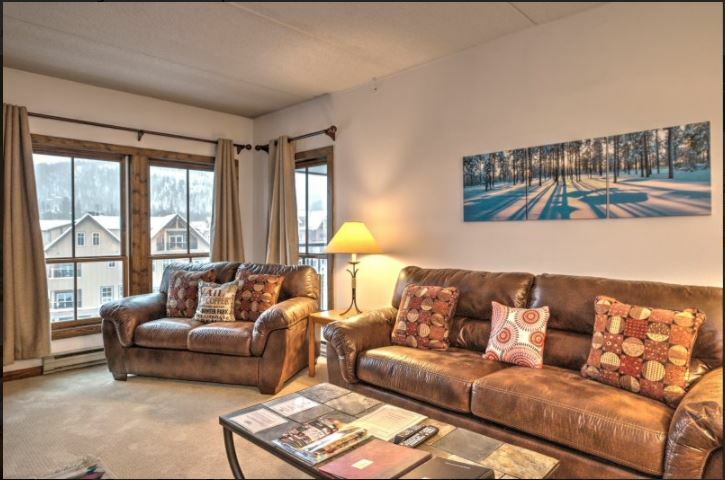 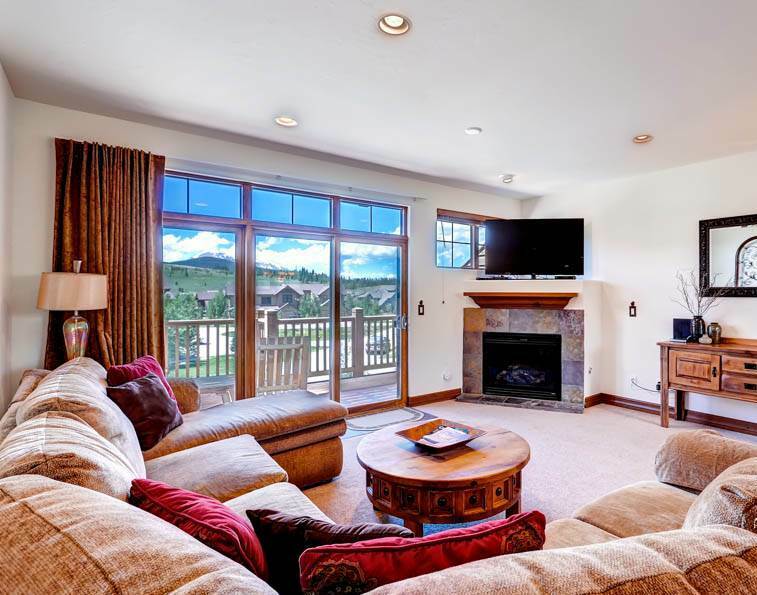 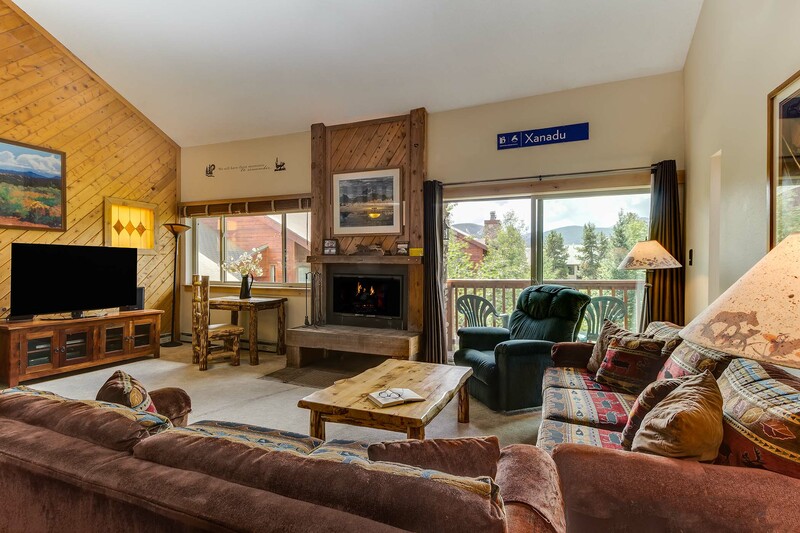 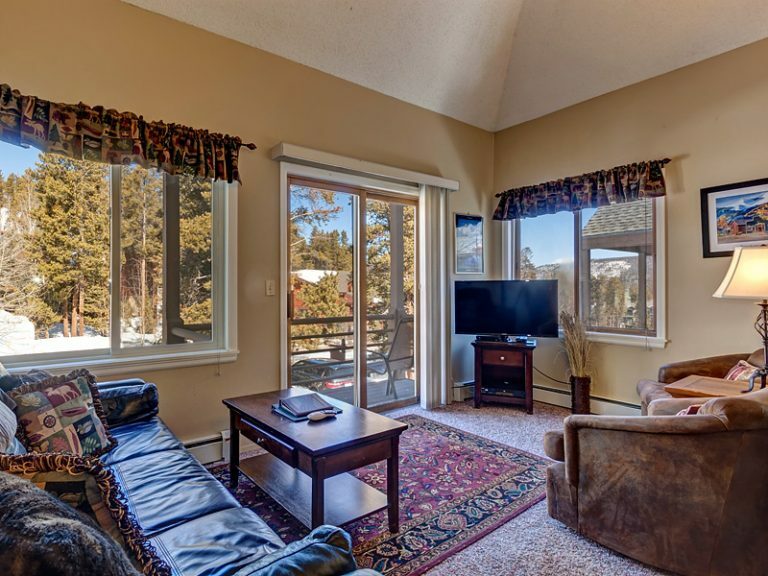 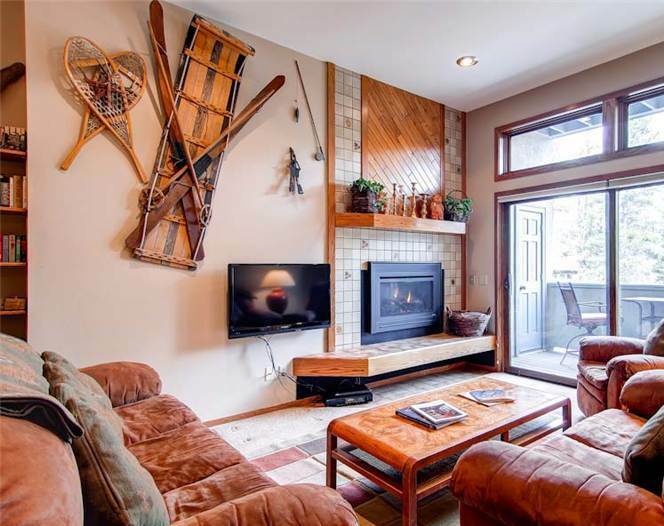 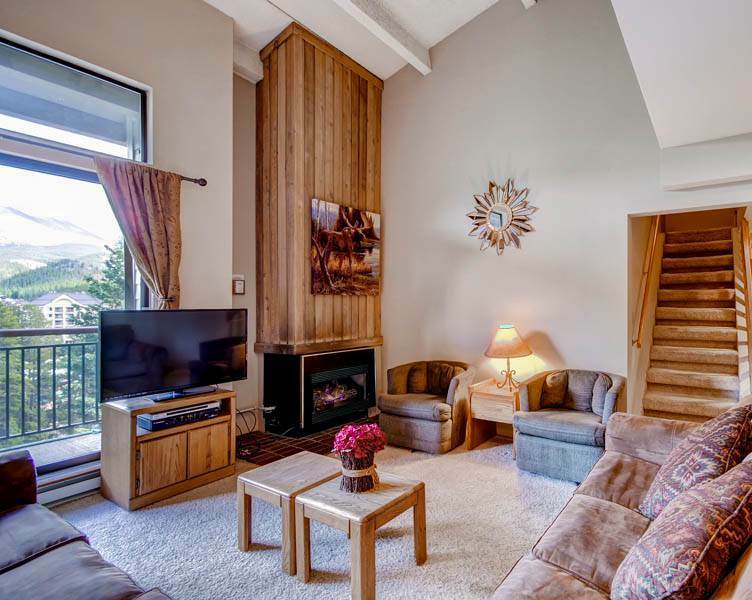 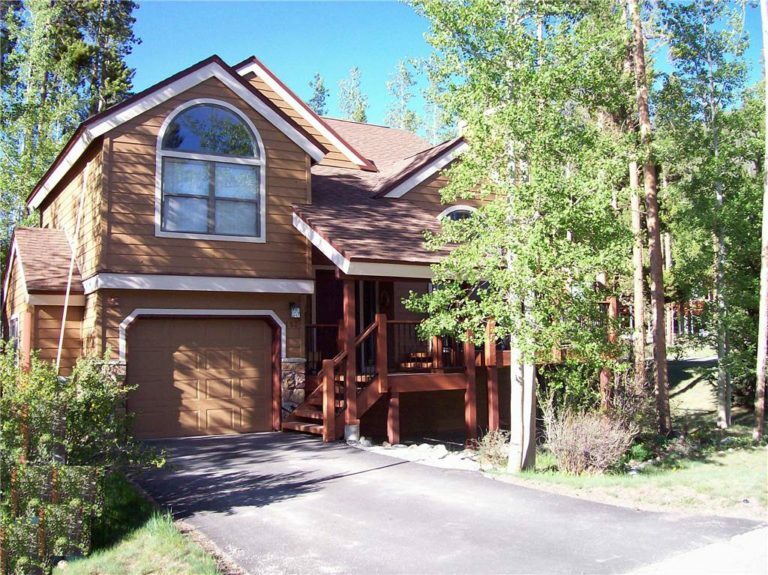 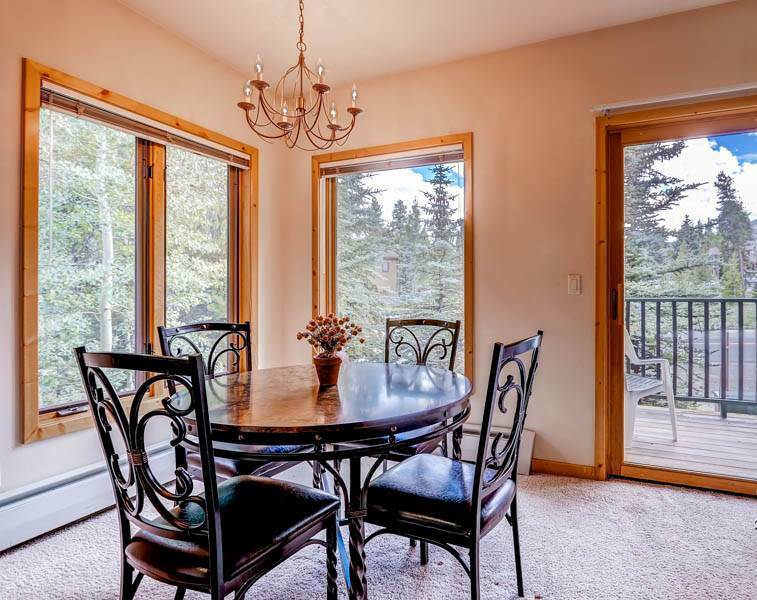 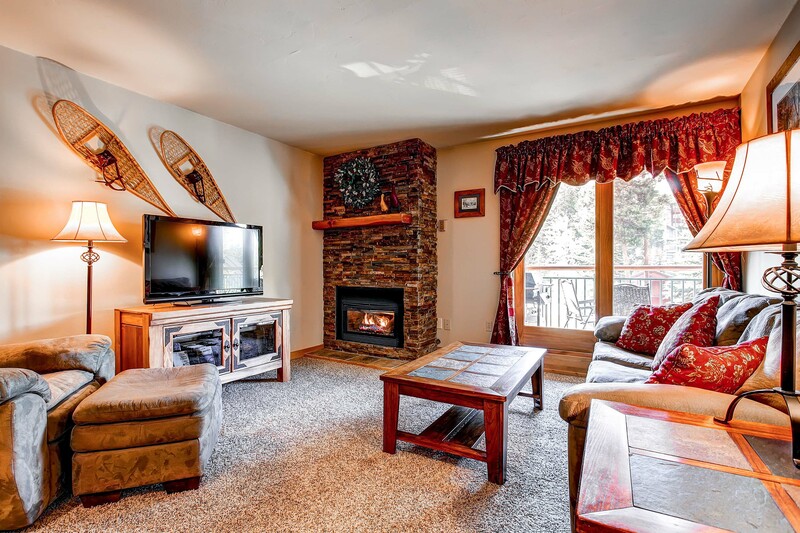 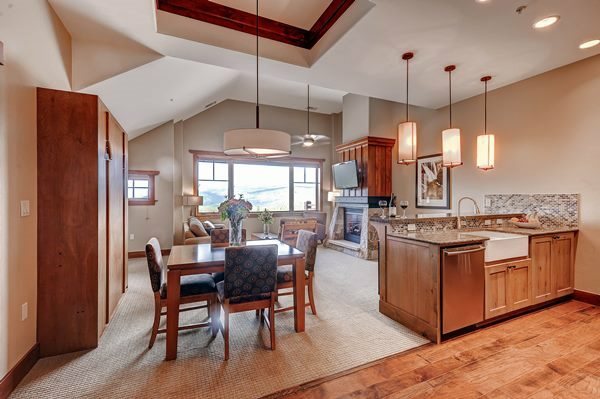 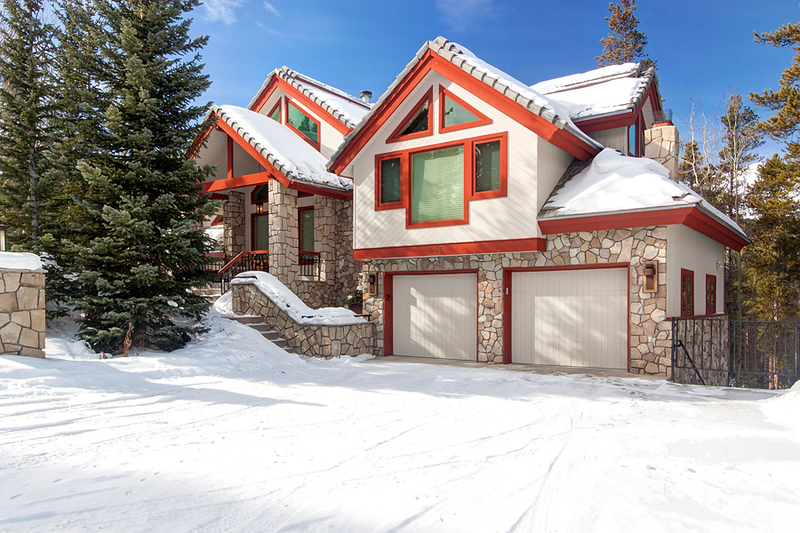 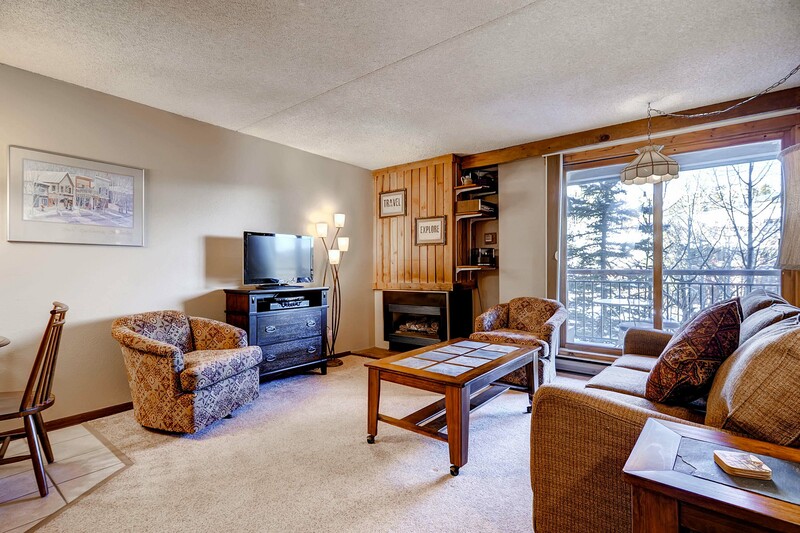 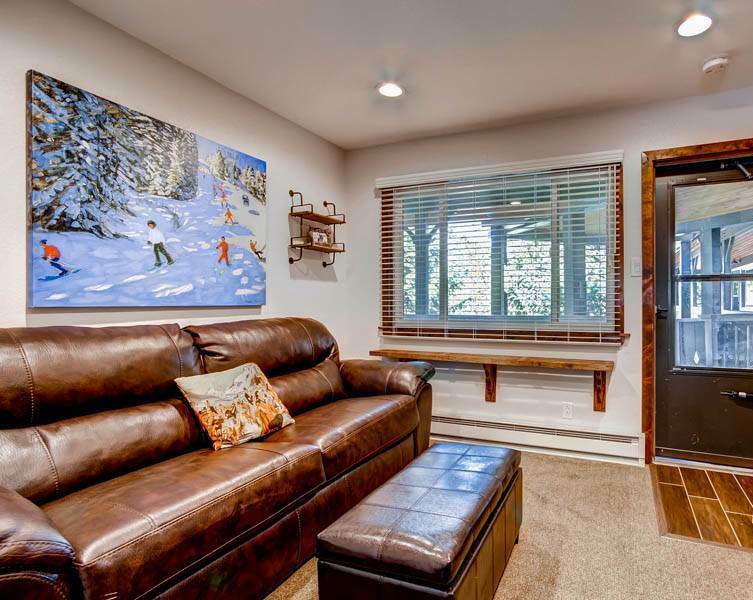 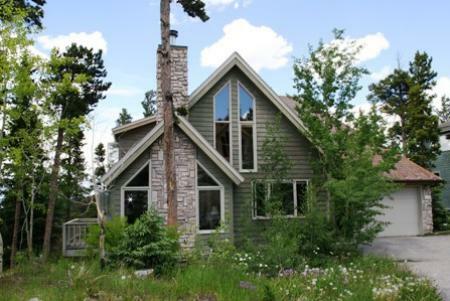 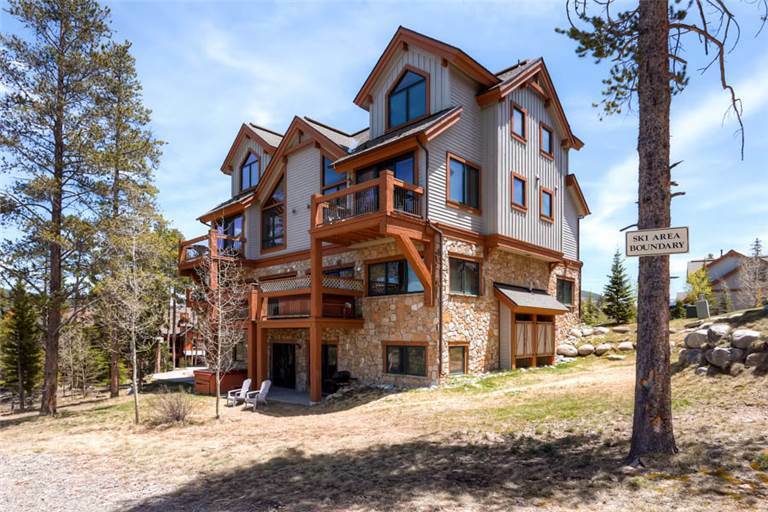 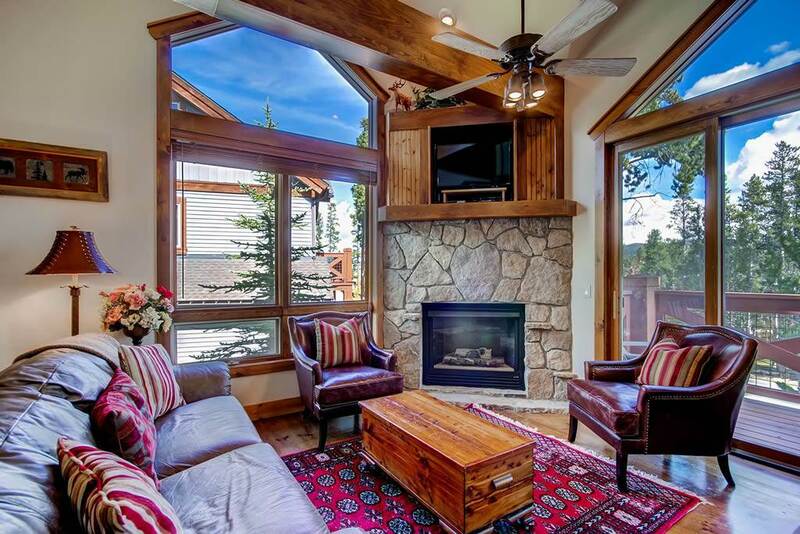 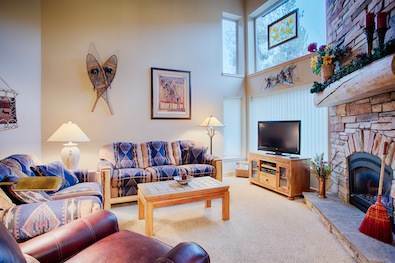 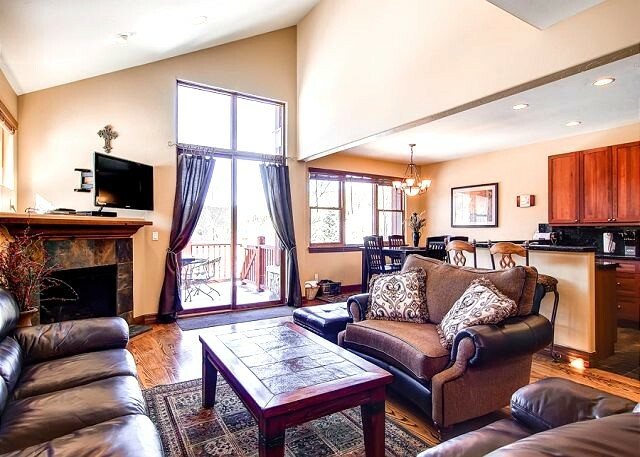 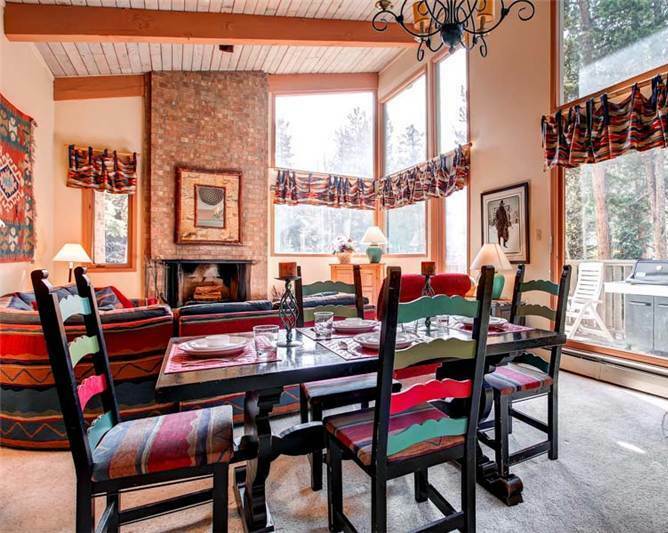 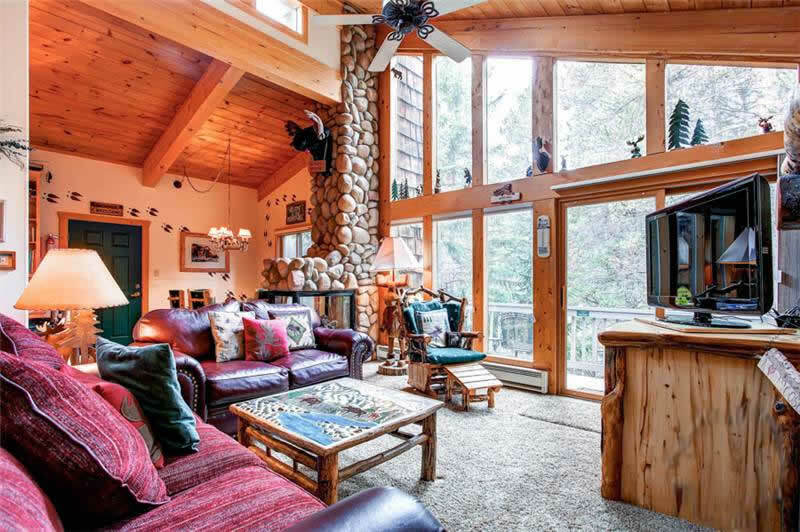 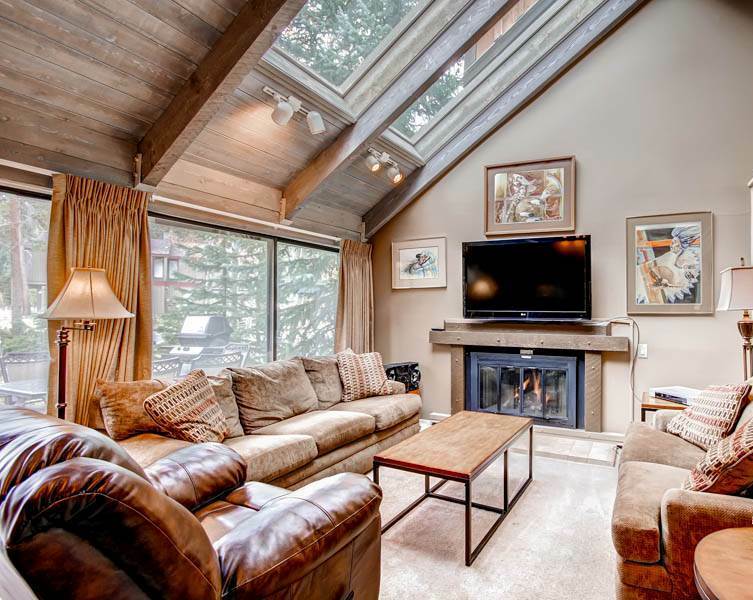 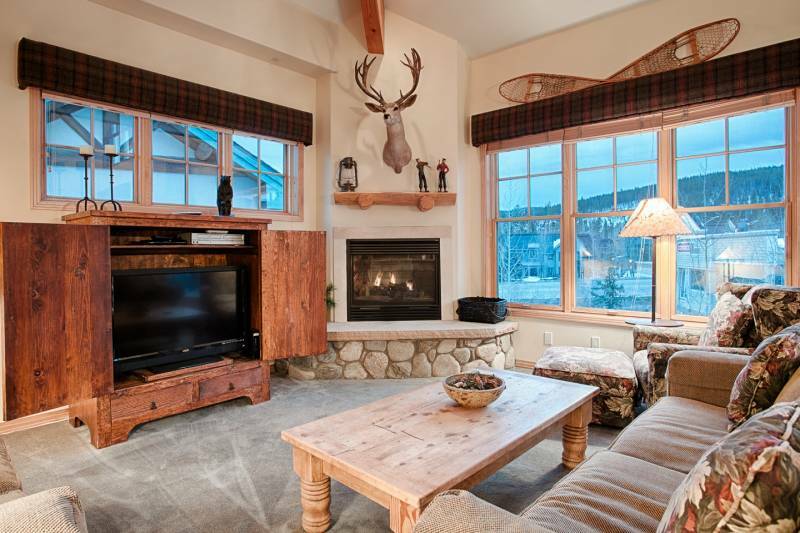 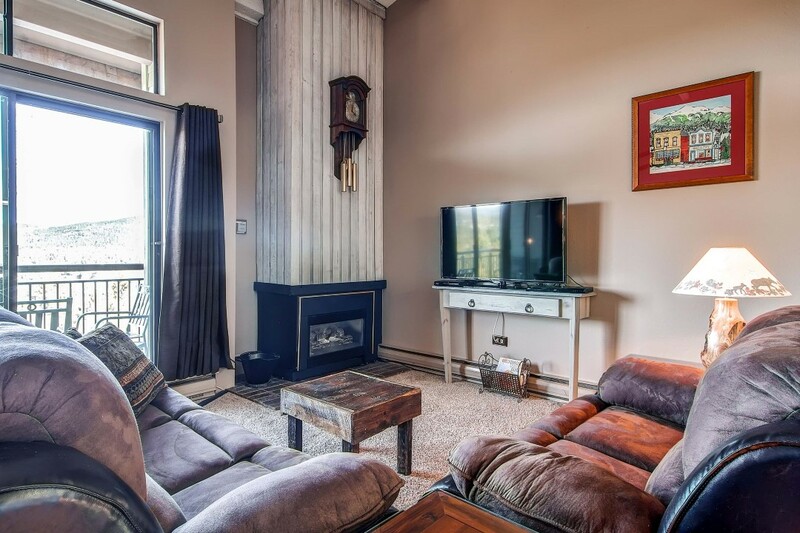 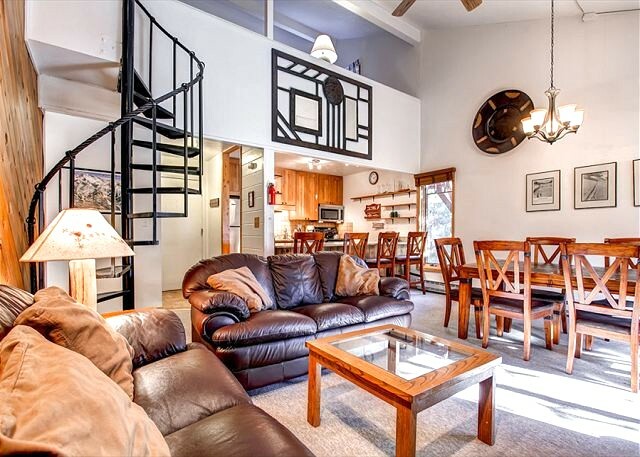 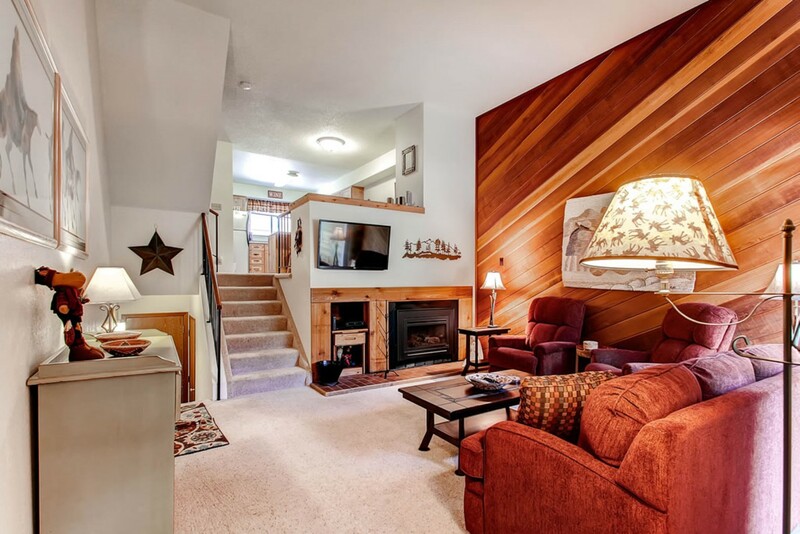 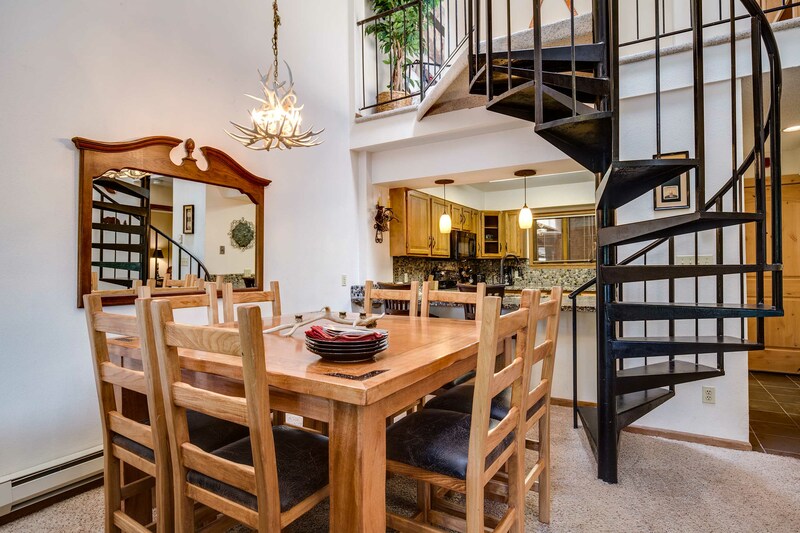 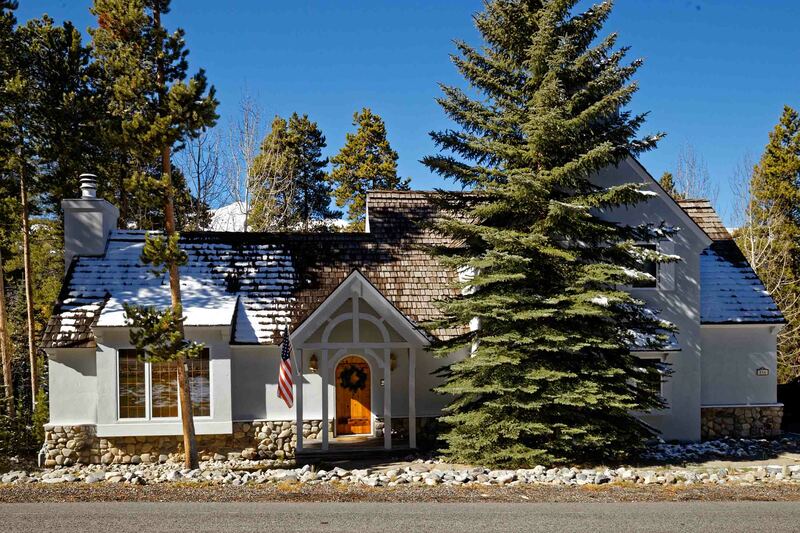 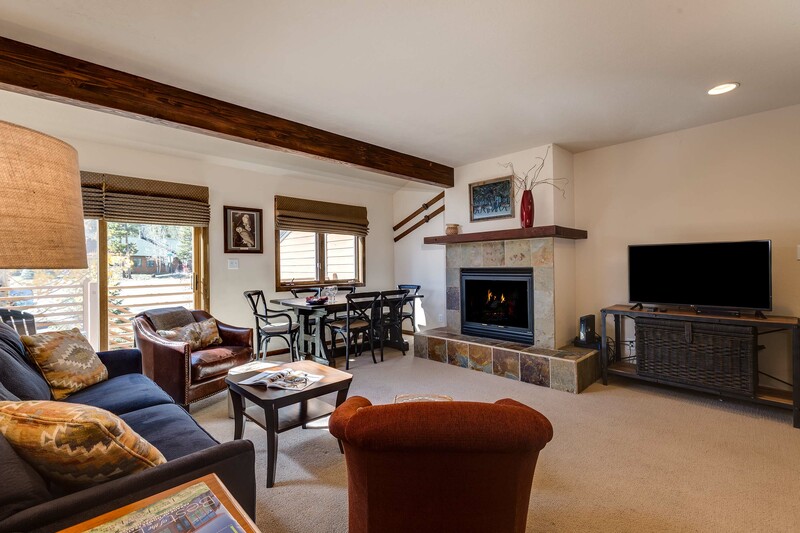 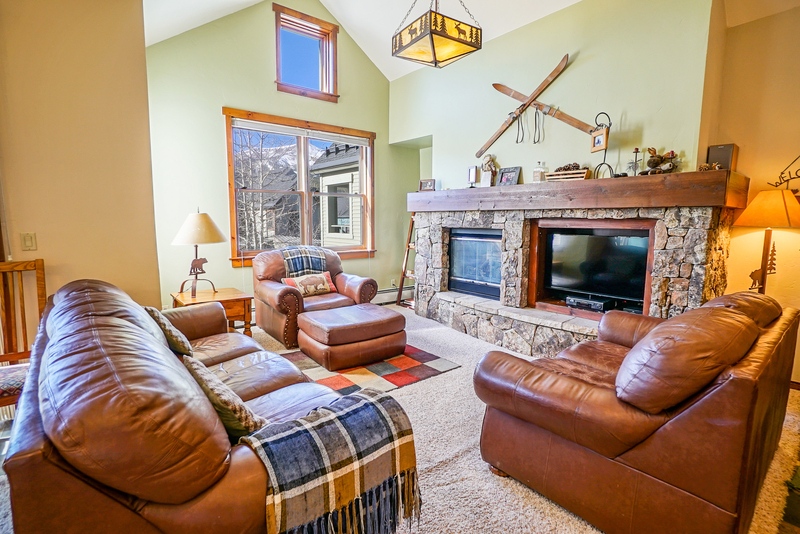 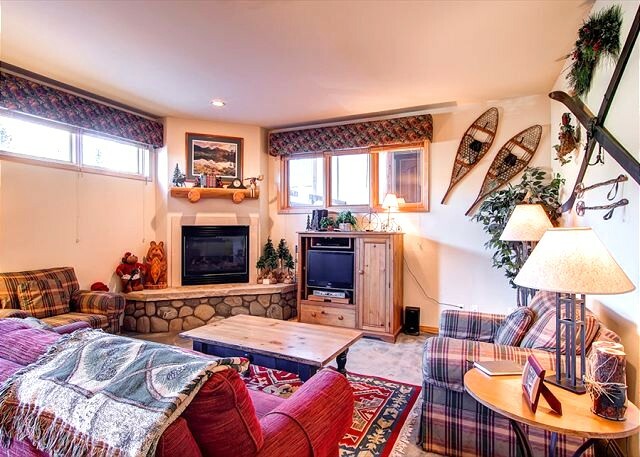 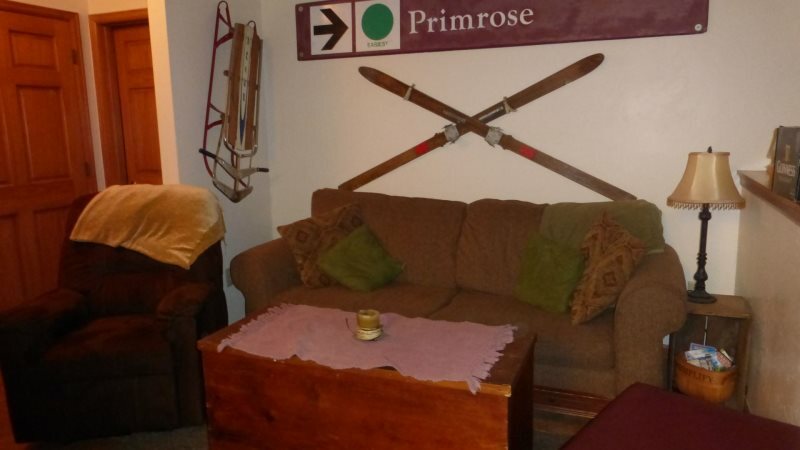 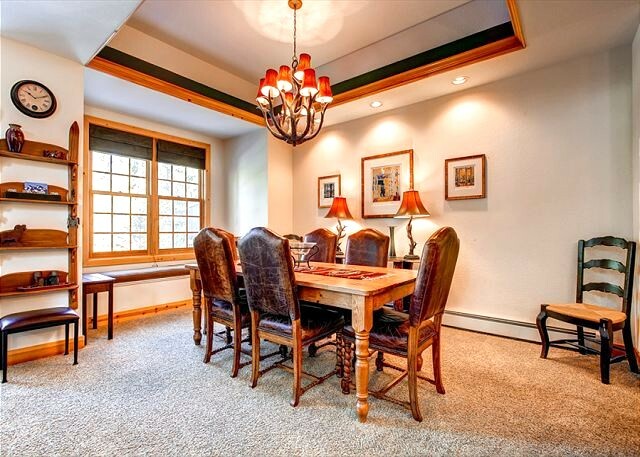 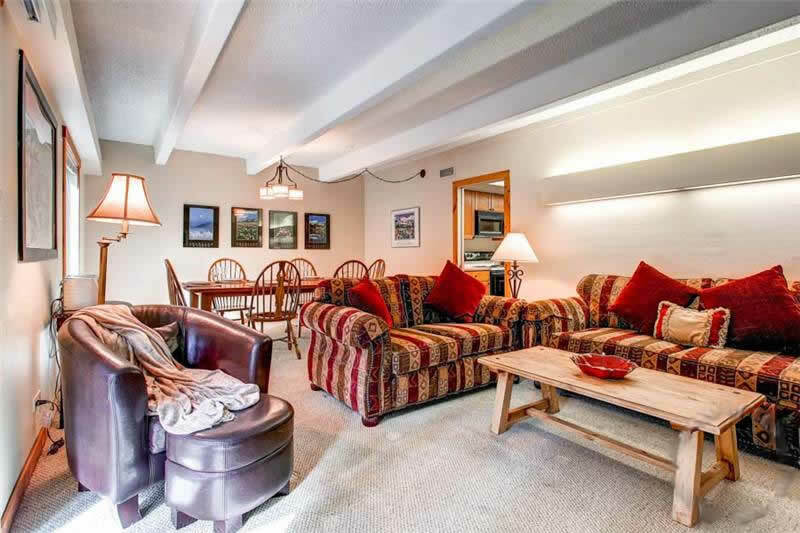 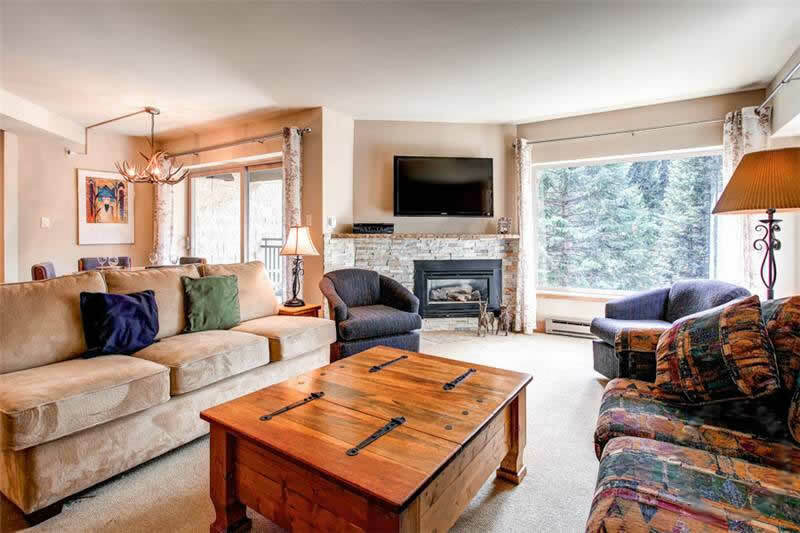 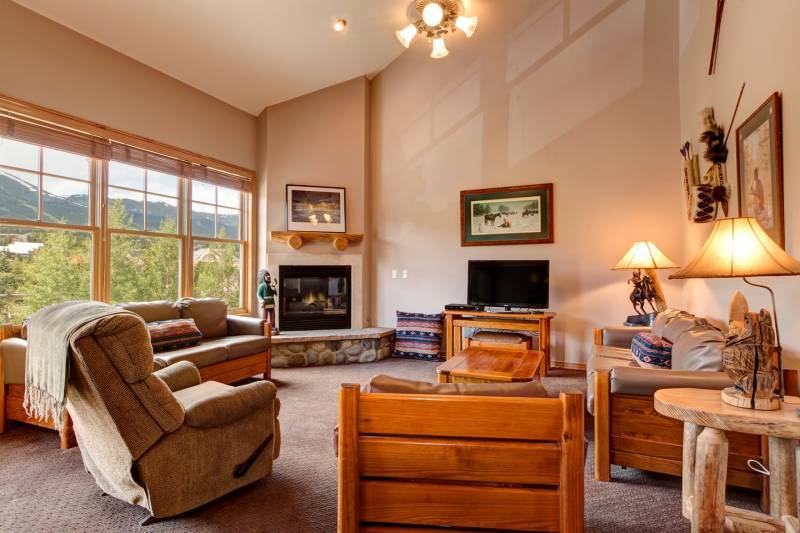 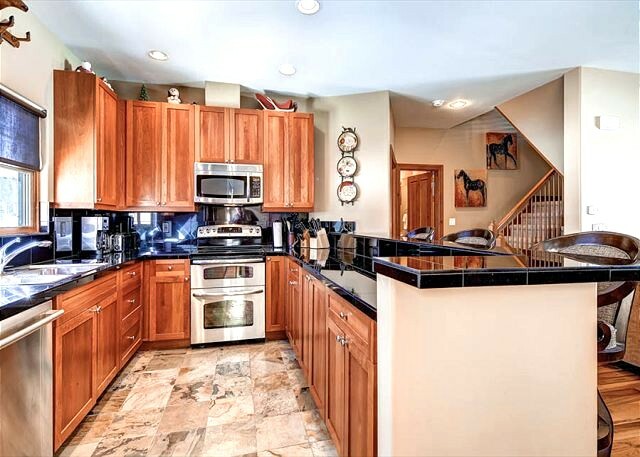 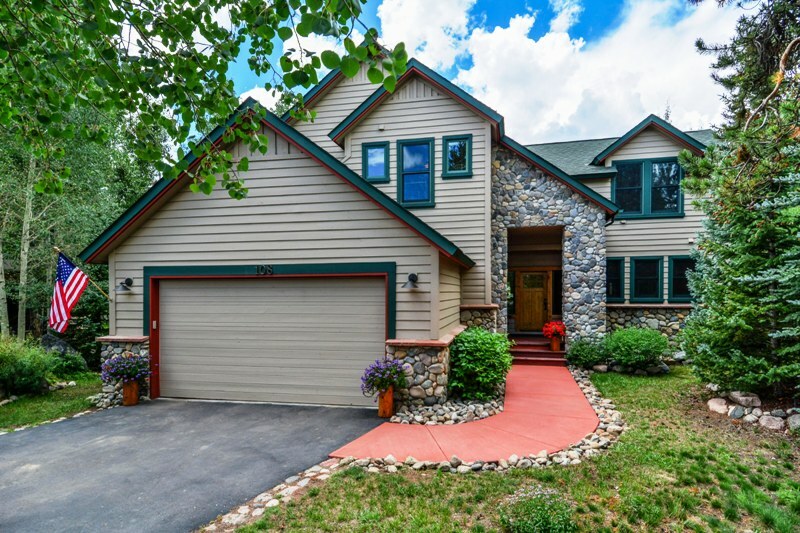 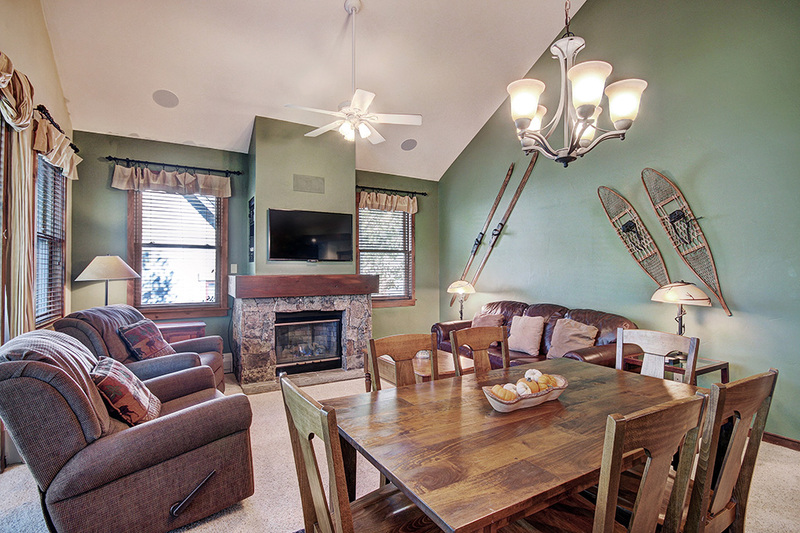 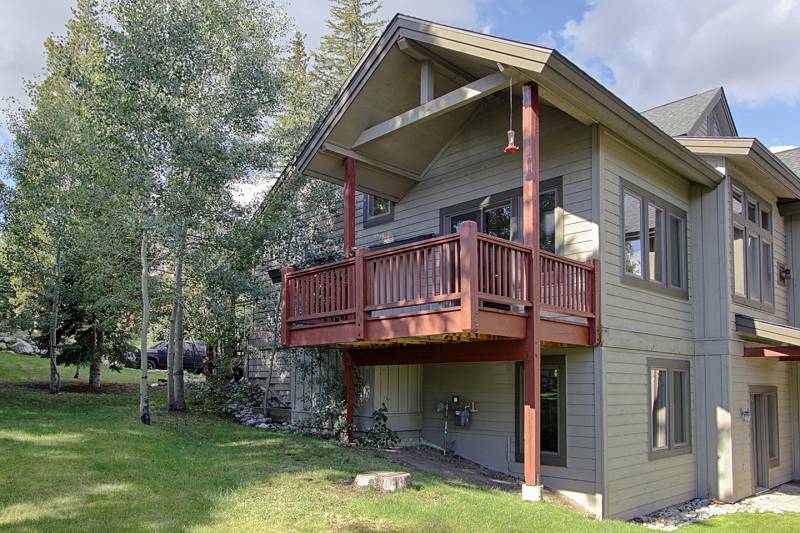 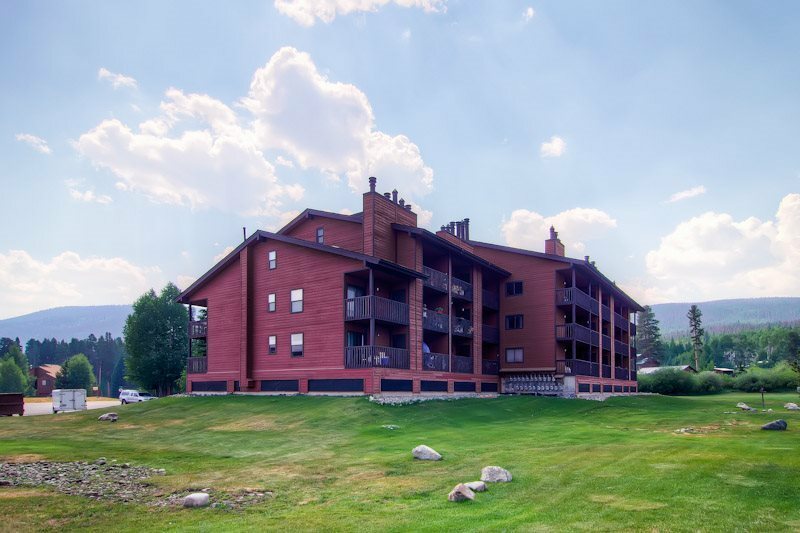 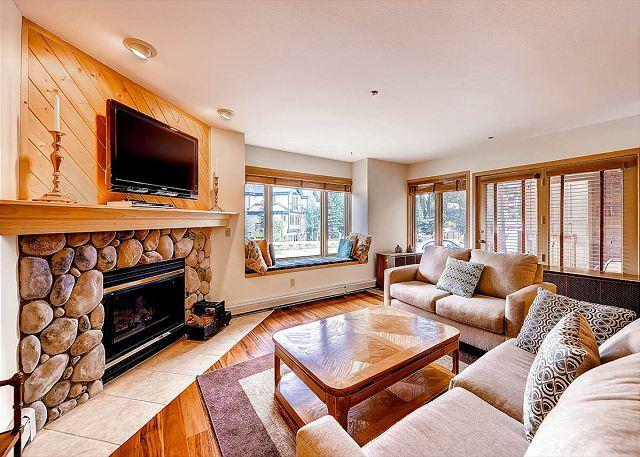 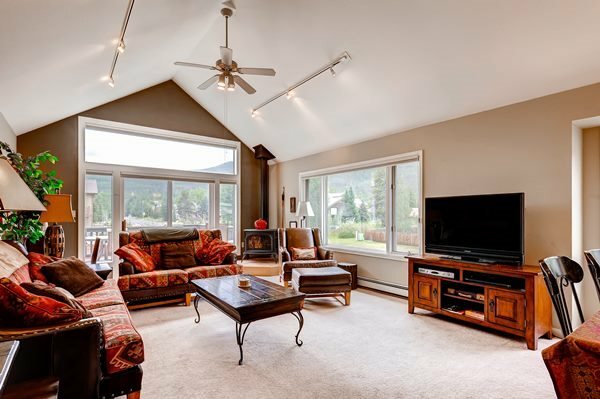 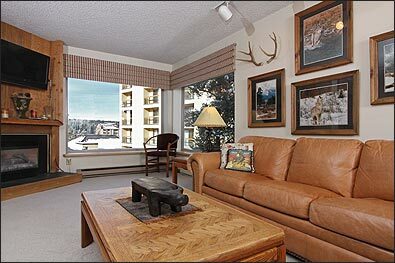 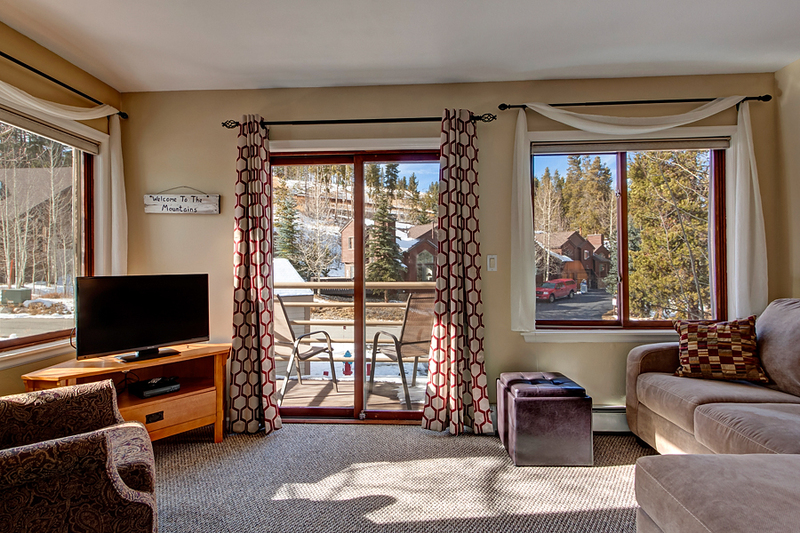 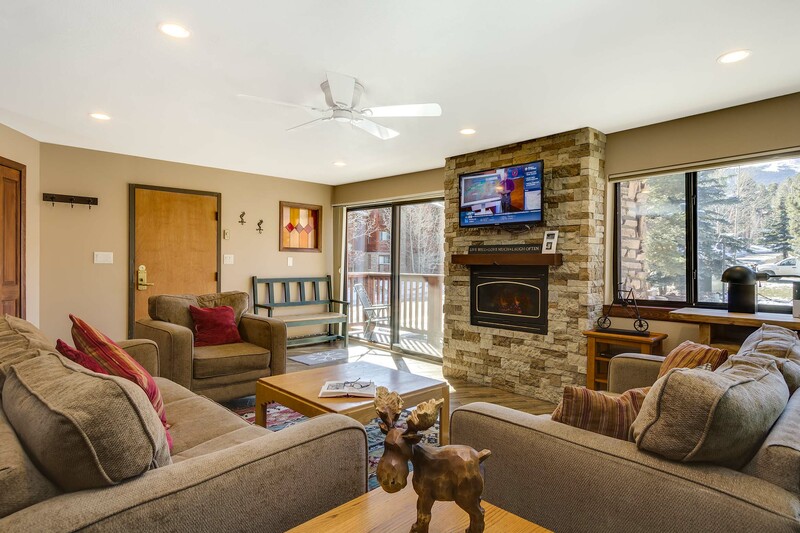 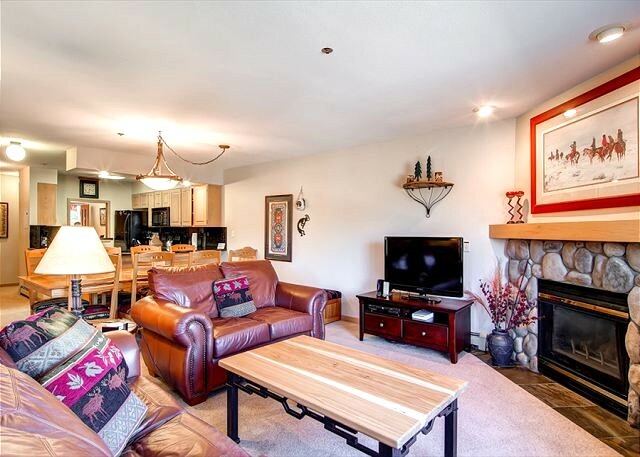 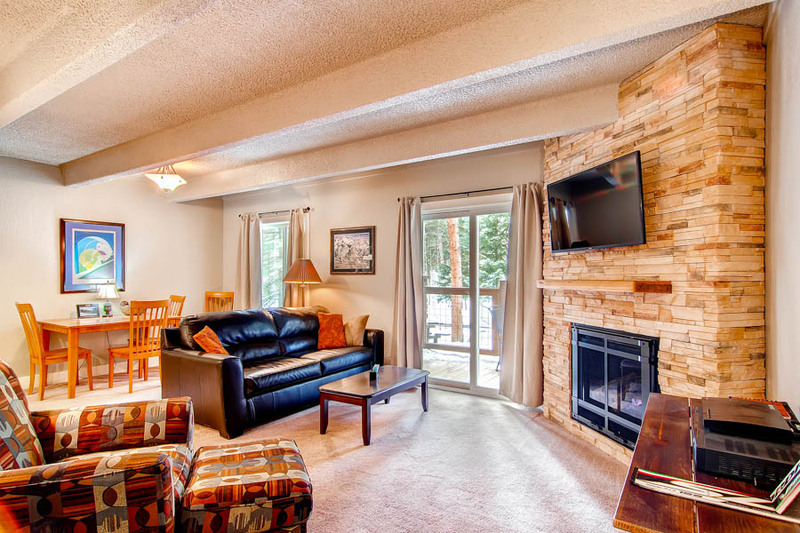 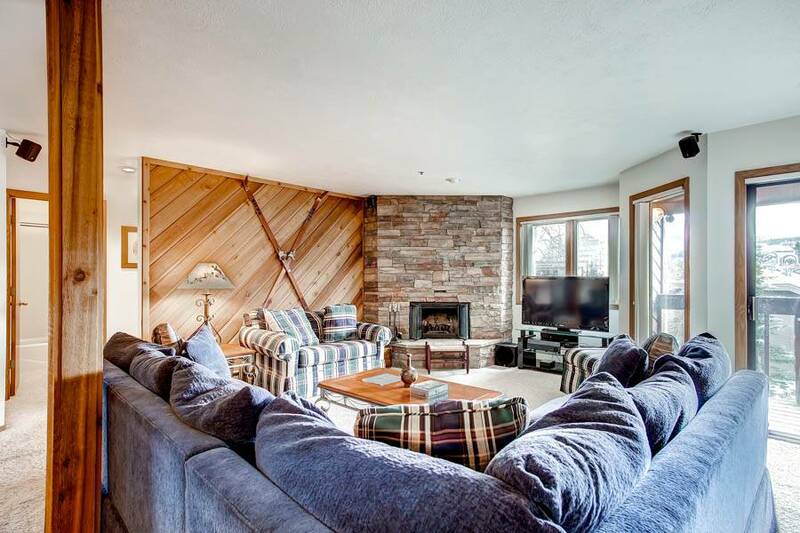 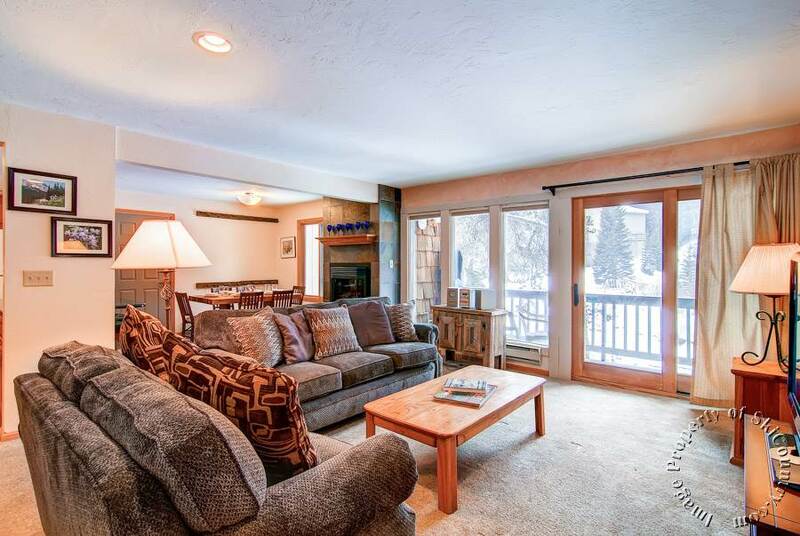 Located just minutes to the base of Peak 8, this multi-level town home is in a great location for all your Summit County activities. 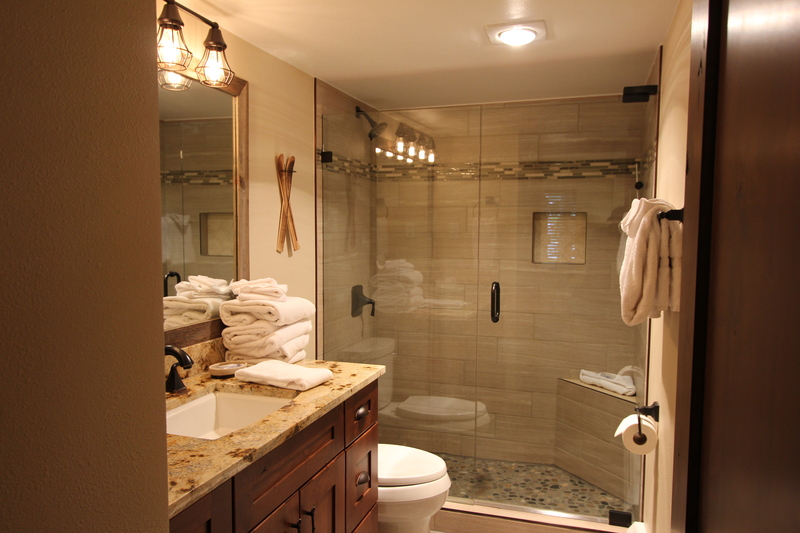 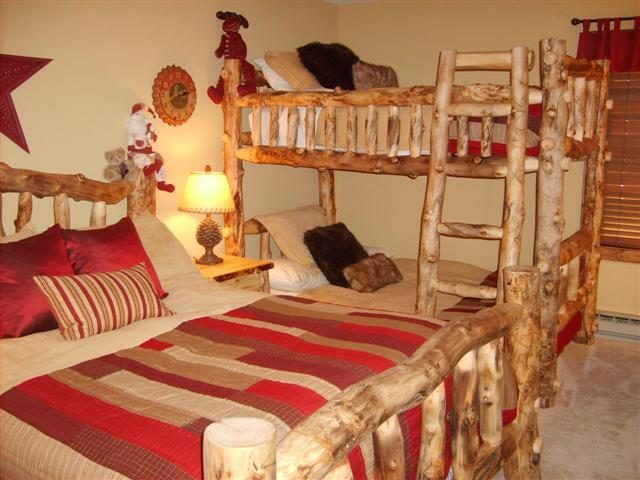 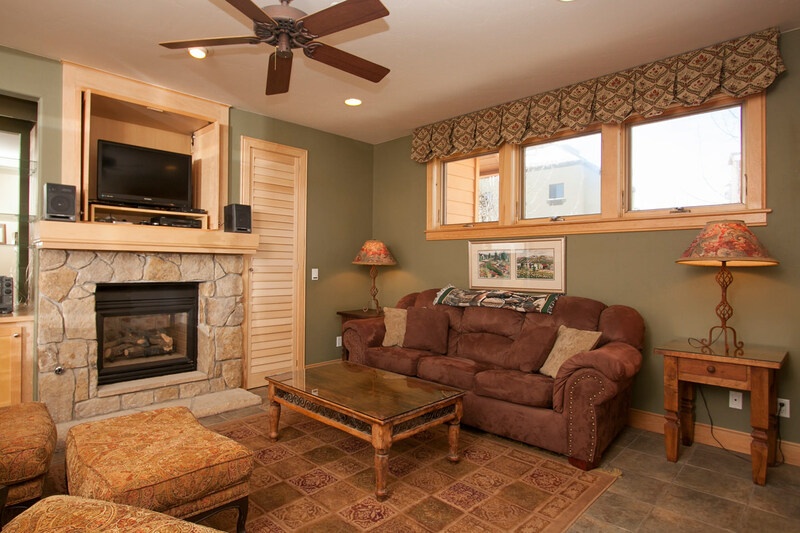 With a living room and a separate family room for the kids, it’s spacious and comfortable anytime of the year. 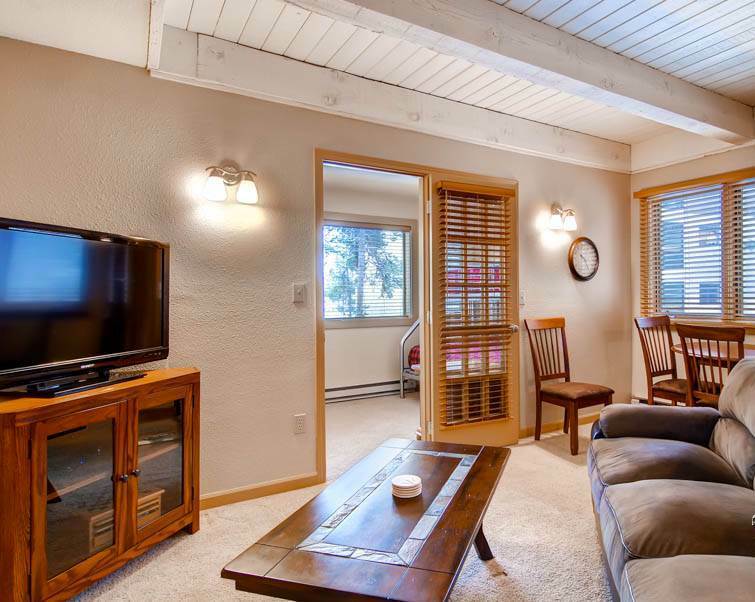 The living room is open and sunny with vaulted ceilings and a new sofa sleeper. 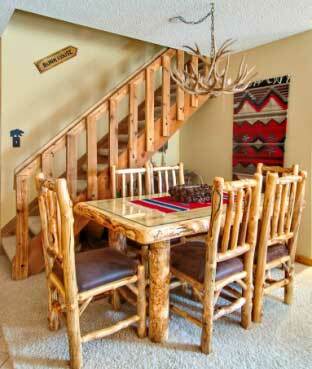 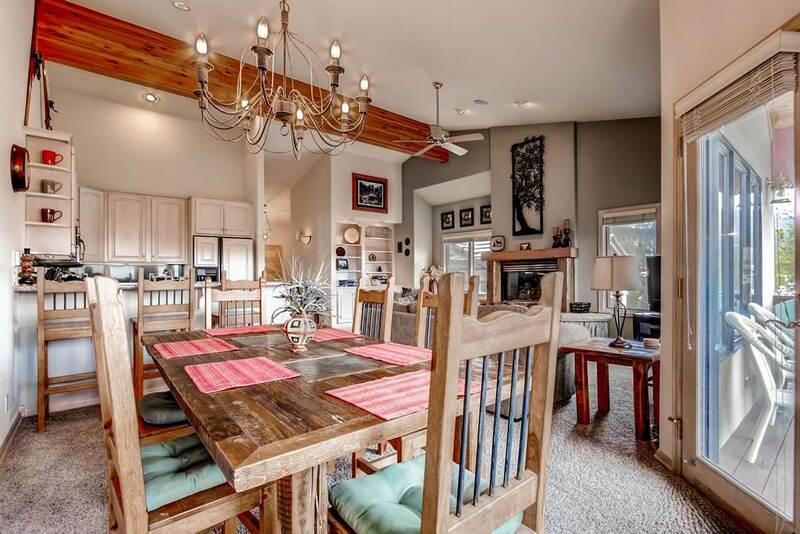 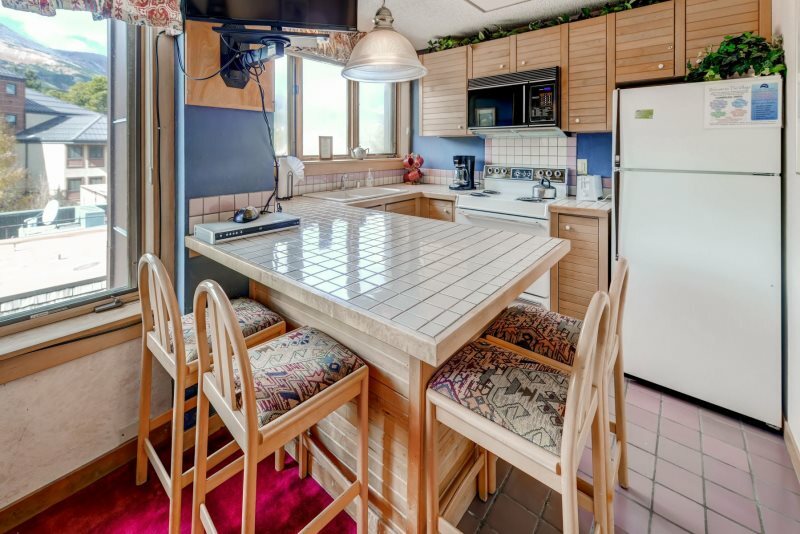 Dining table separates the living room from the kitchen with a breakfast bar. 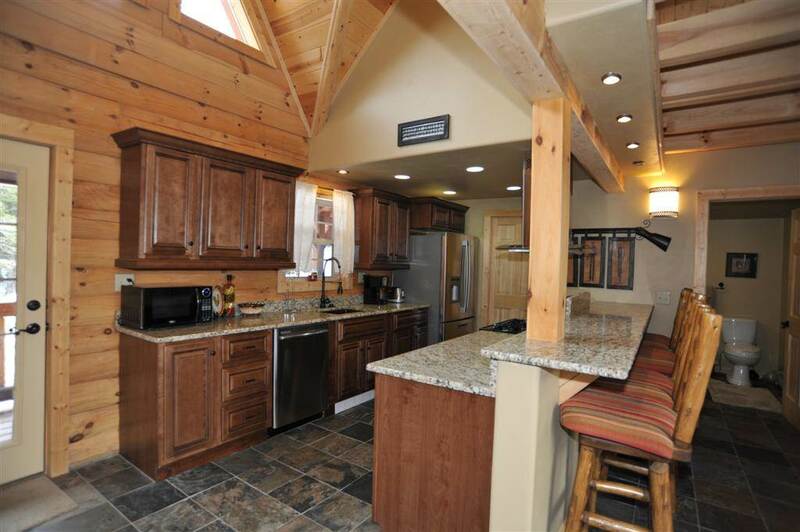 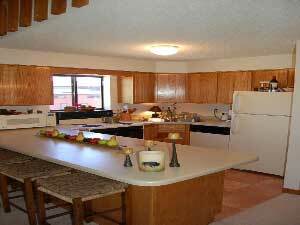 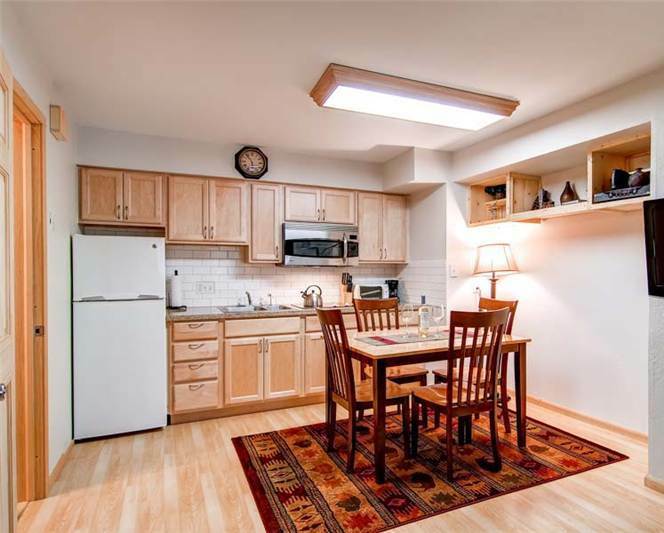 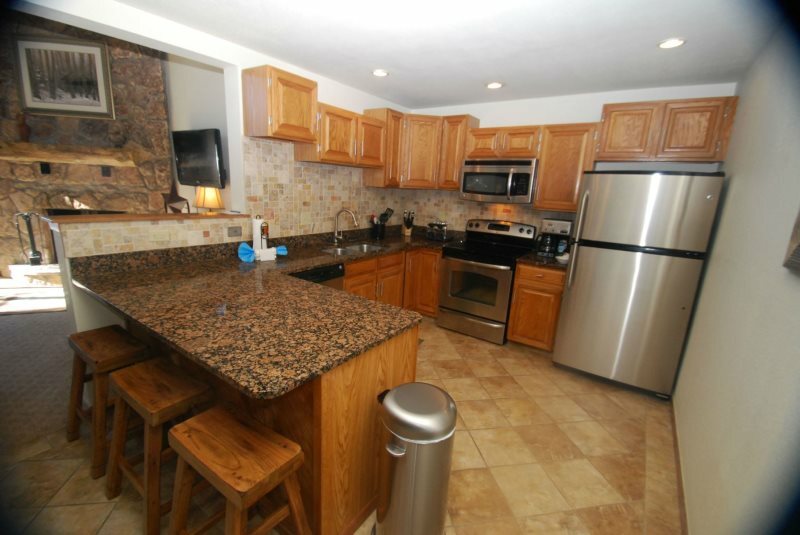 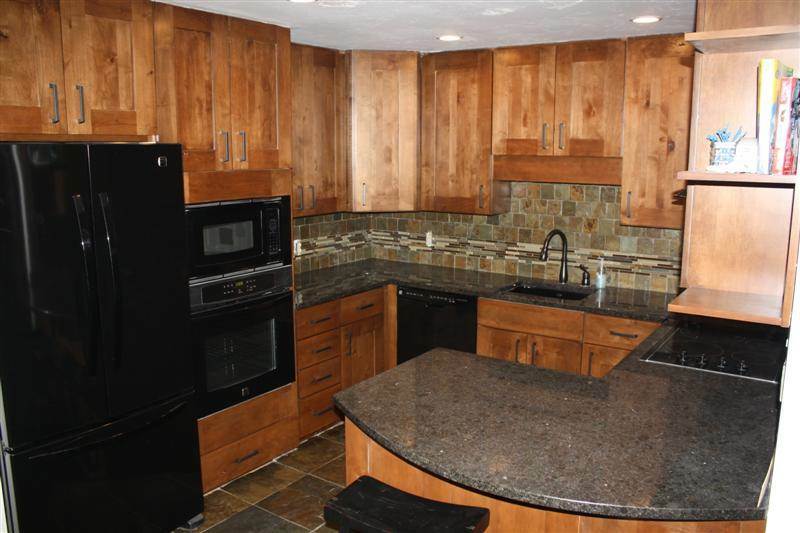 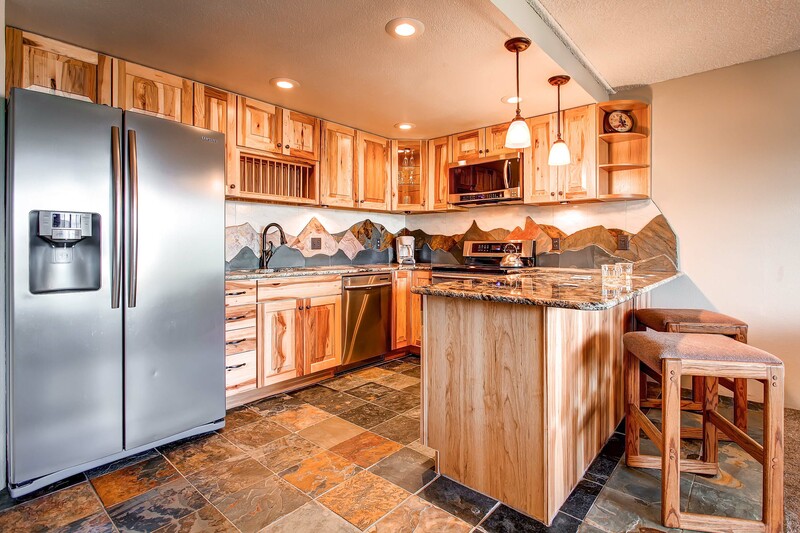 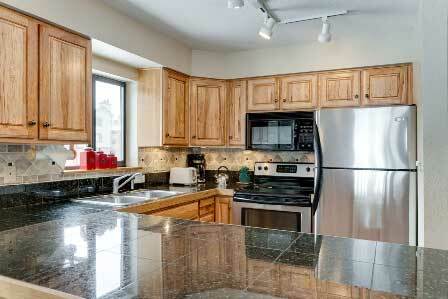 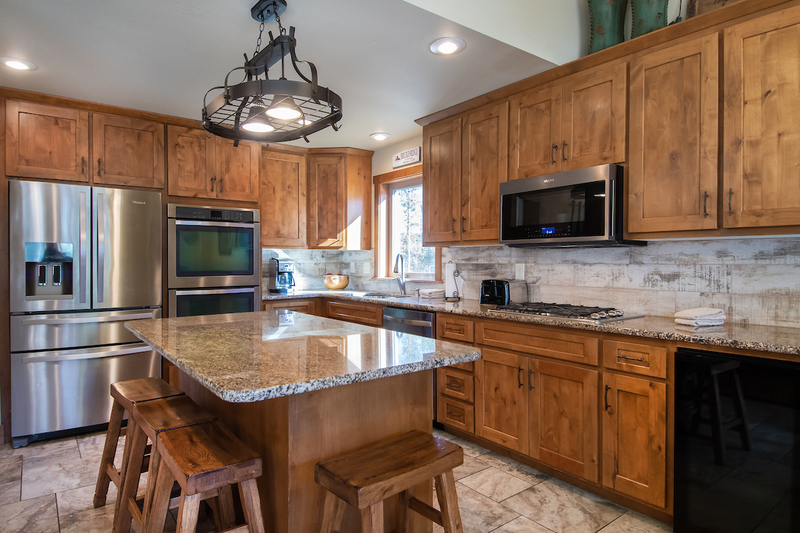 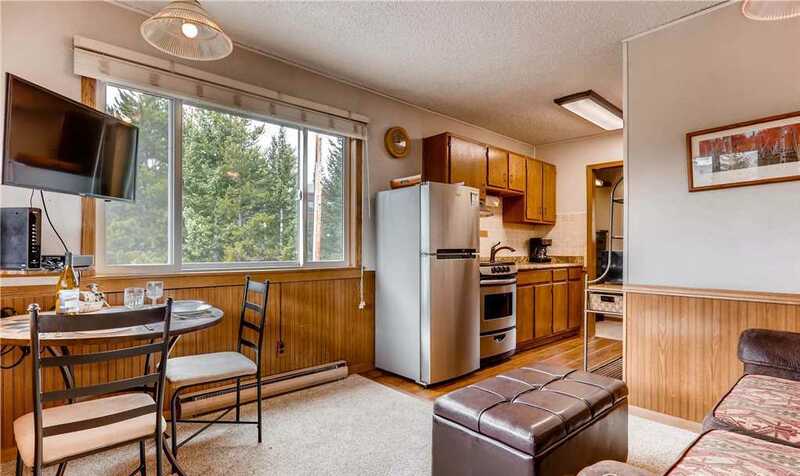 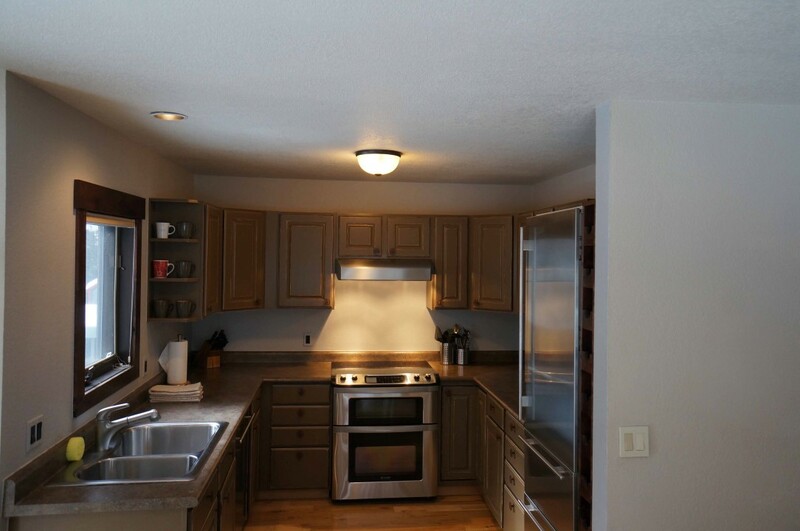 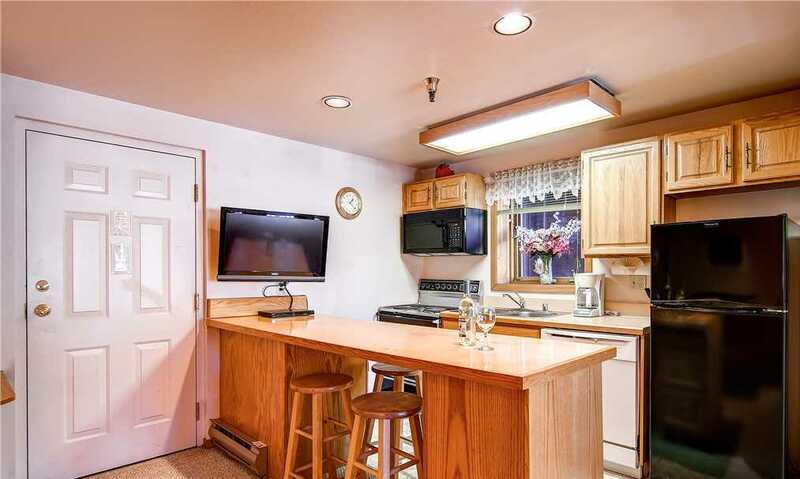 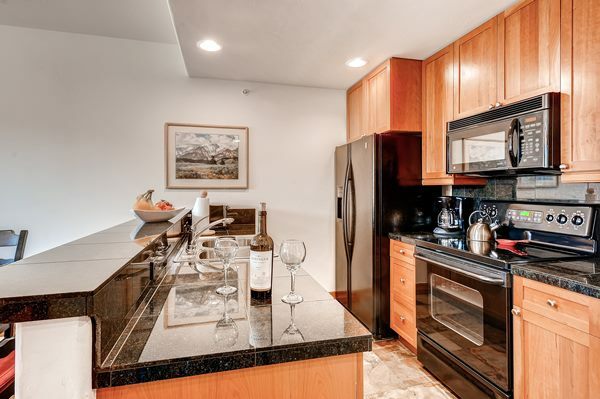 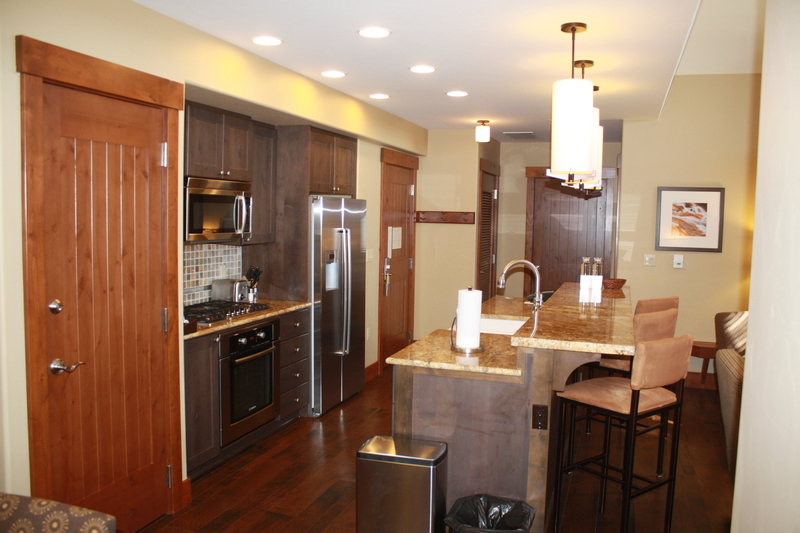 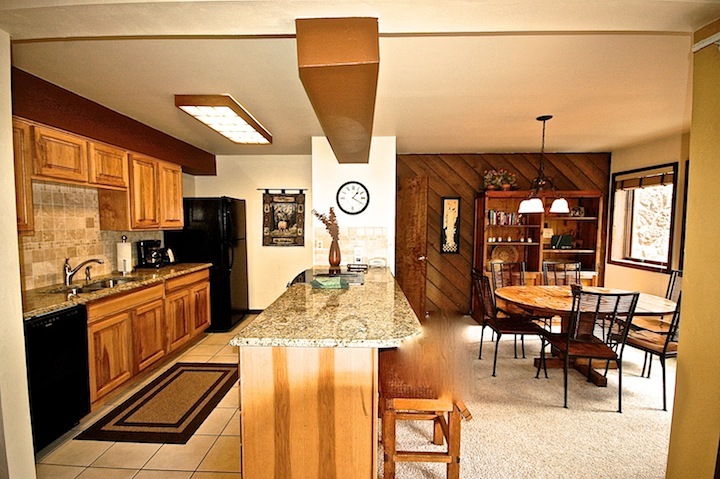 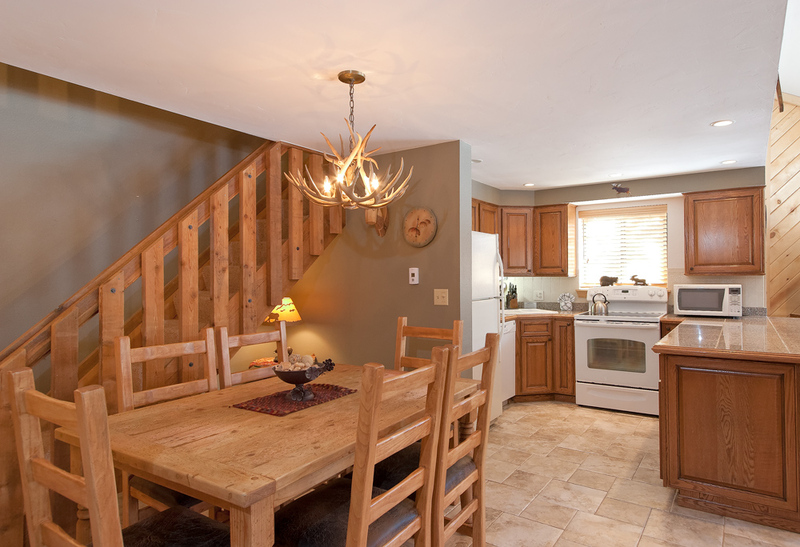 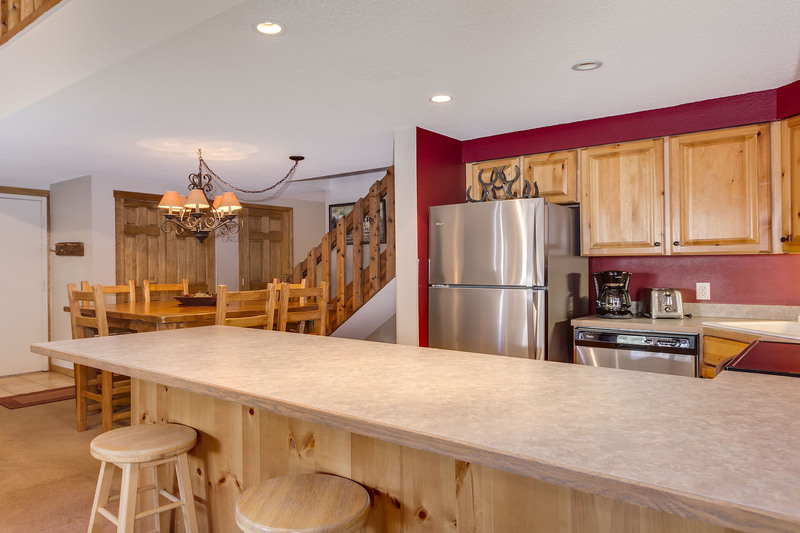 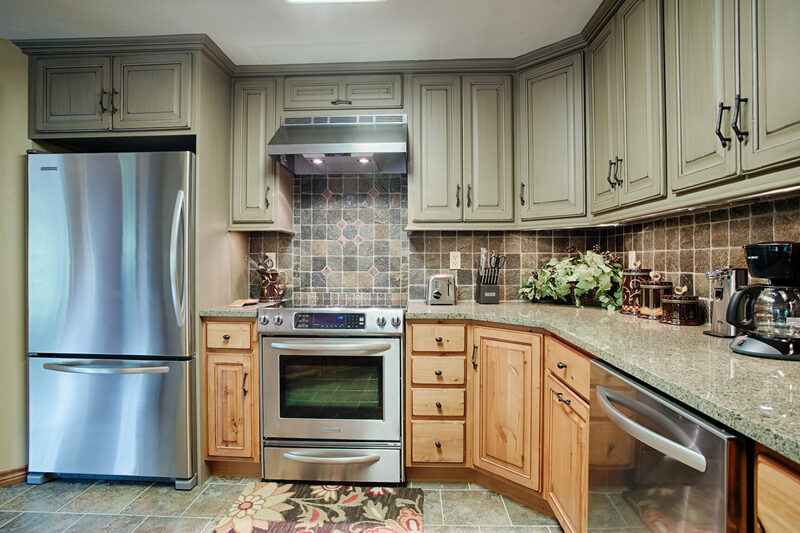 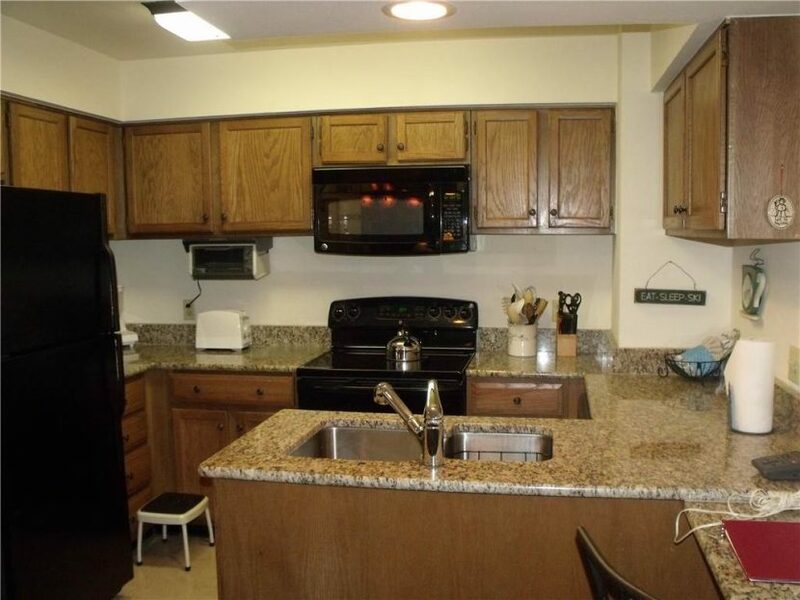 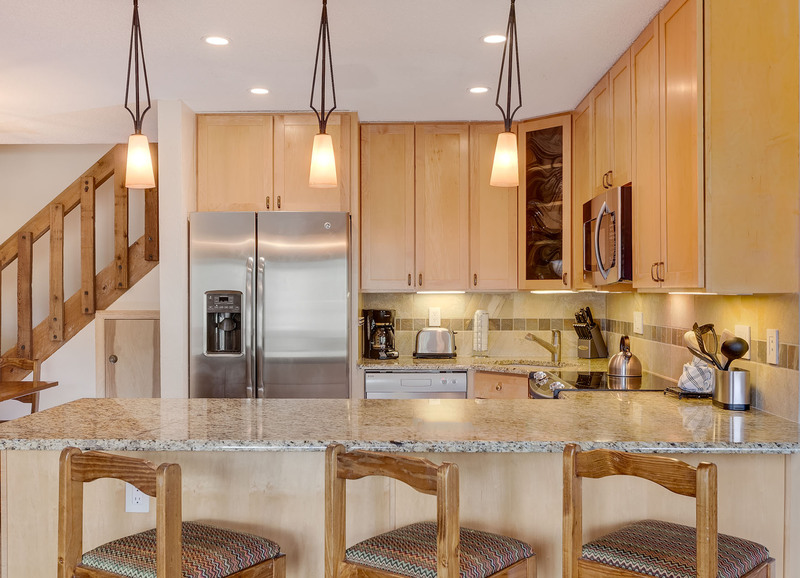 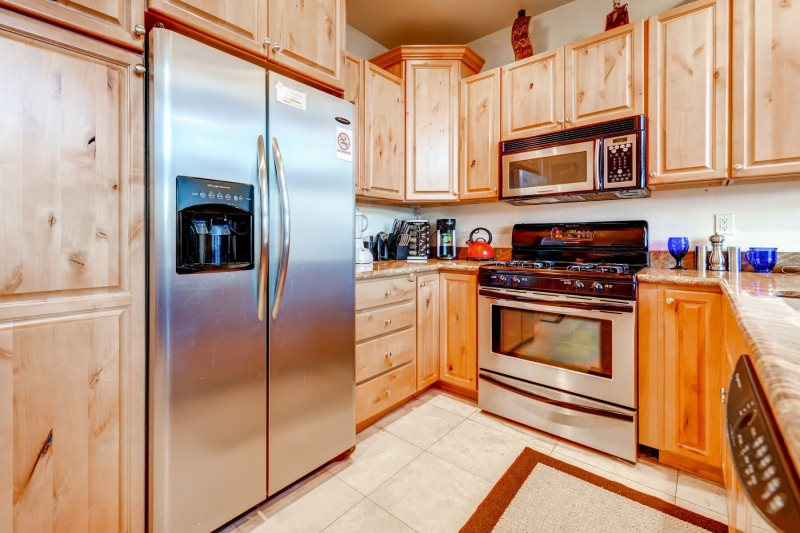 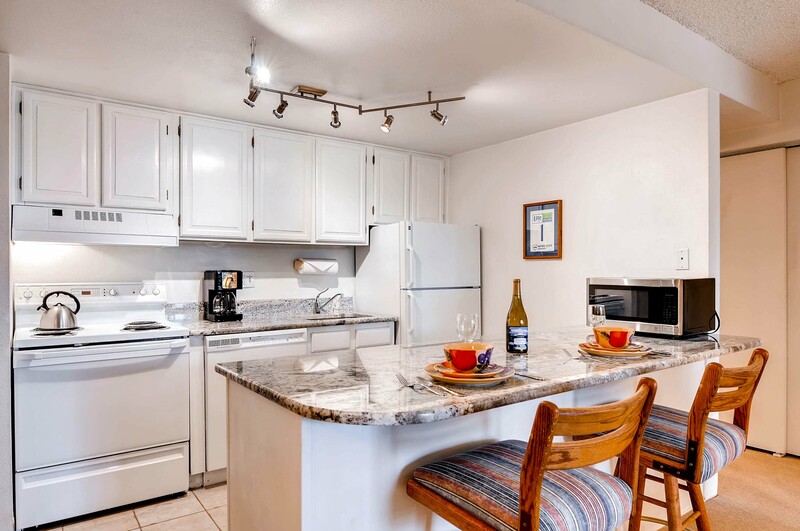 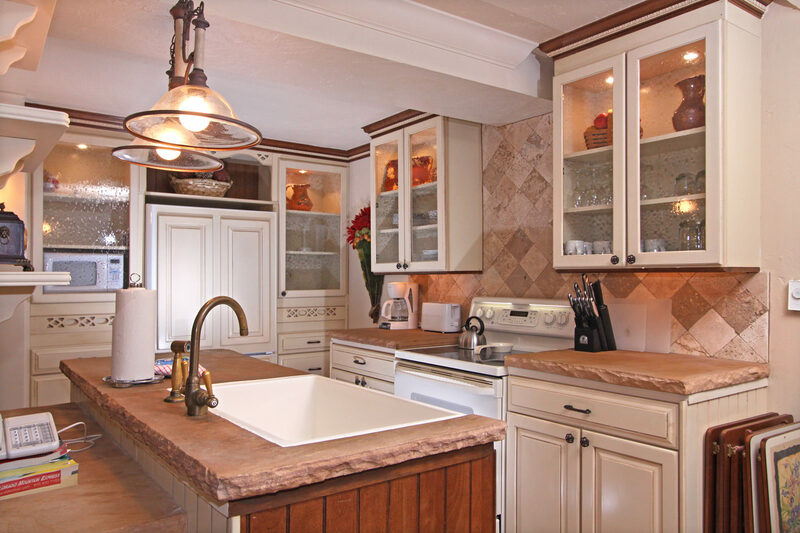 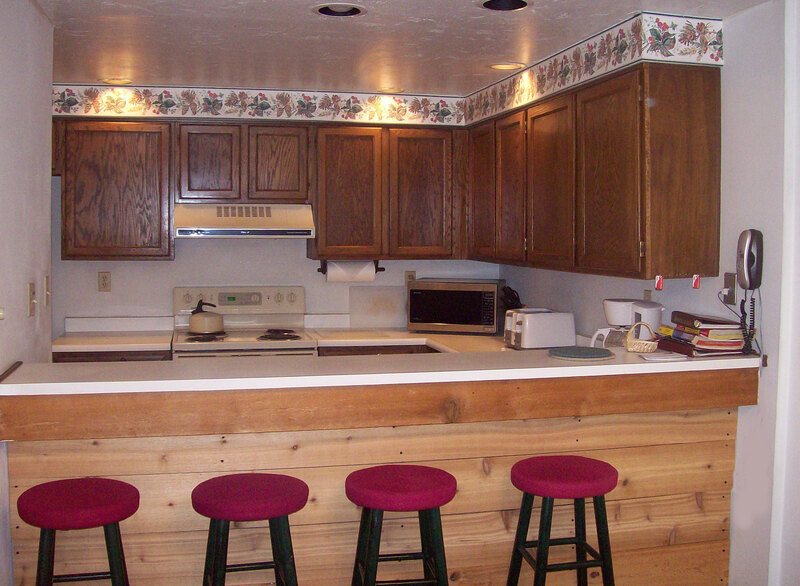 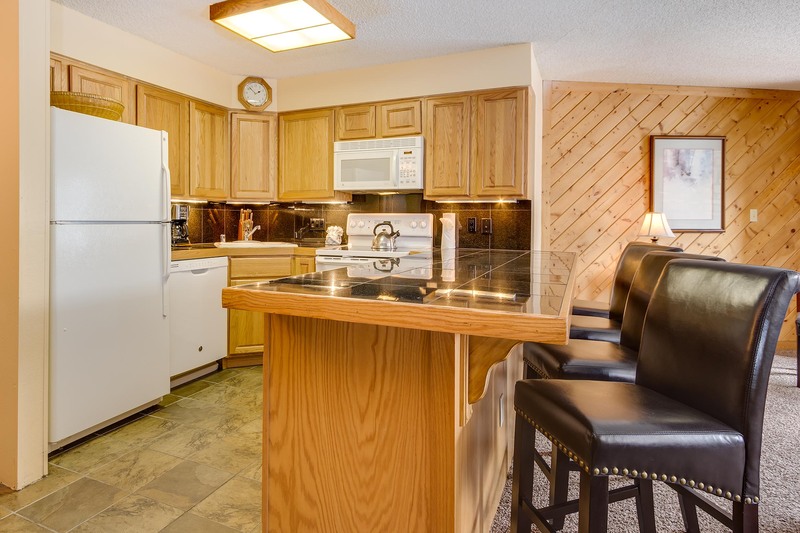 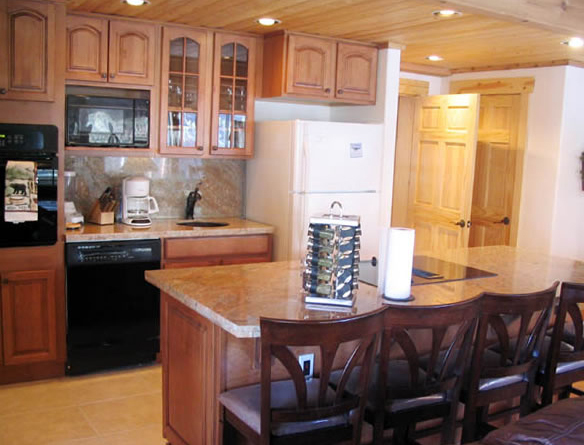 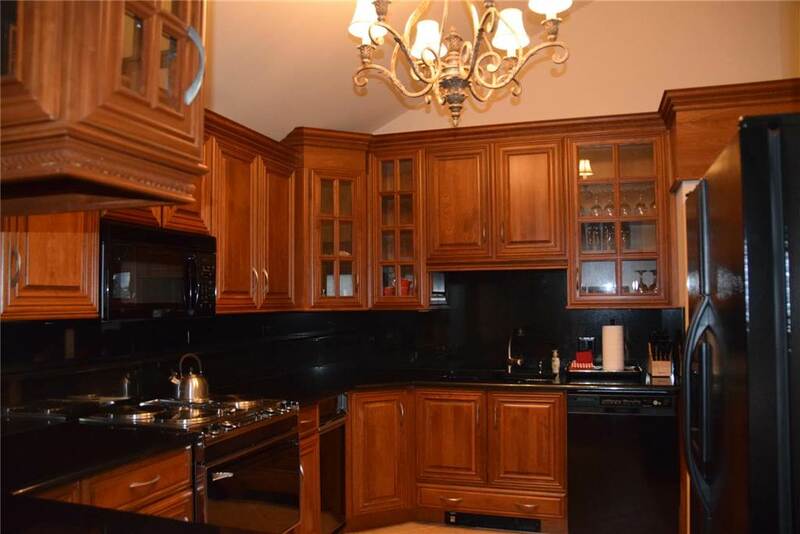 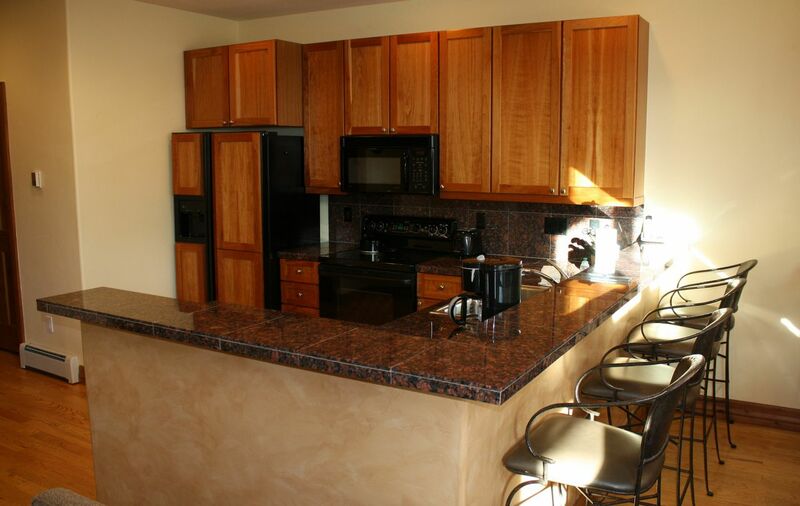 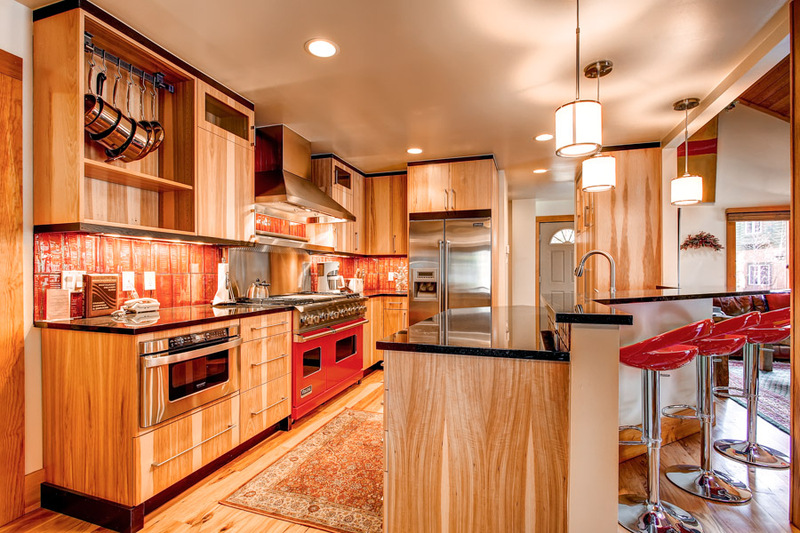 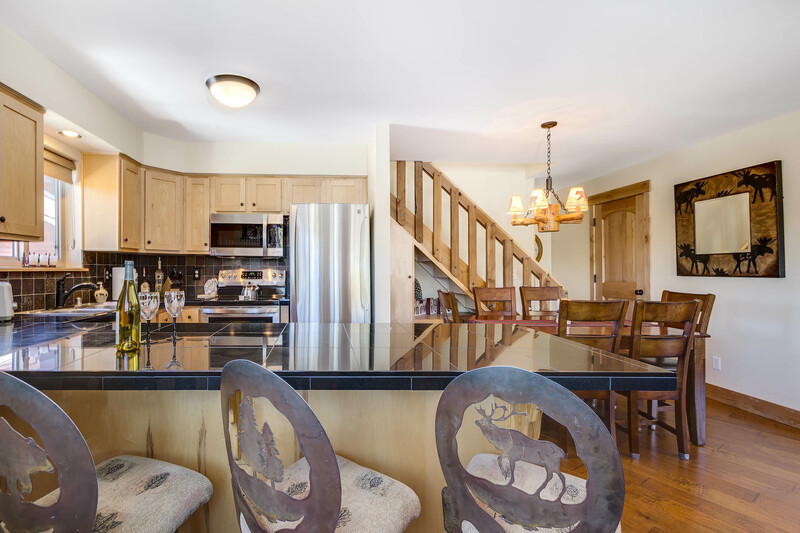 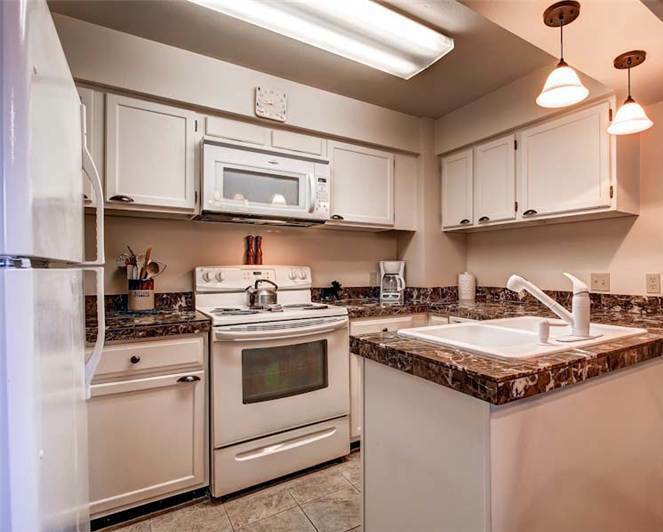 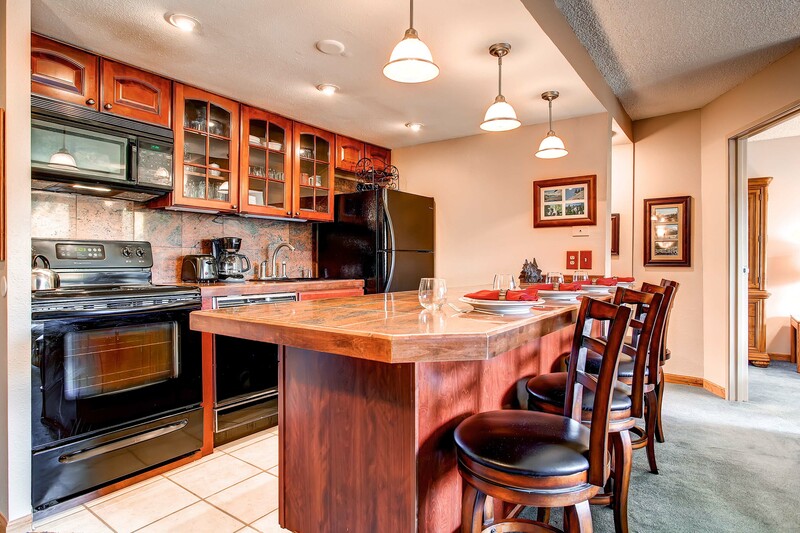 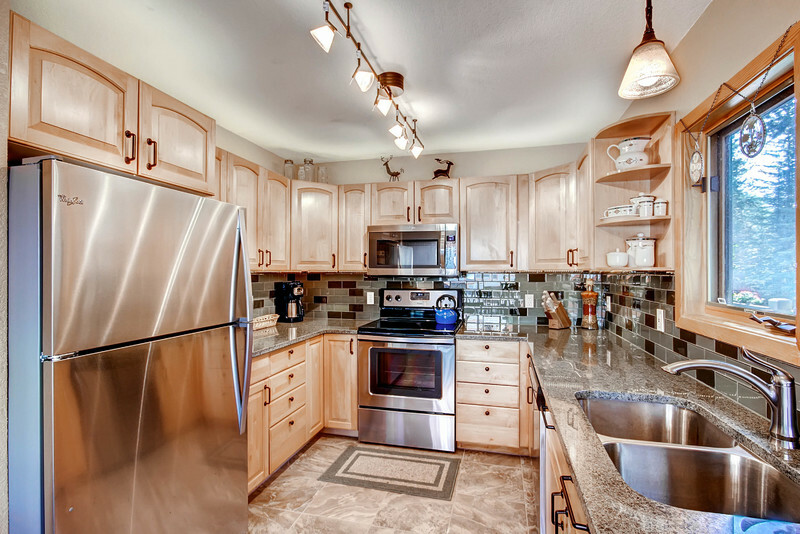 The kitchen is fully equipped with modern appliances that make it easy to stay in and cook. 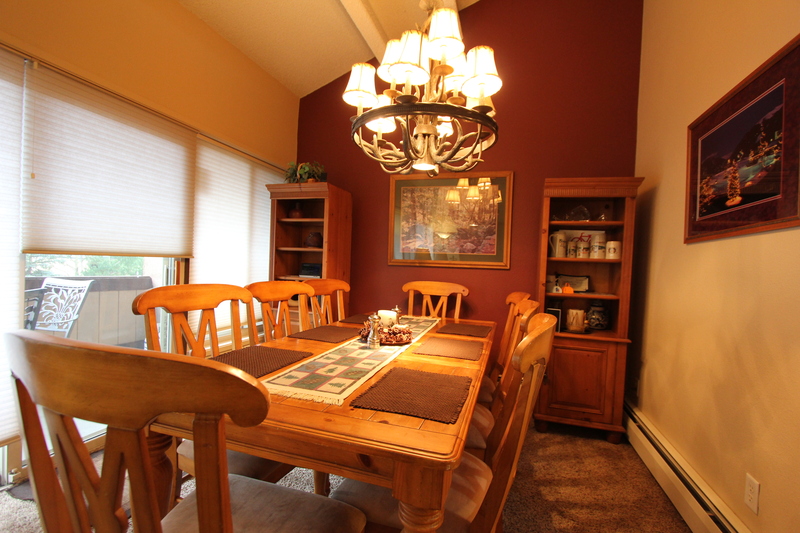 With the extension leaf on the dining table, it can easily seat 8 plus 3 additional seating at the breakfast bar. 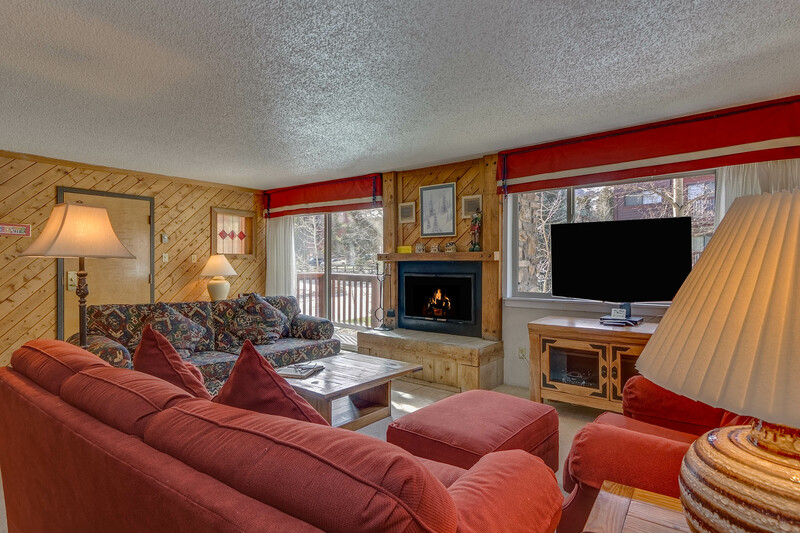 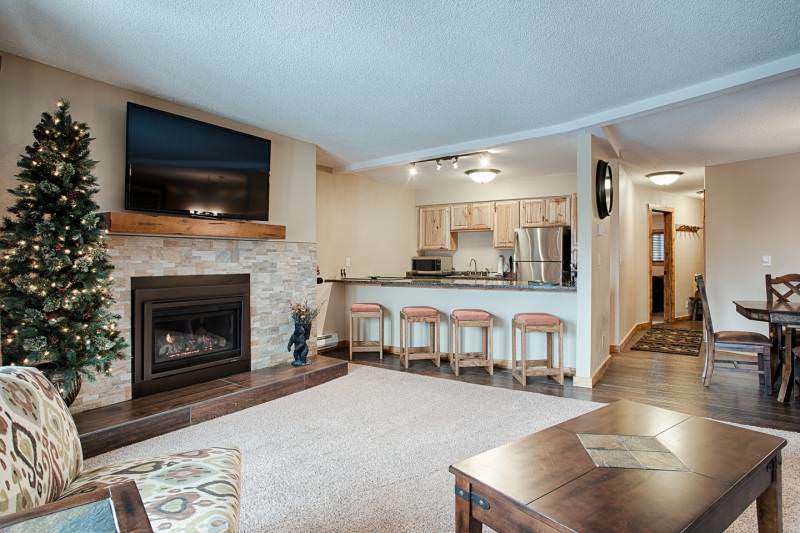 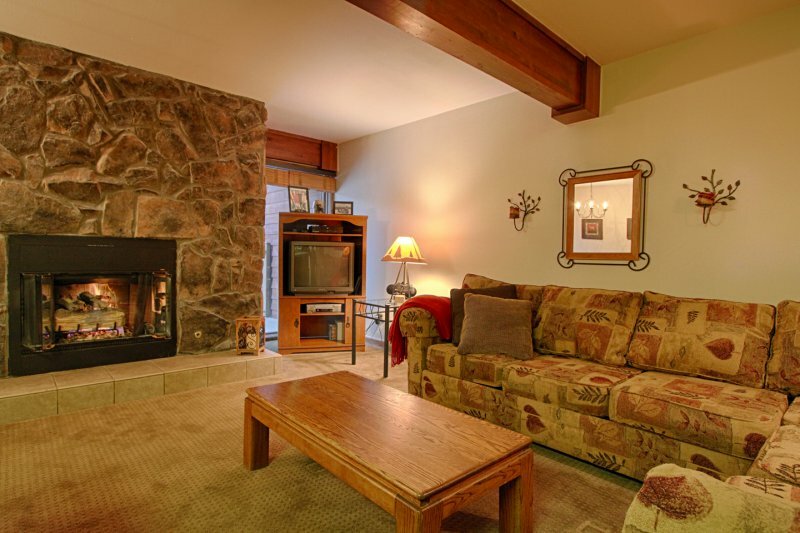 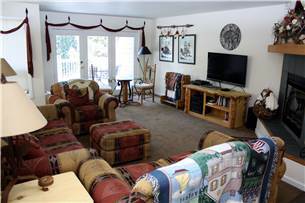 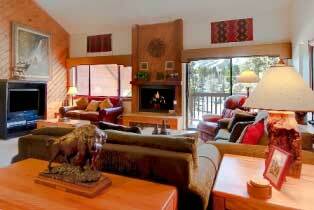 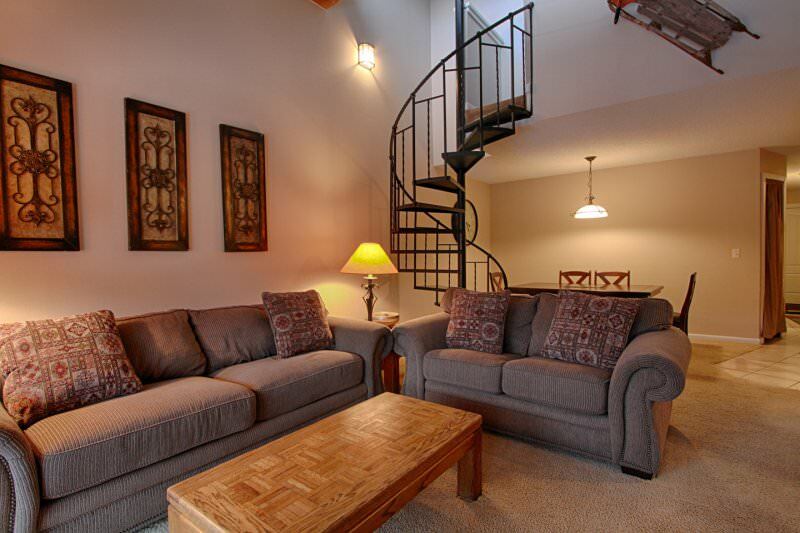 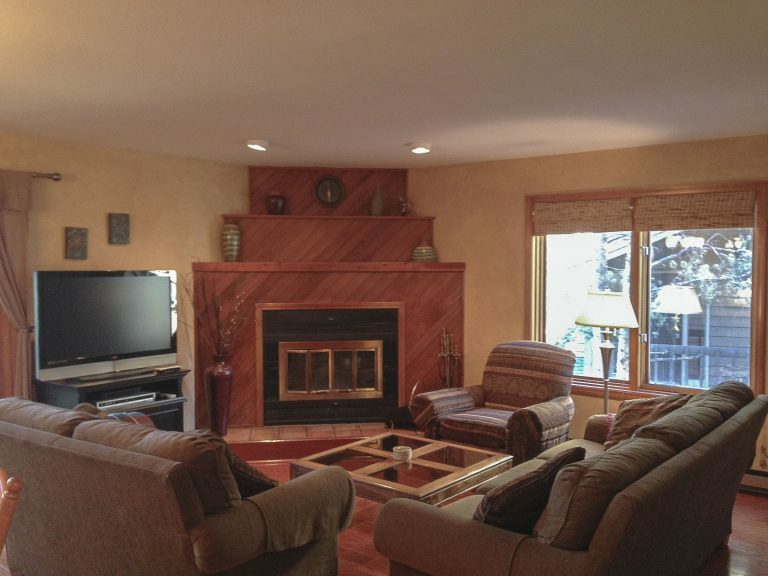 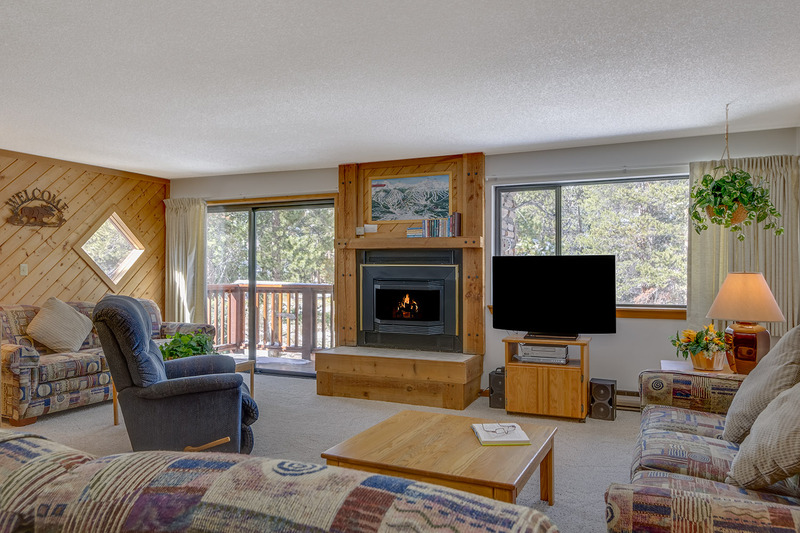 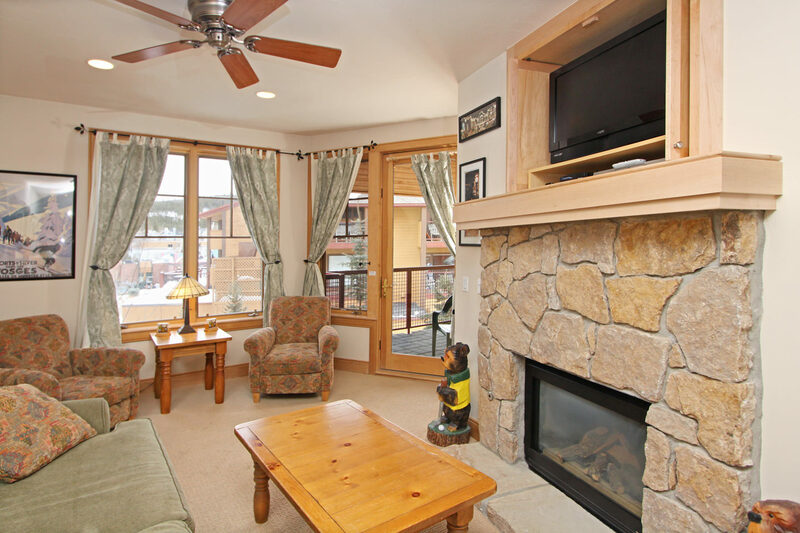 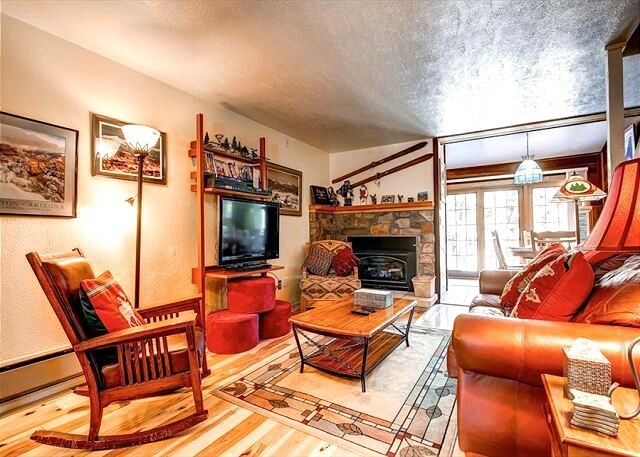 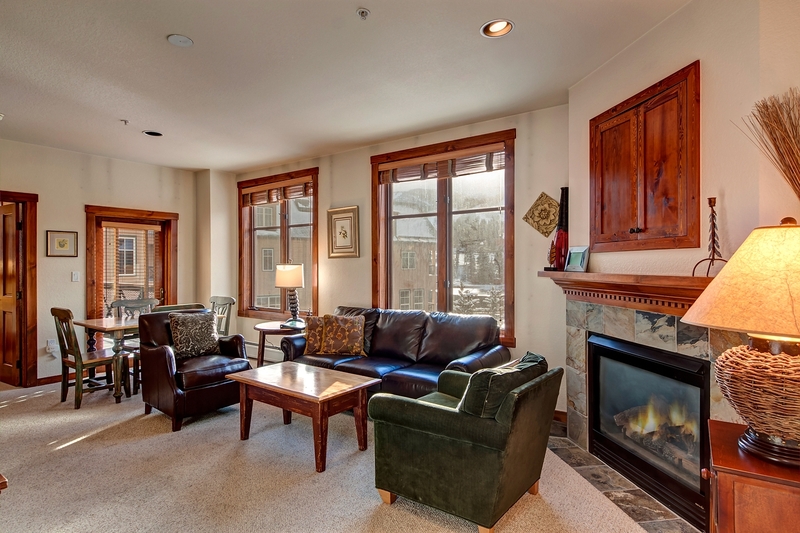 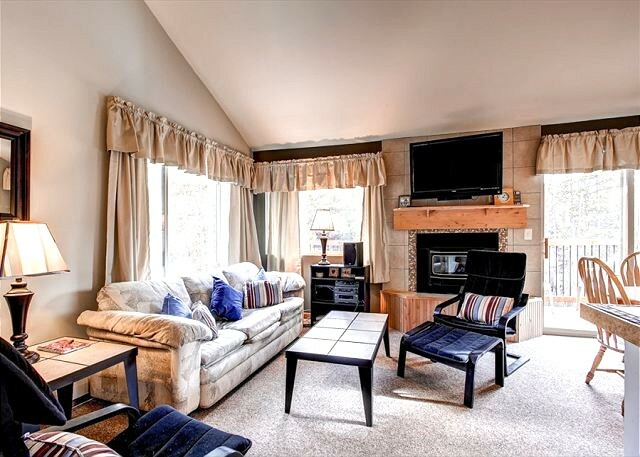 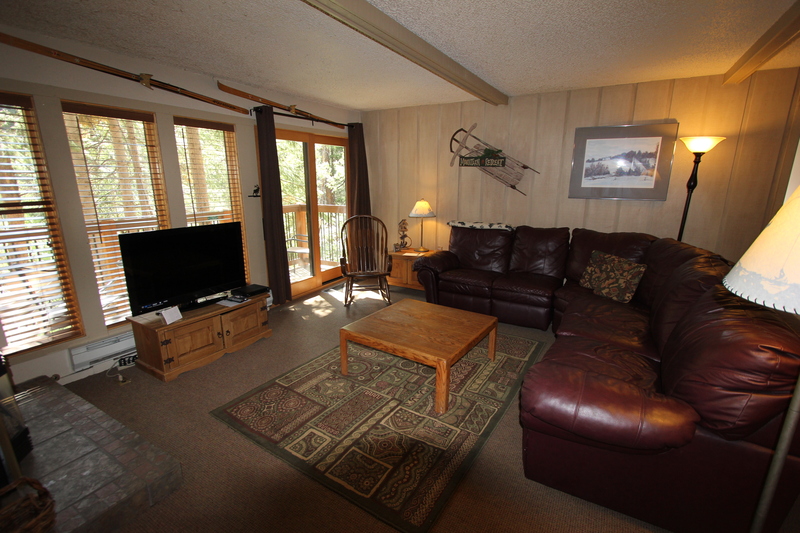 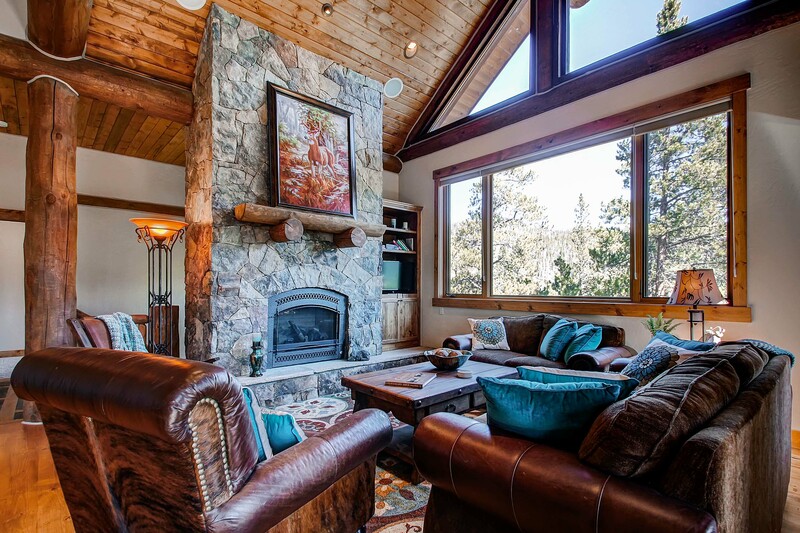 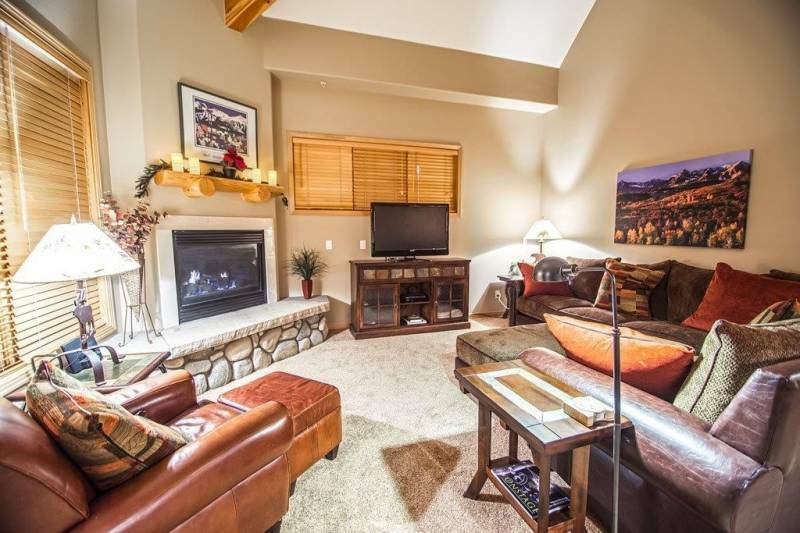 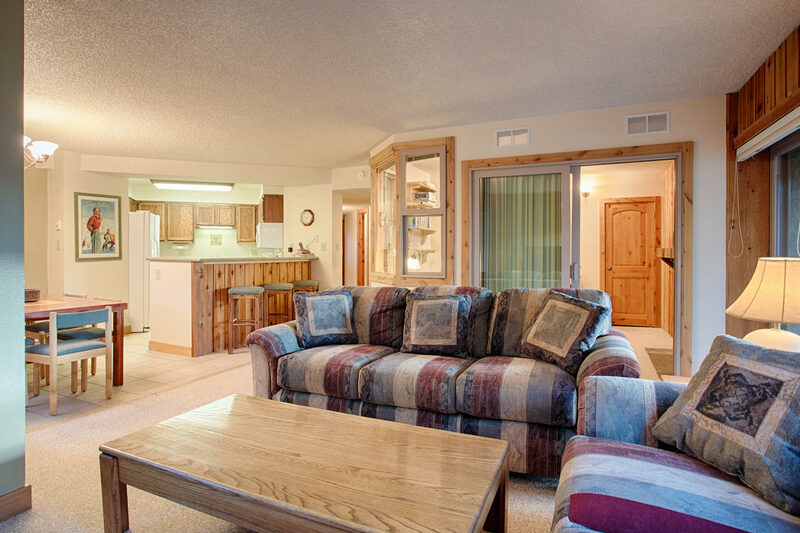 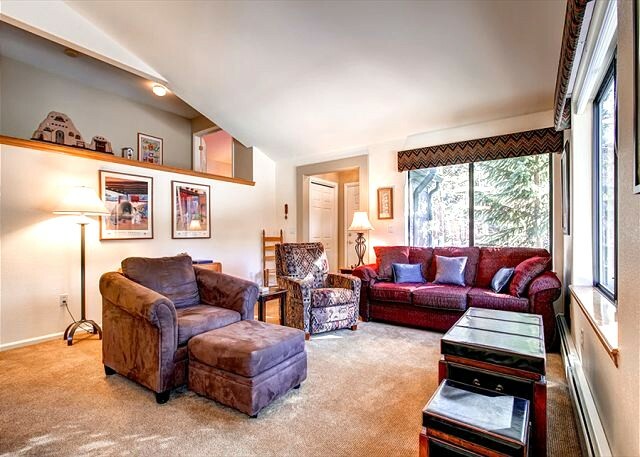 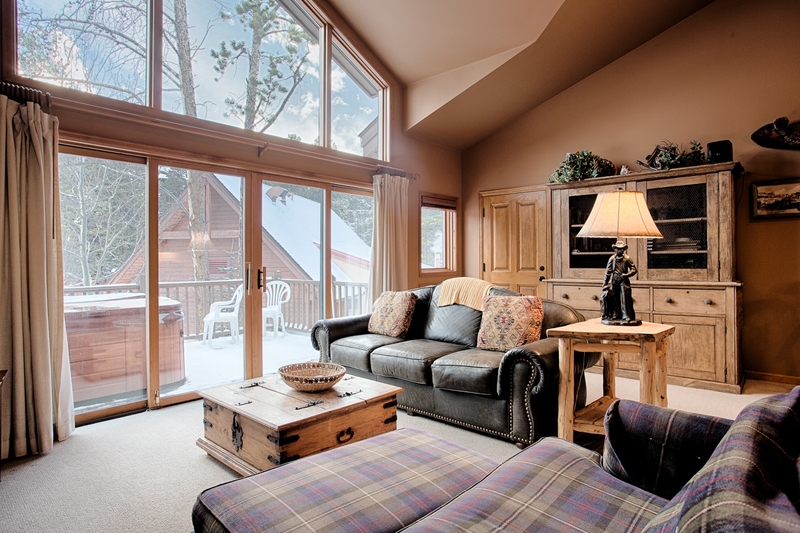 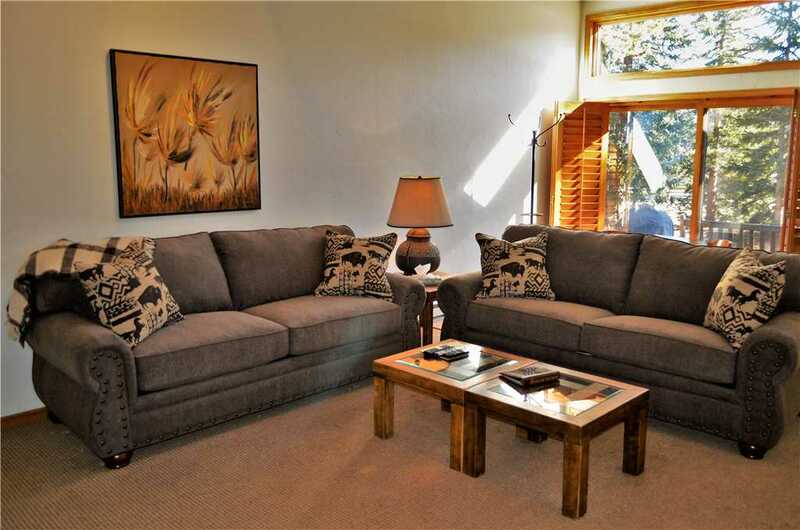 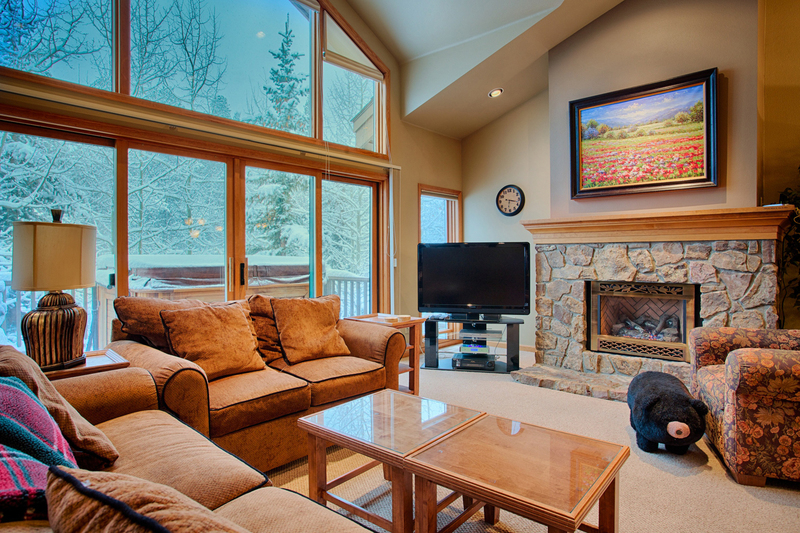 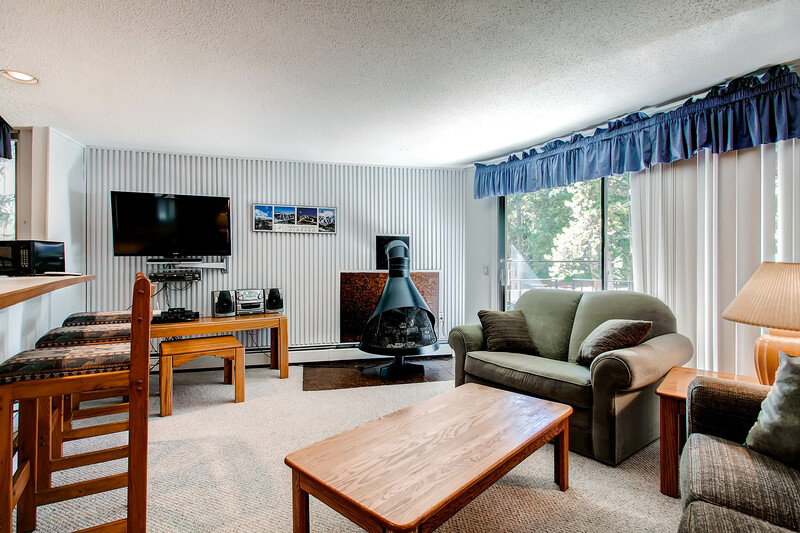 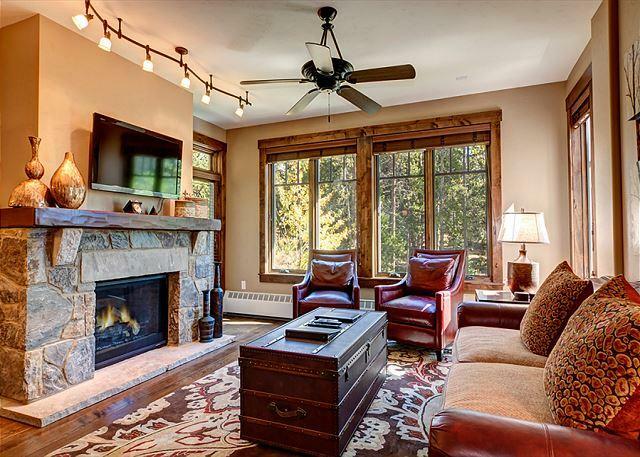 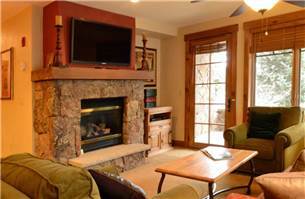 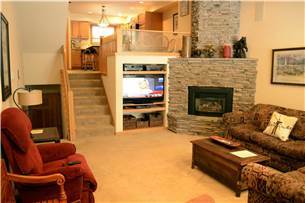 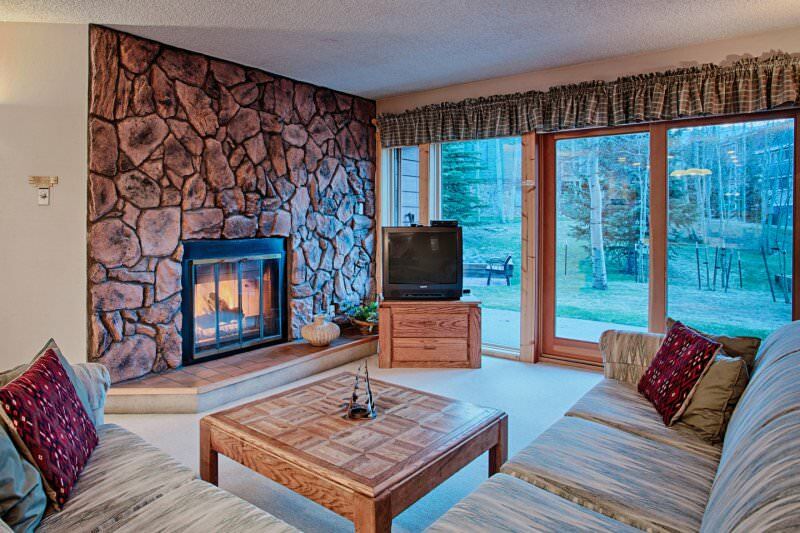 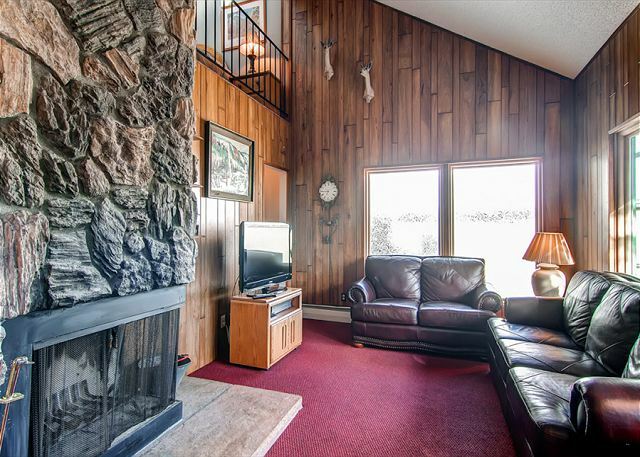 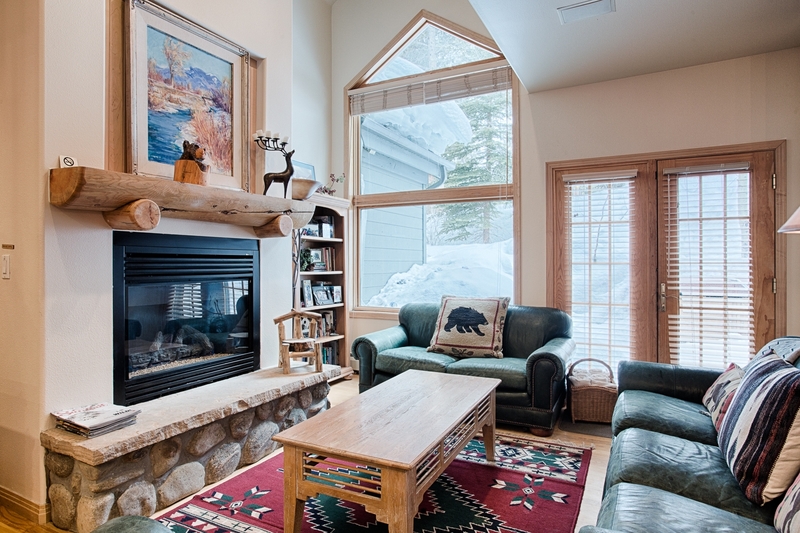 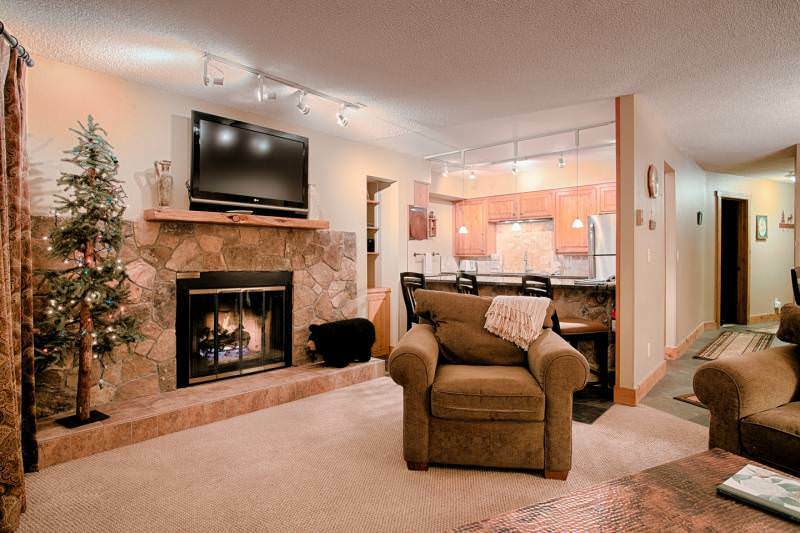 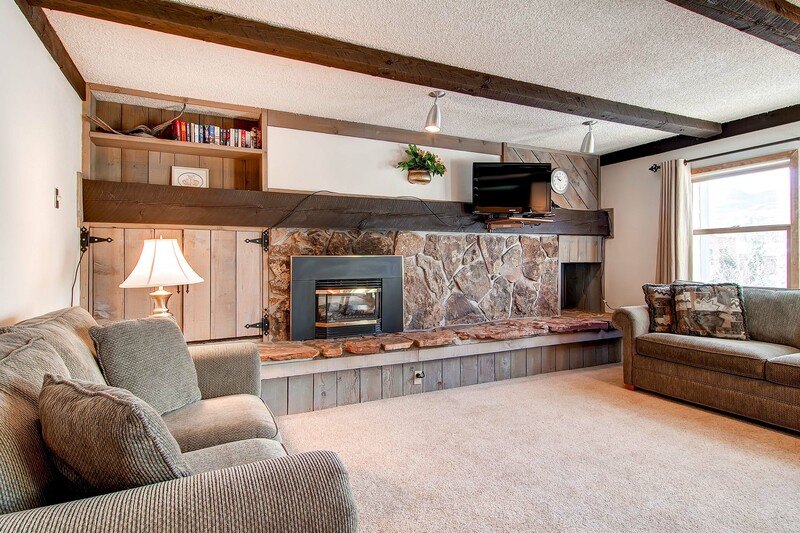 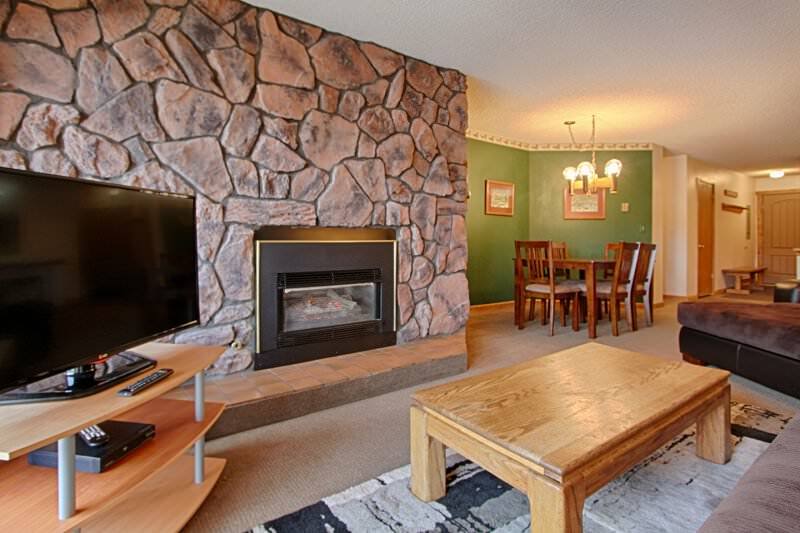 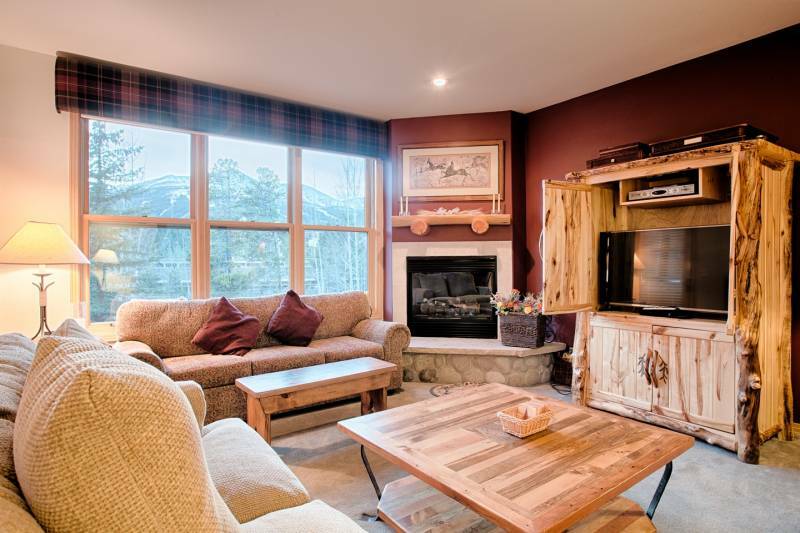 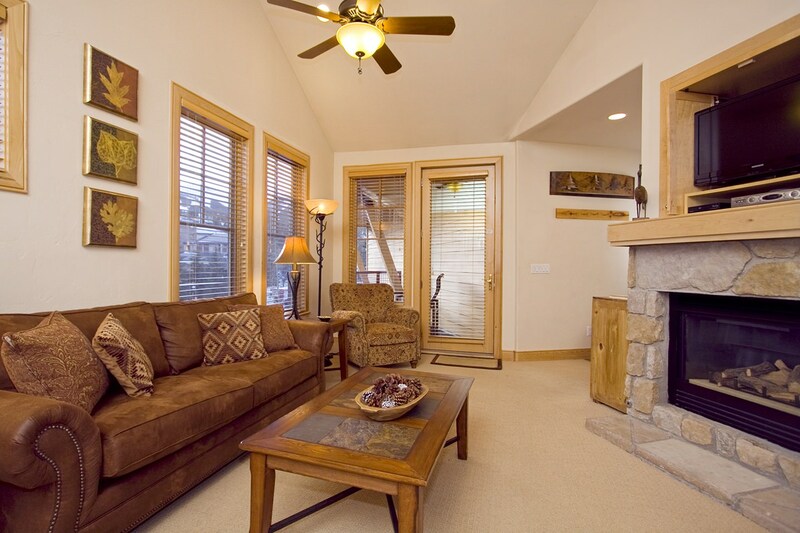 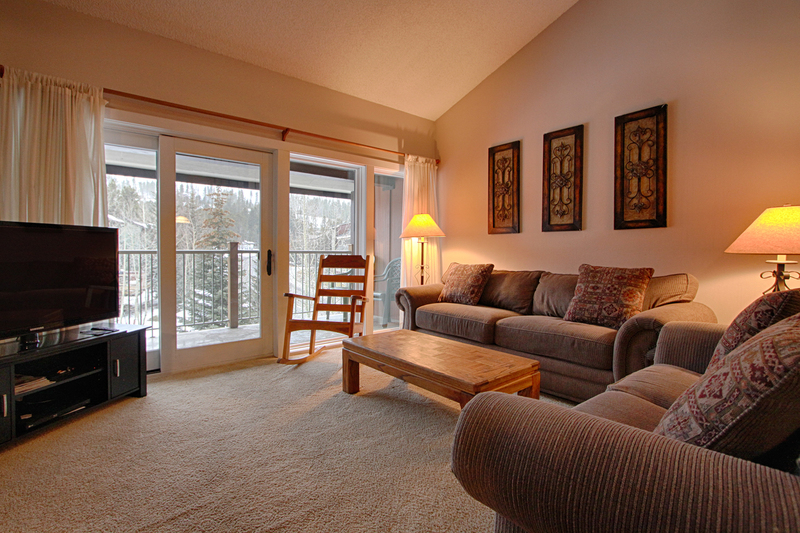 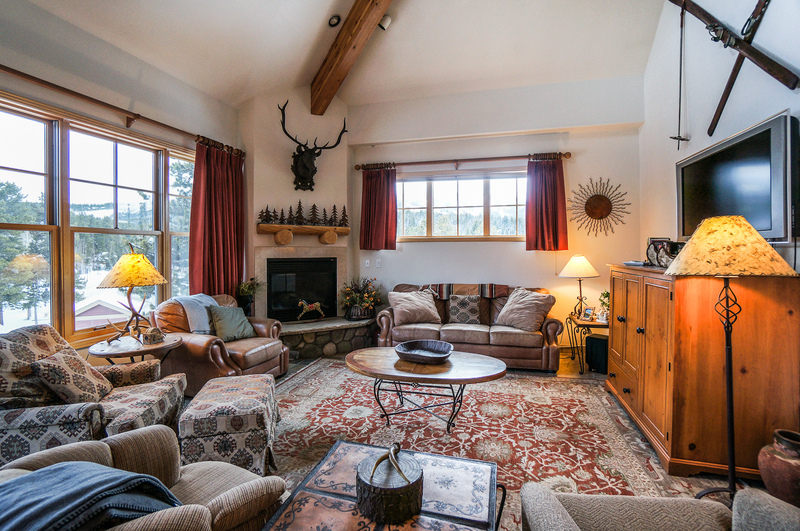 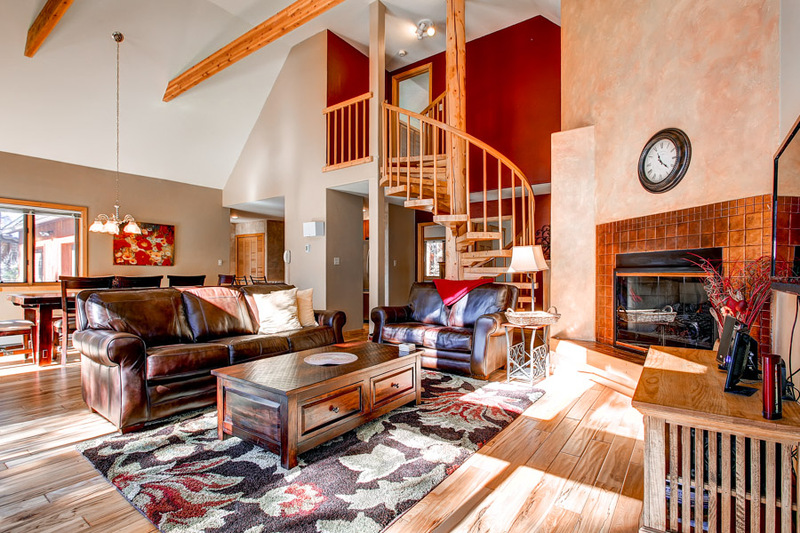 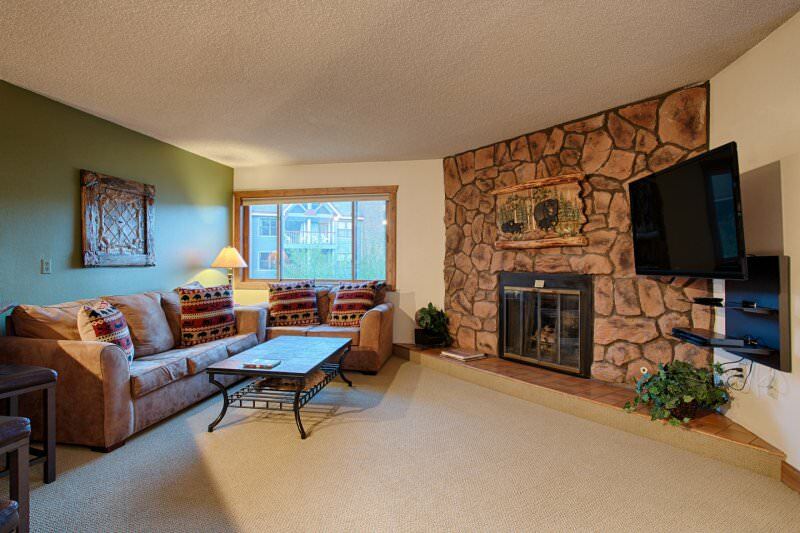 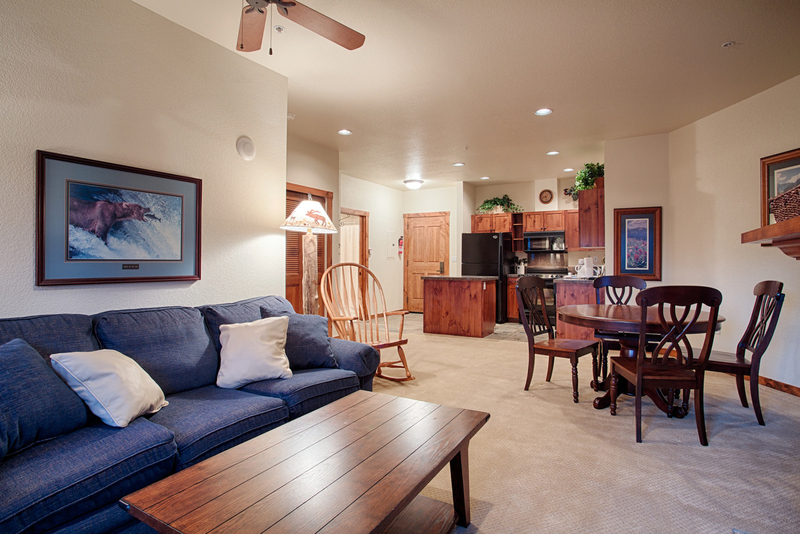 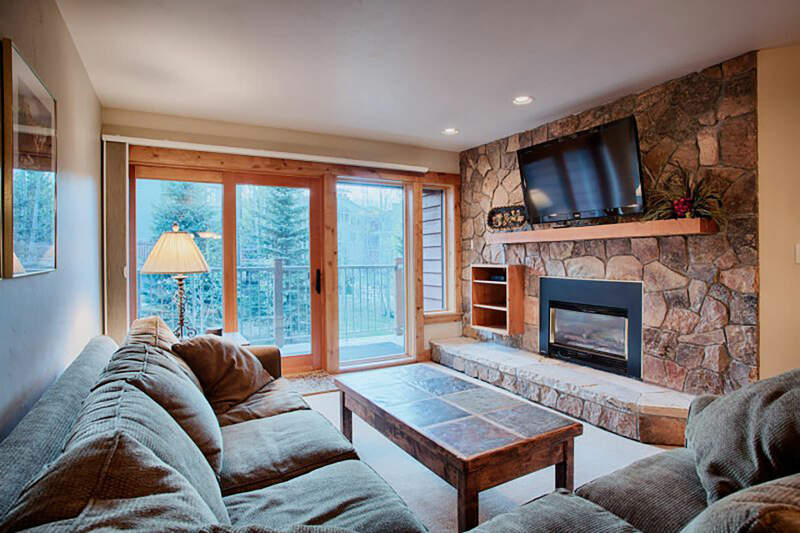 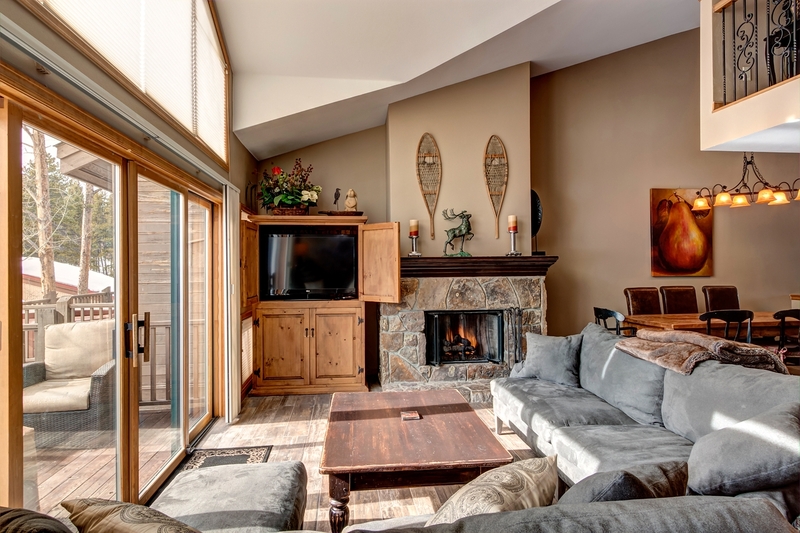 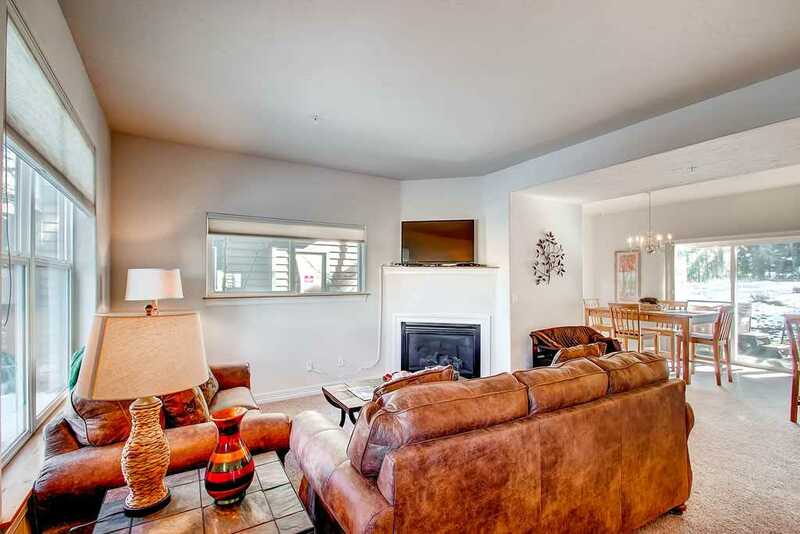 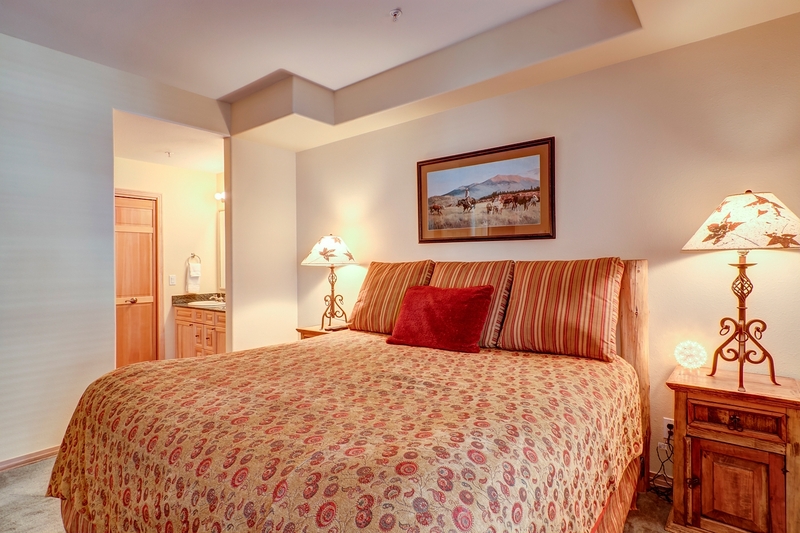 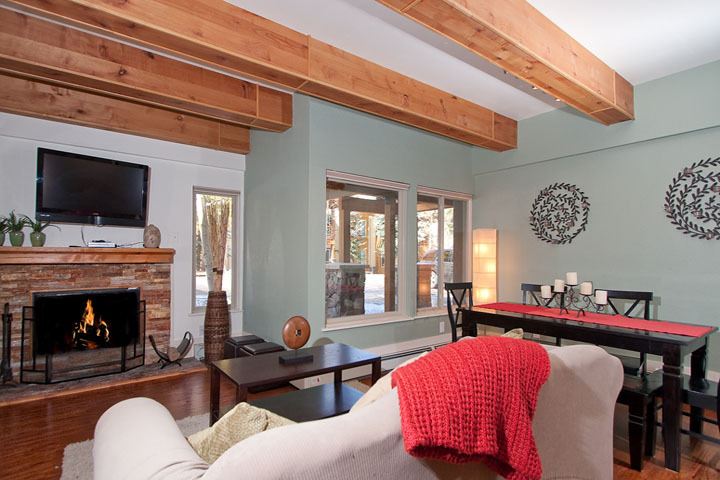 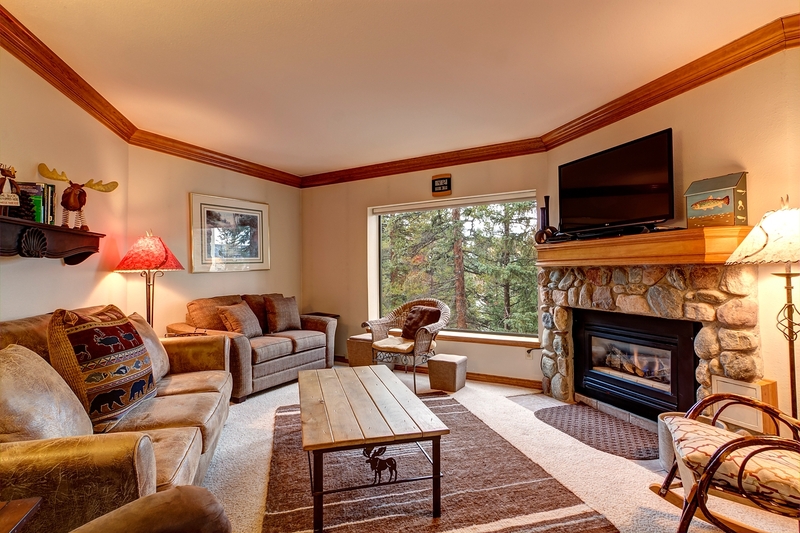 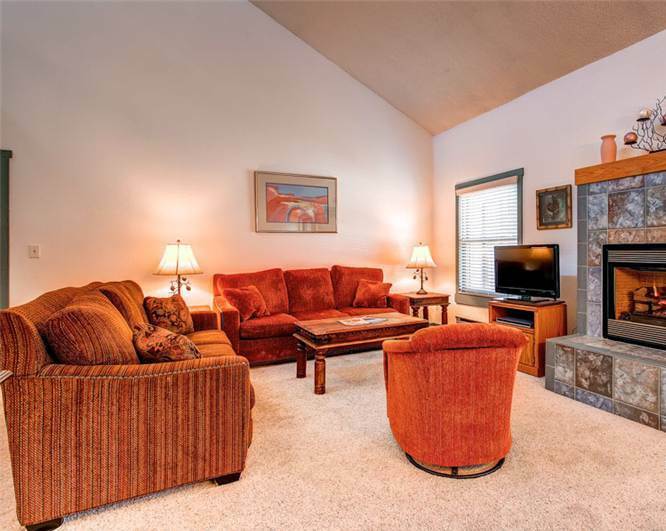 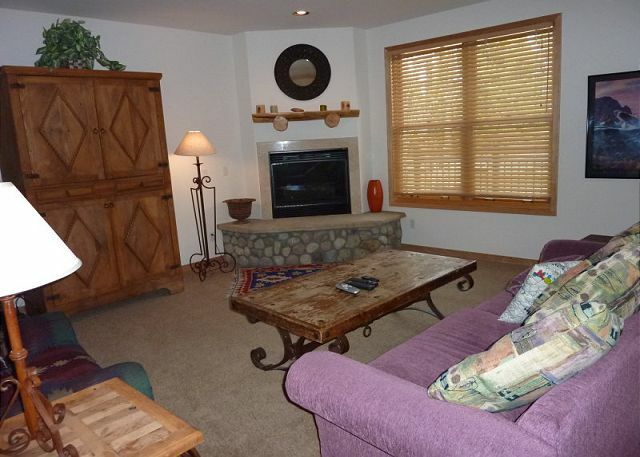 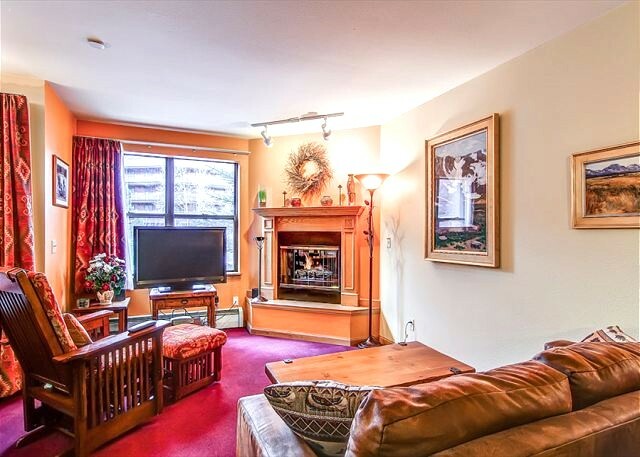 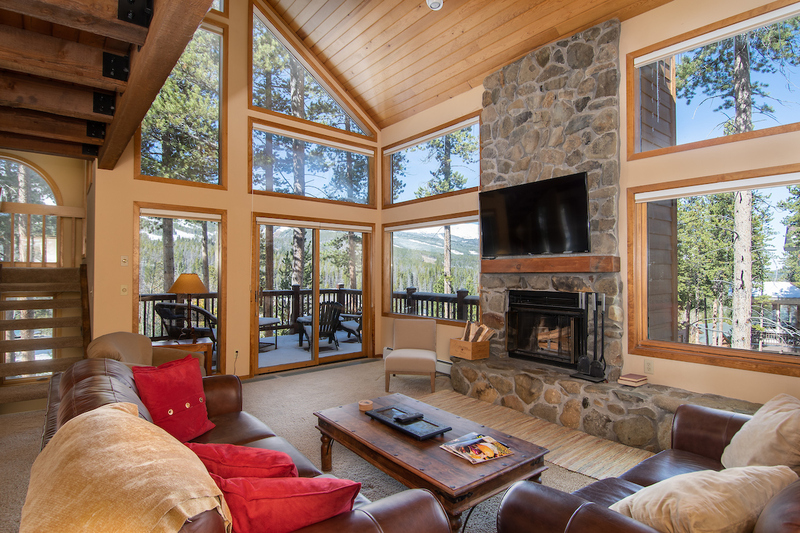 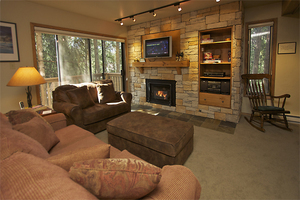 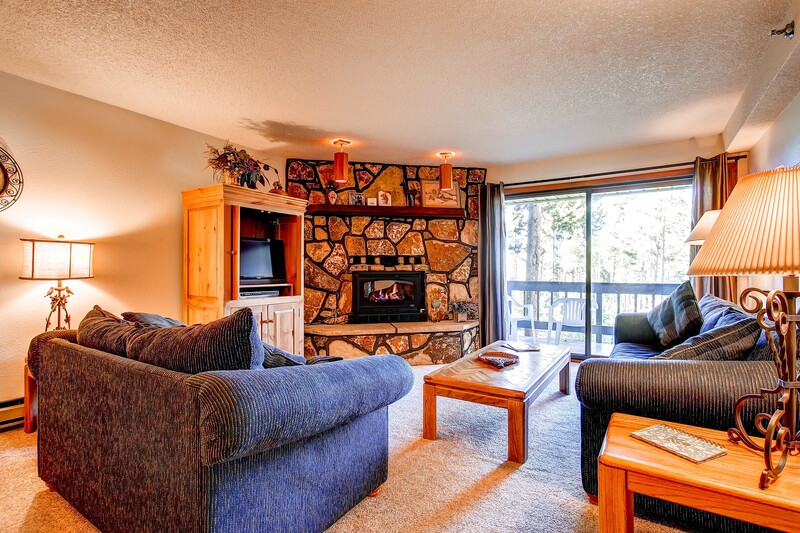 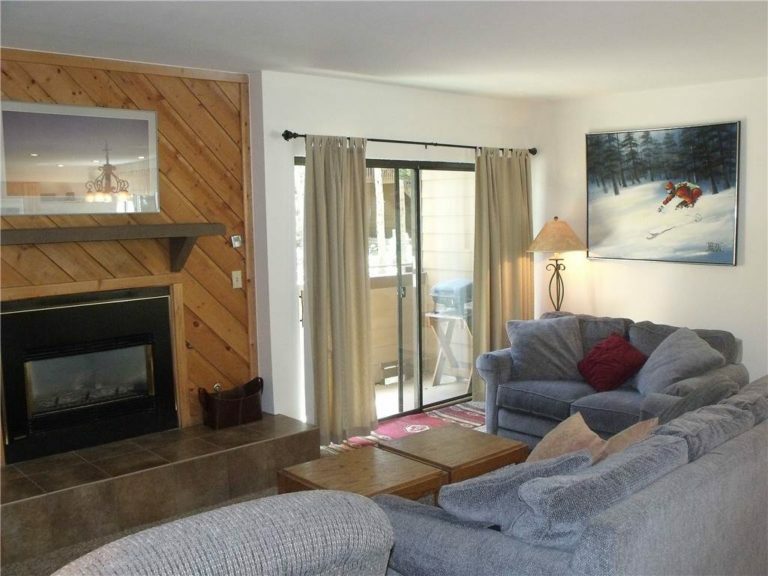 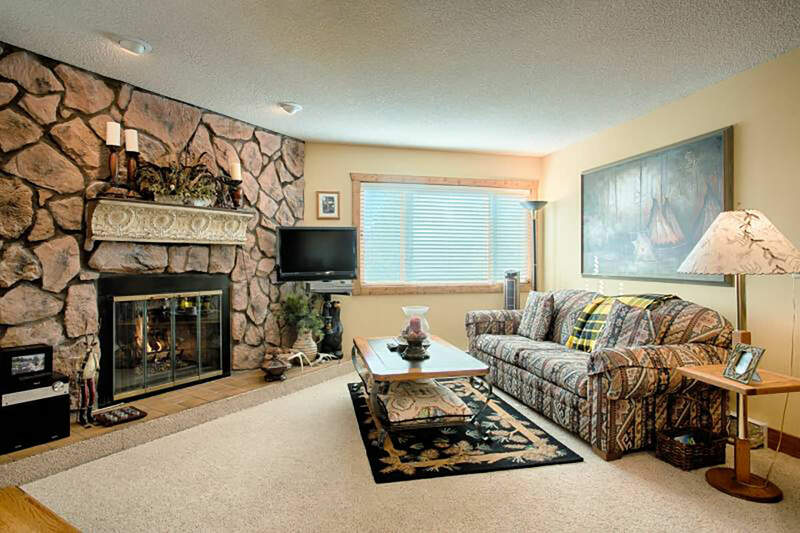 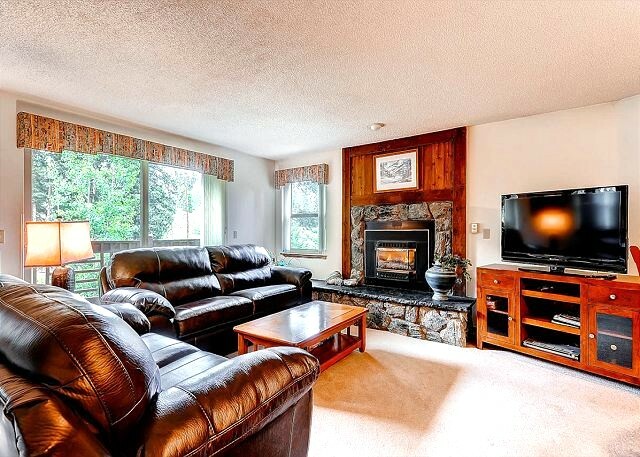 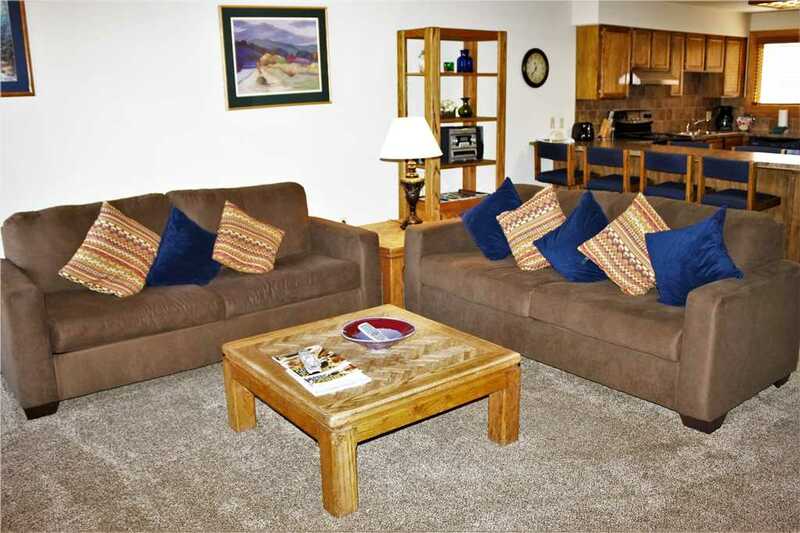 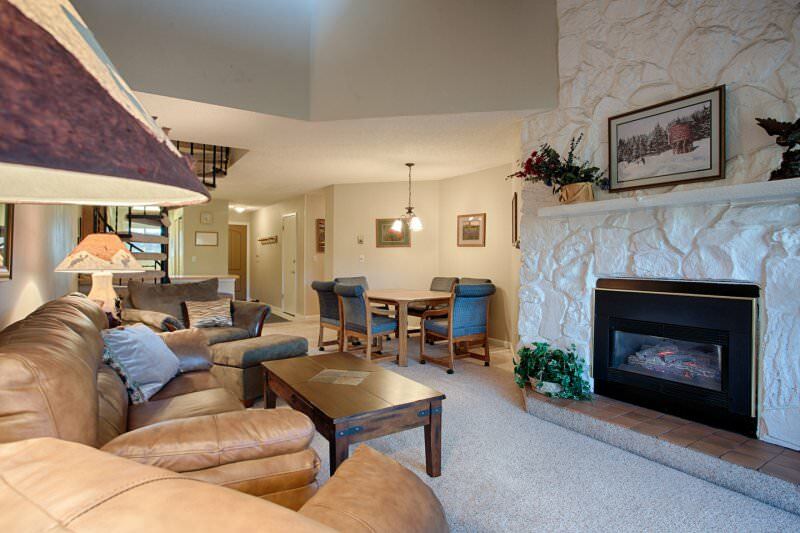 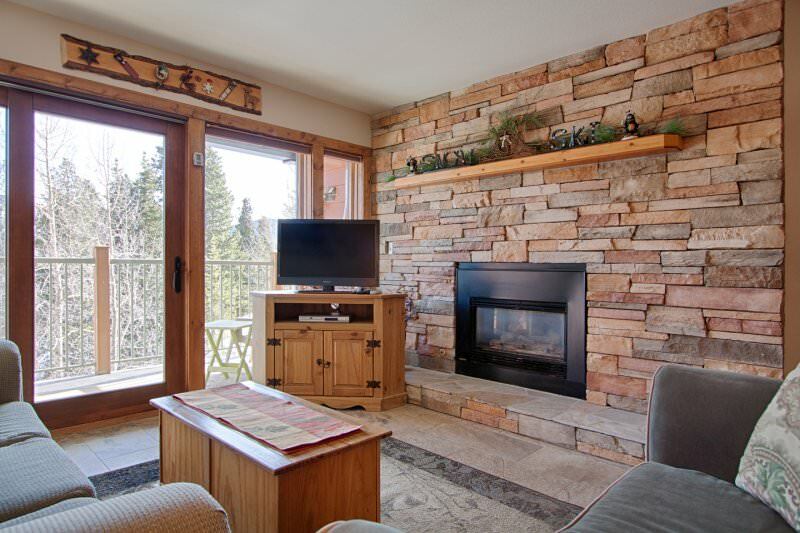 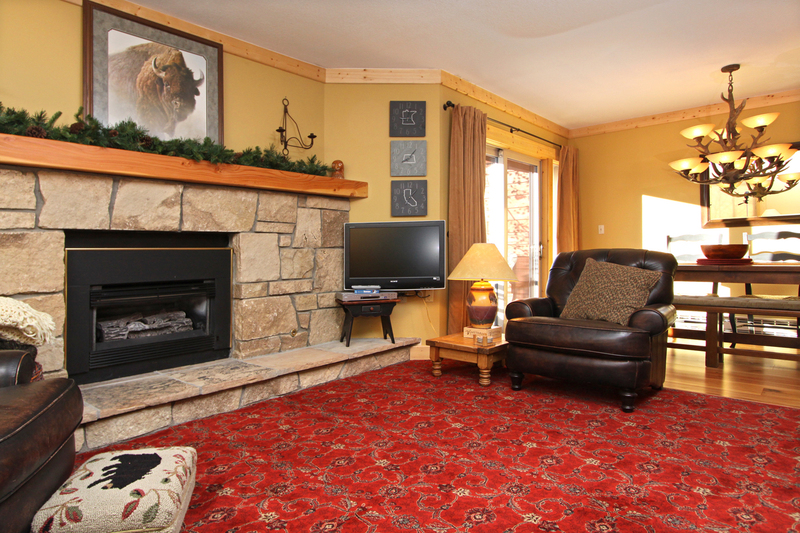 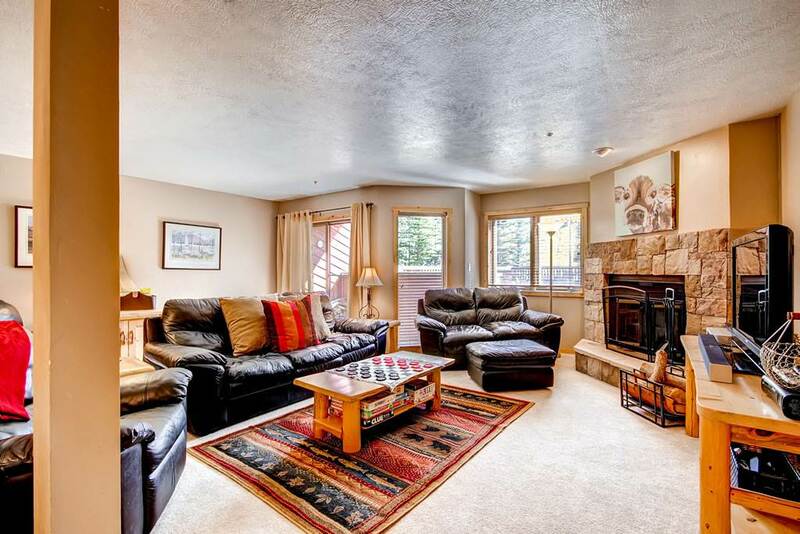 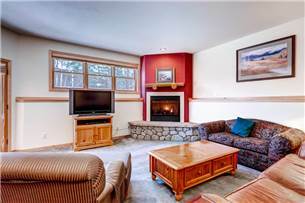 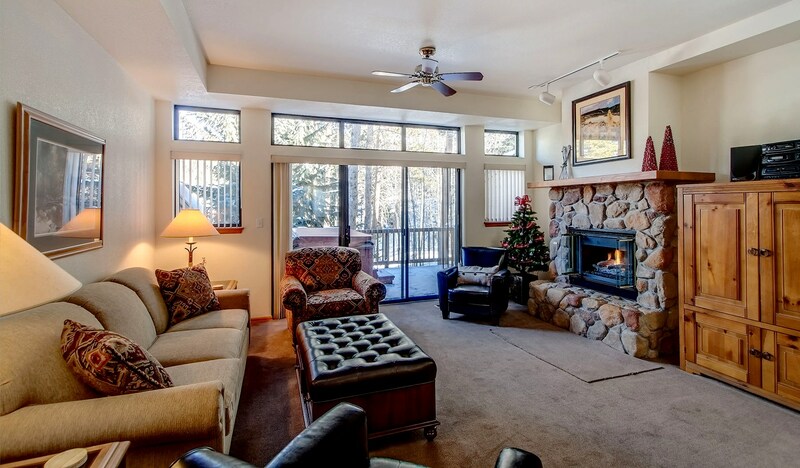 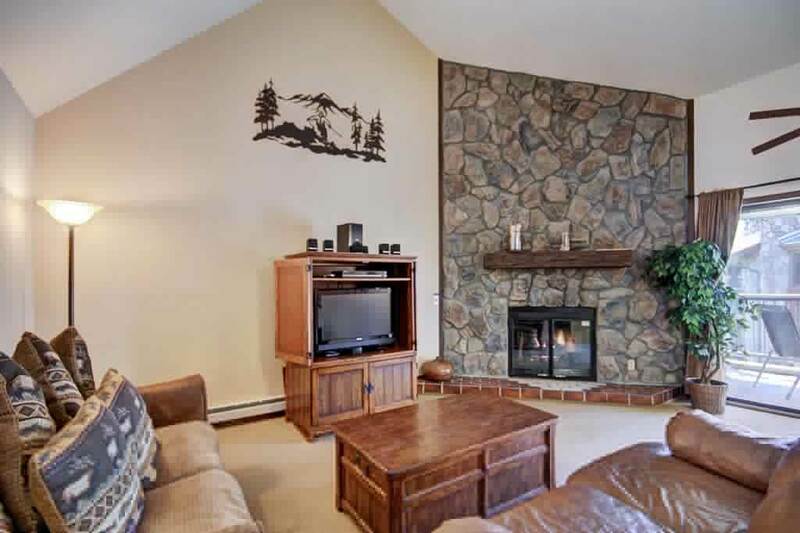 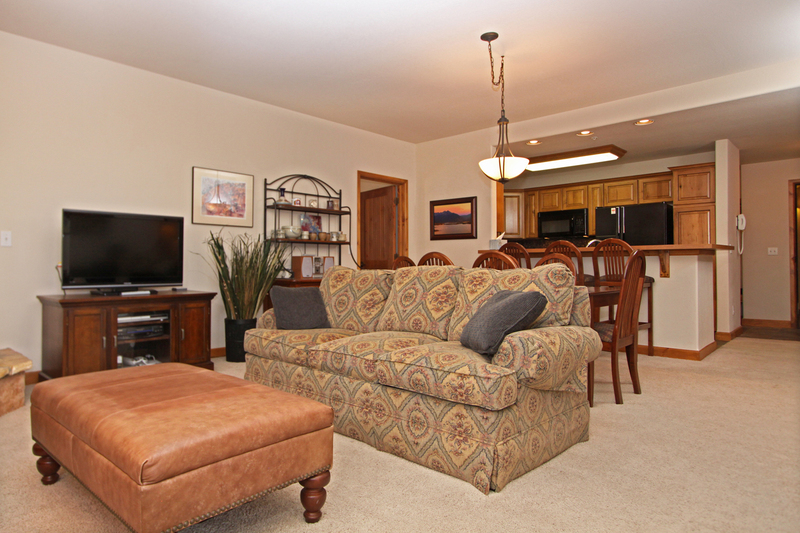 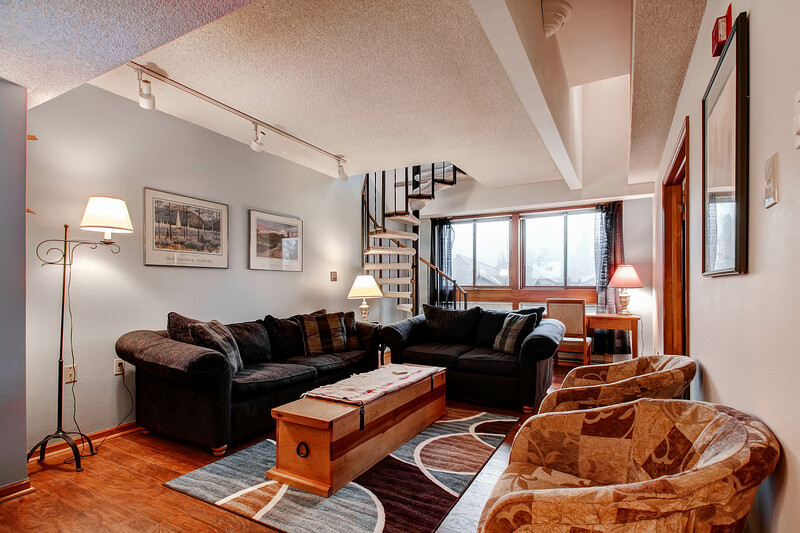 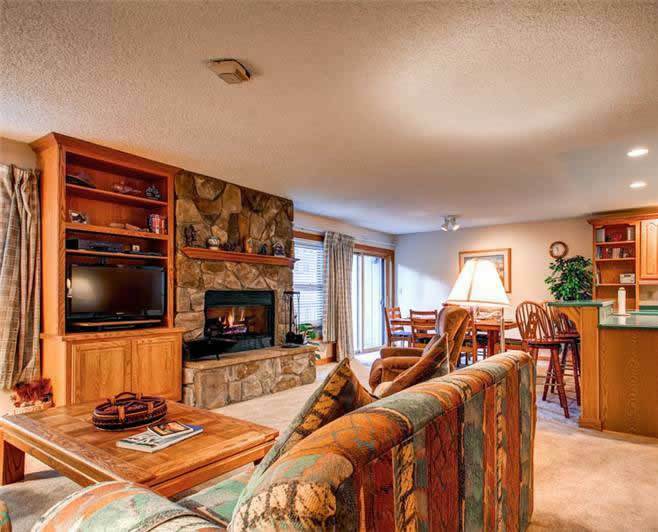 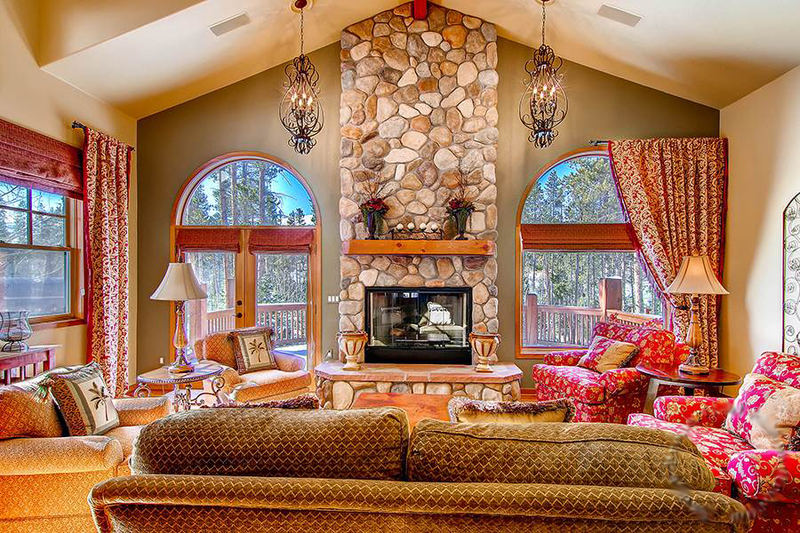 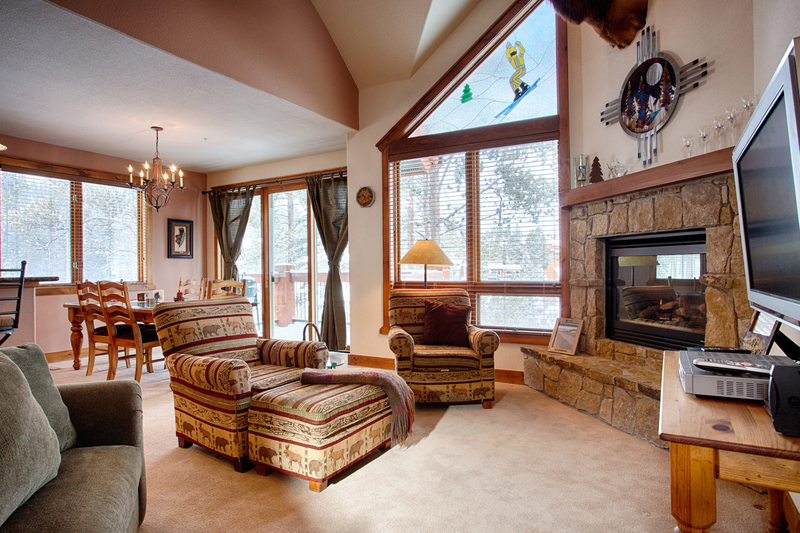 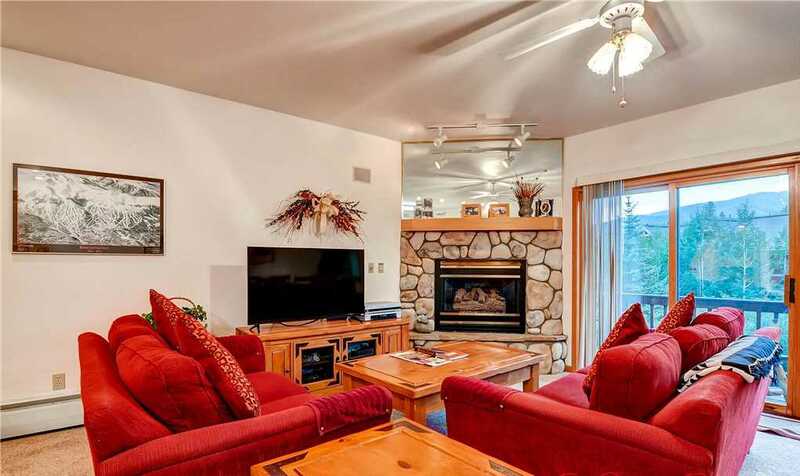 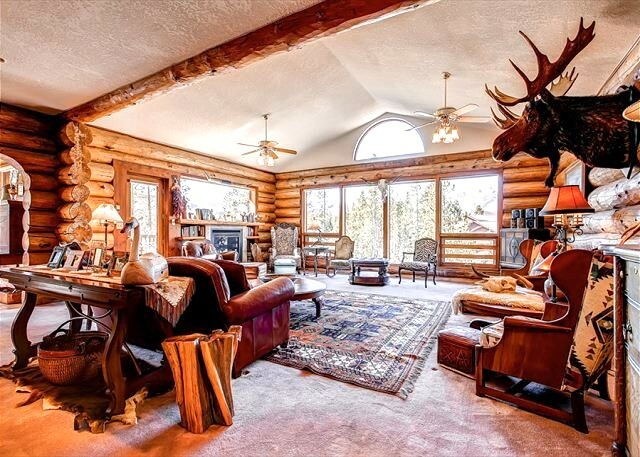 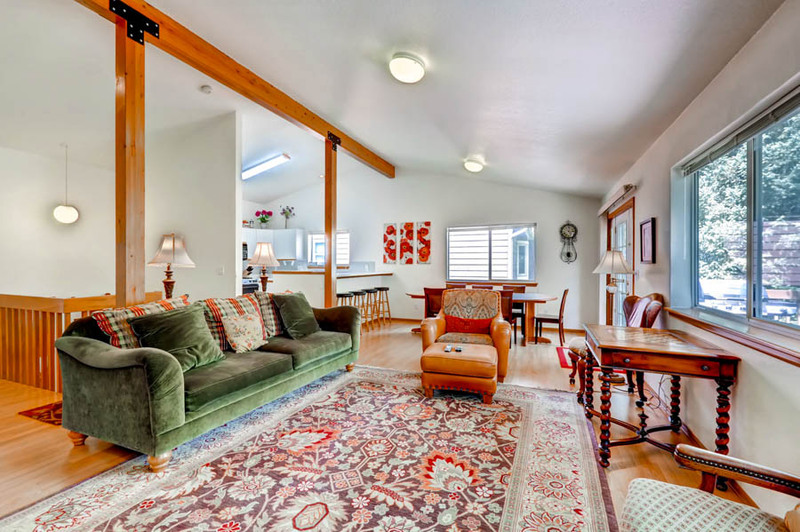 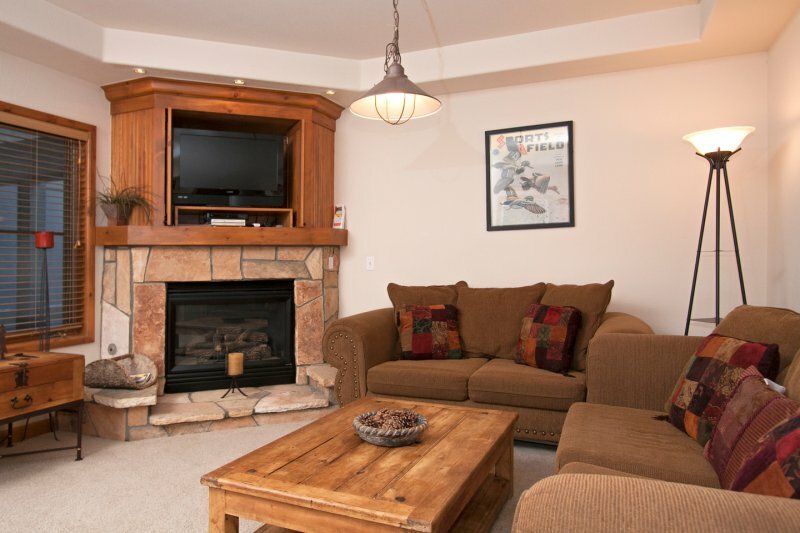 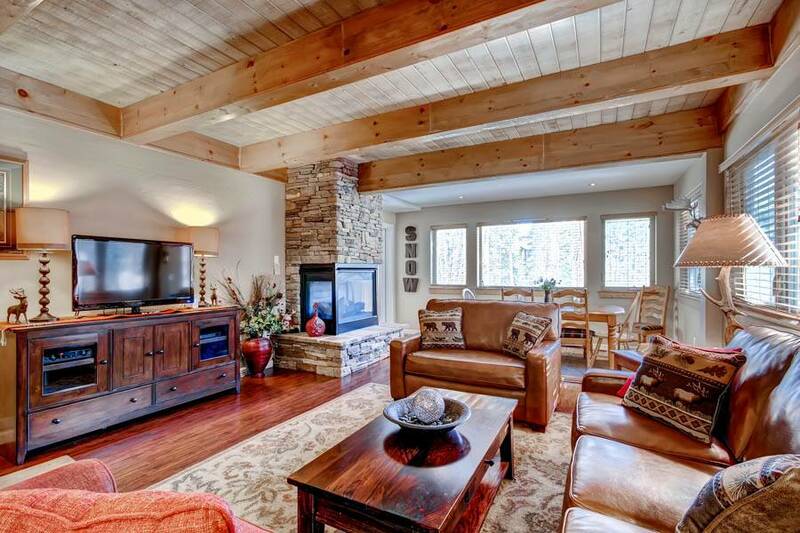 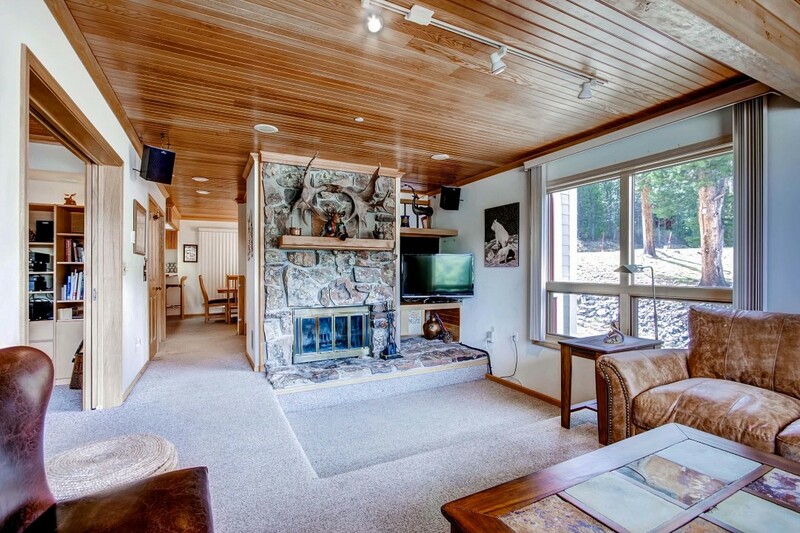 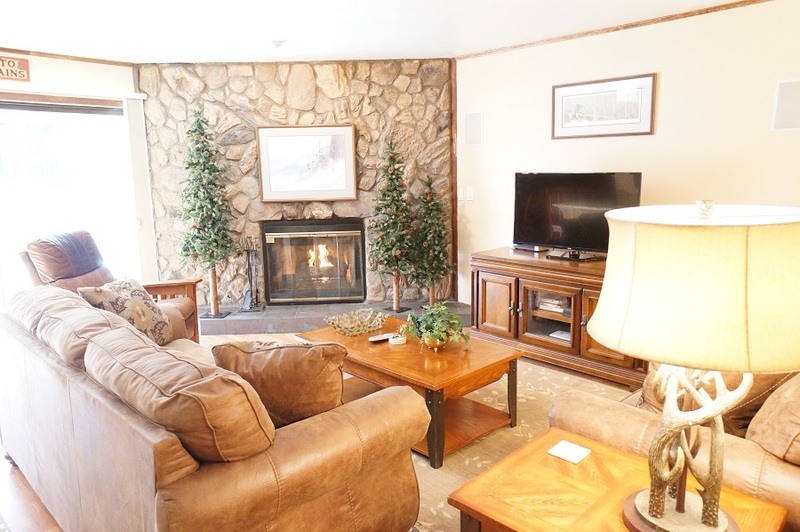 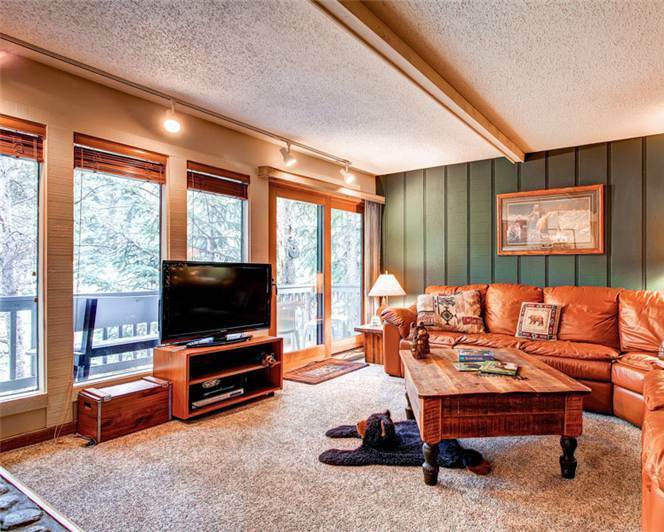 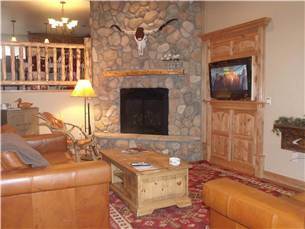 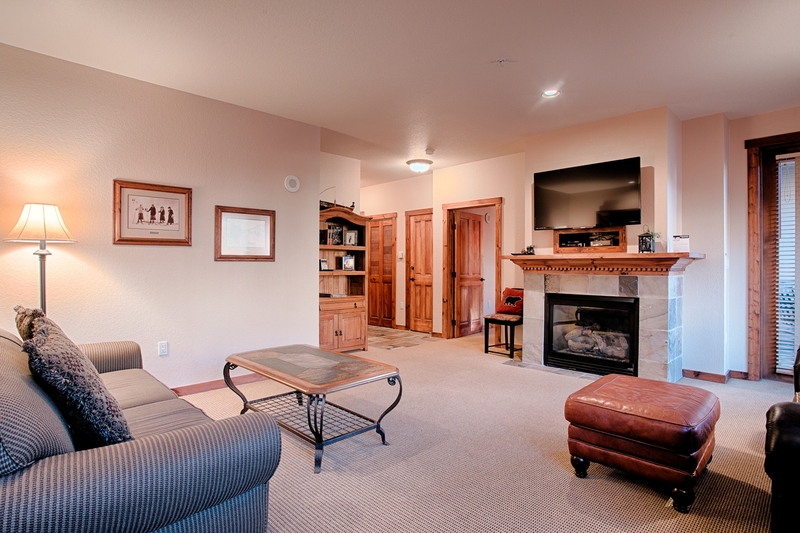 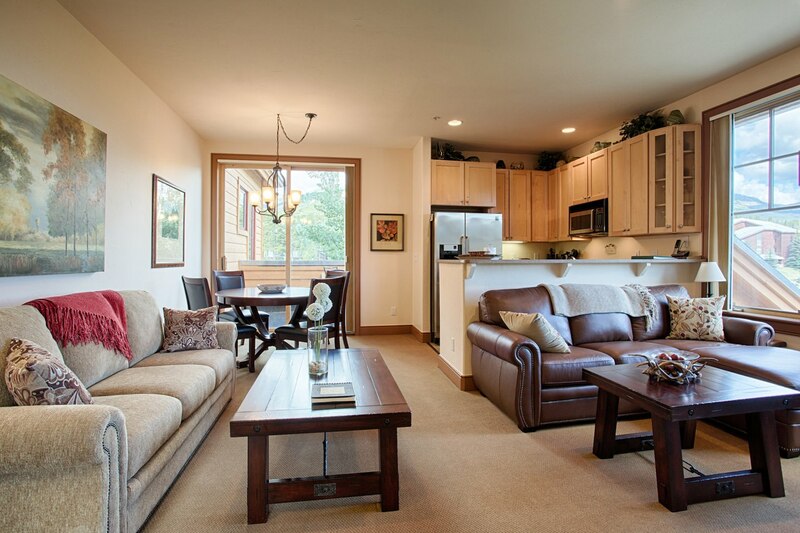 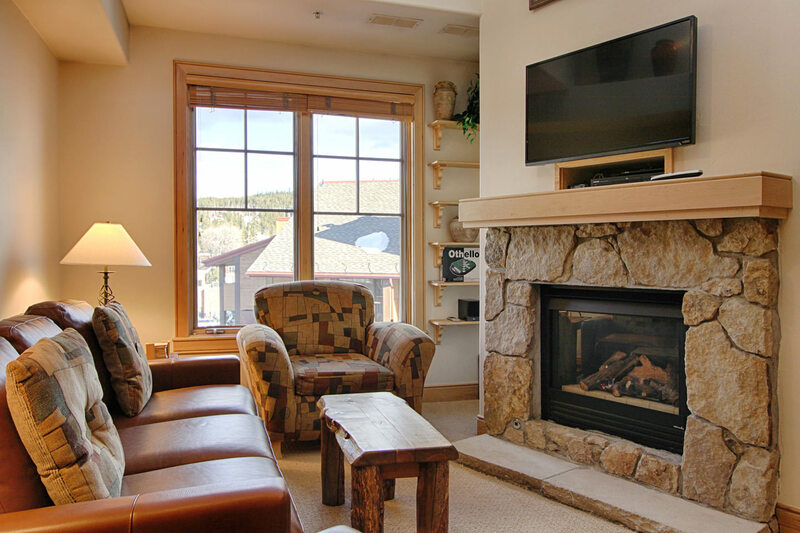 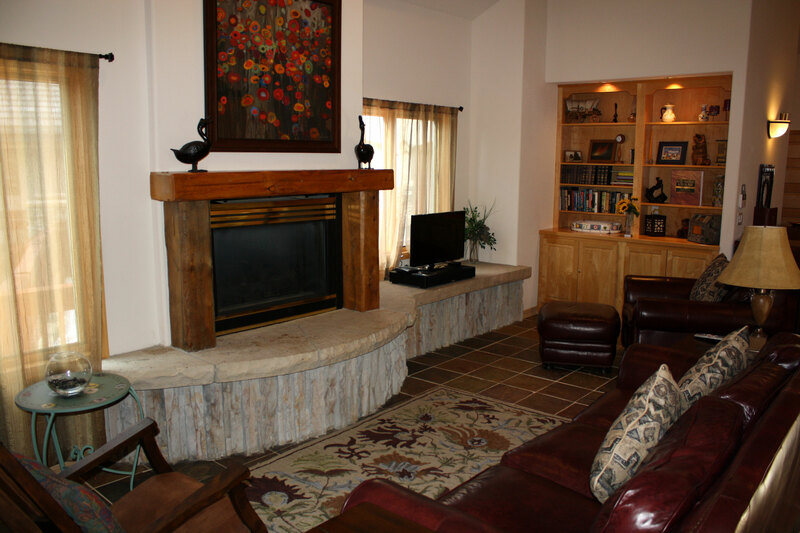 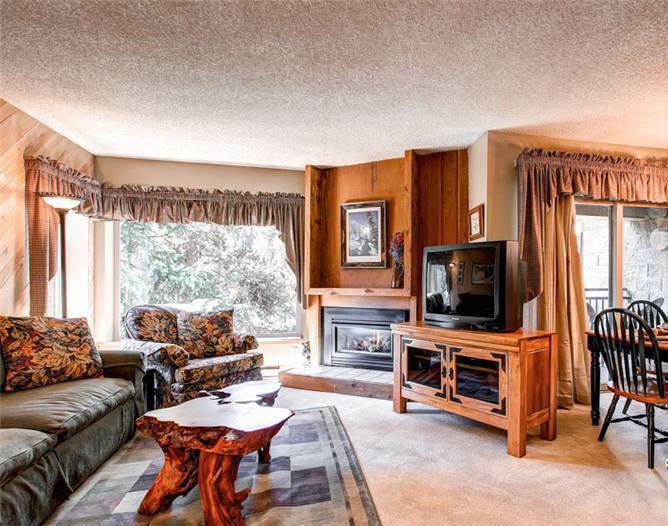 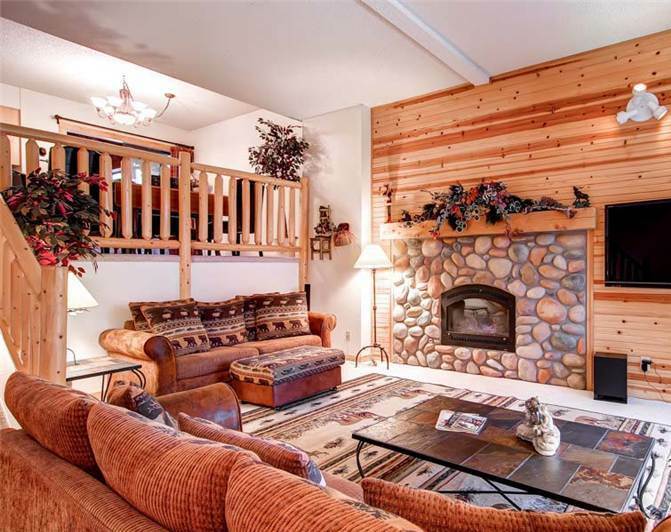 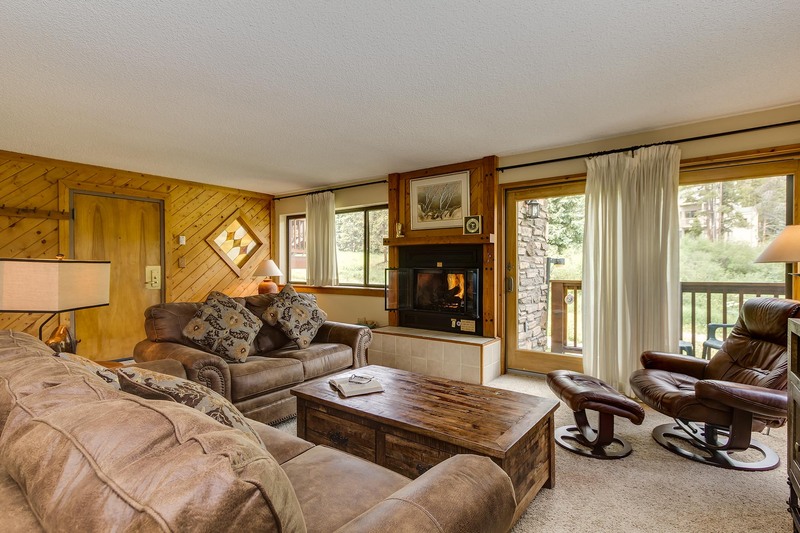 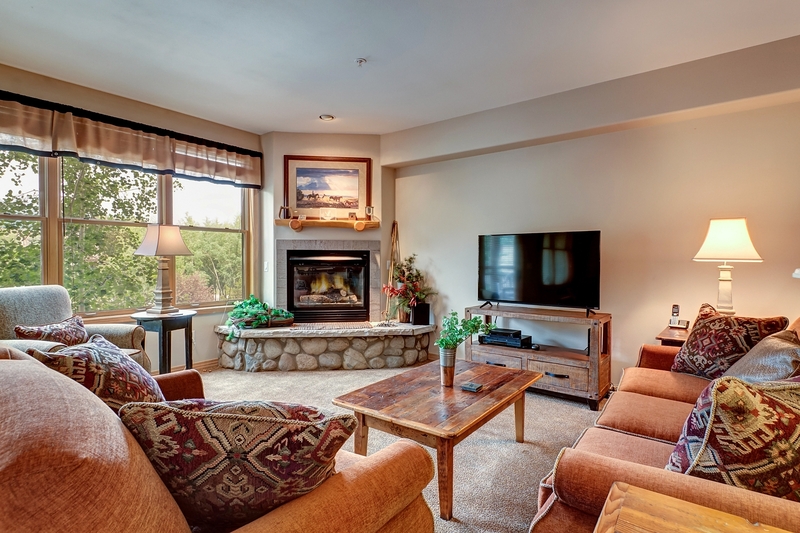 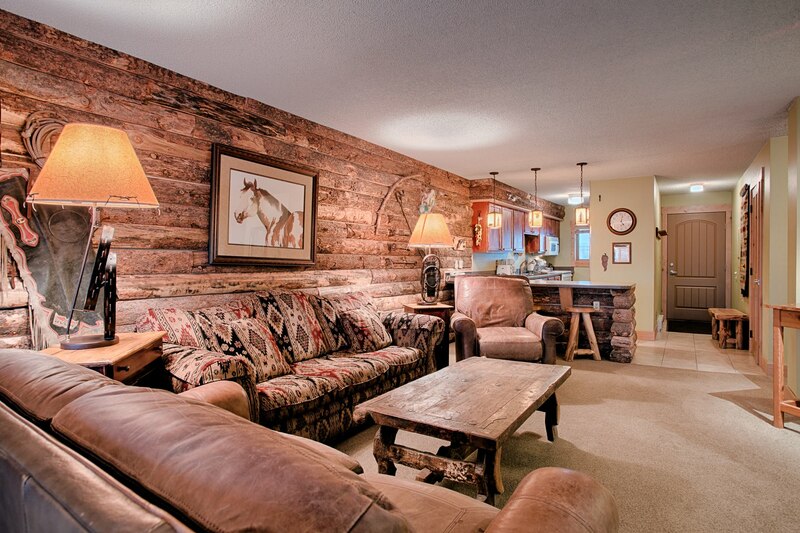 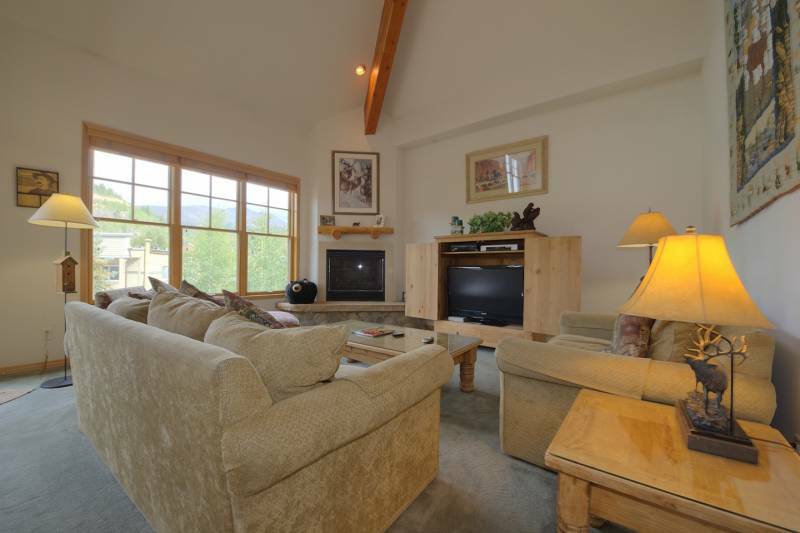 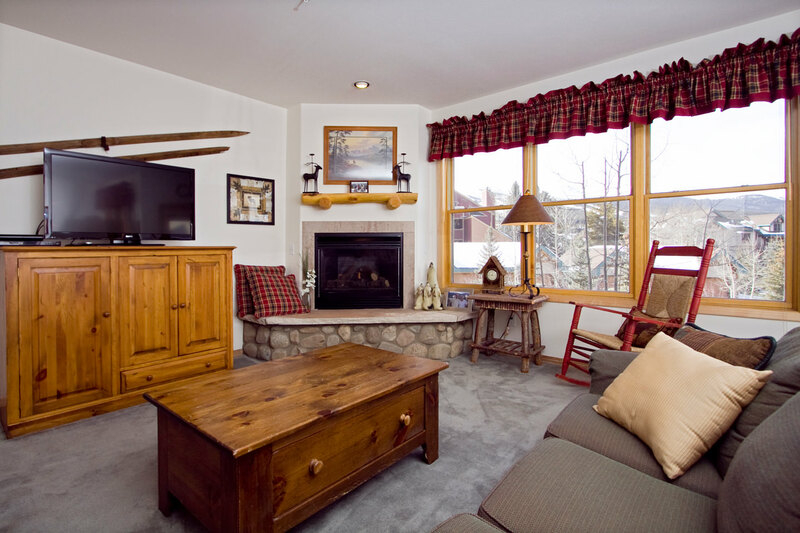 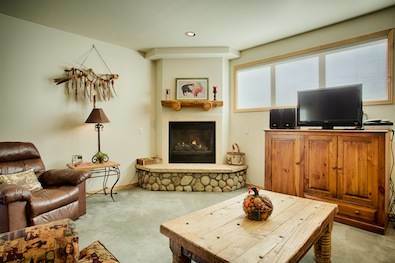 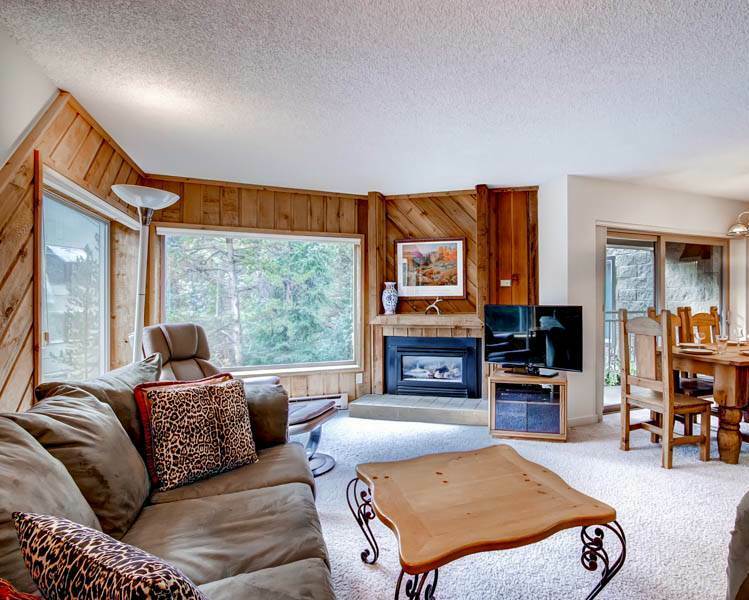 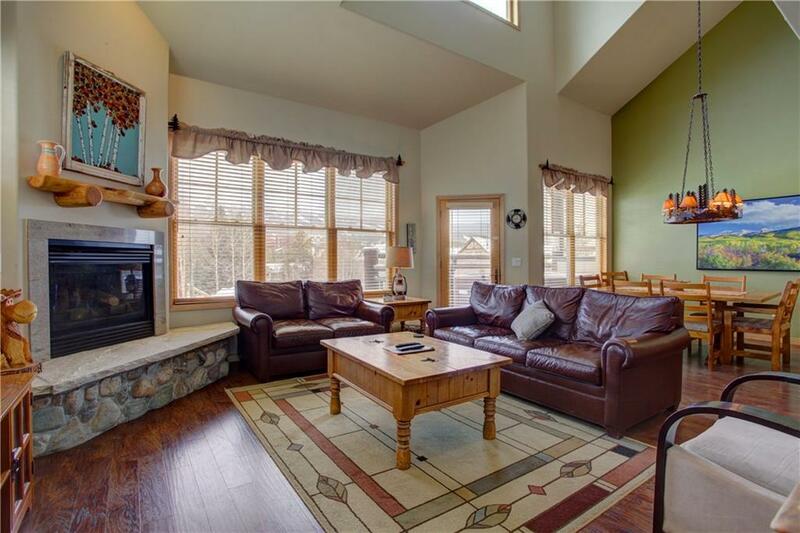 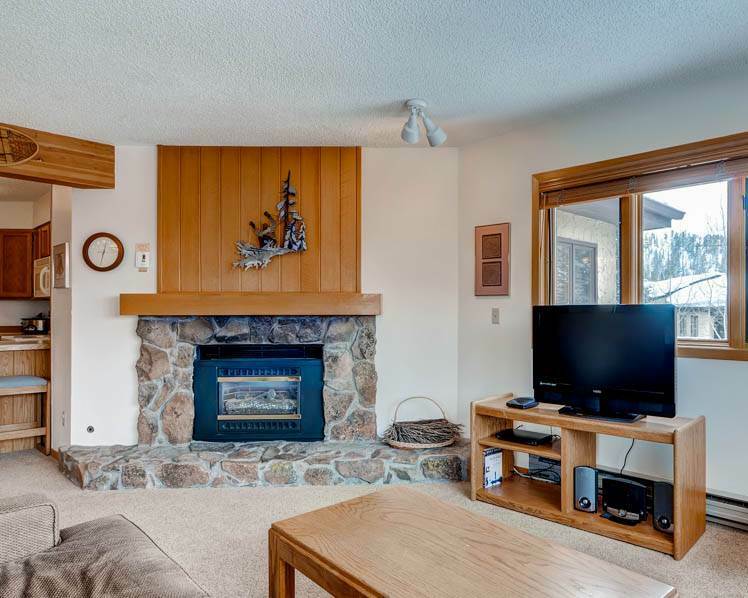 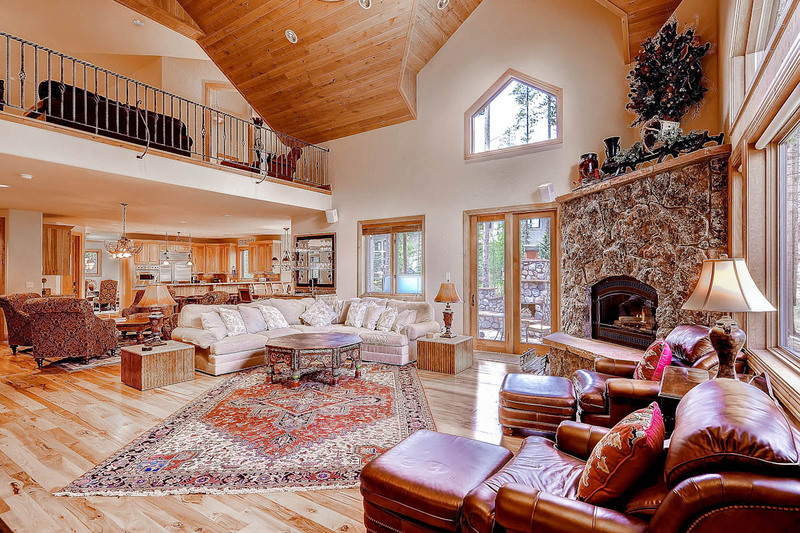 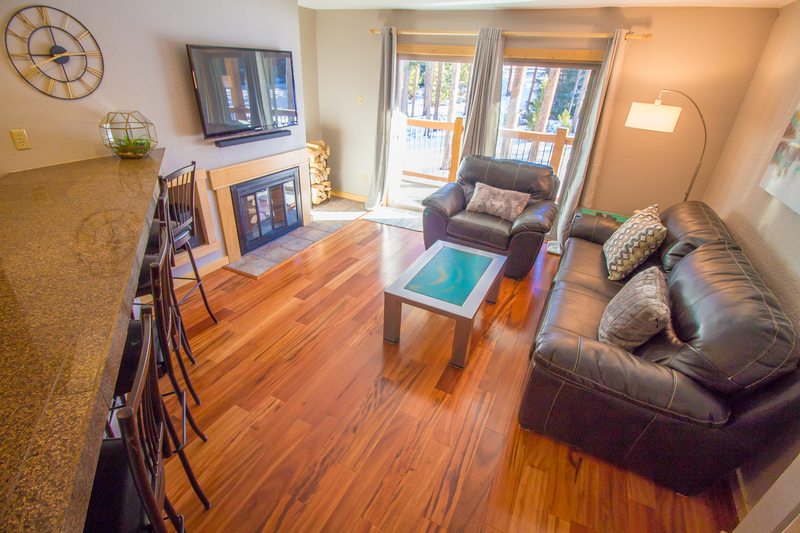 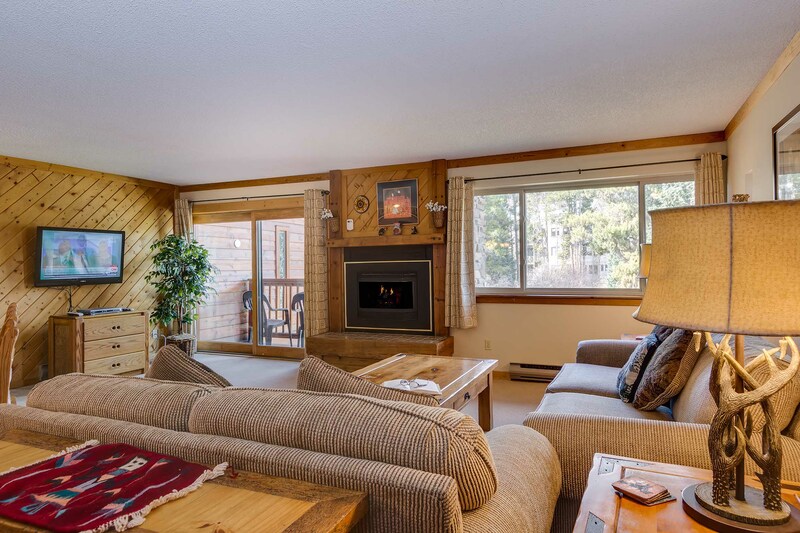 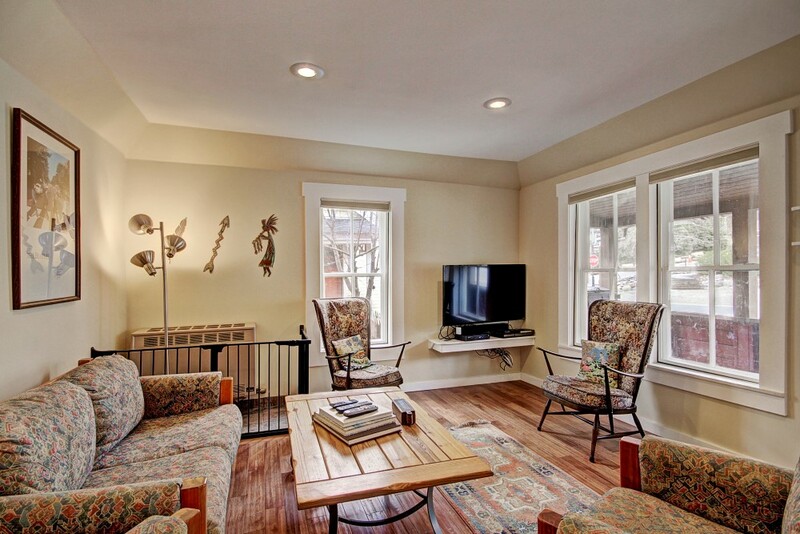 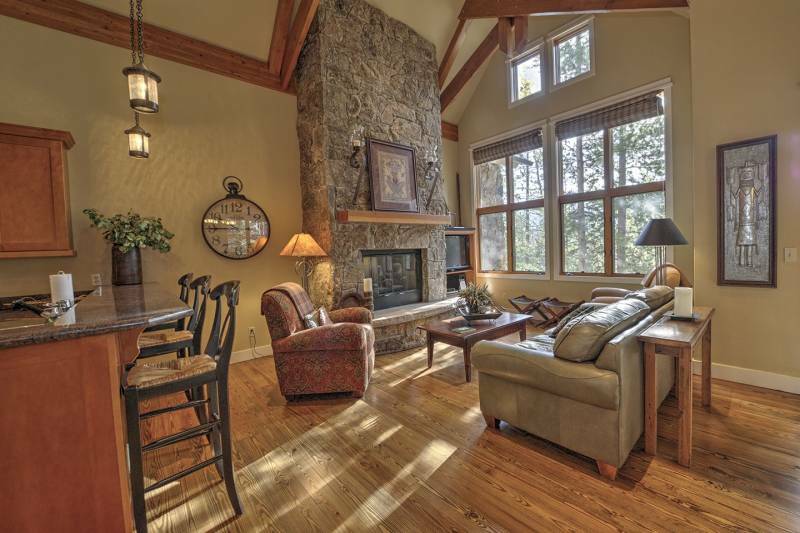 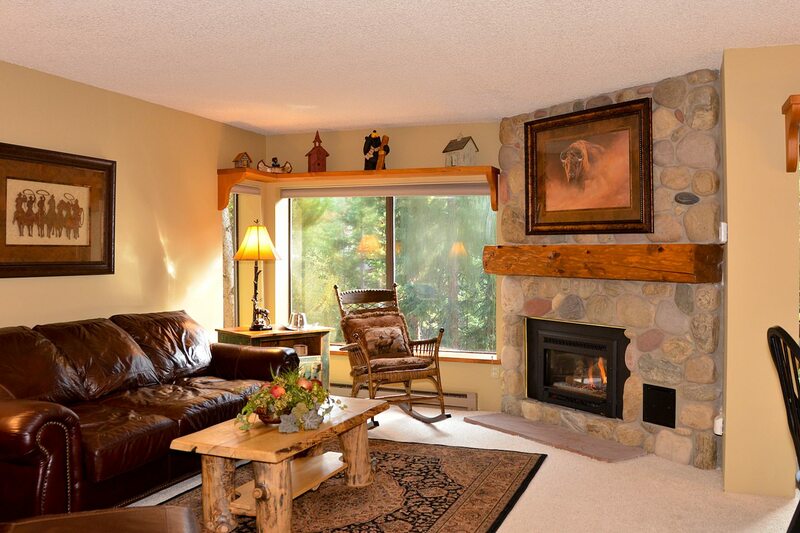 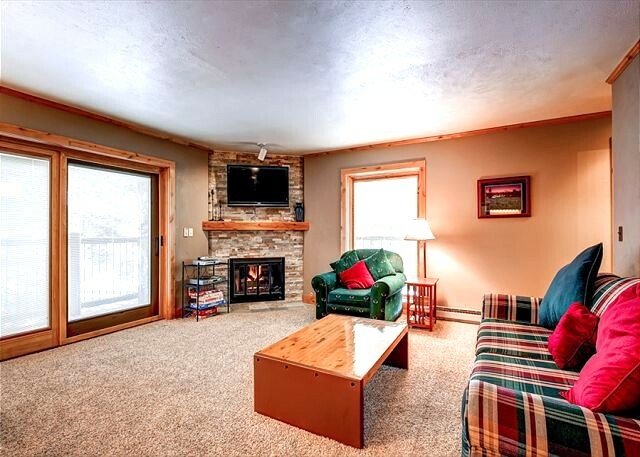 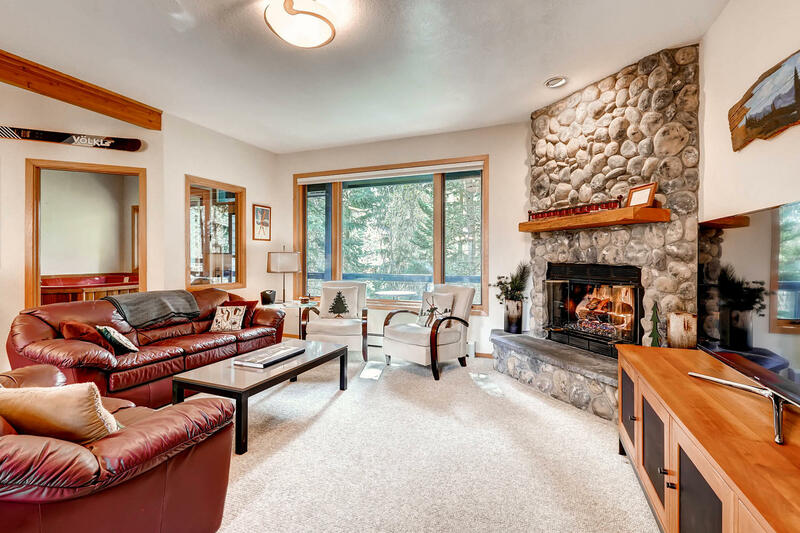 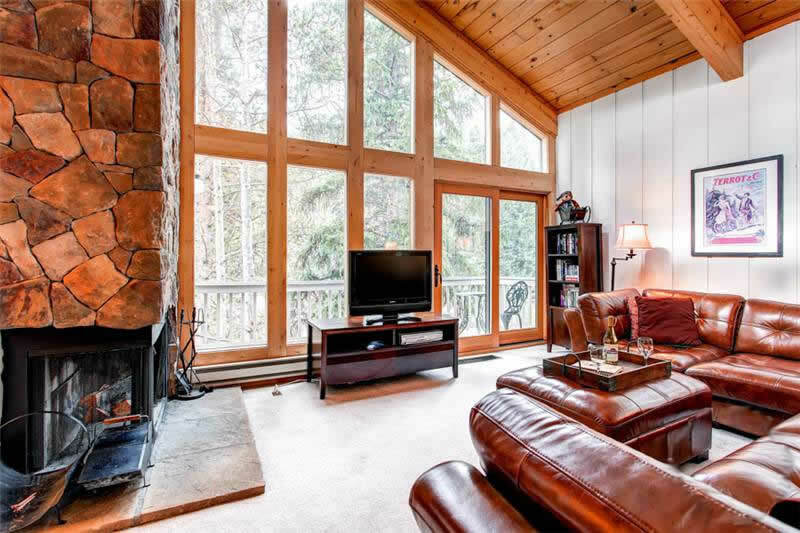 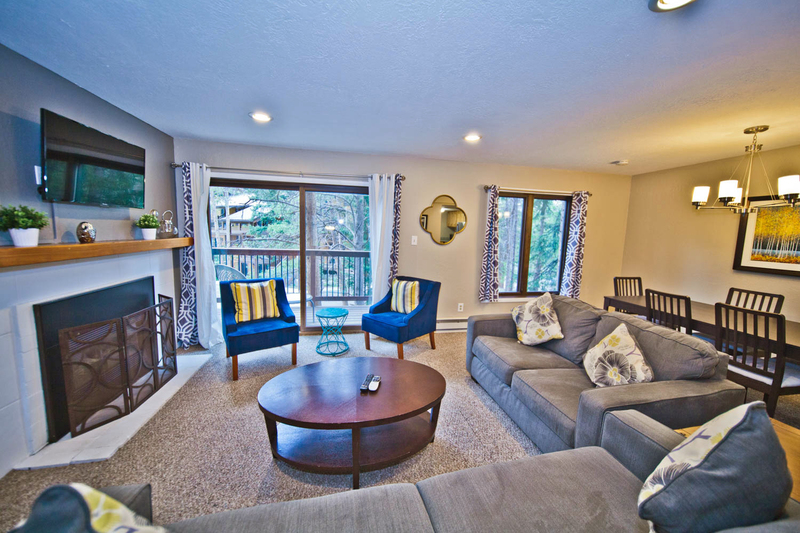 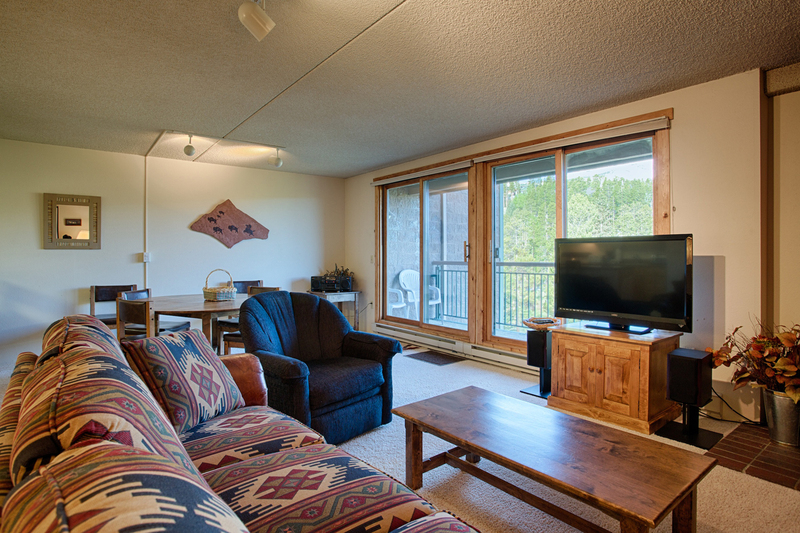 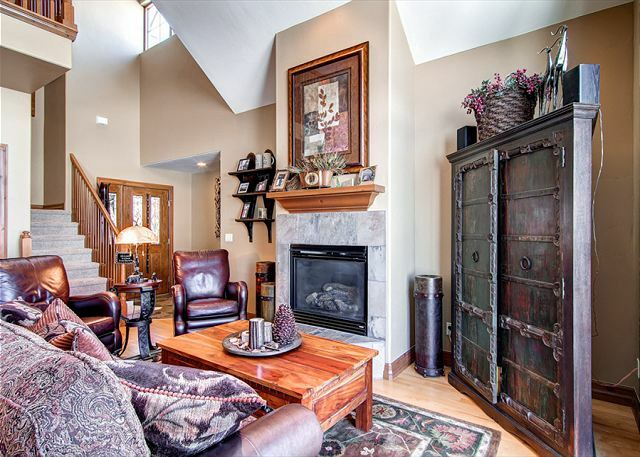 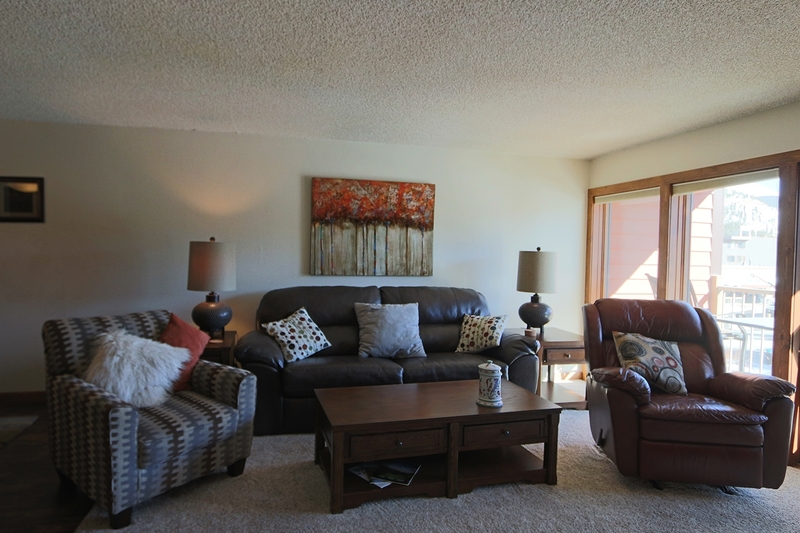 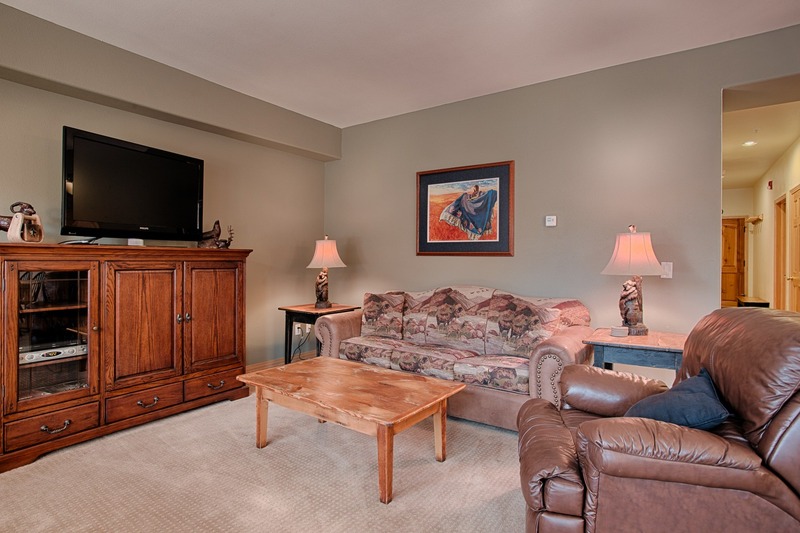 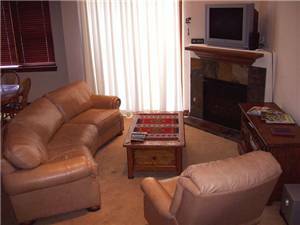 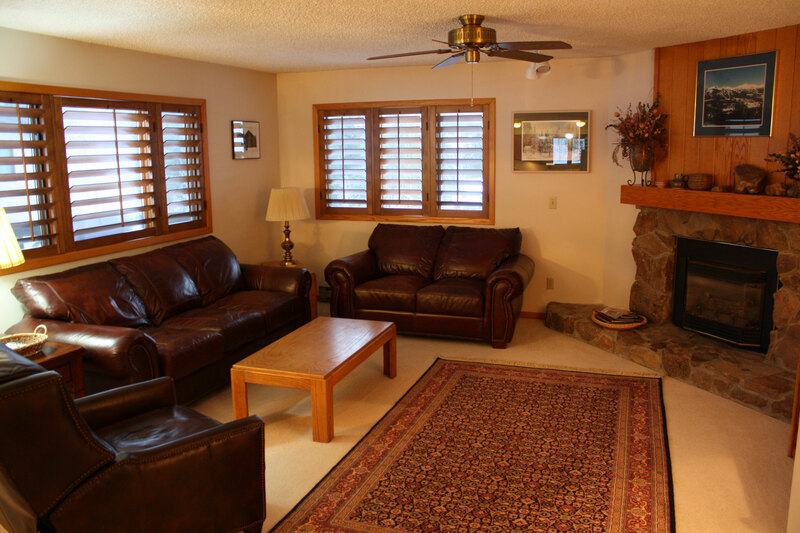 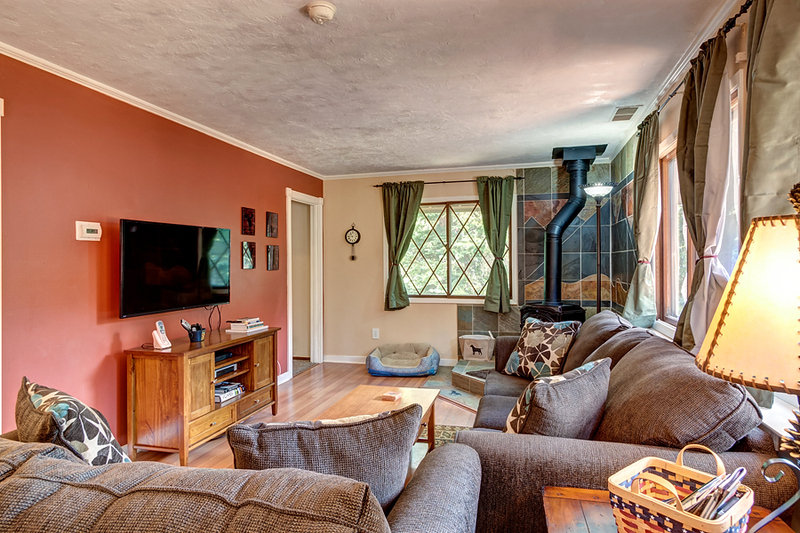 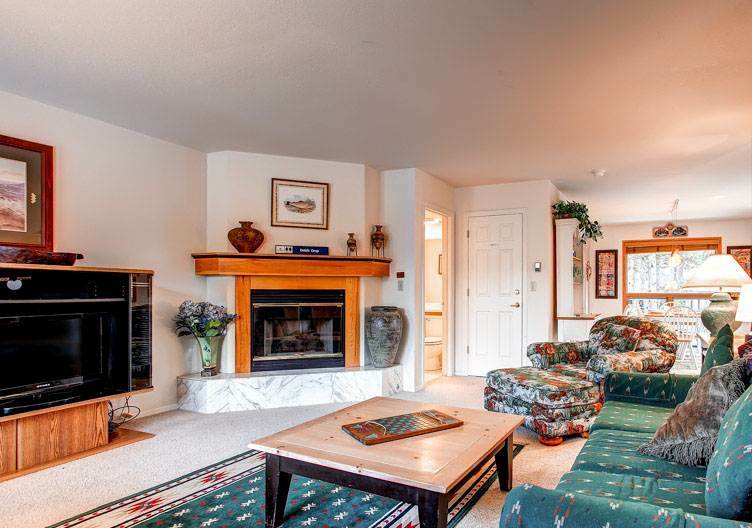 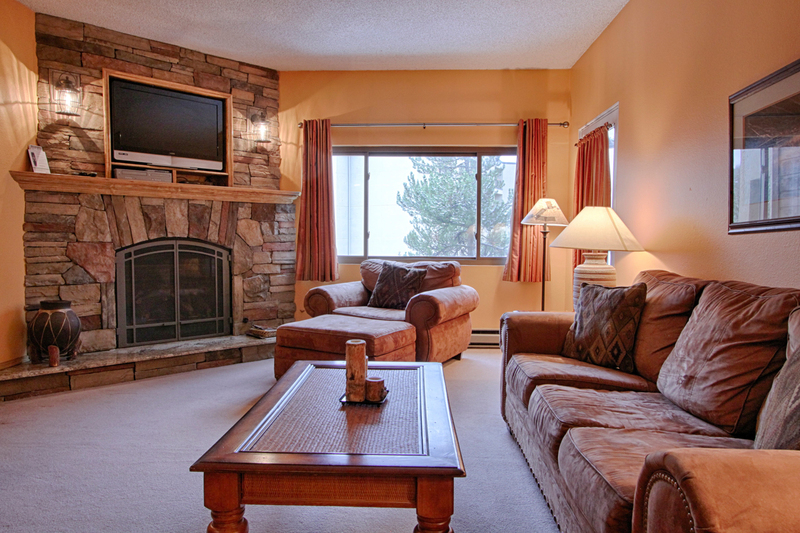 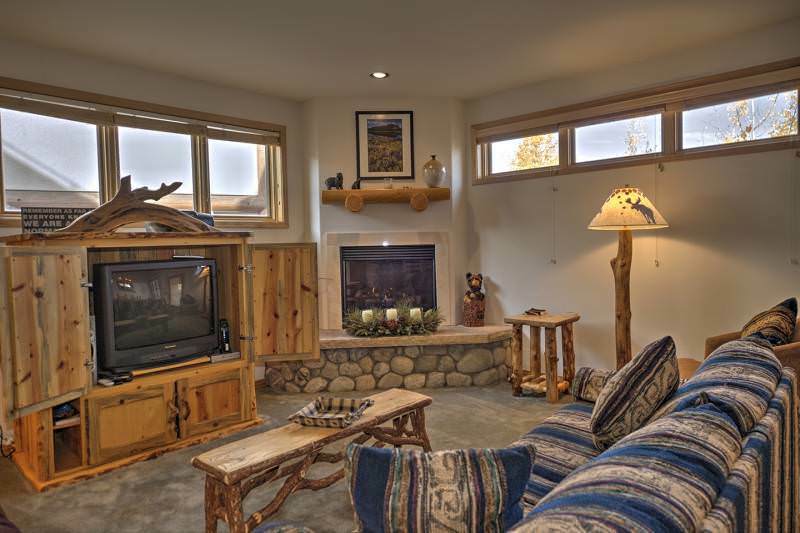 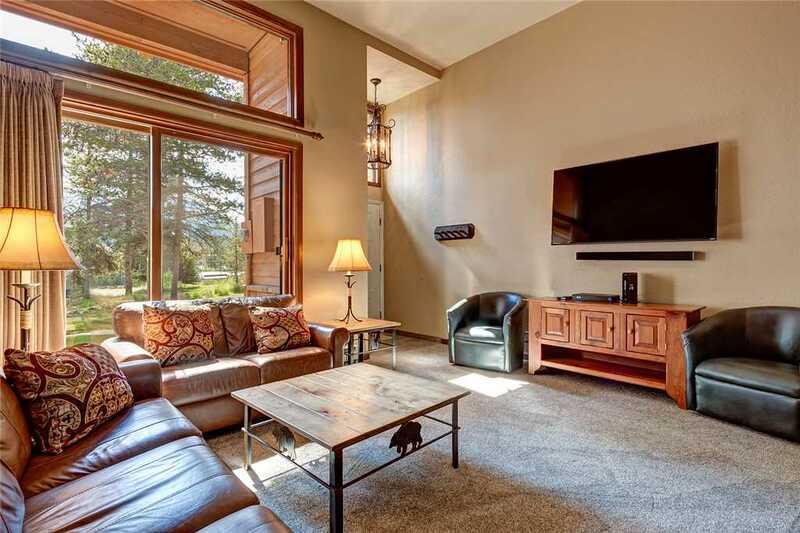 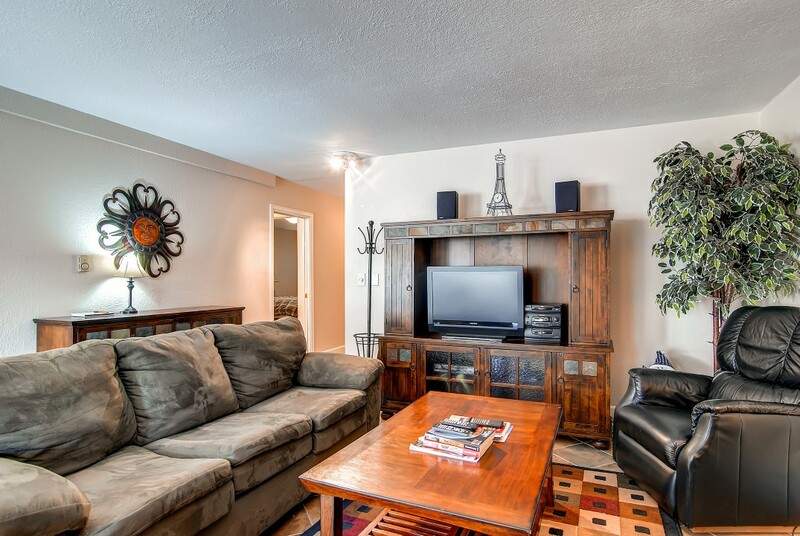 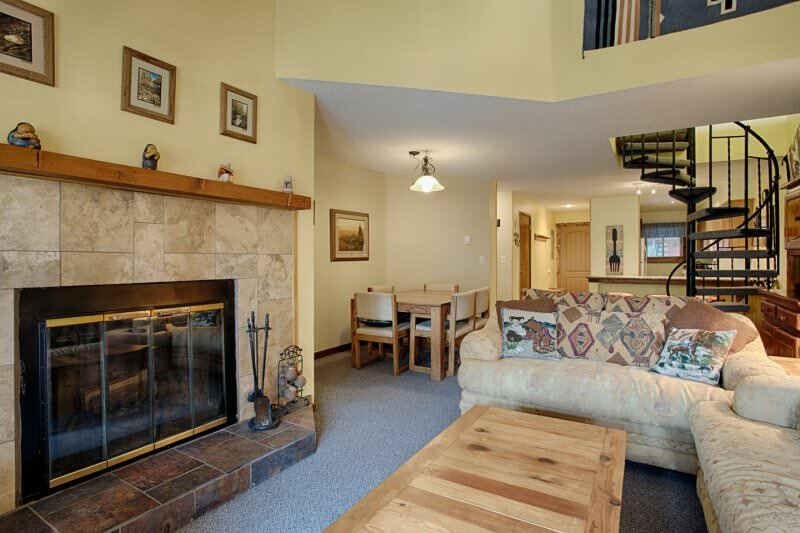 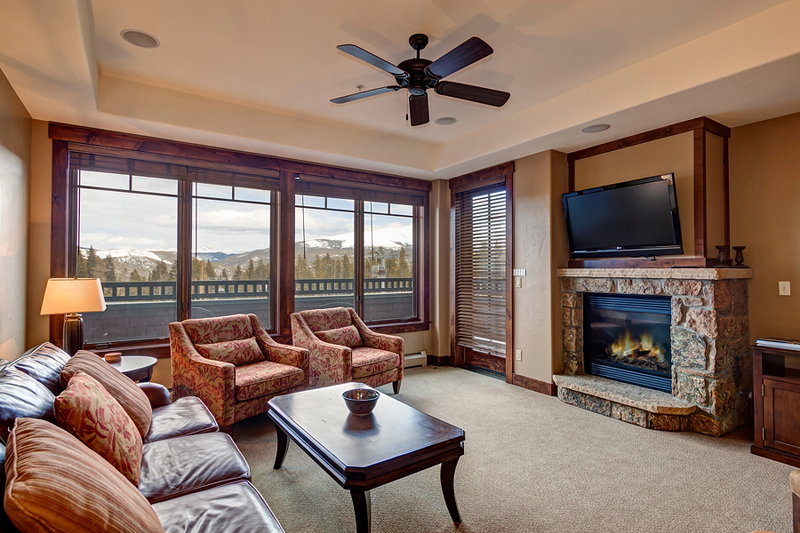 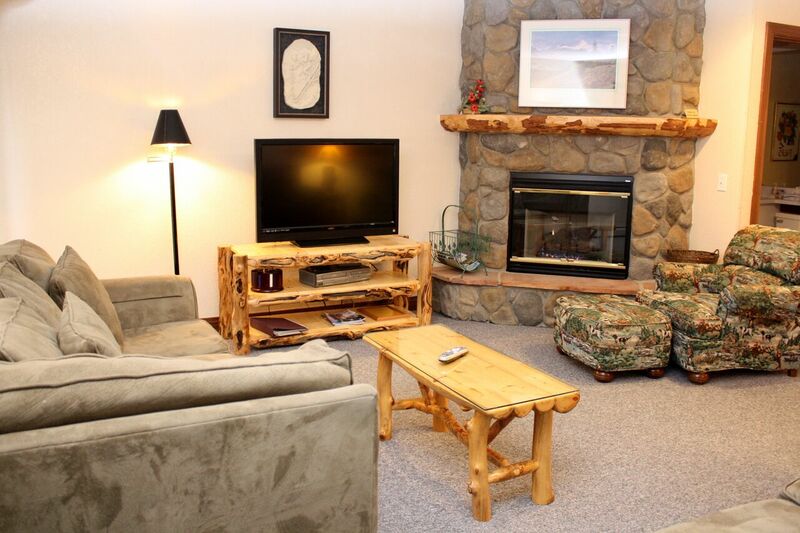 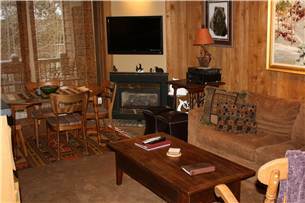 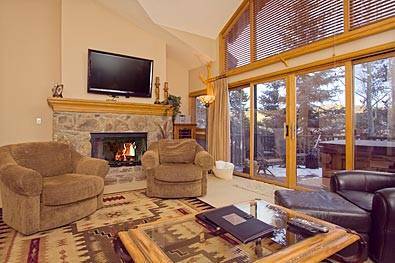 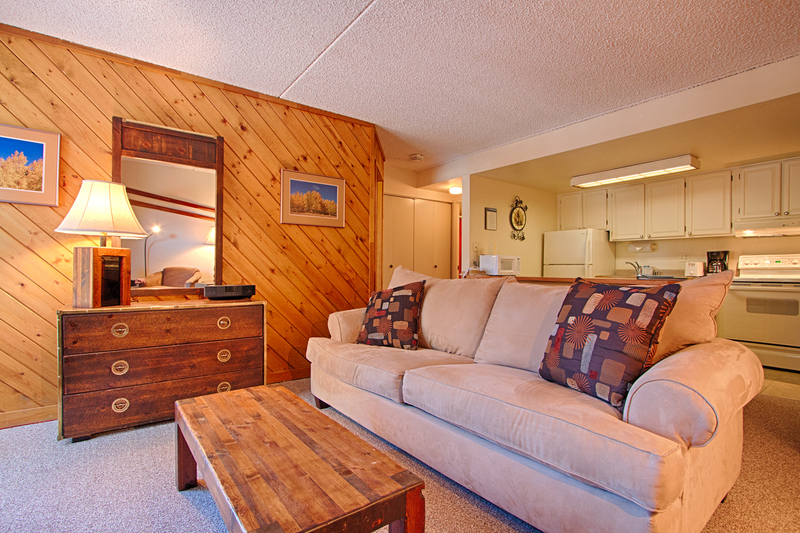 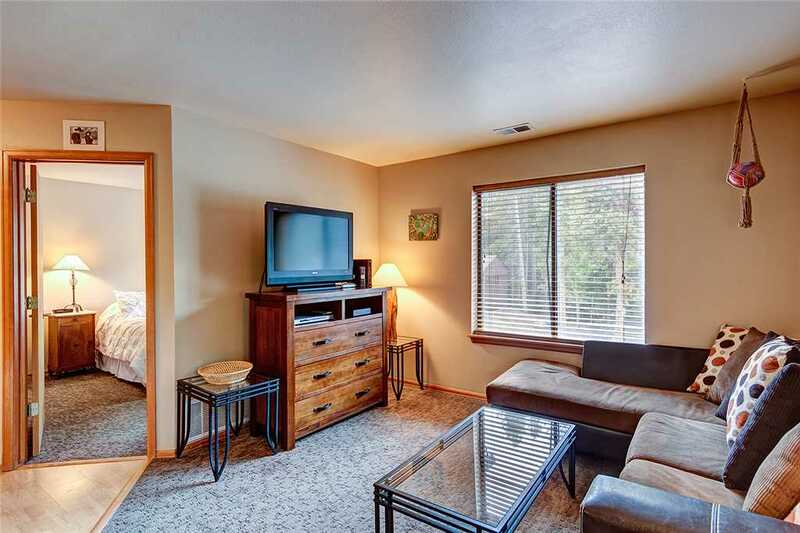 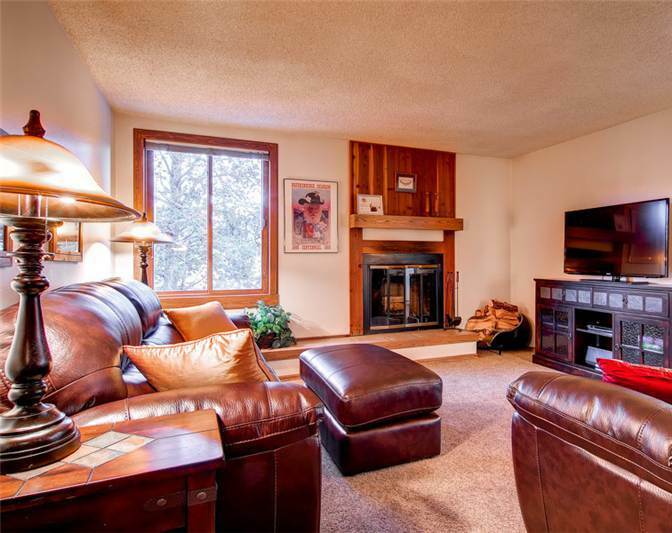 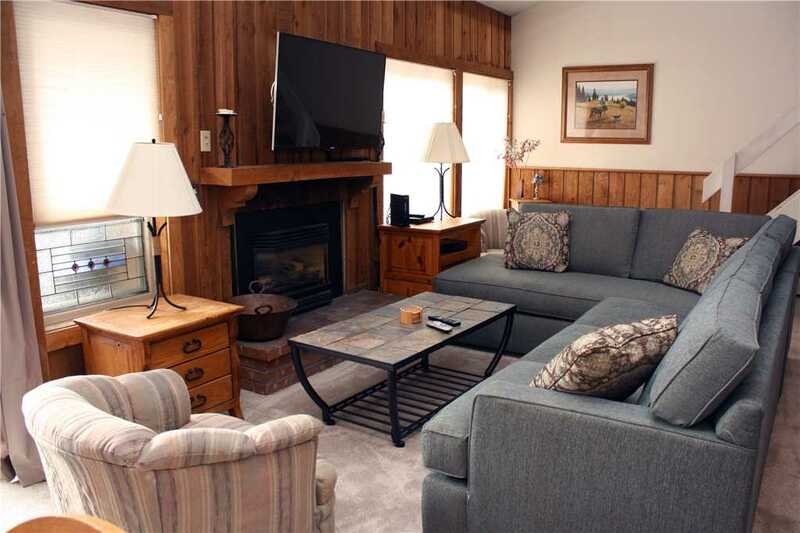 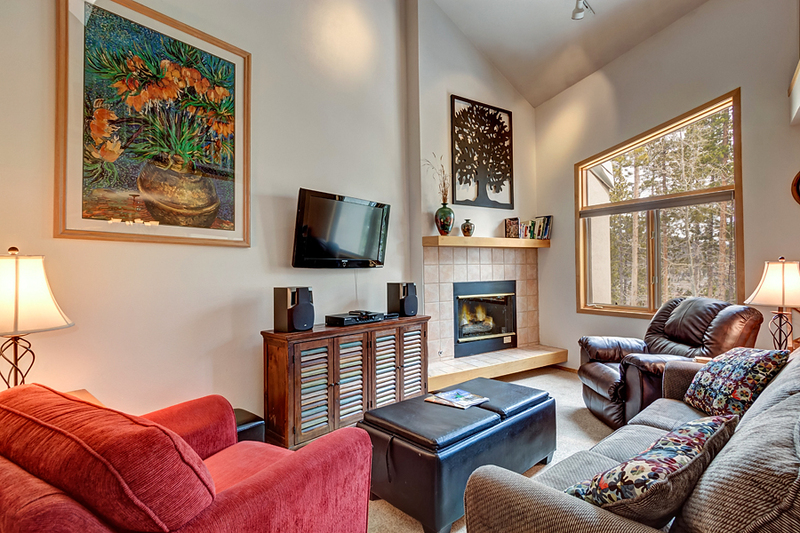 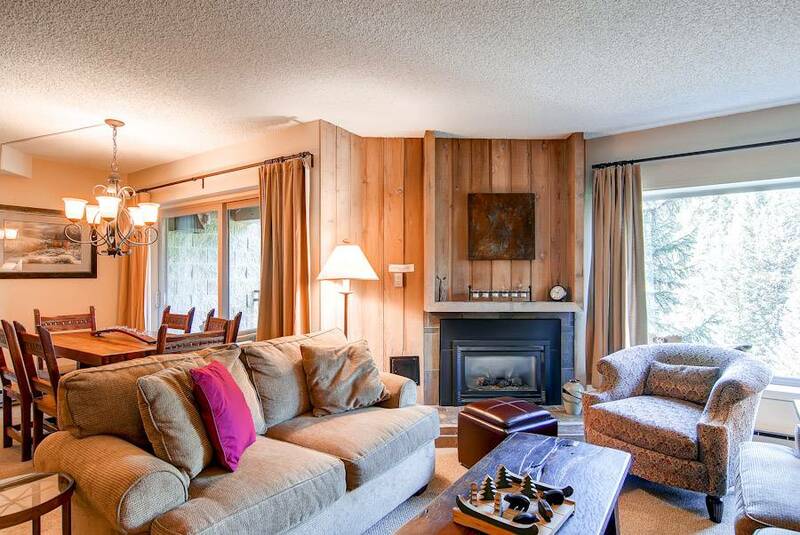 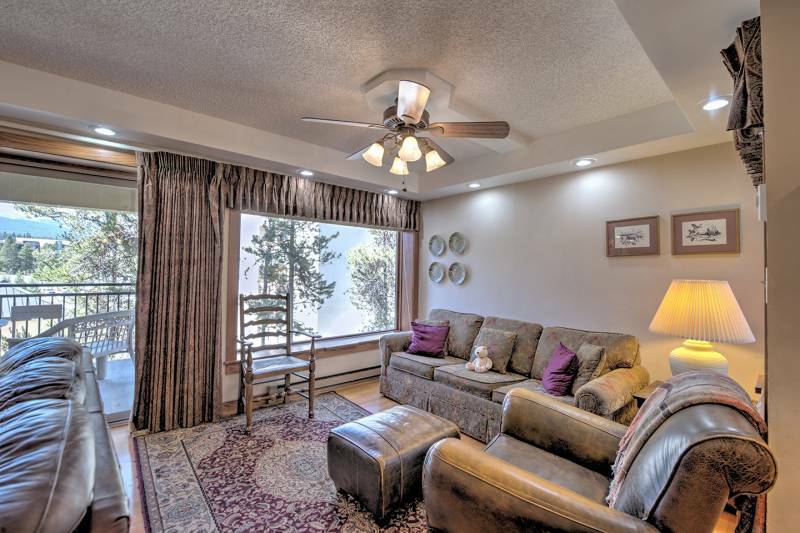 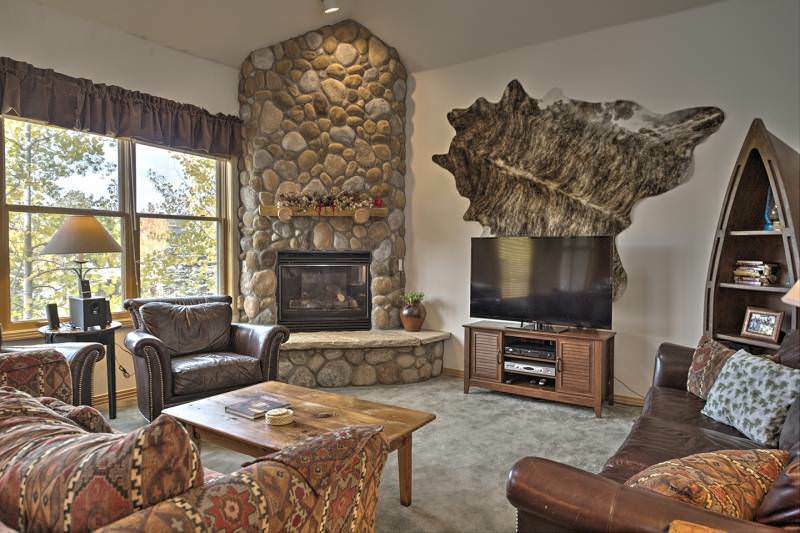 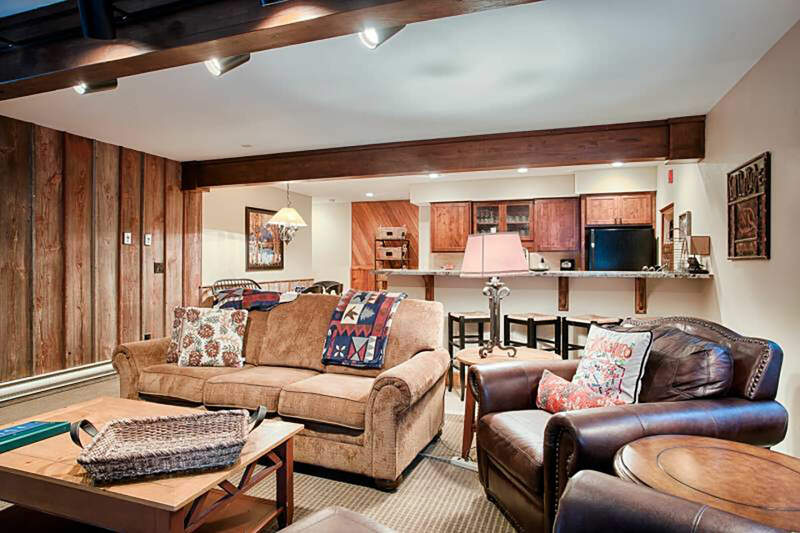 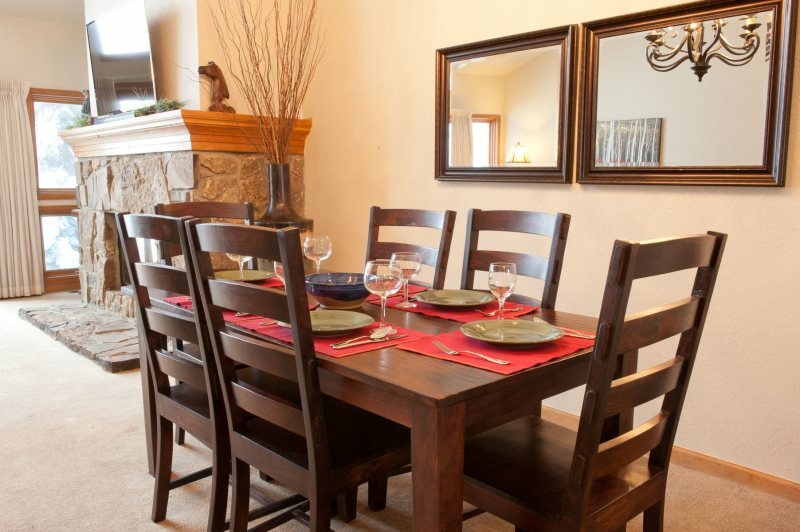 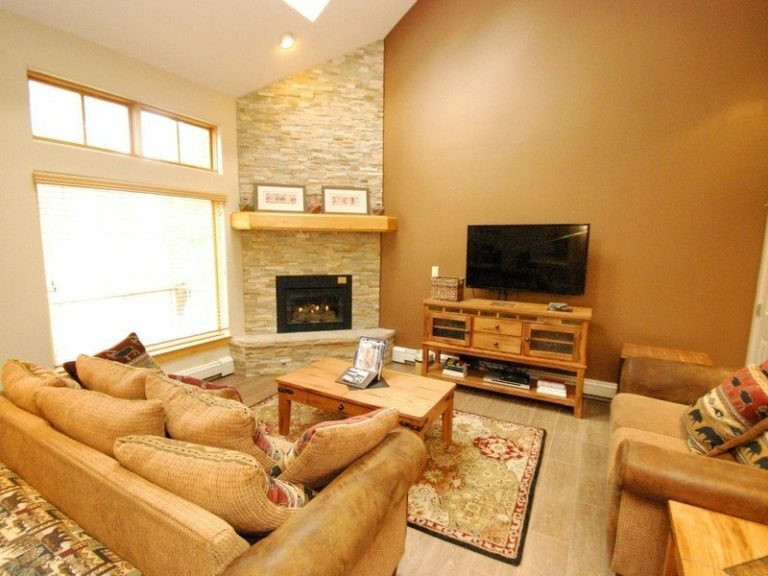 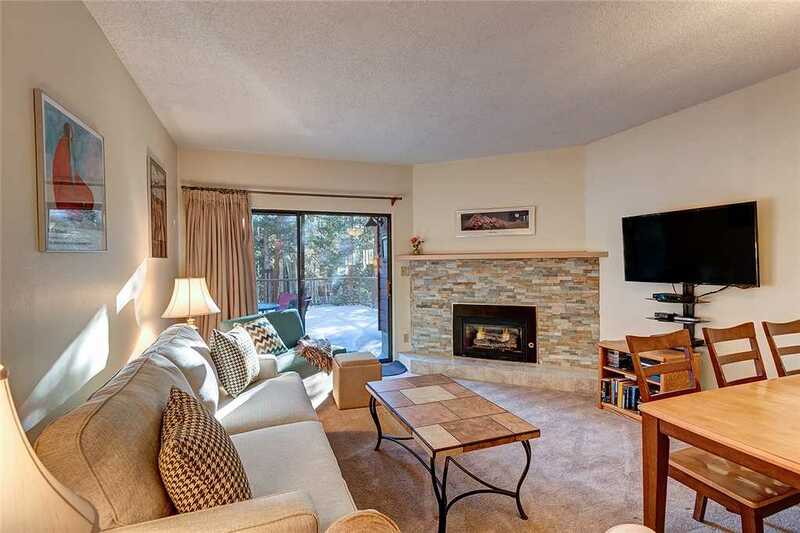 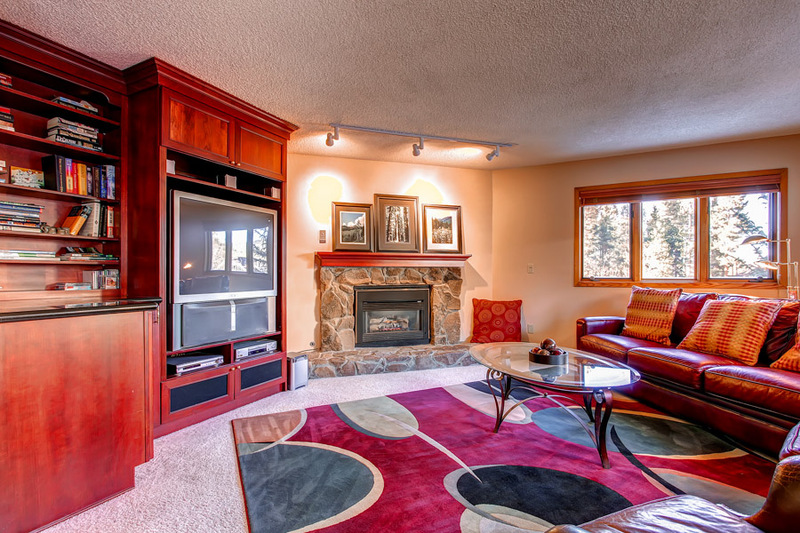 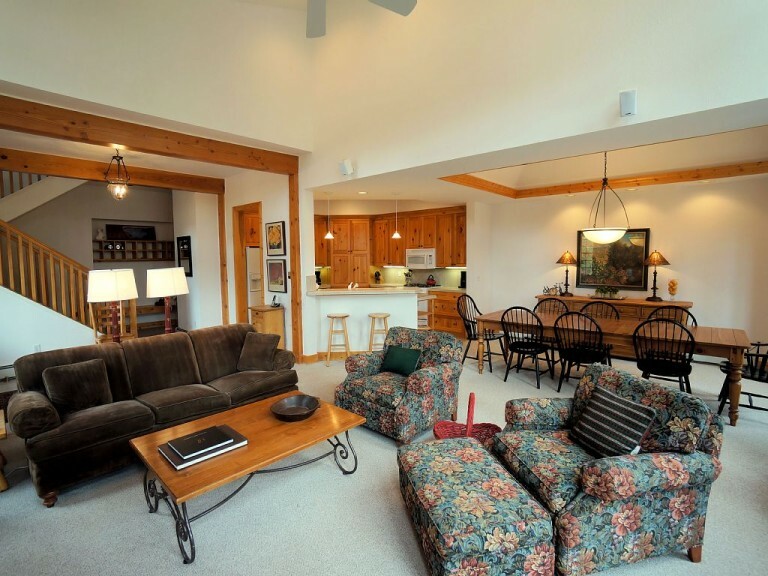 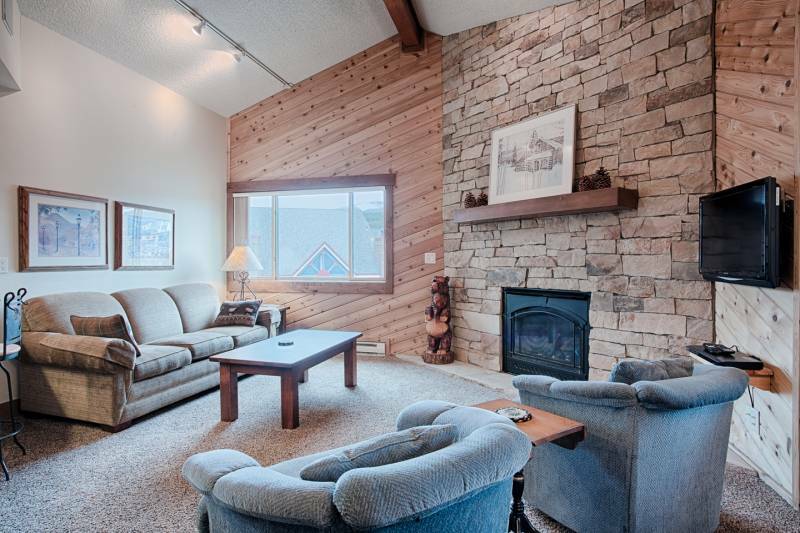 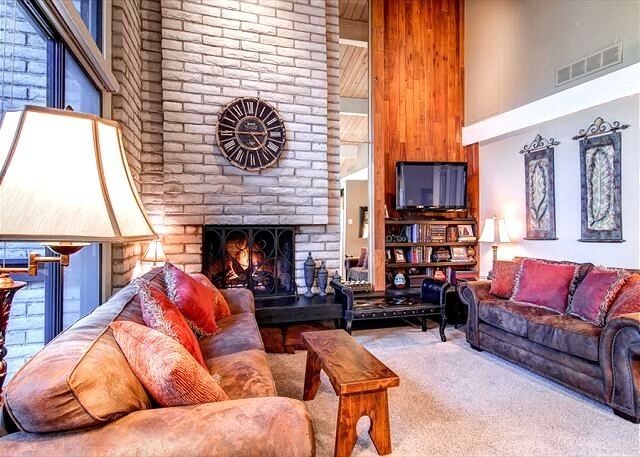 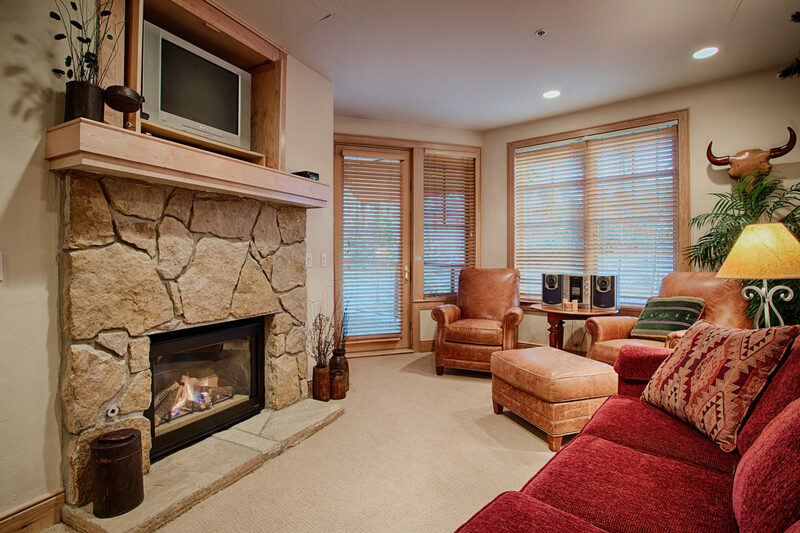 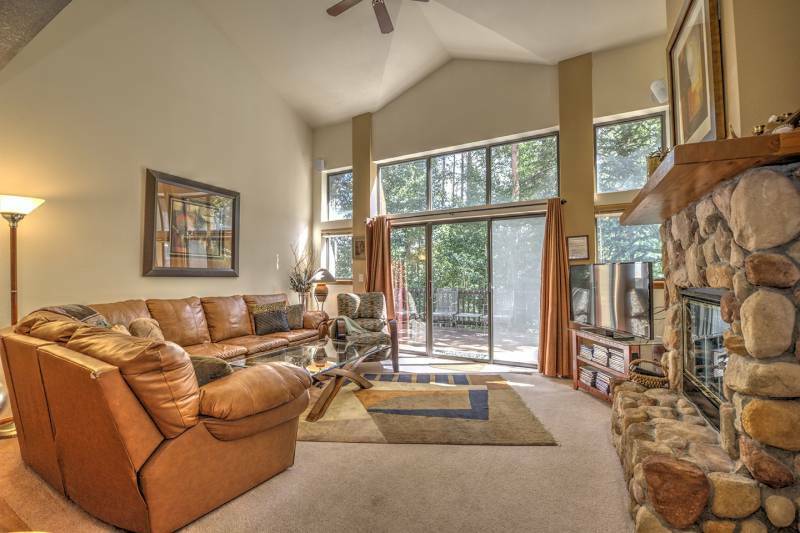 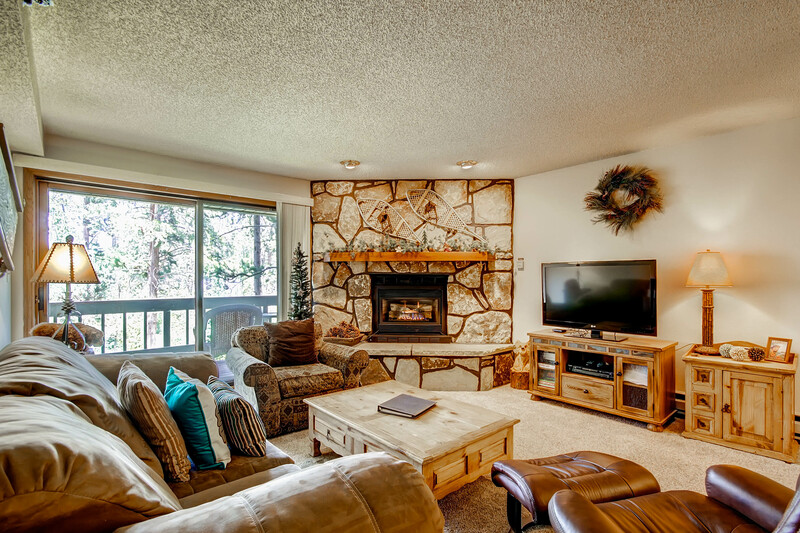 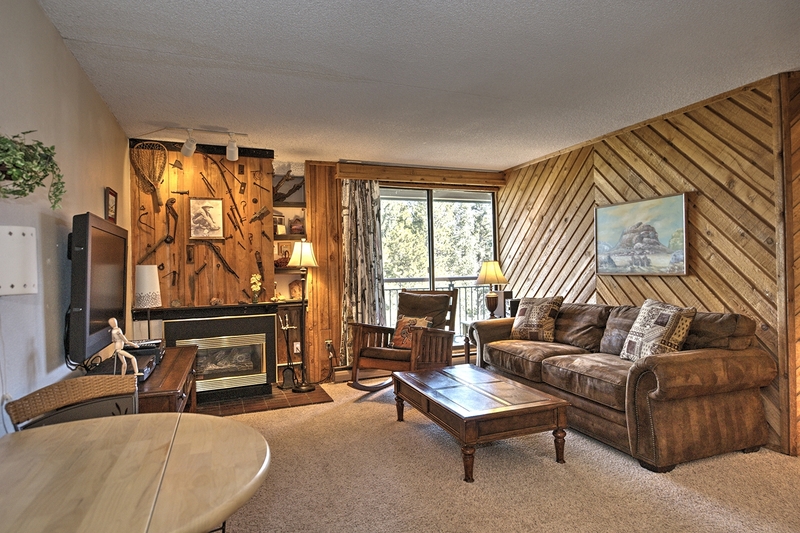 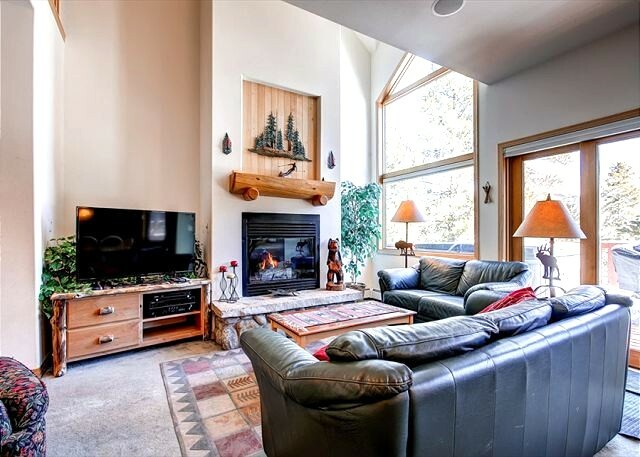 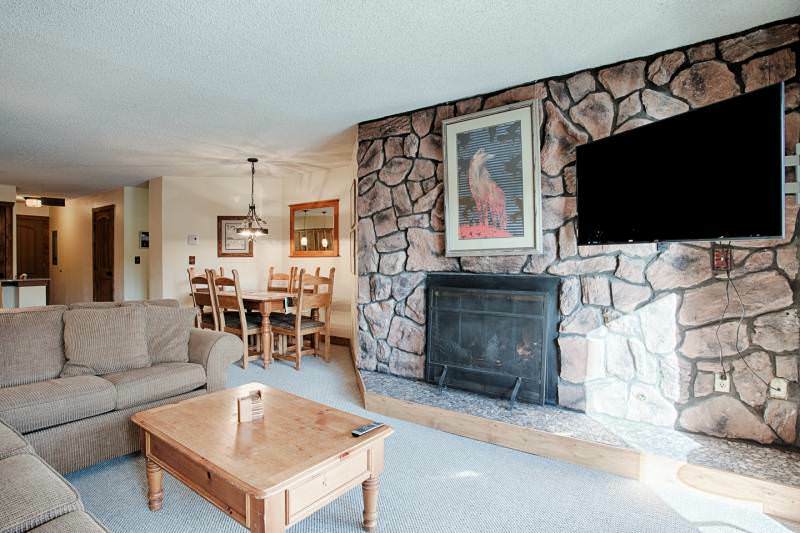 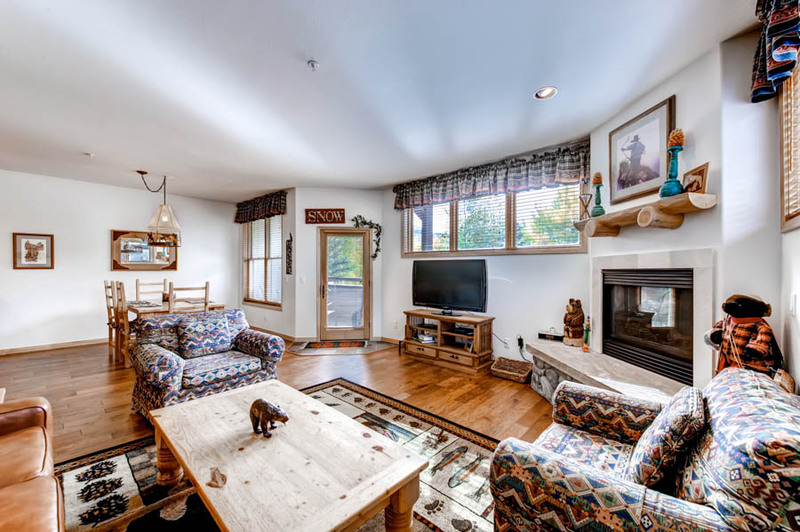 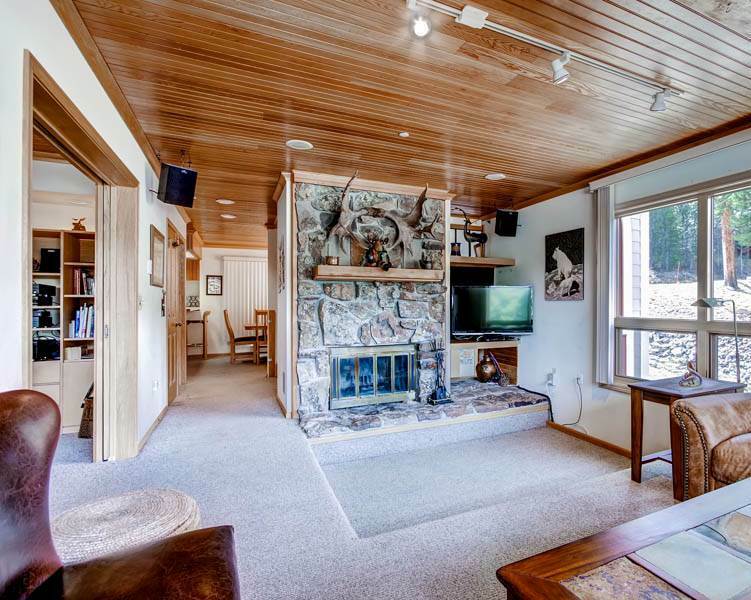 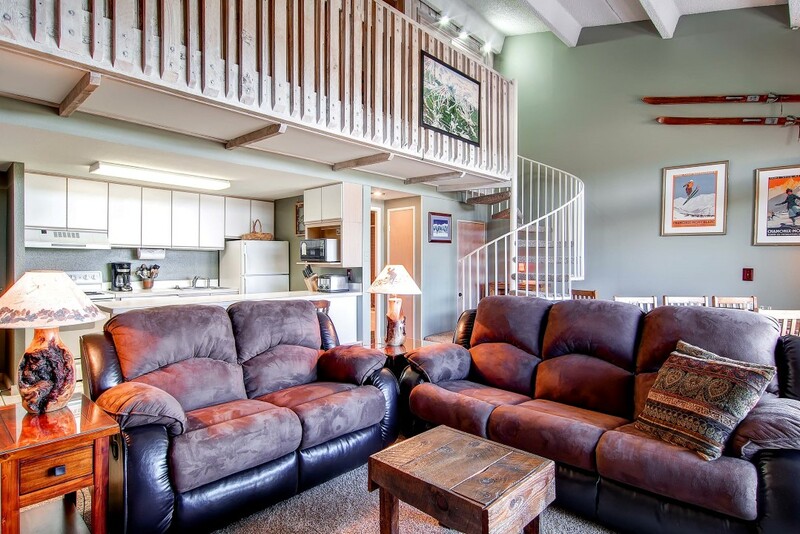 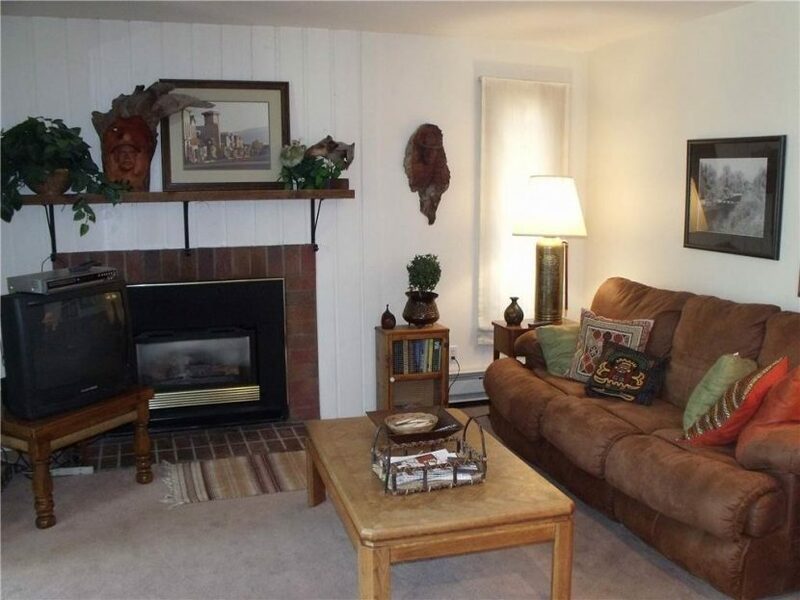 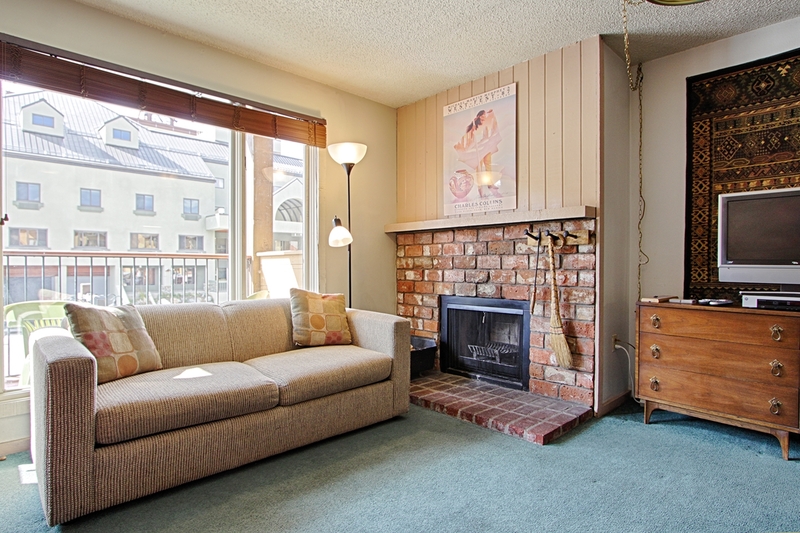 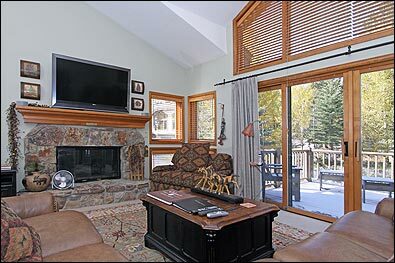 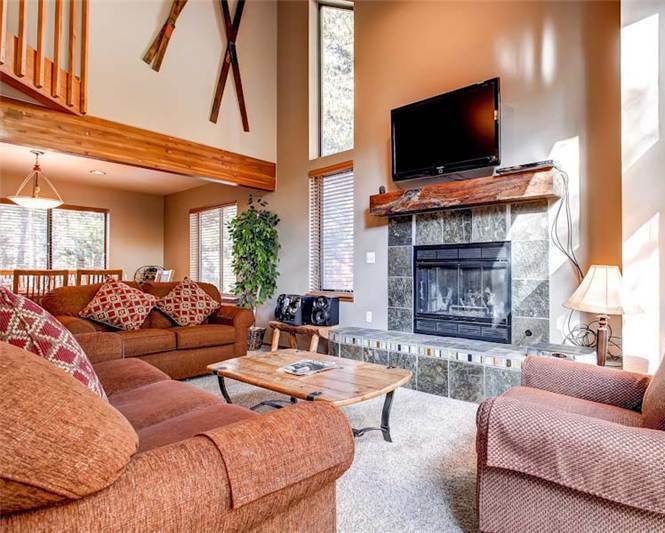 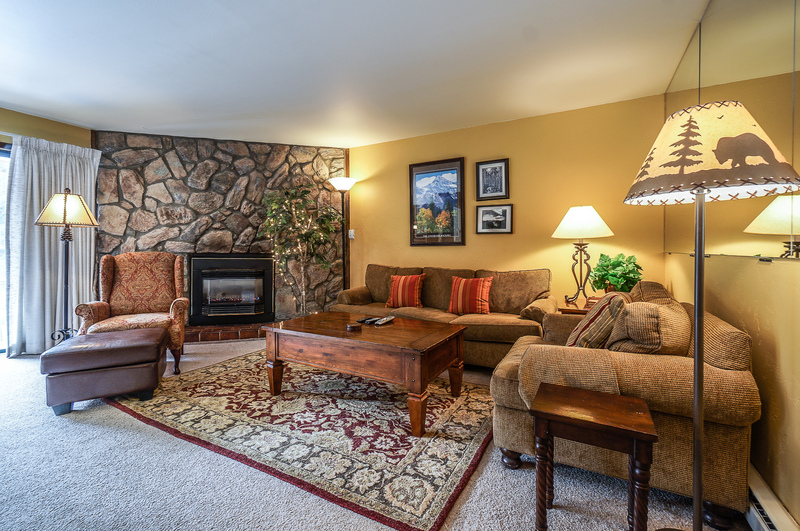 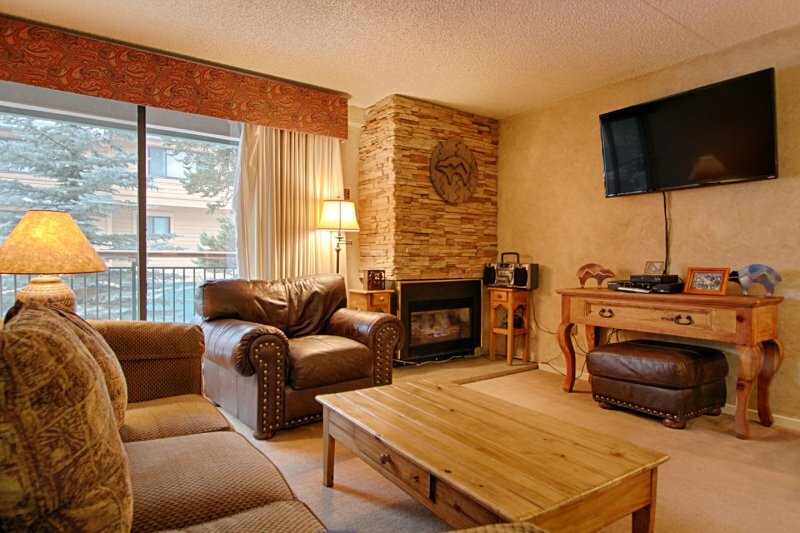 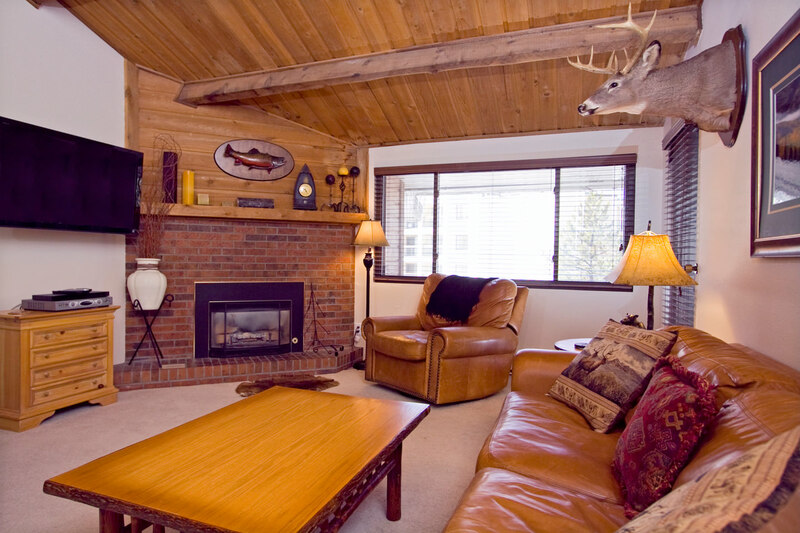 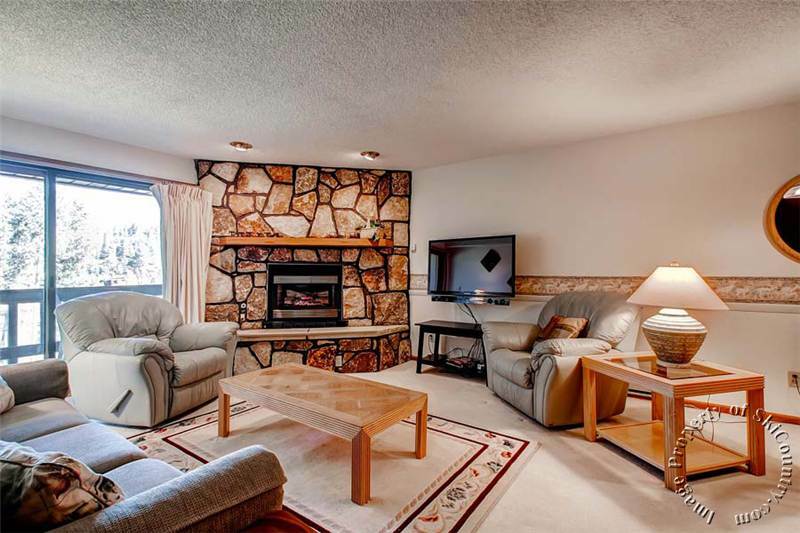 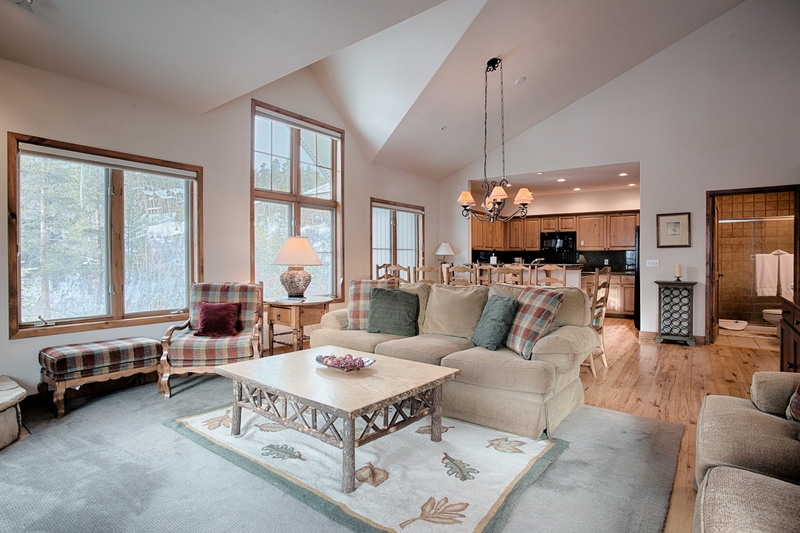 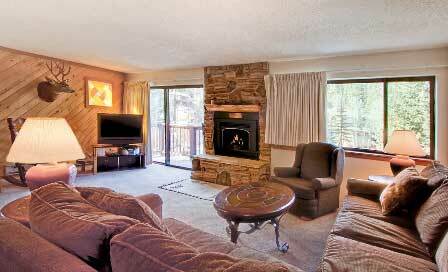 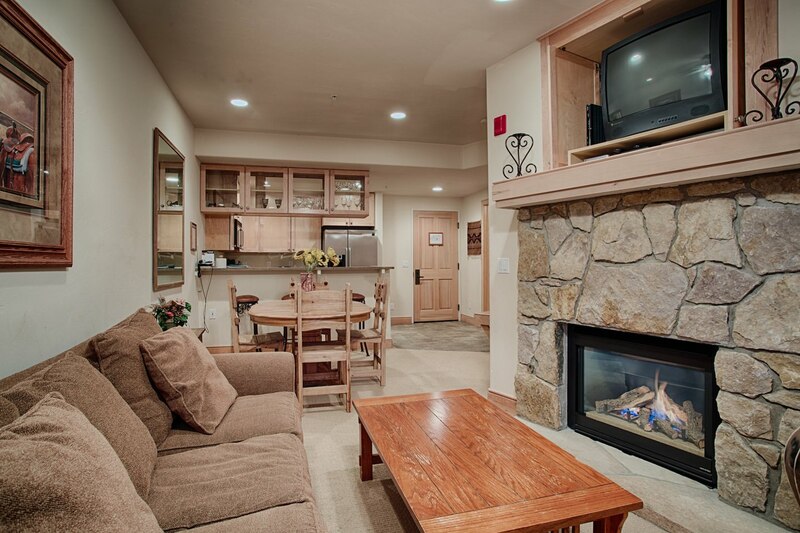 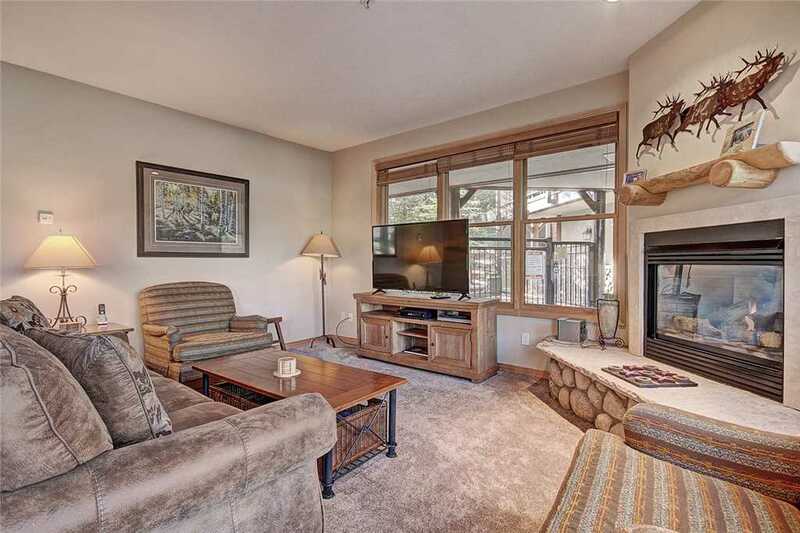 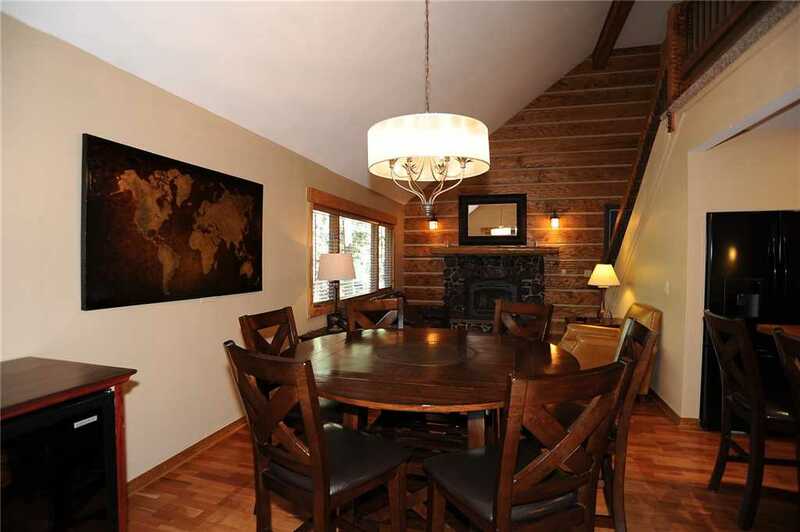 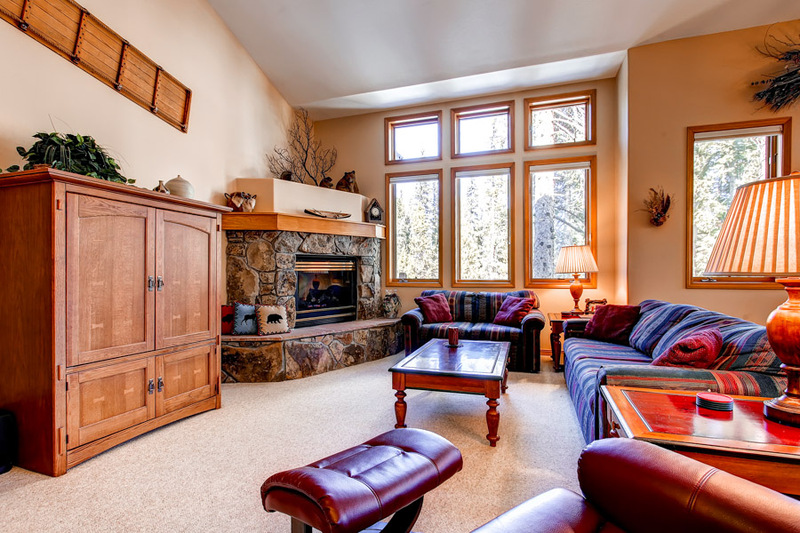 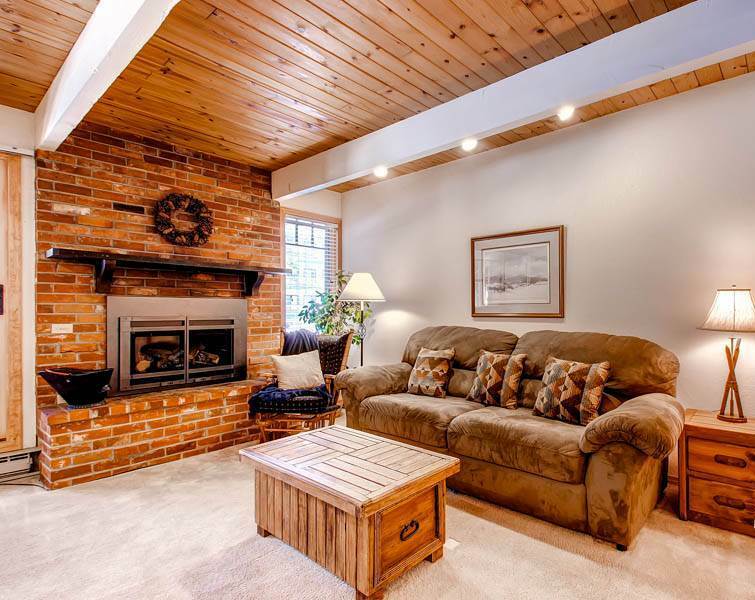 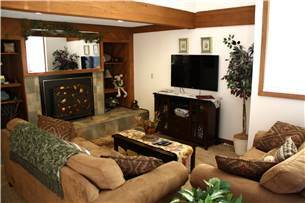 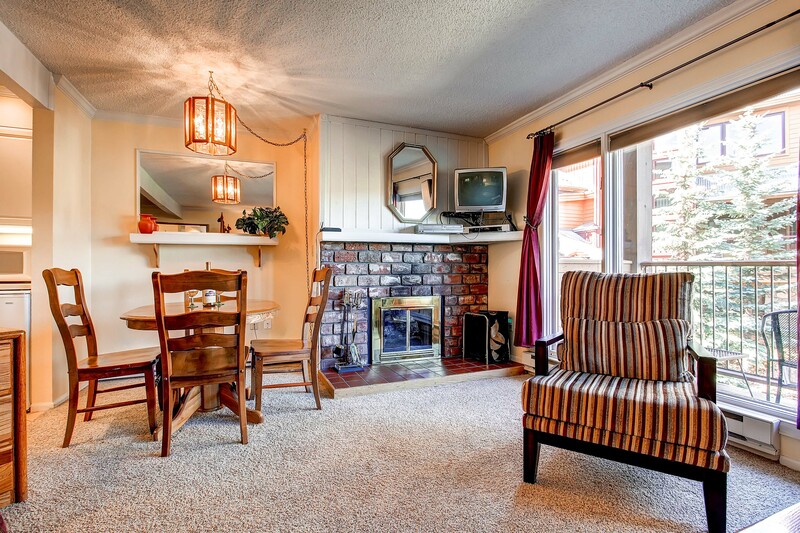 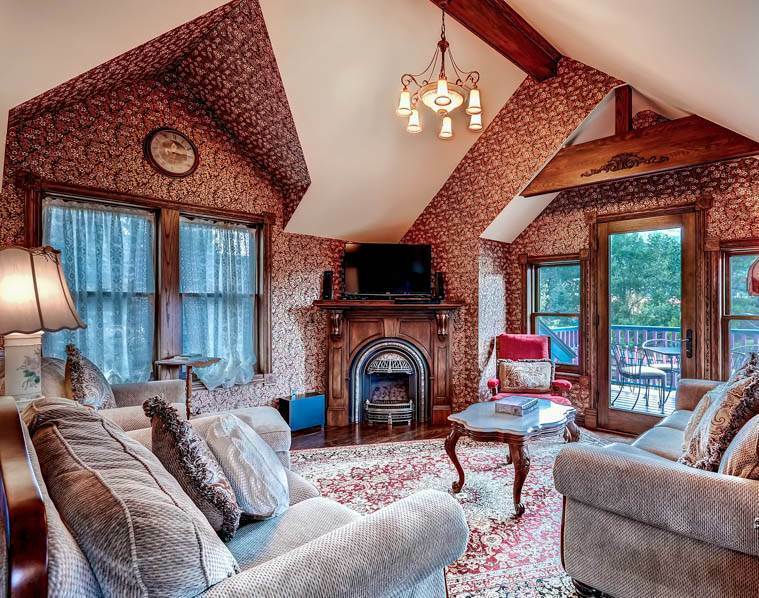 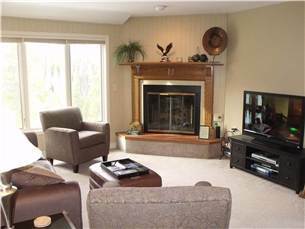 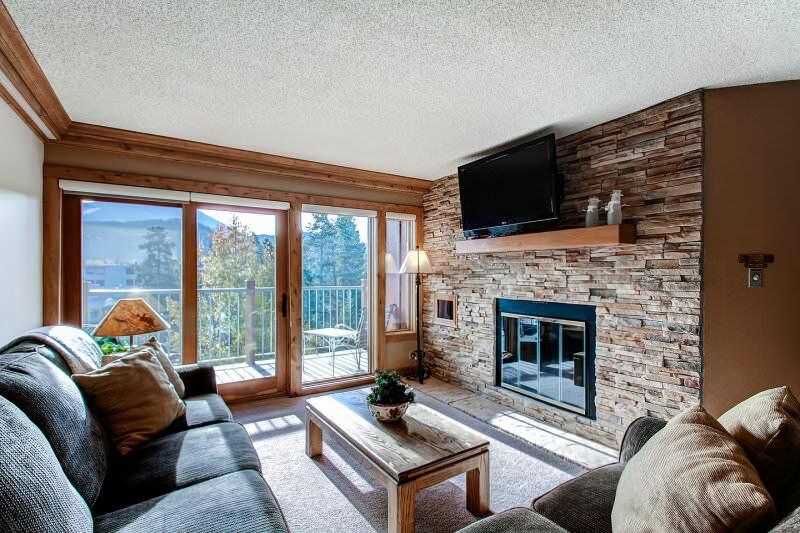 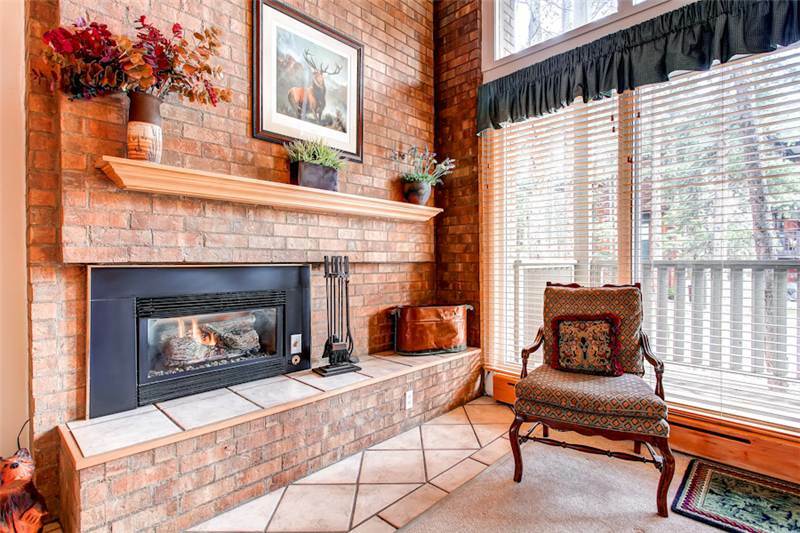 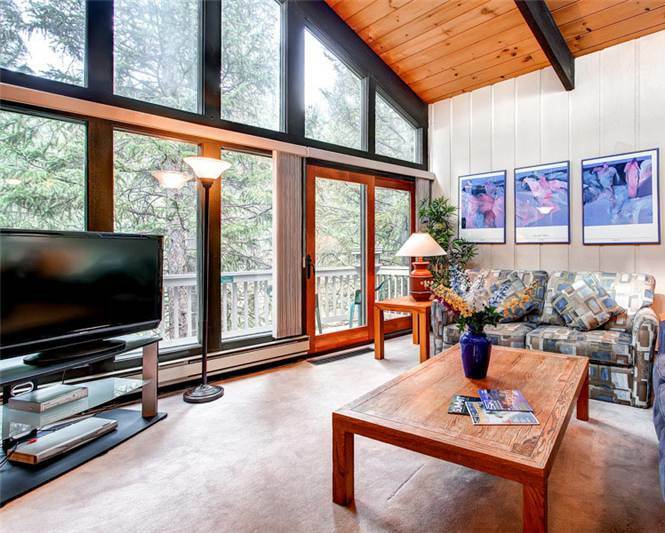 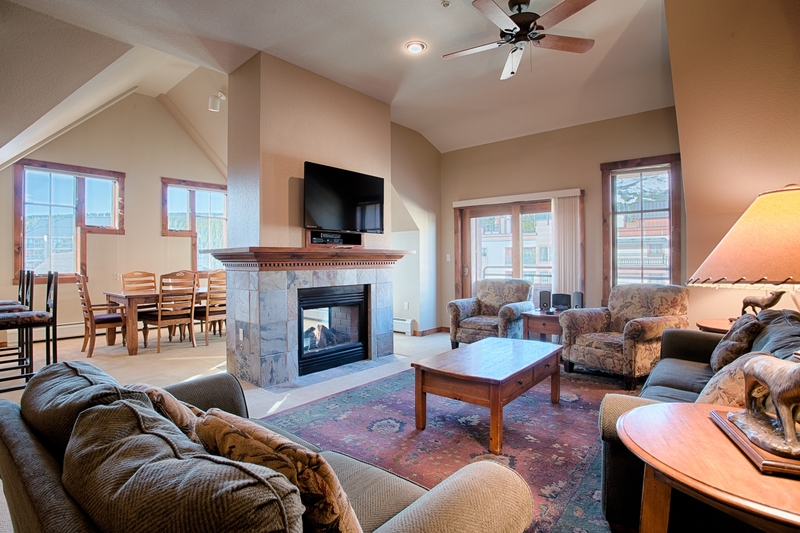 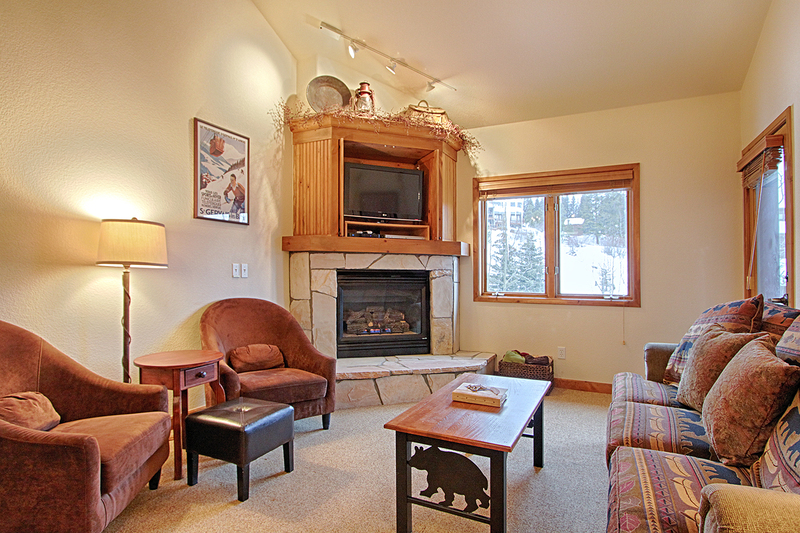 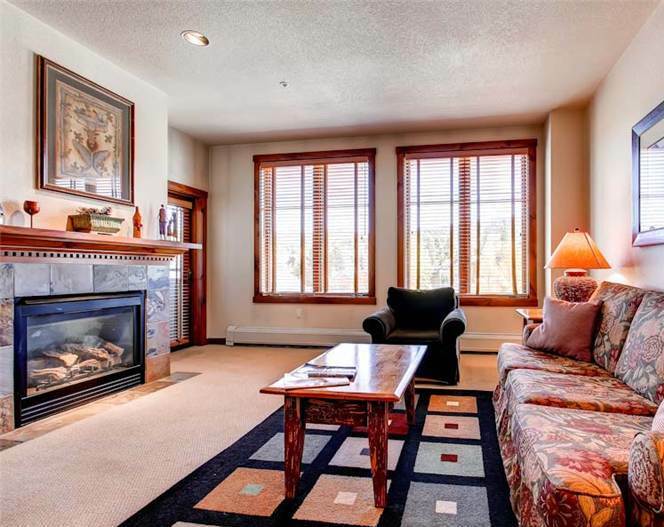 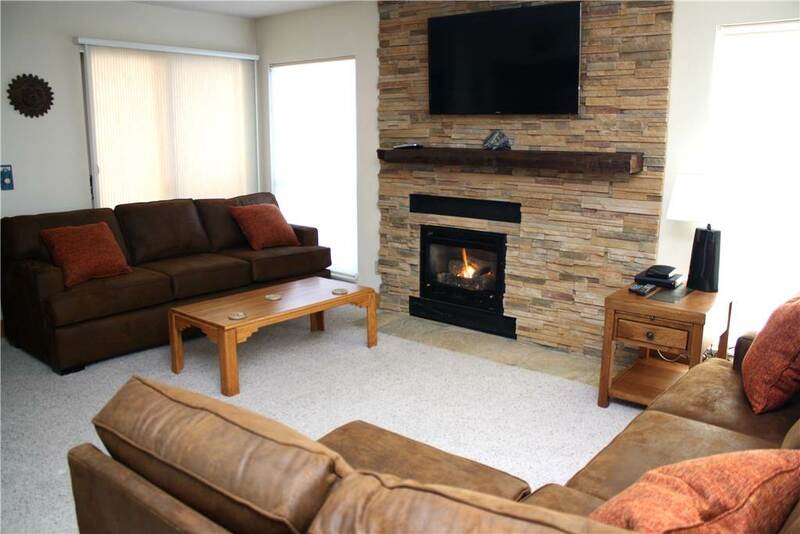 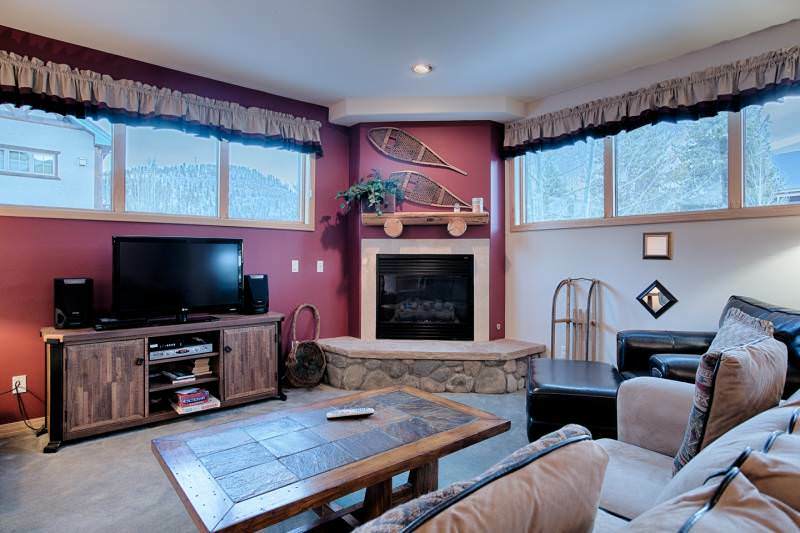 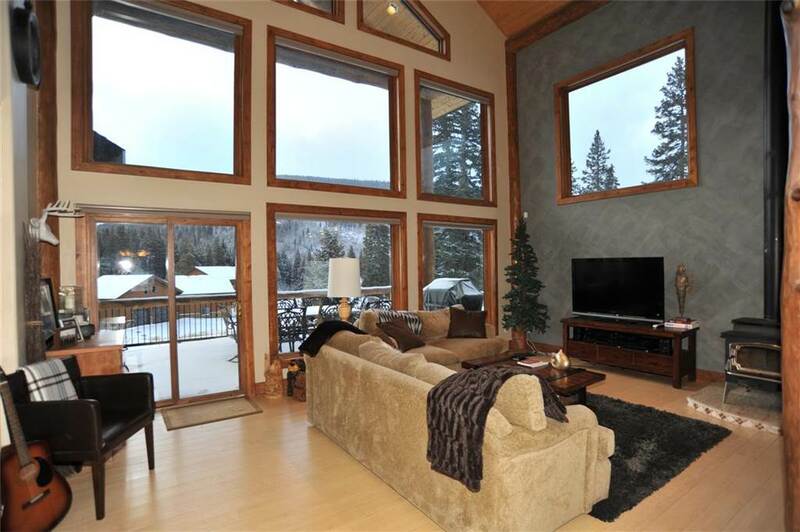 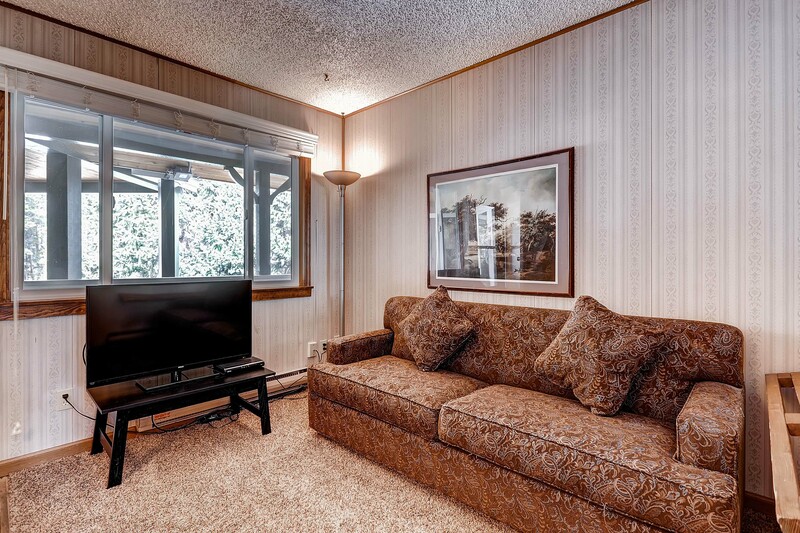 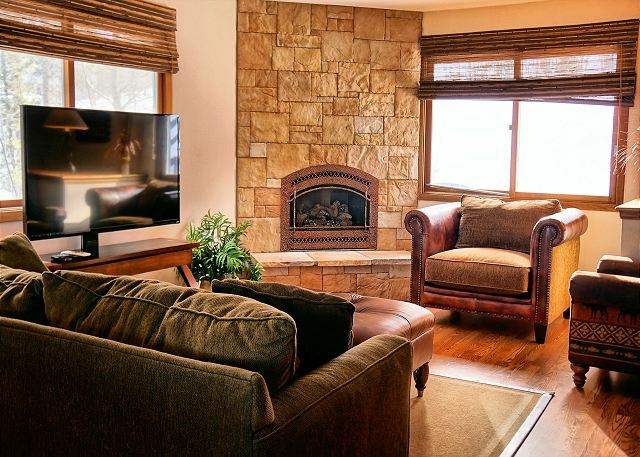 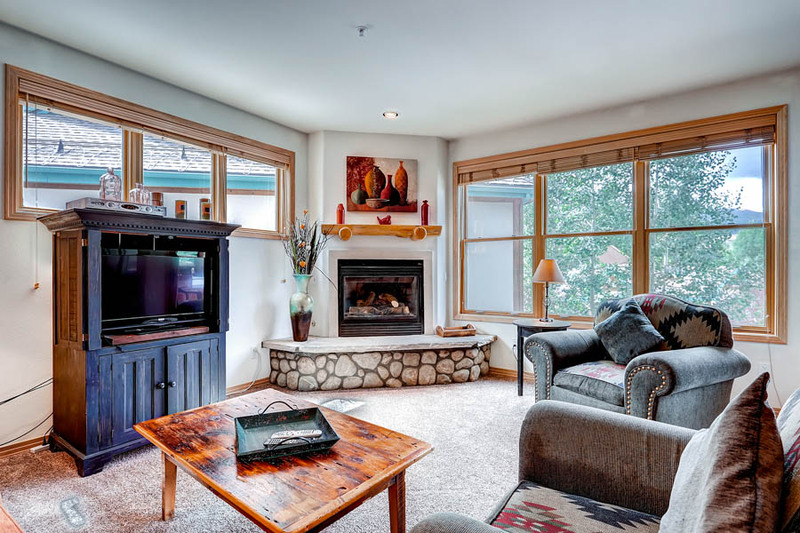 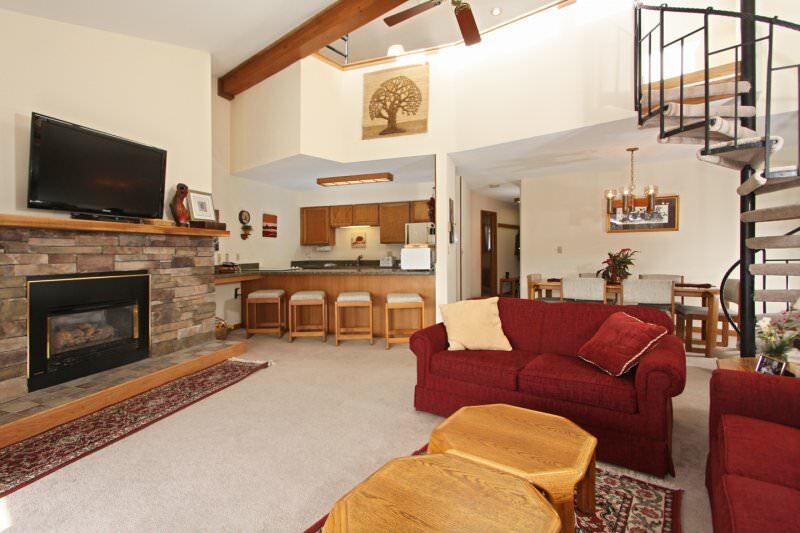 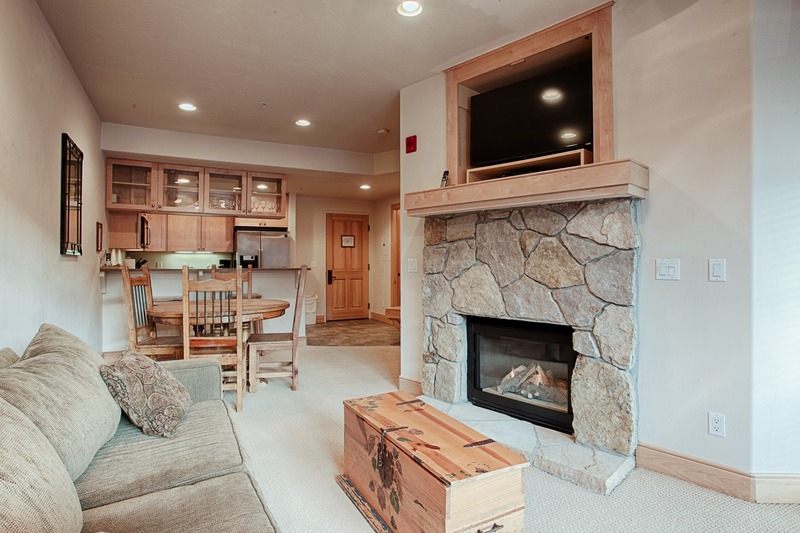 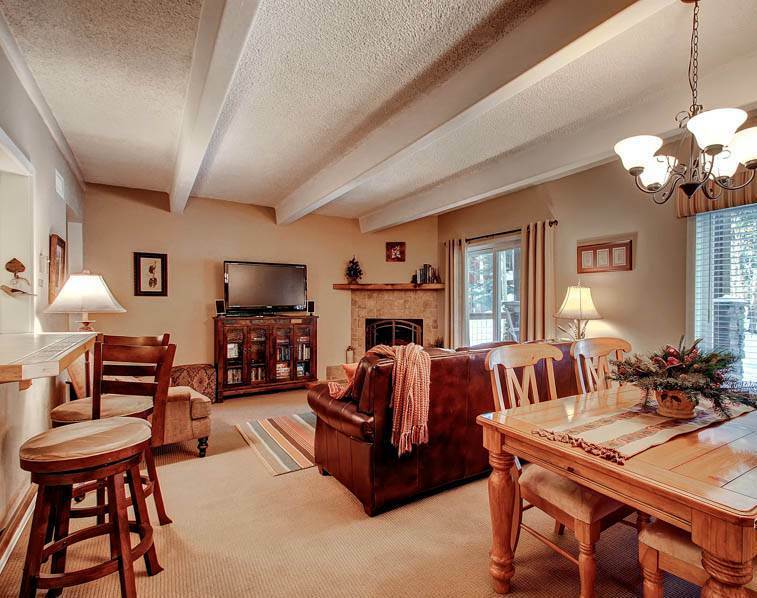 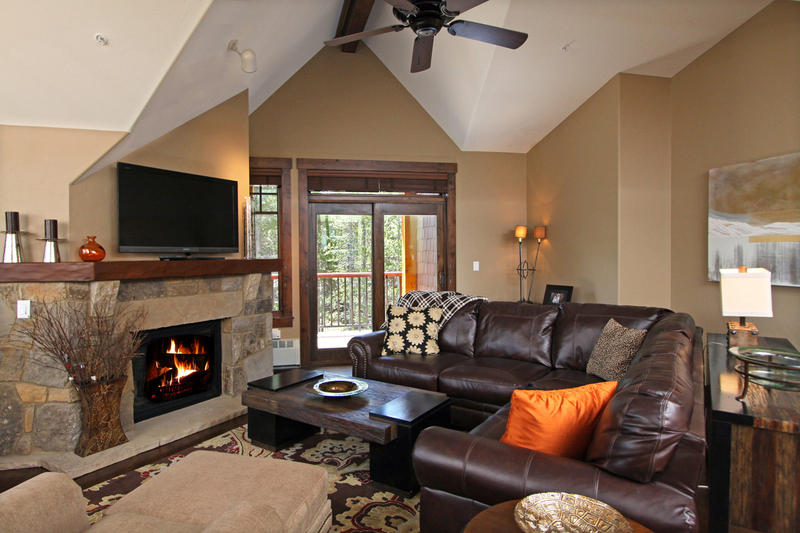 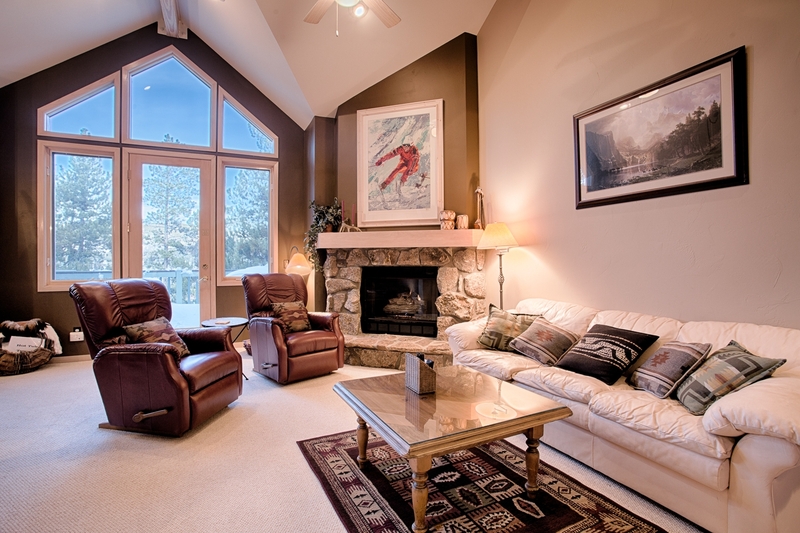 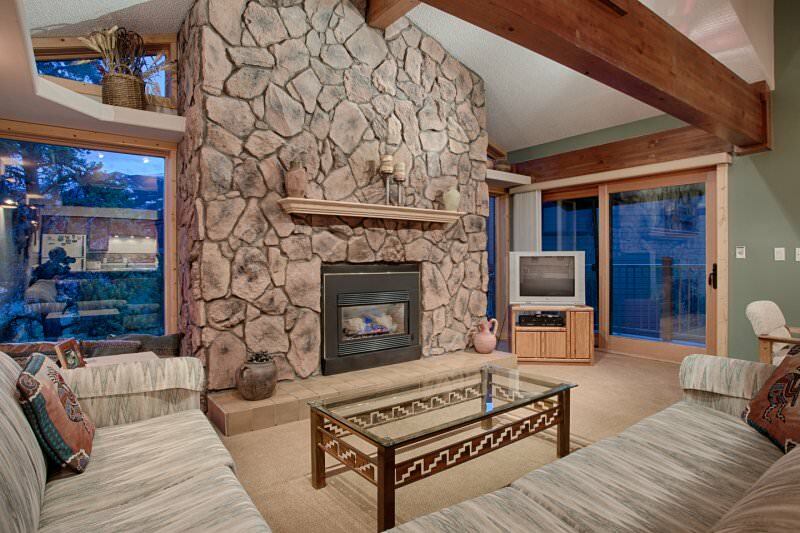 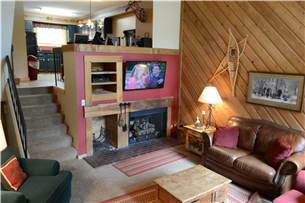 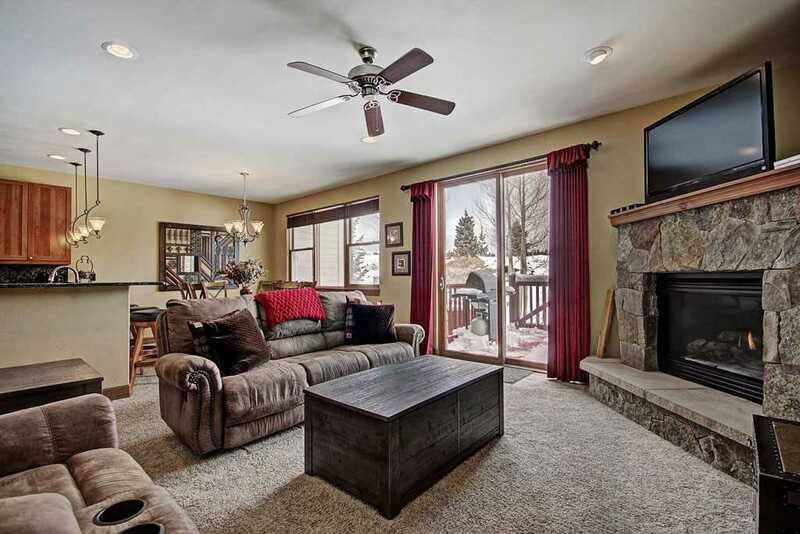 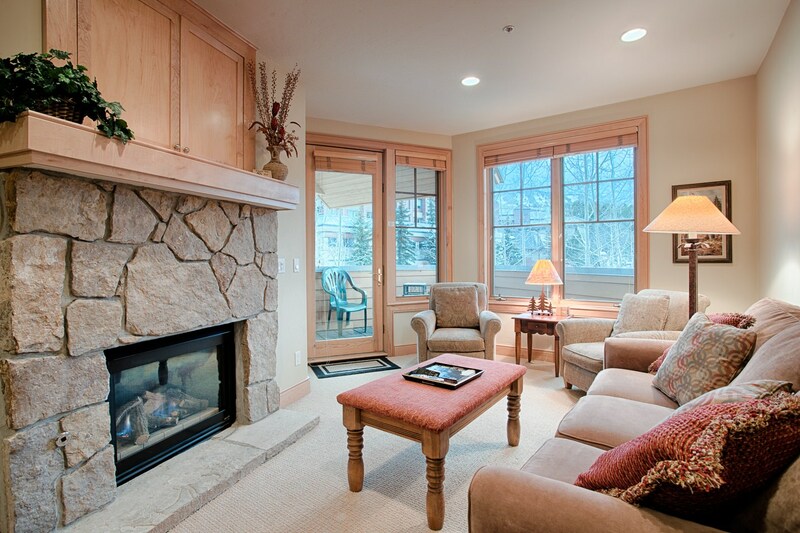 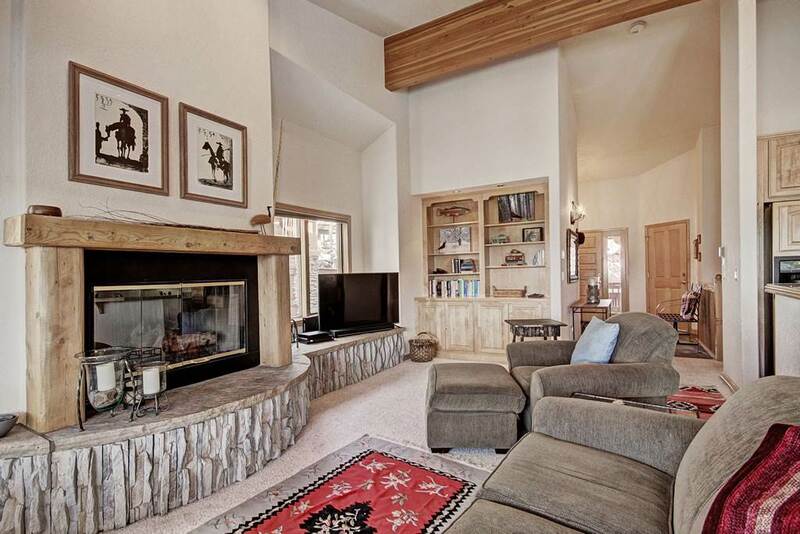 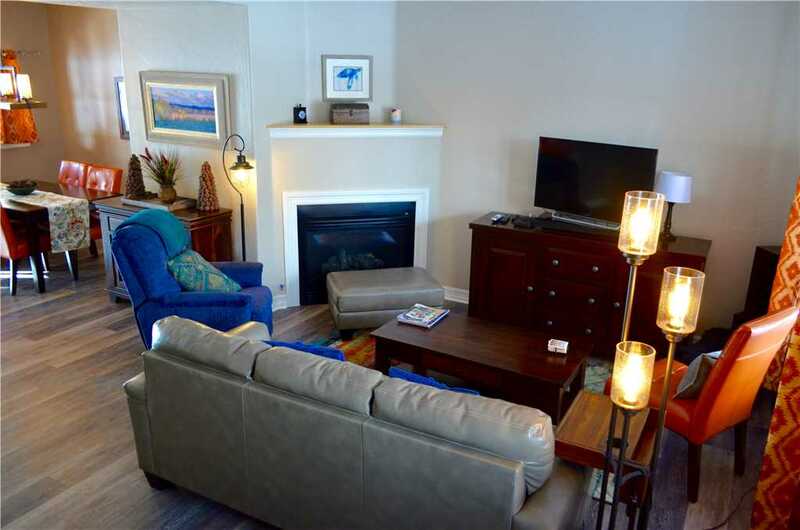 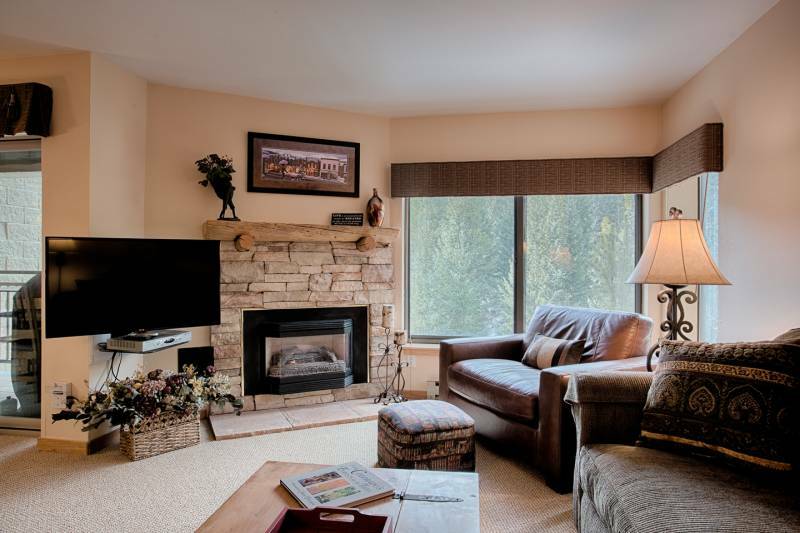 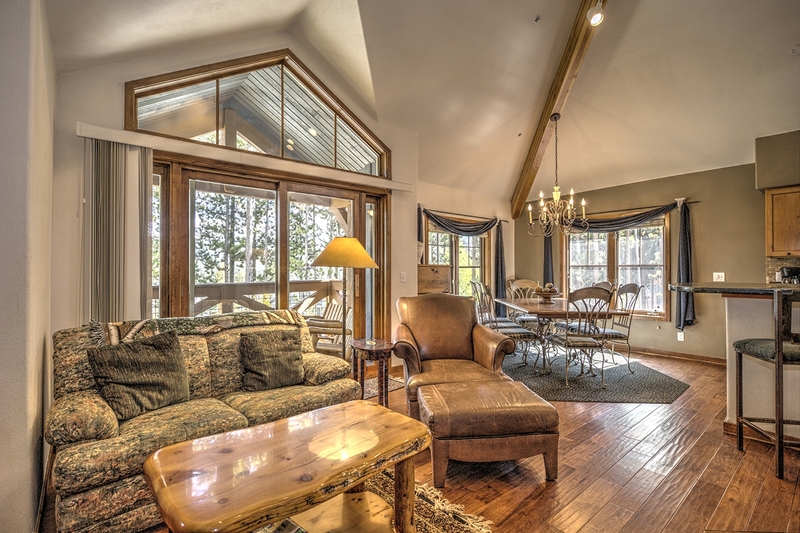 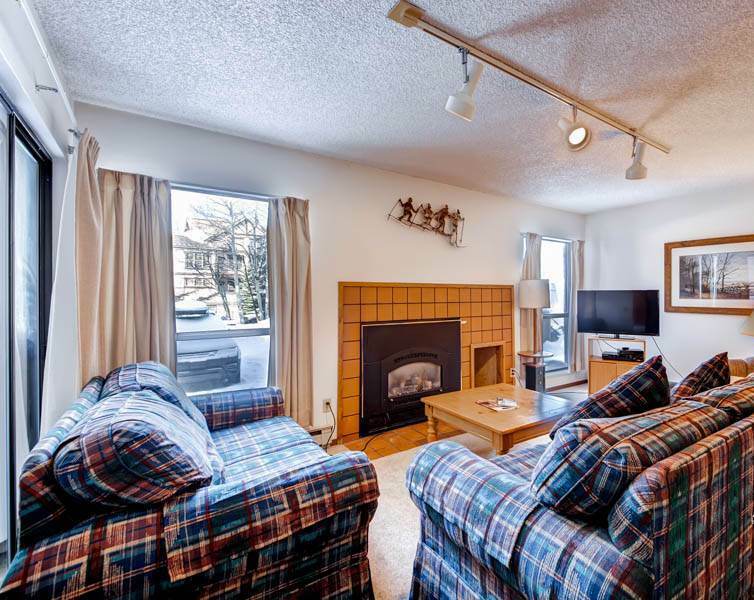 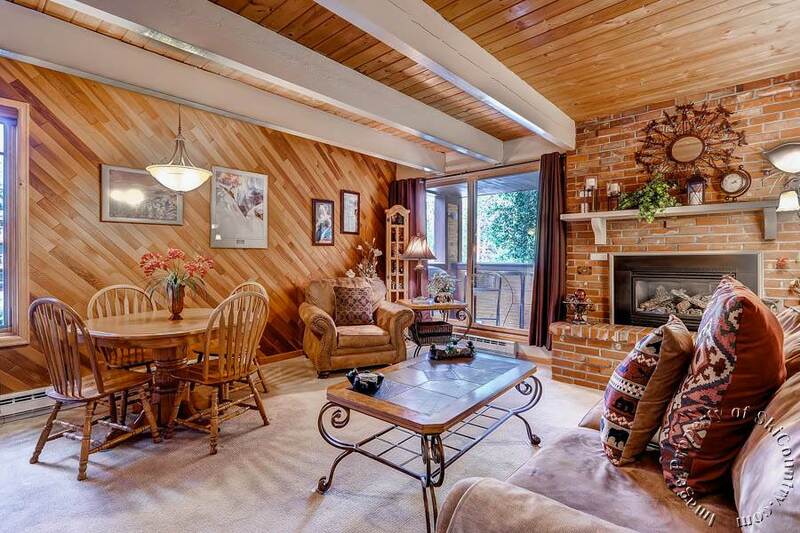 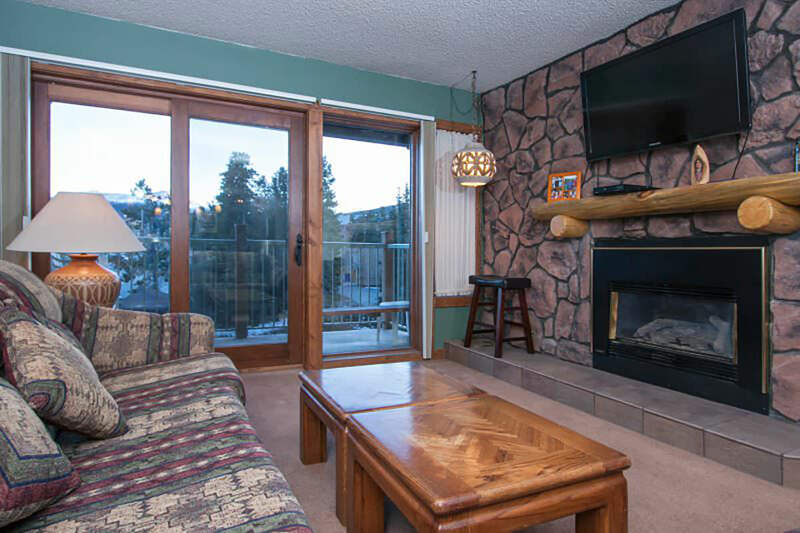 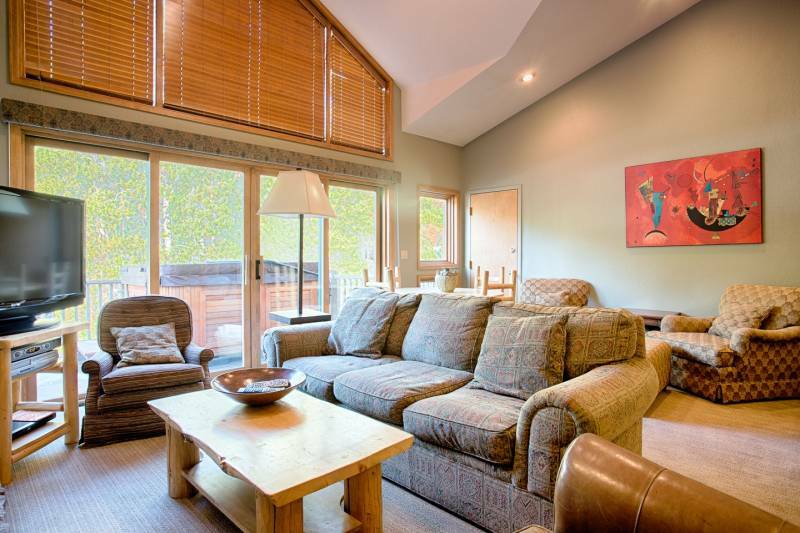 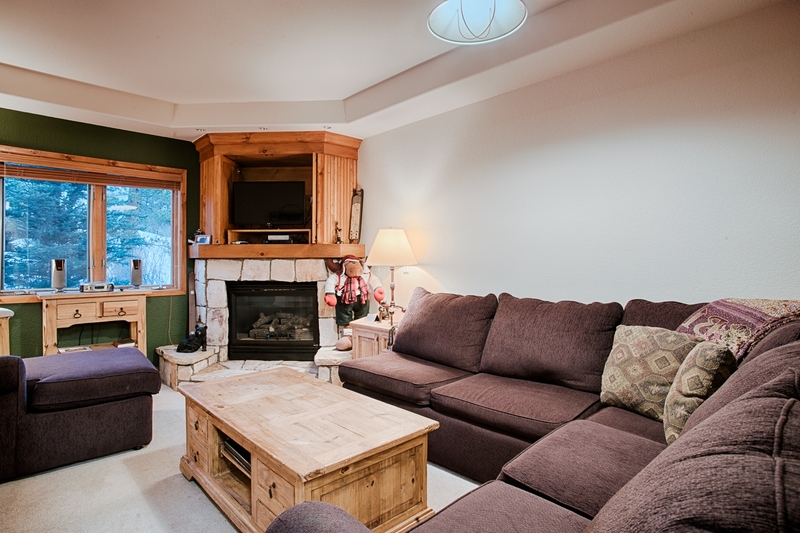 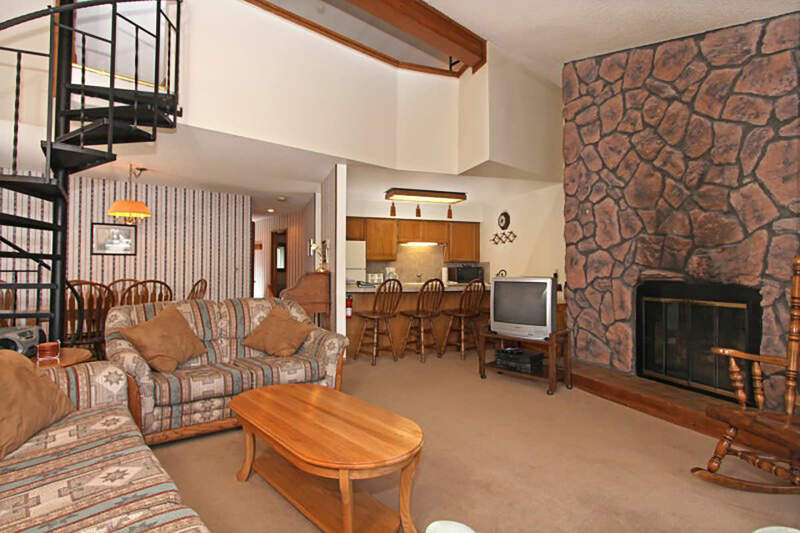 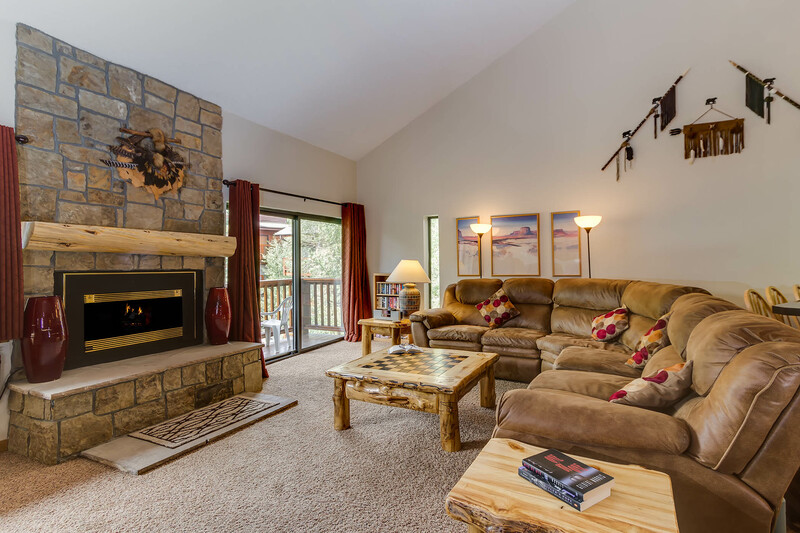 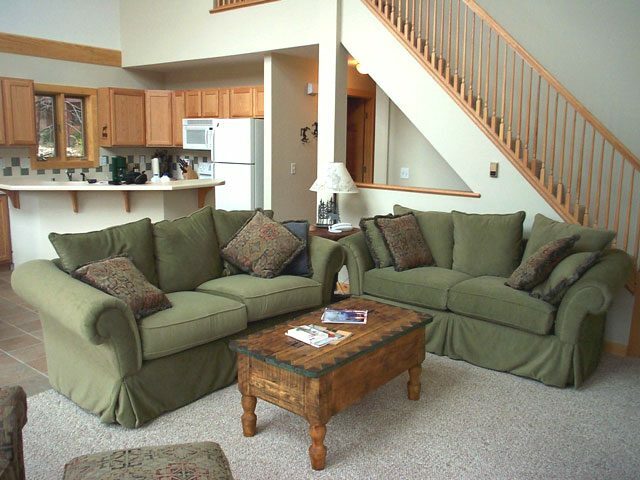 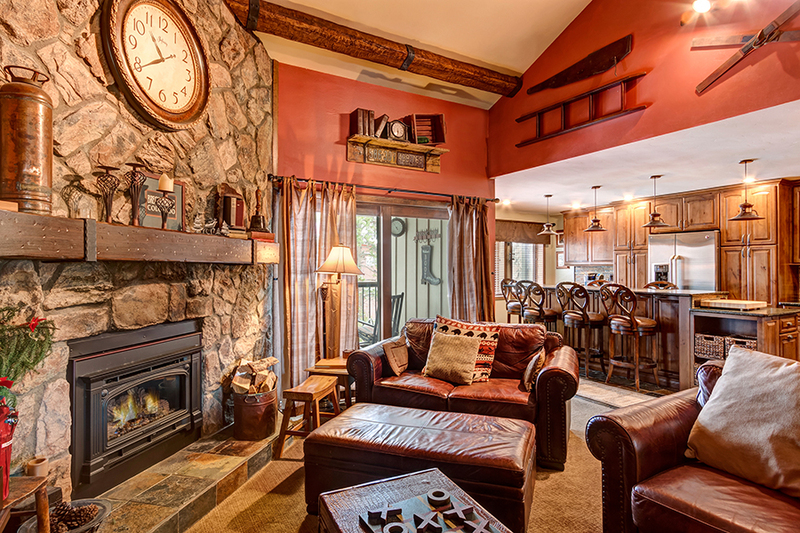 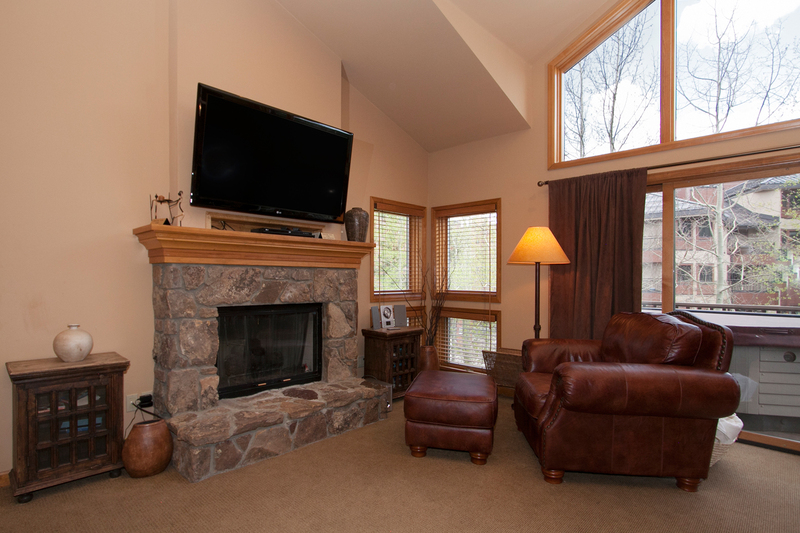 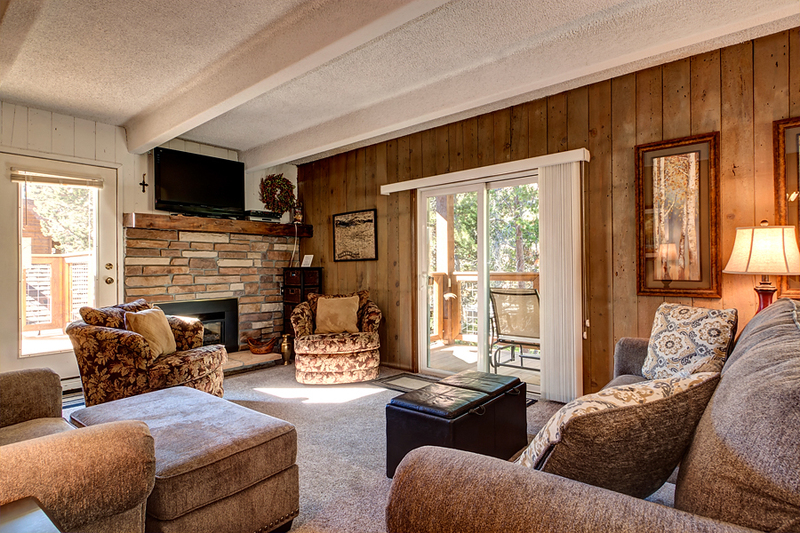 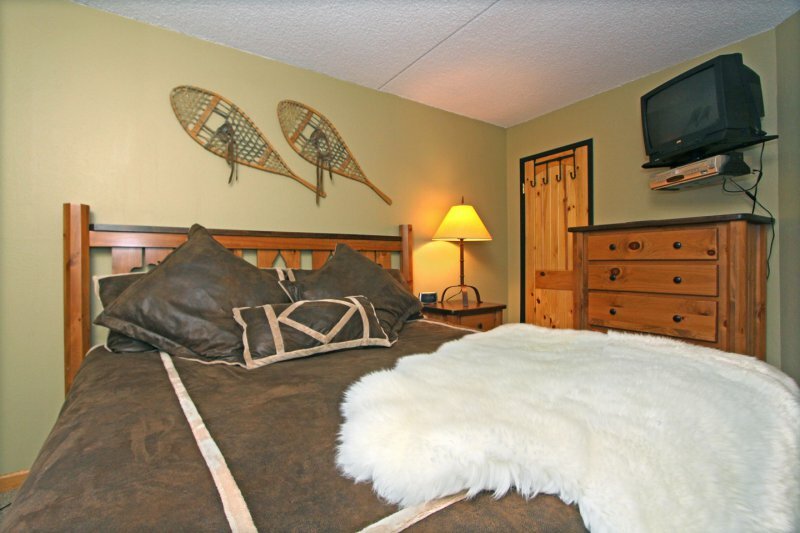 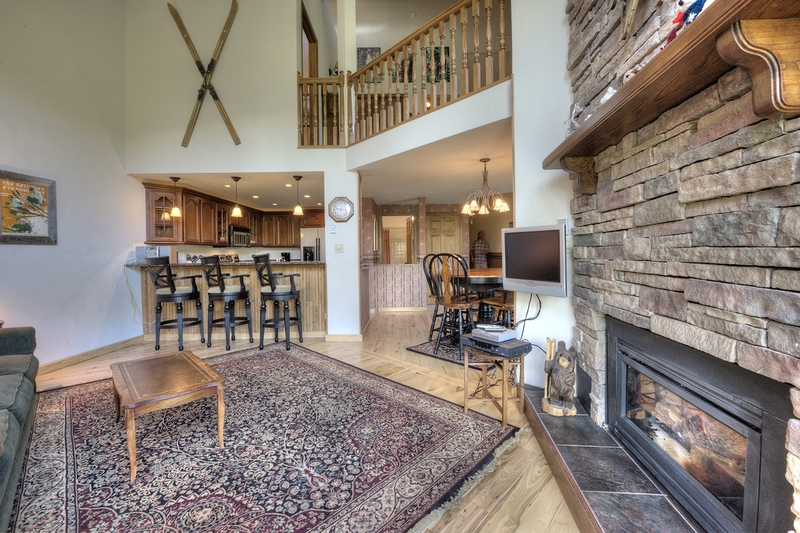 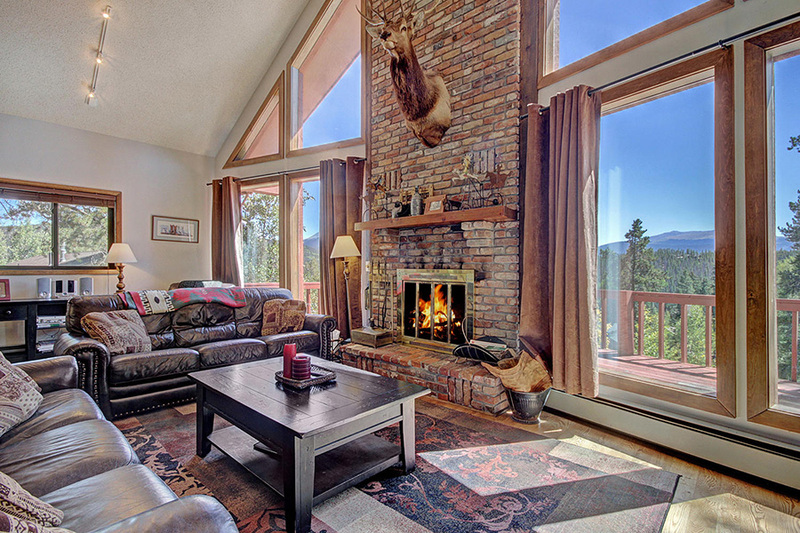 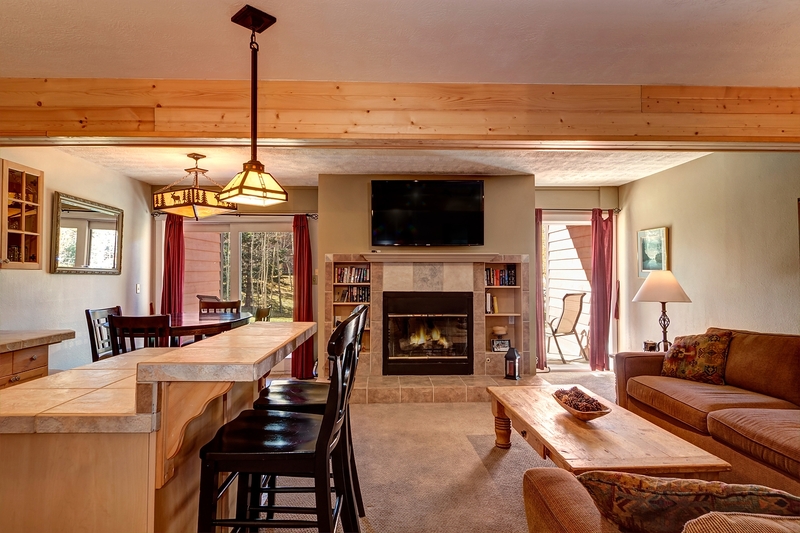 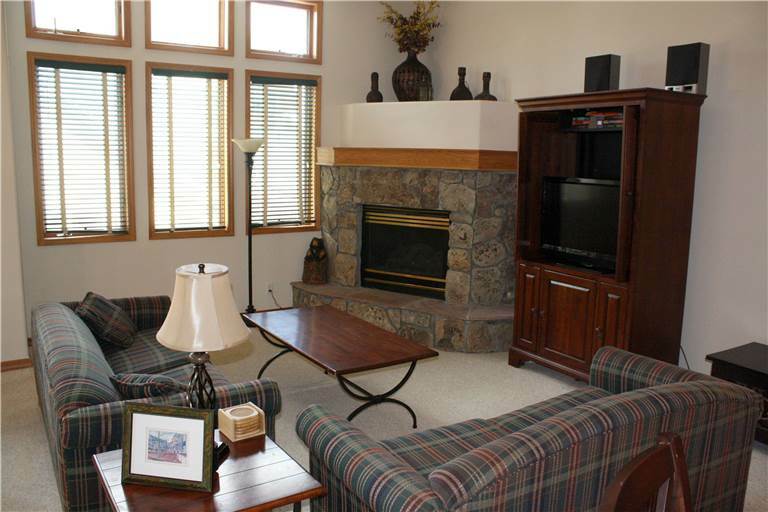 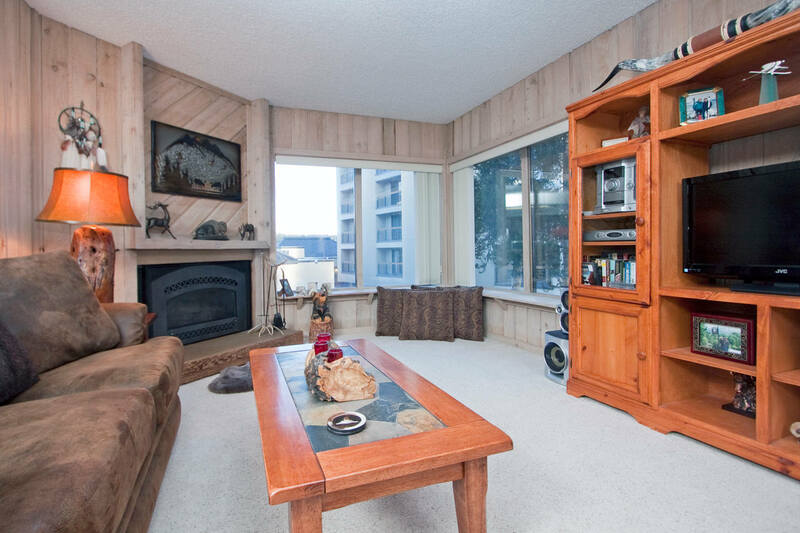 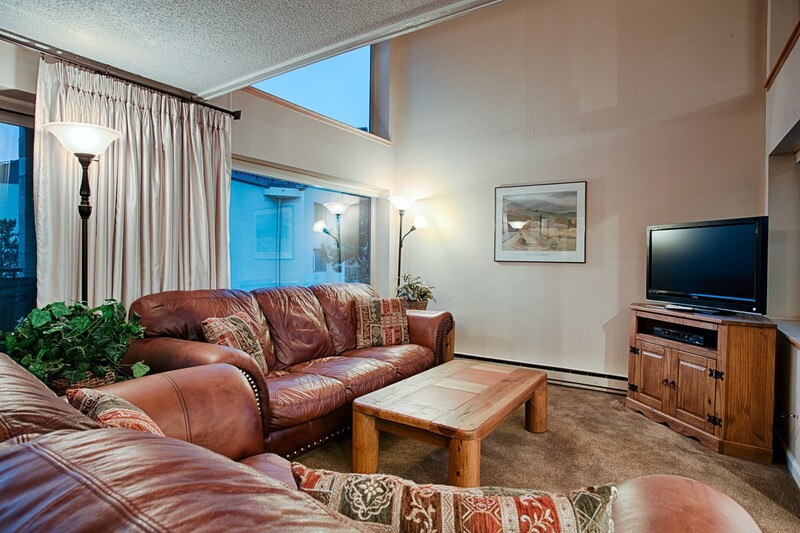 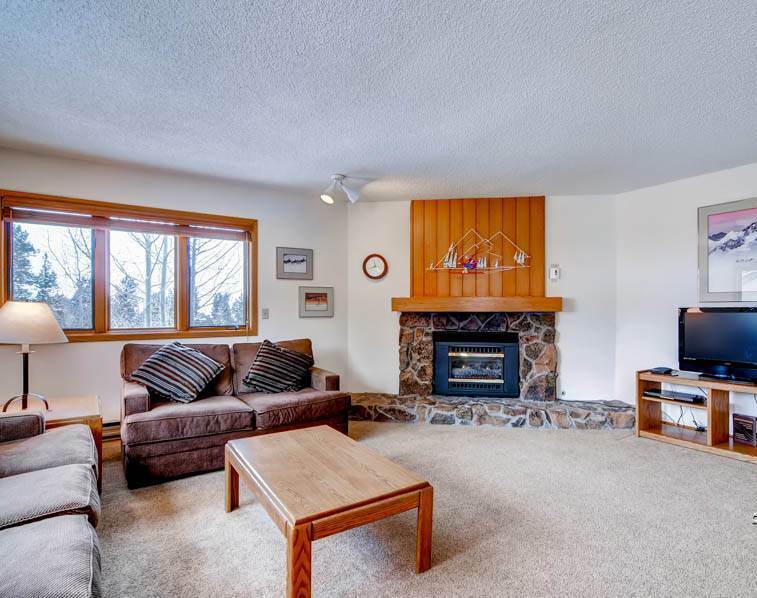 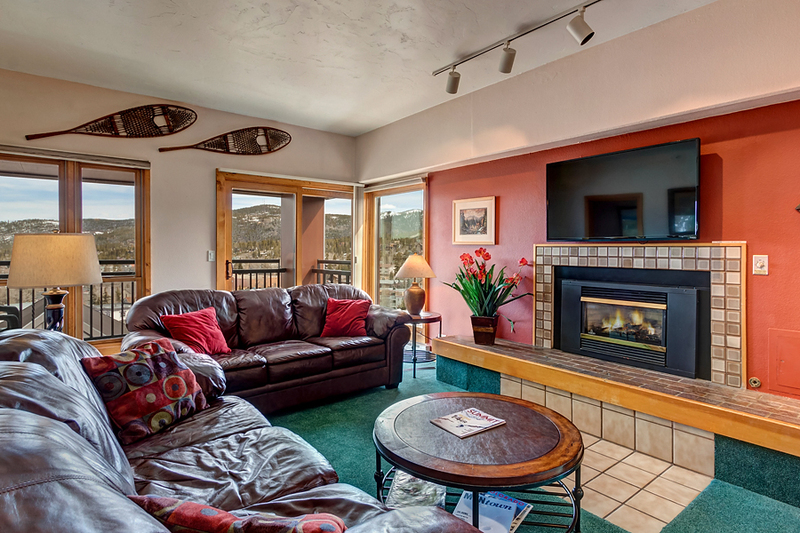 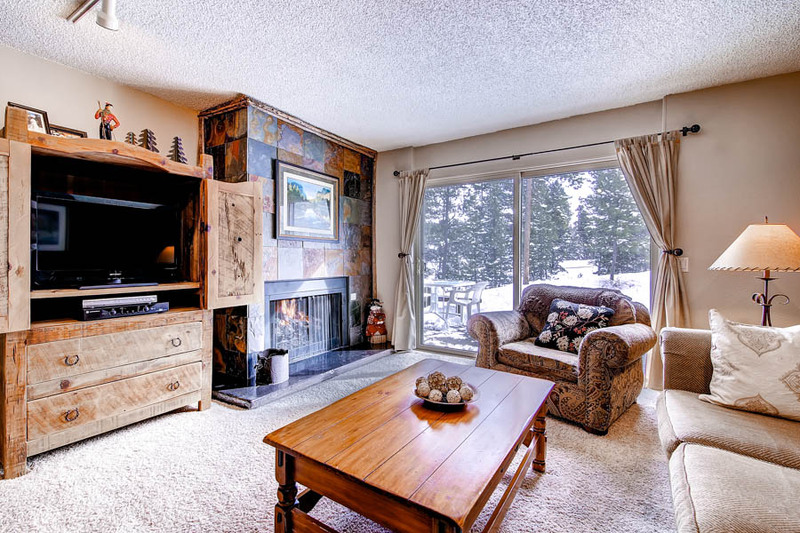 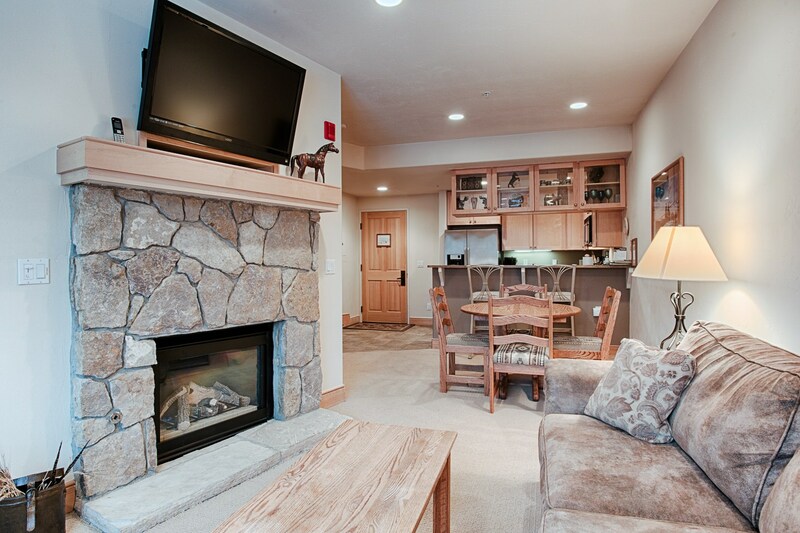 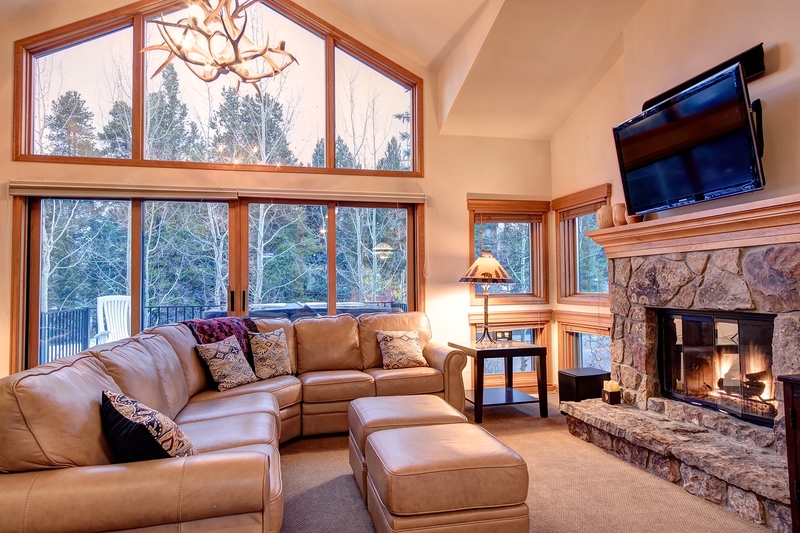 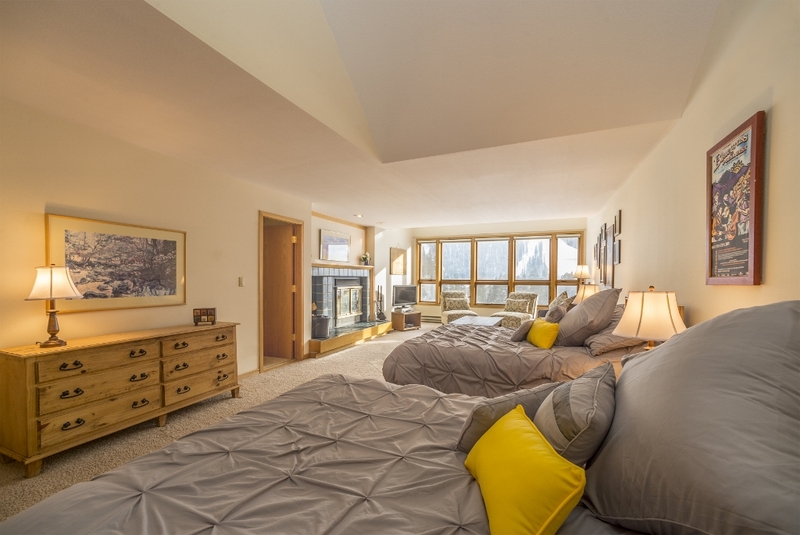 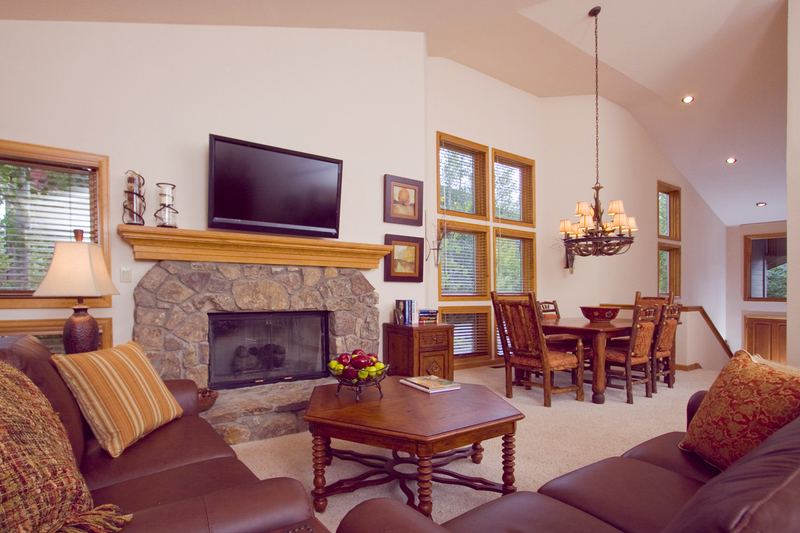 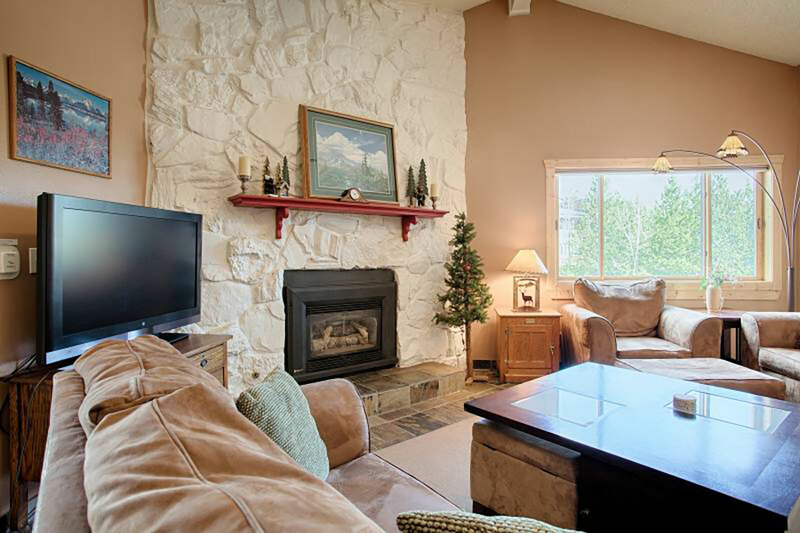 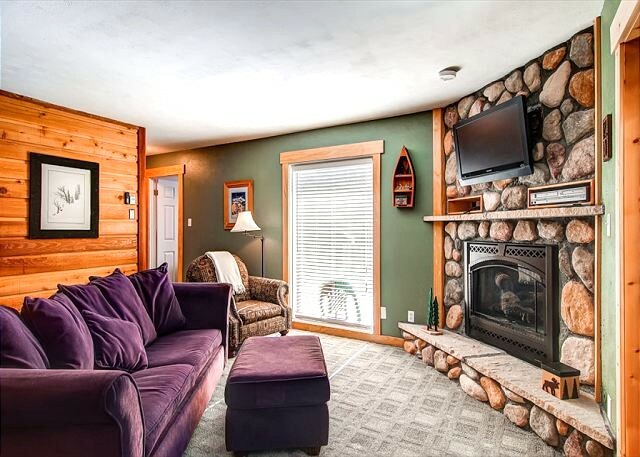 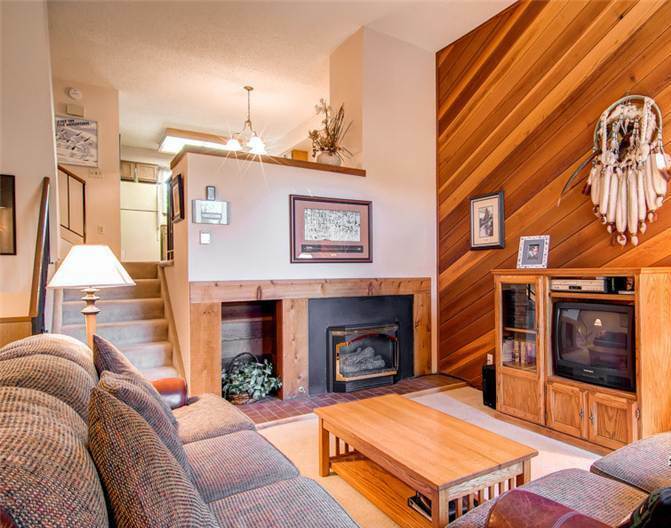 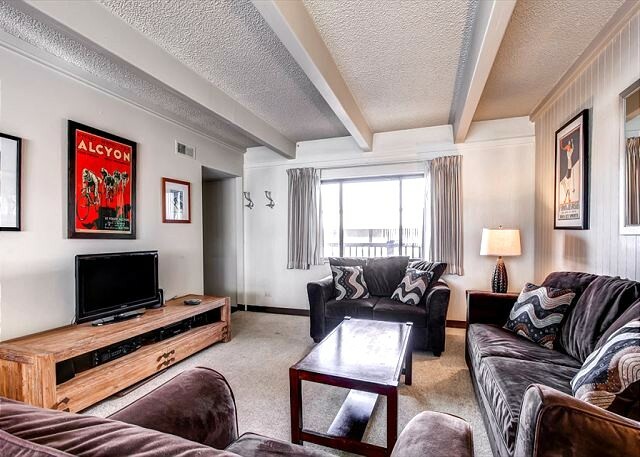 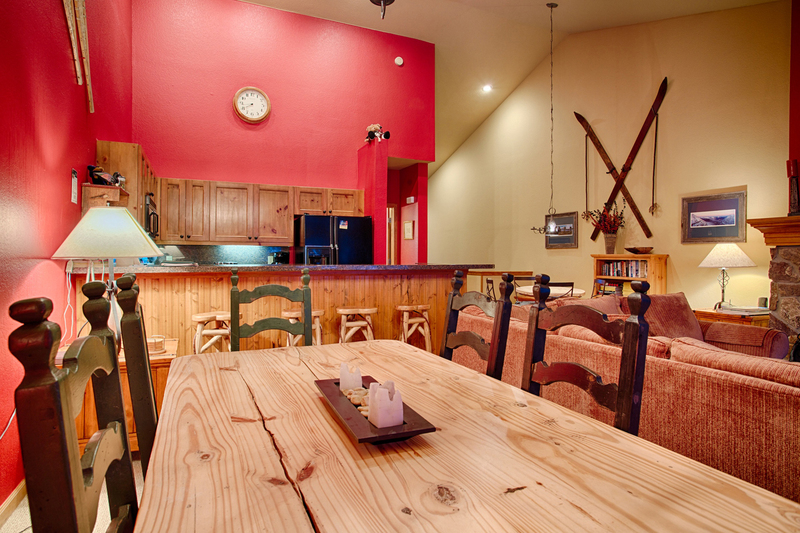 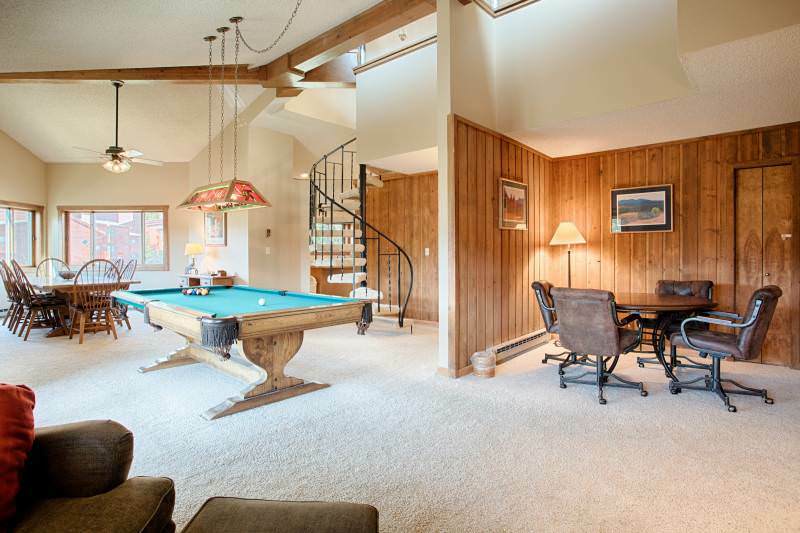 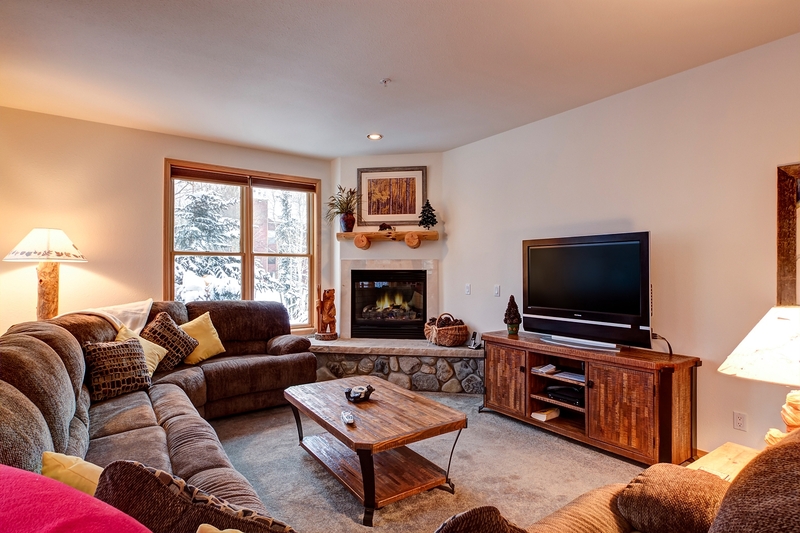 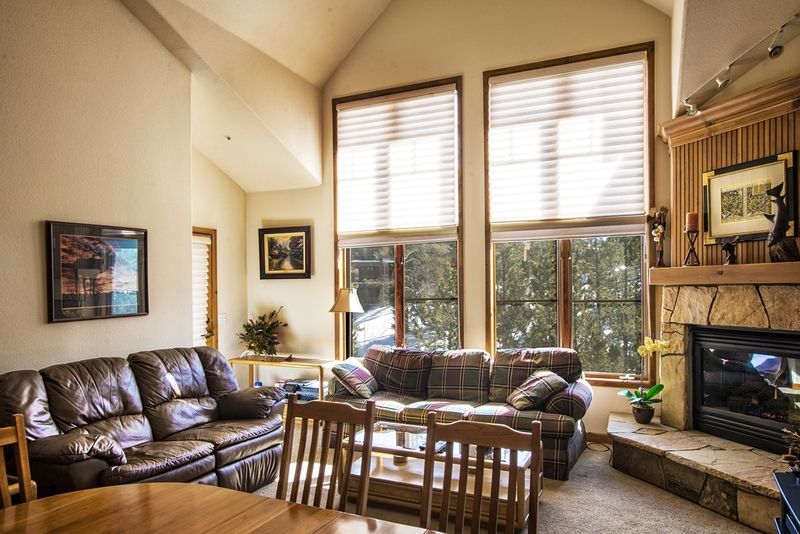 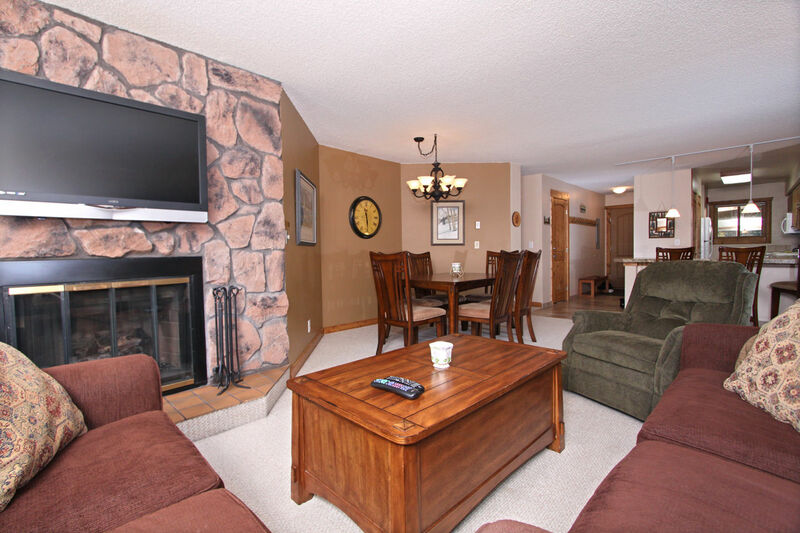 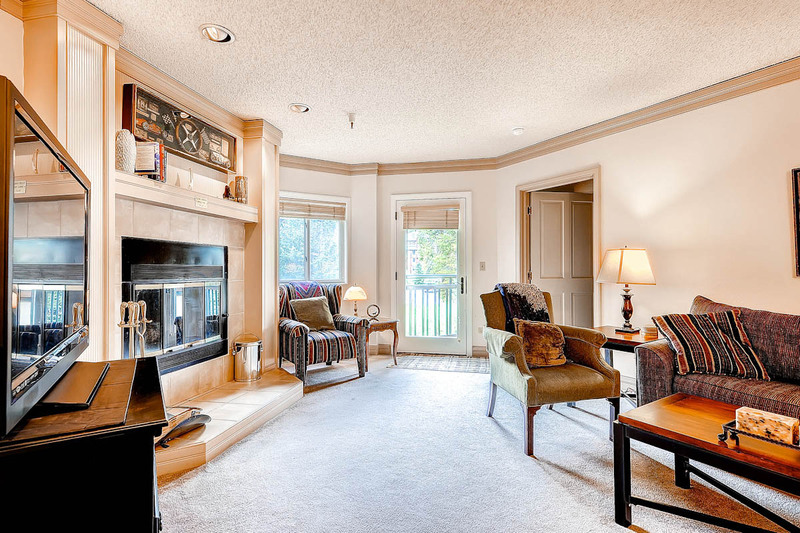 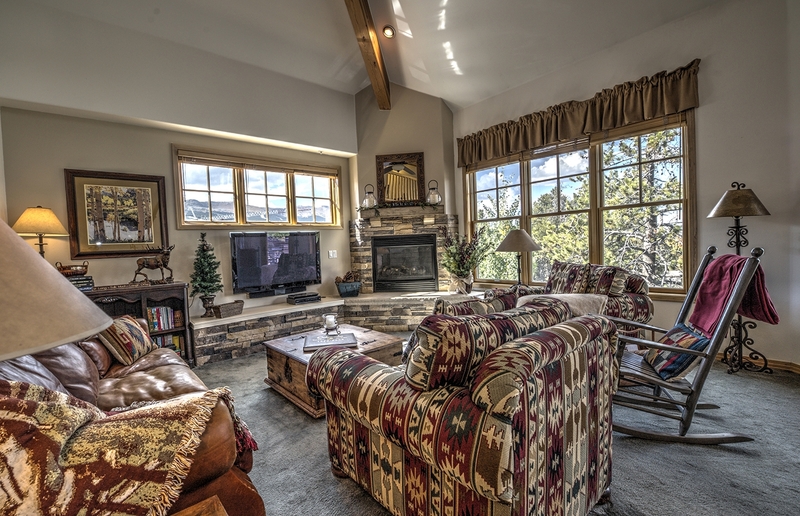 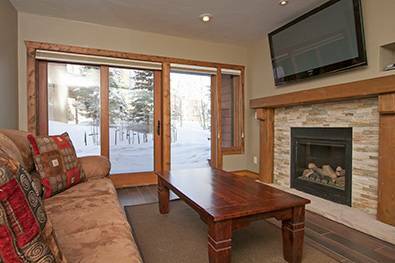 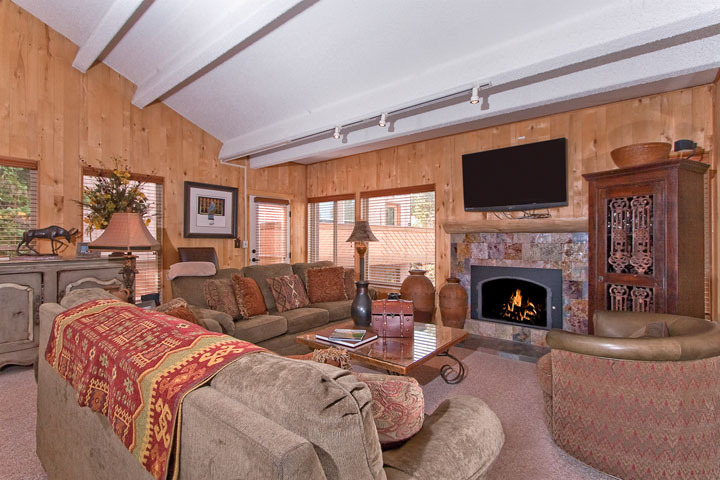 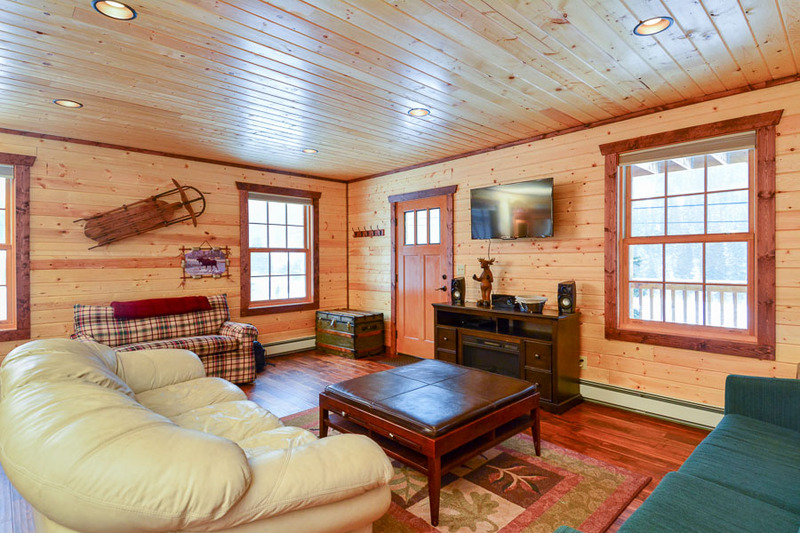 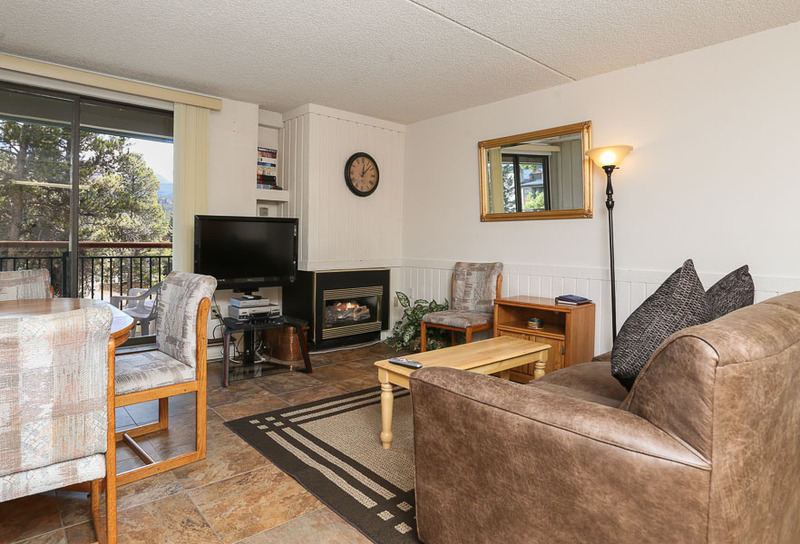 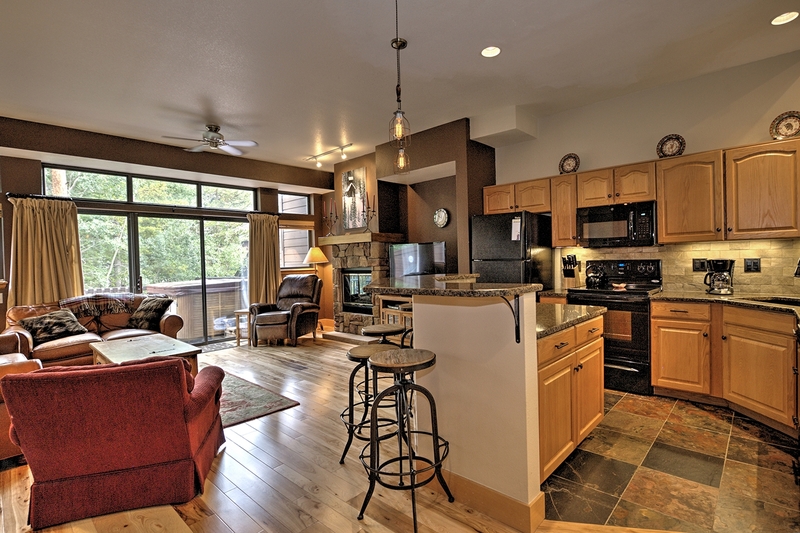 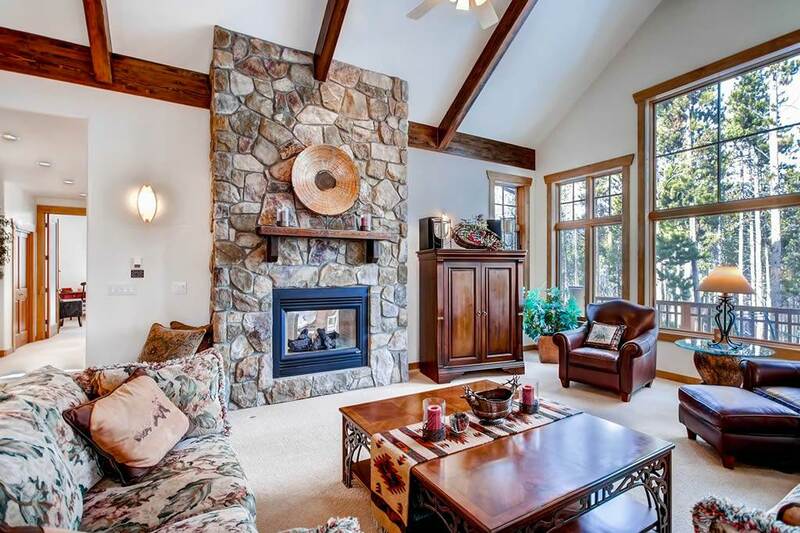 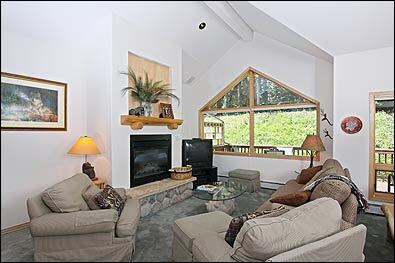 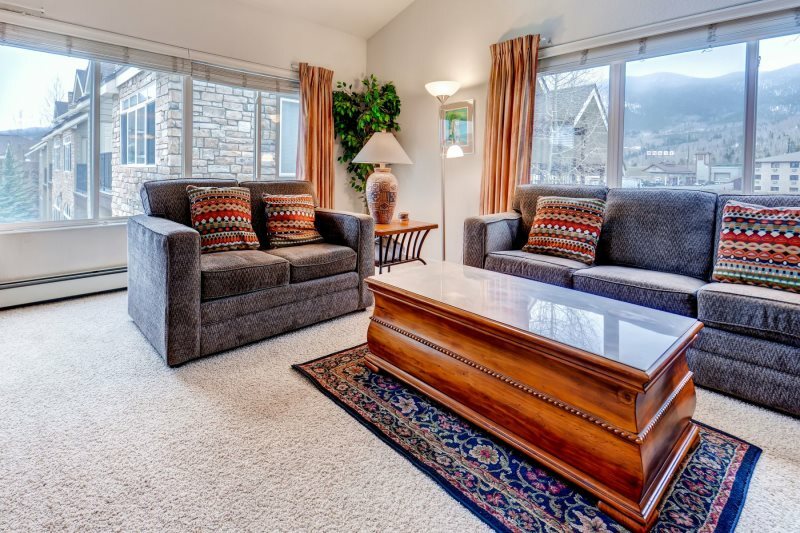 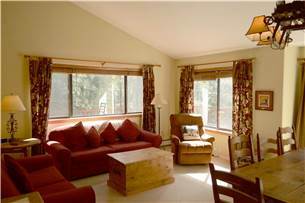 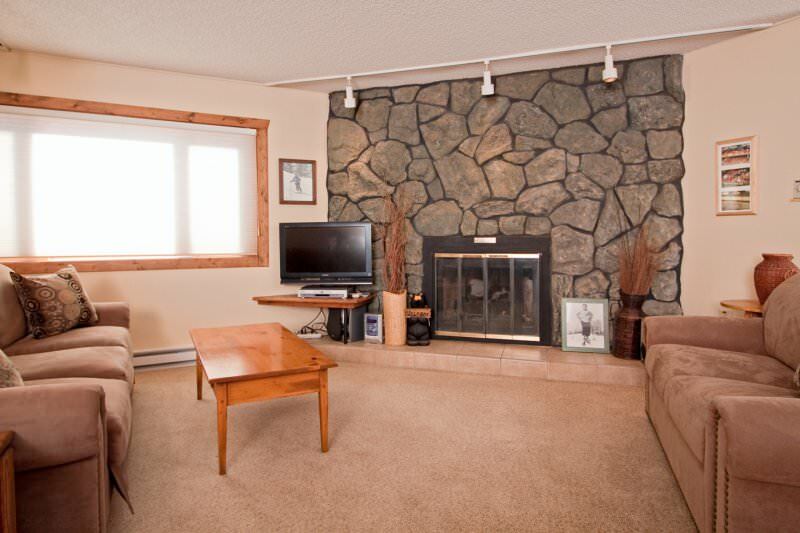 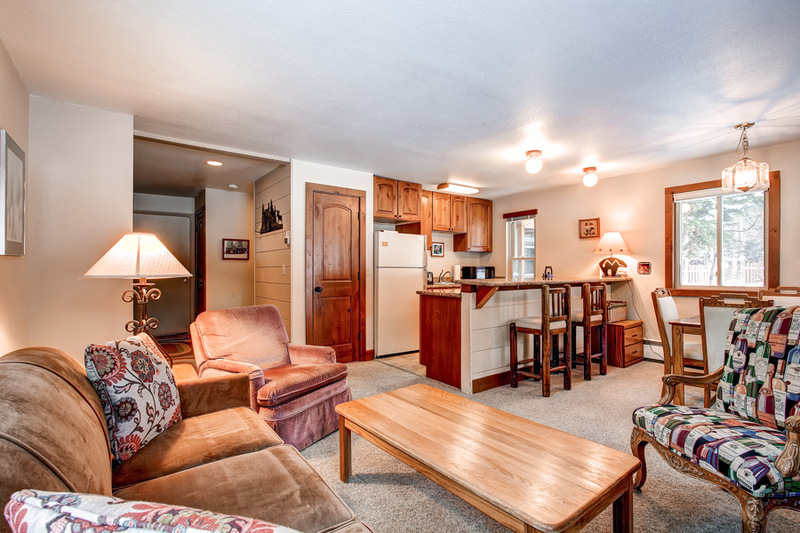 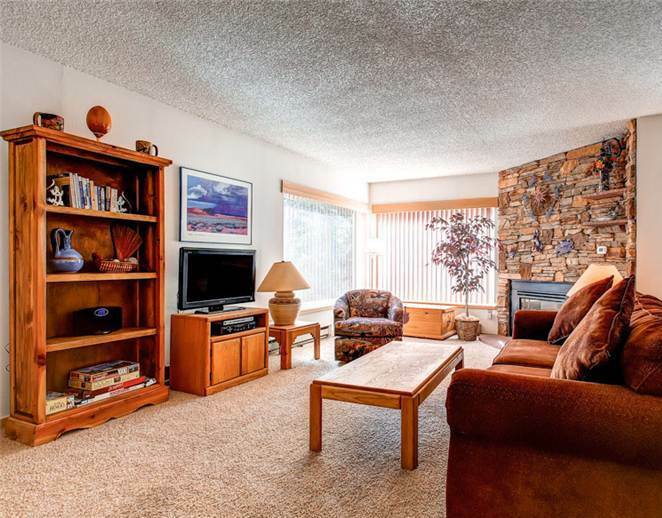 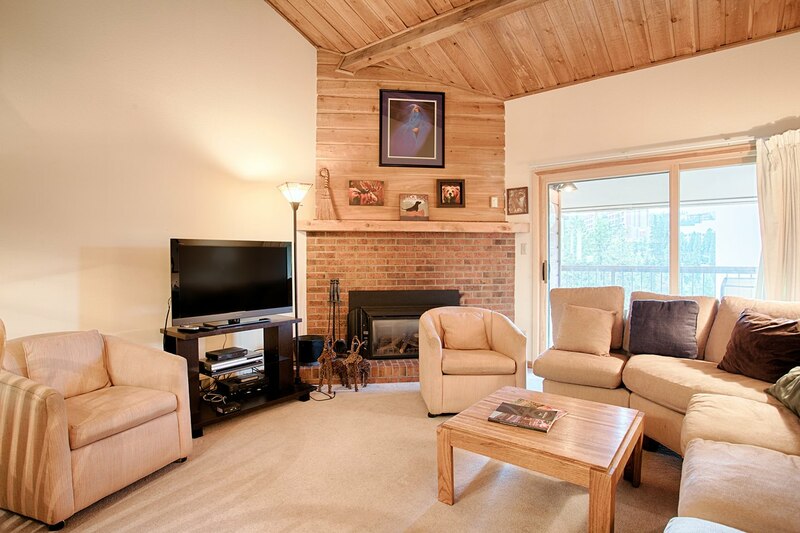 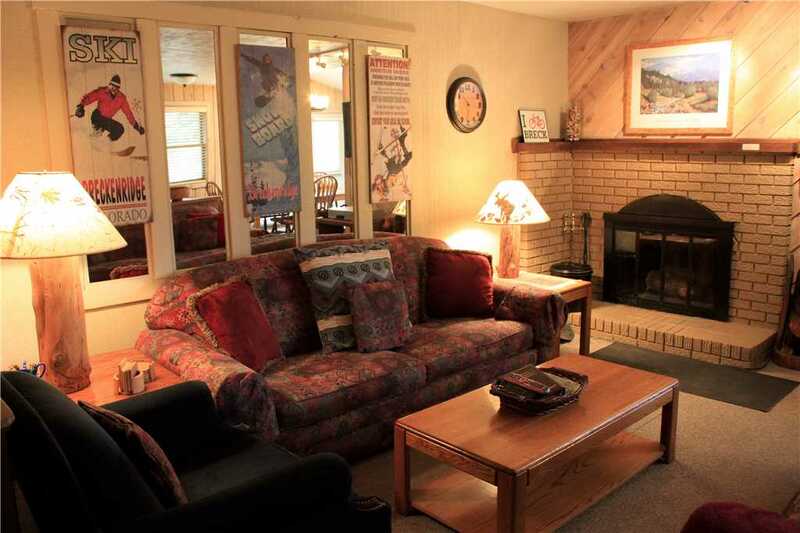 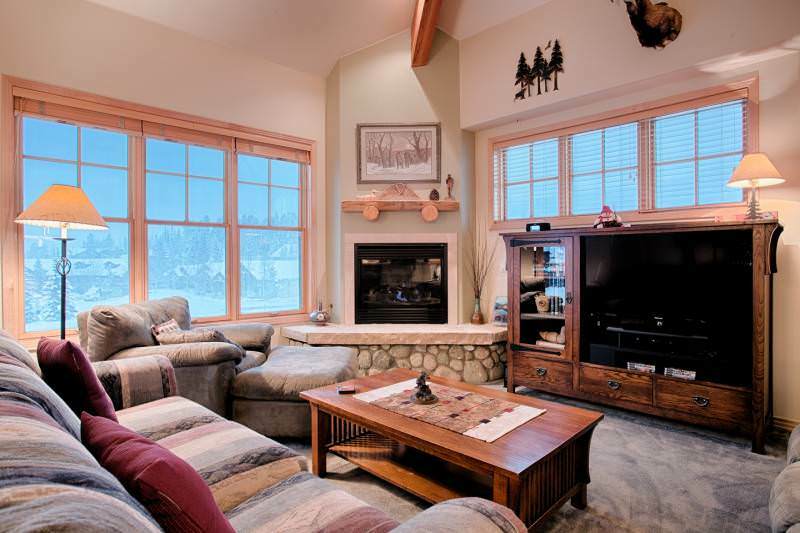 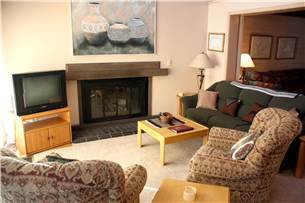 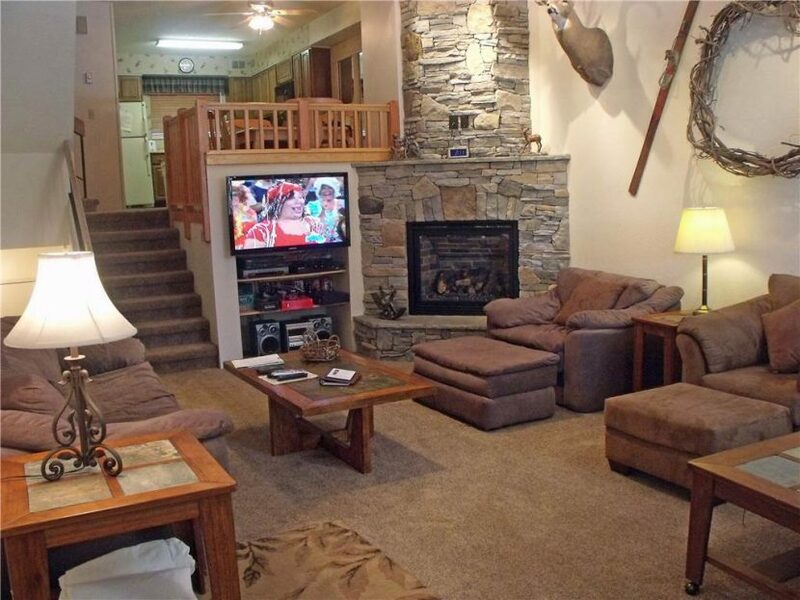 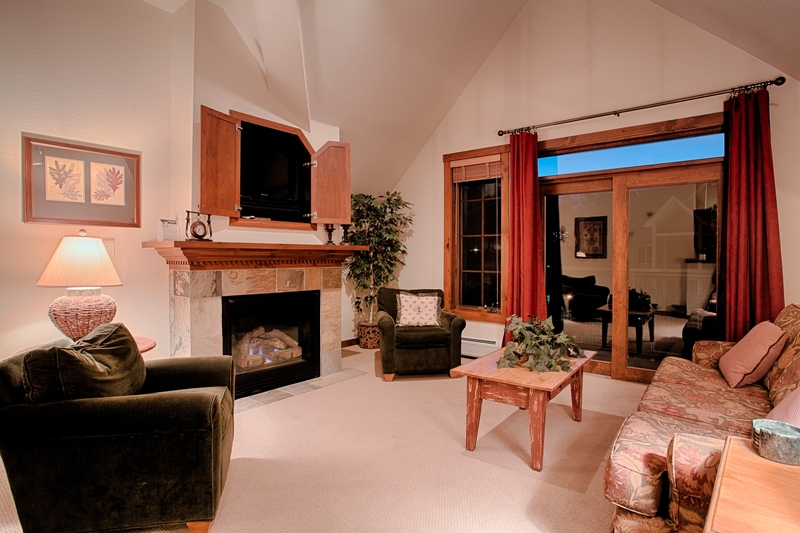 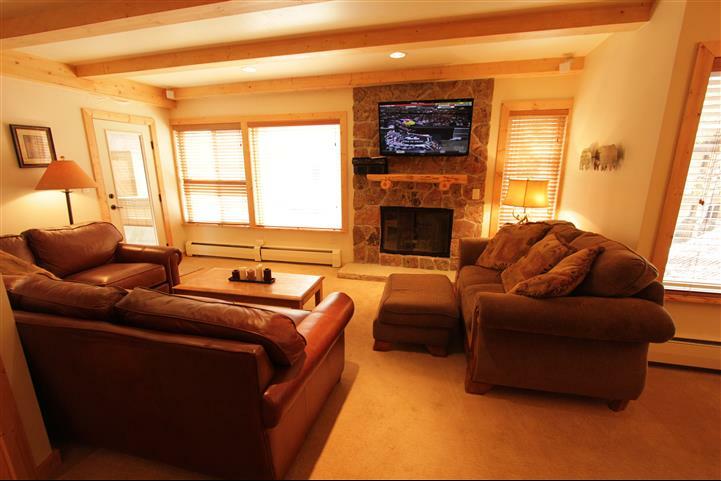 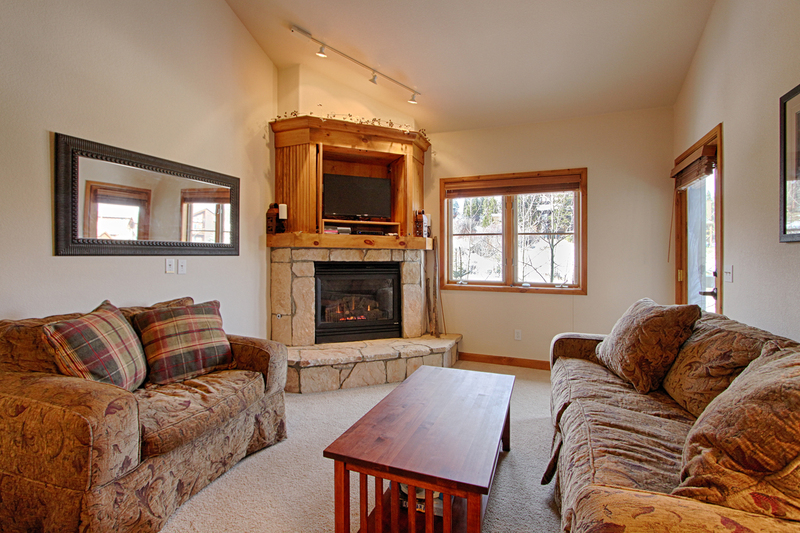 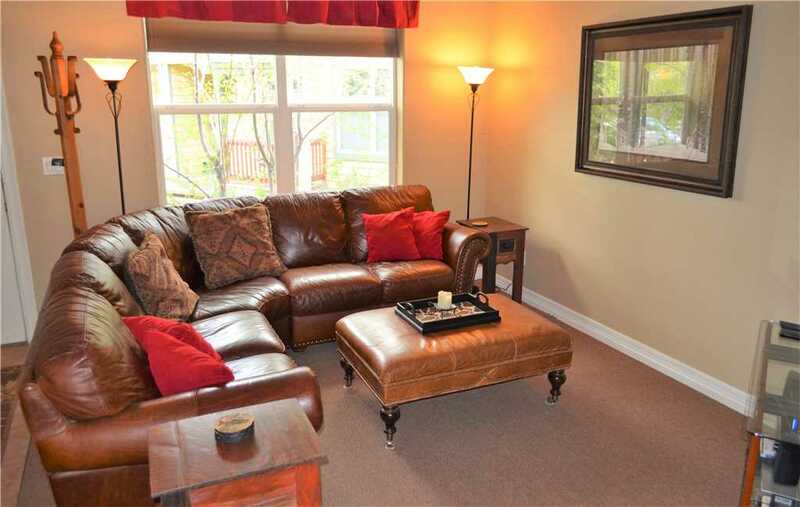 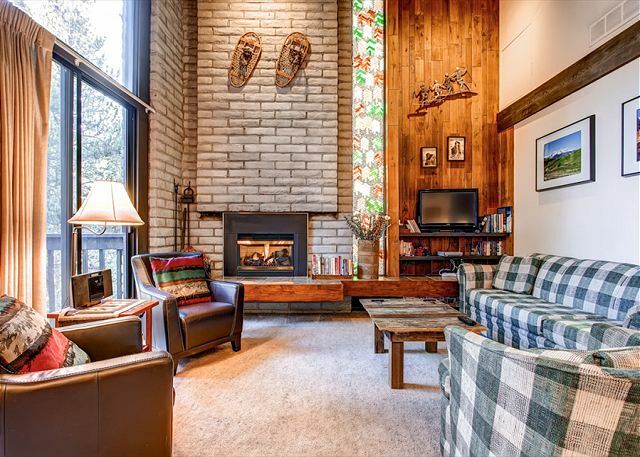 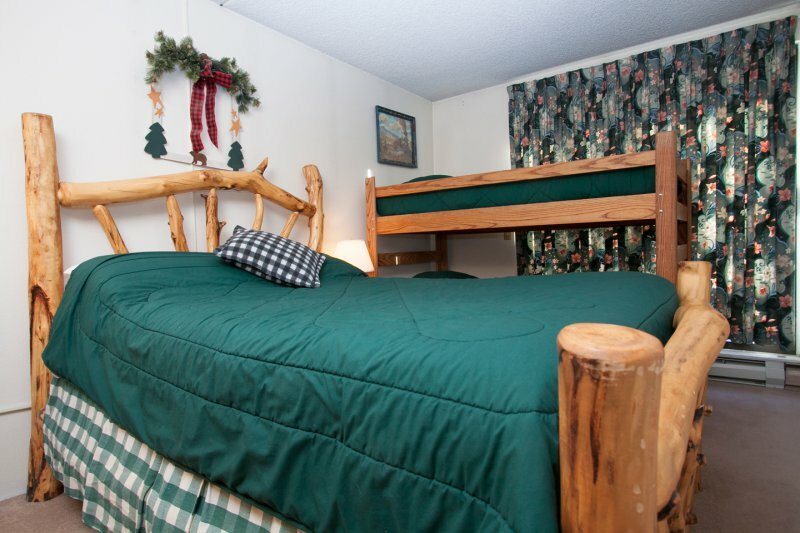 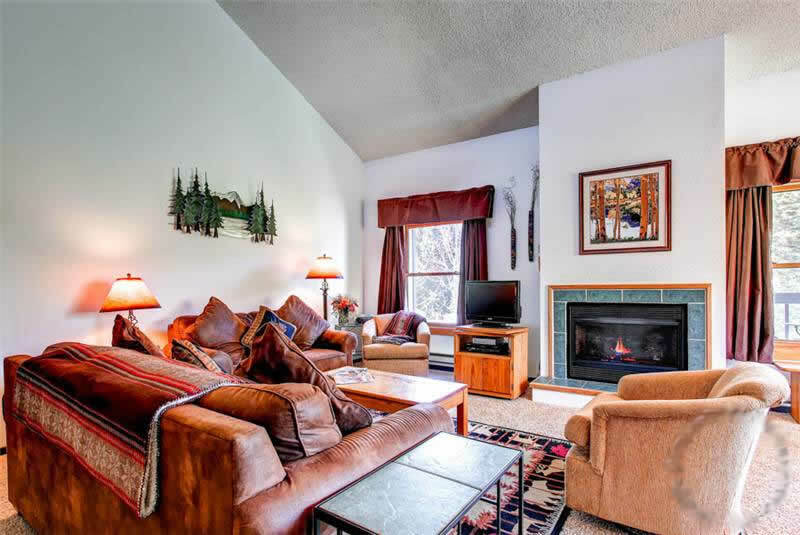 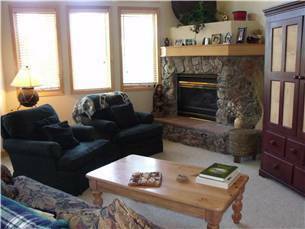 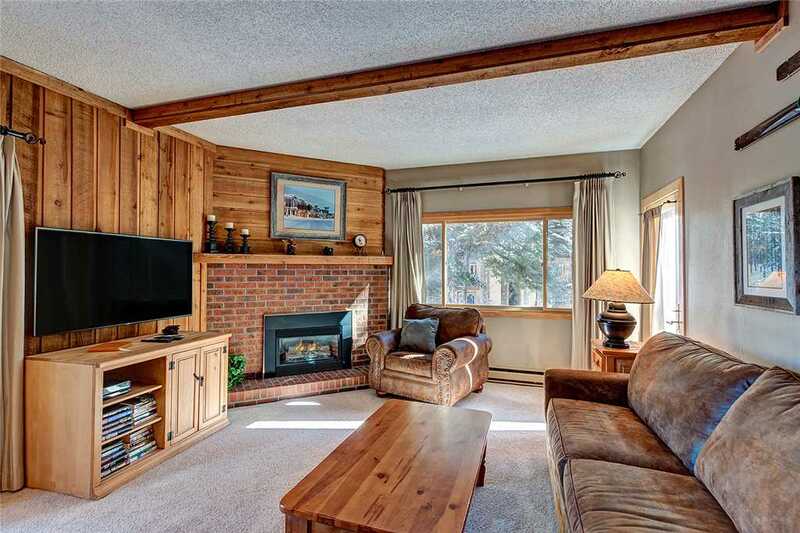 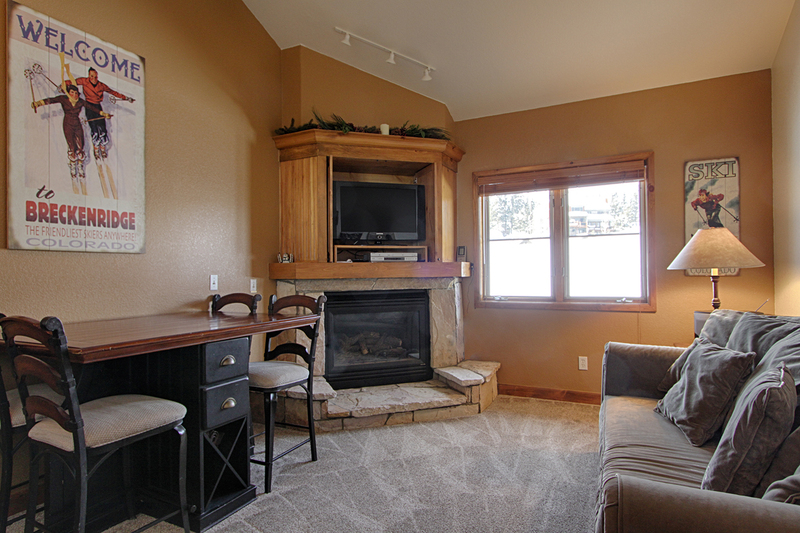 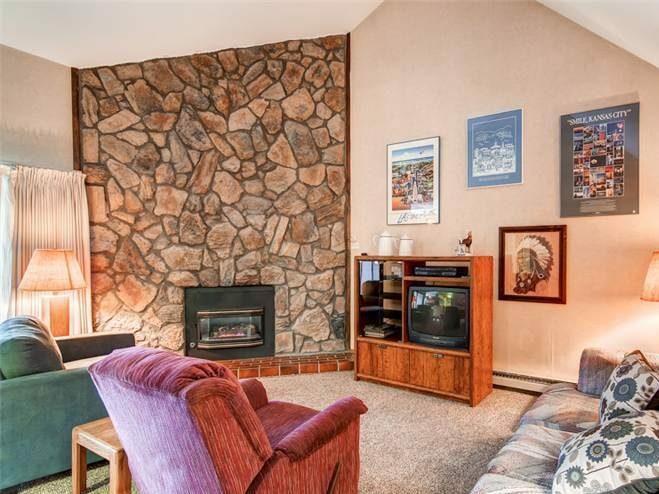 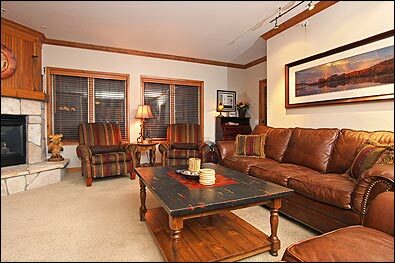 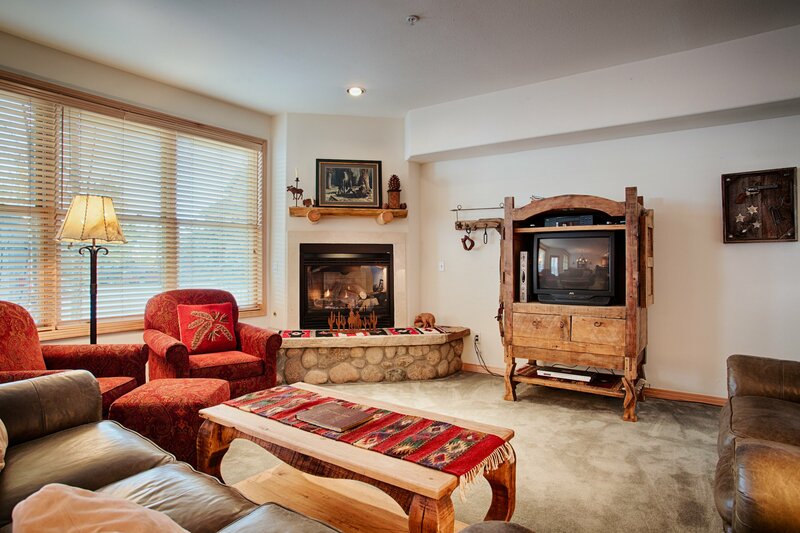 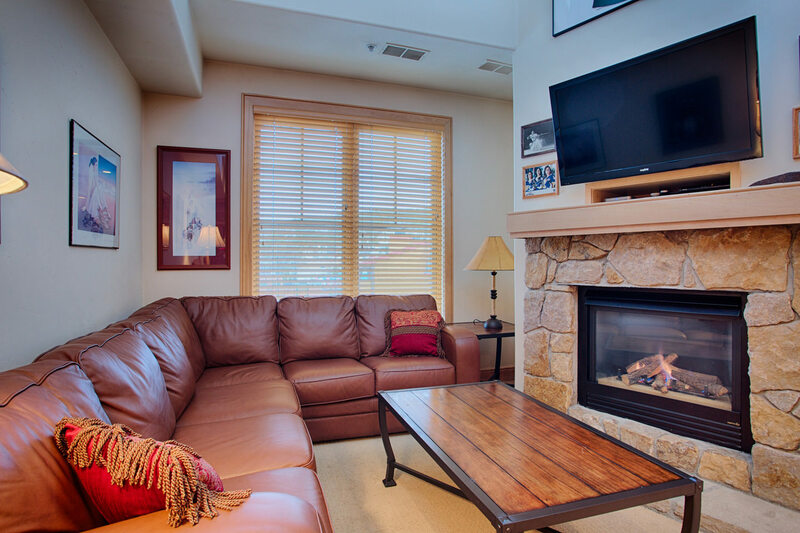 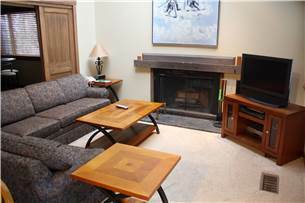 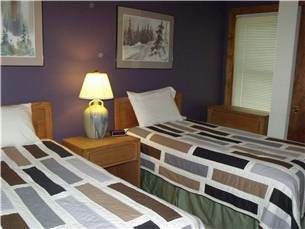 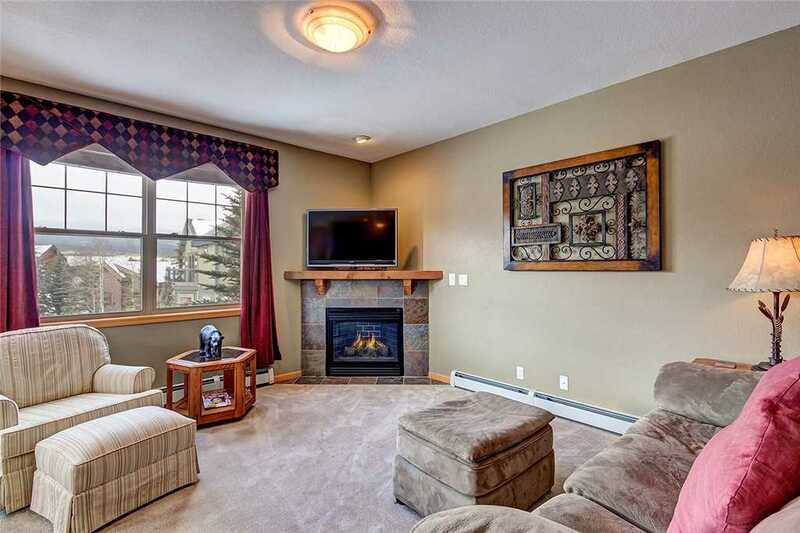 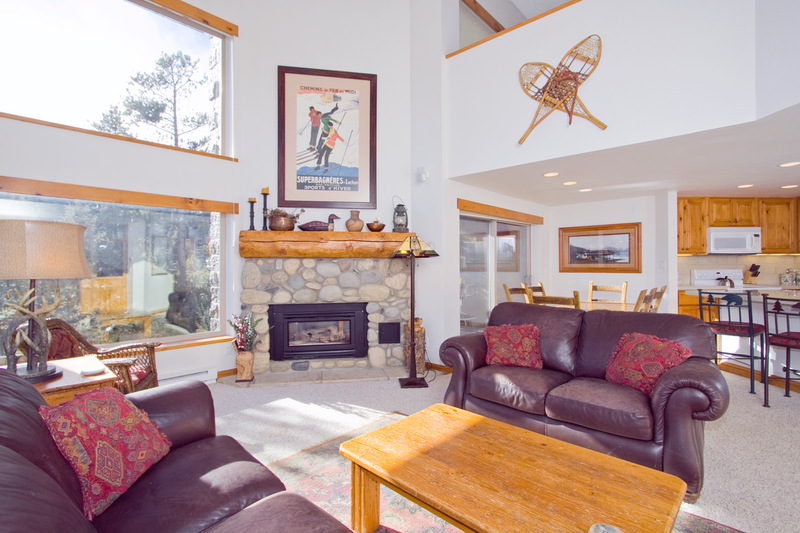 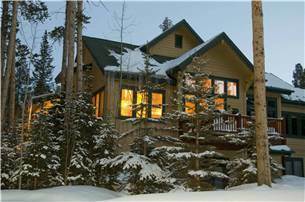 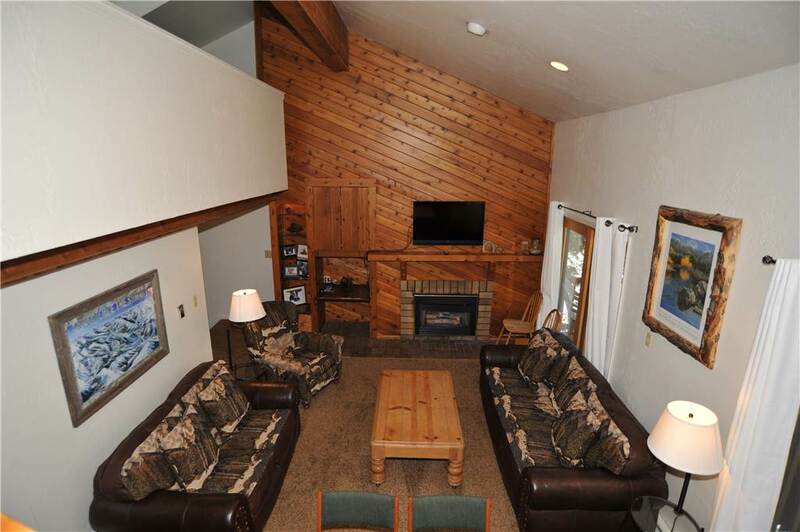 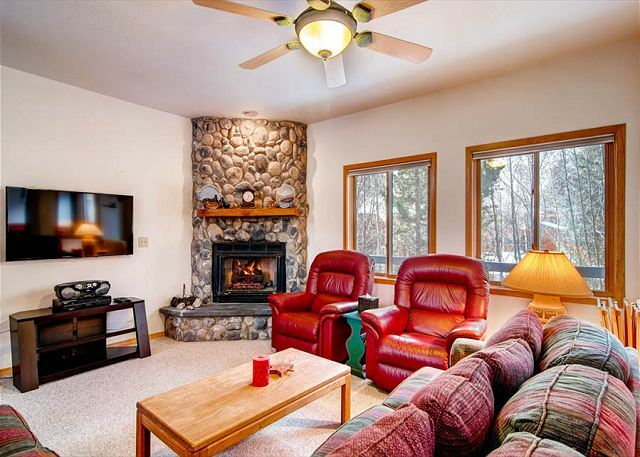 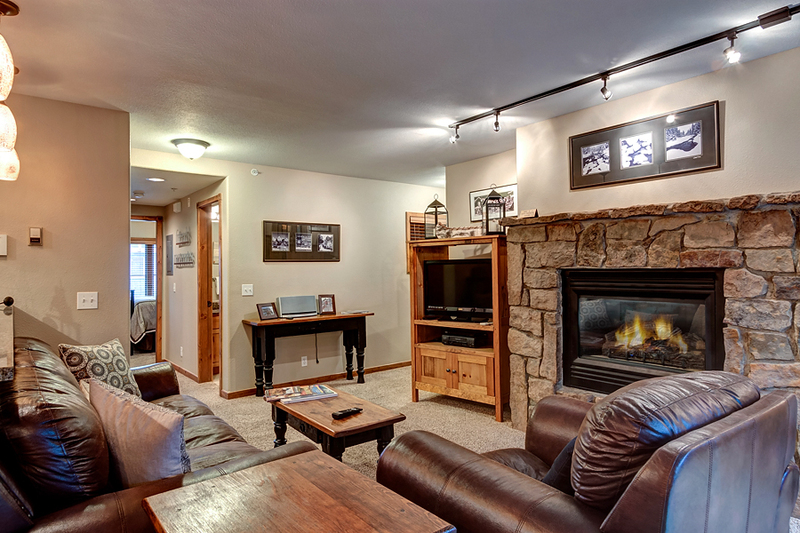 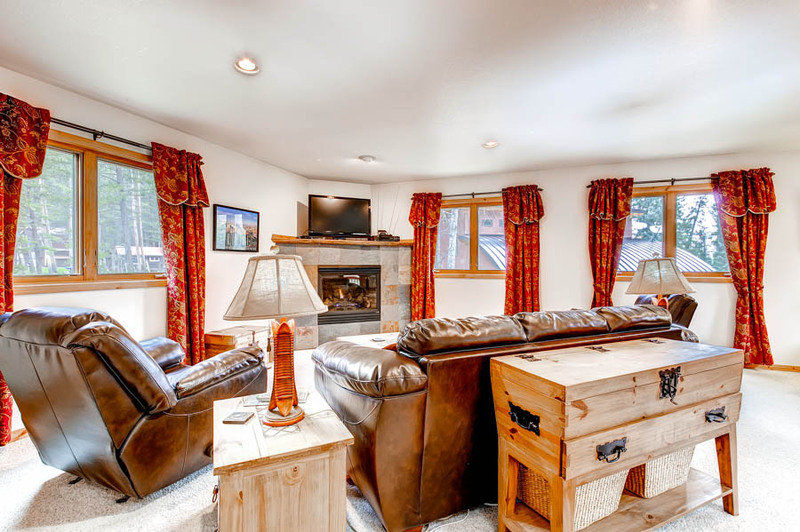 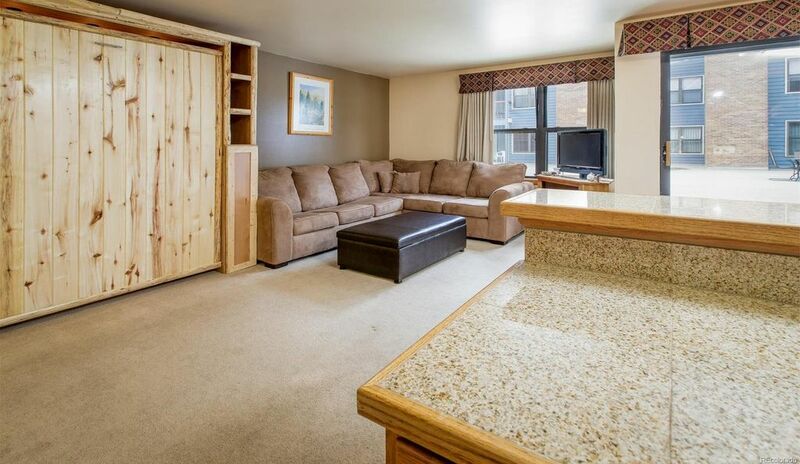 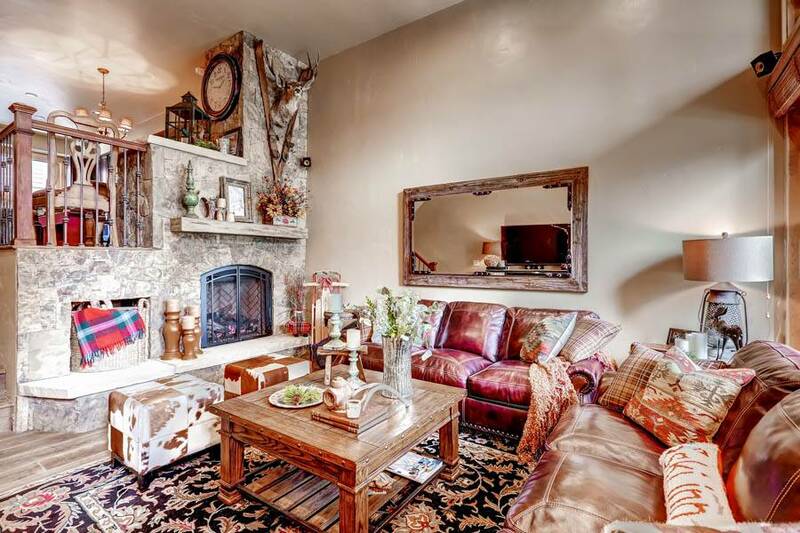 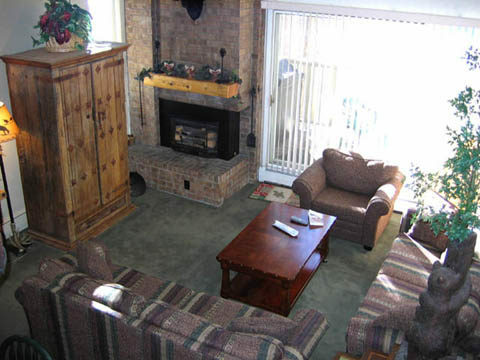 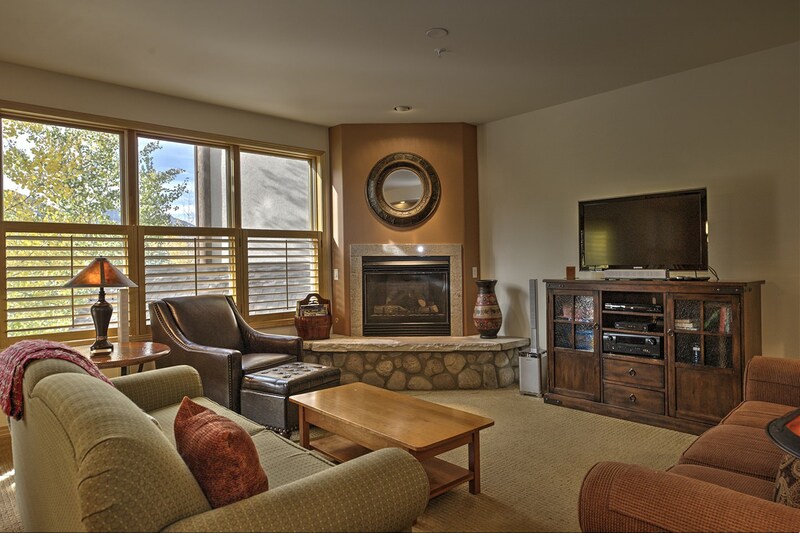 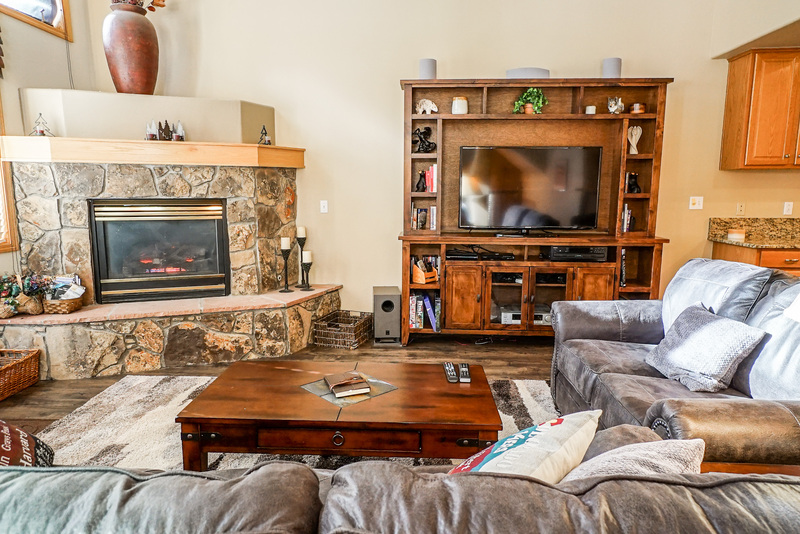 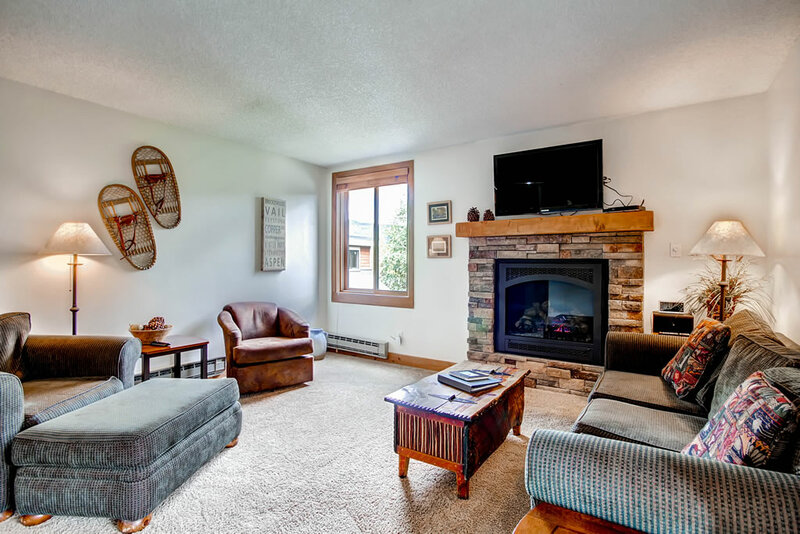 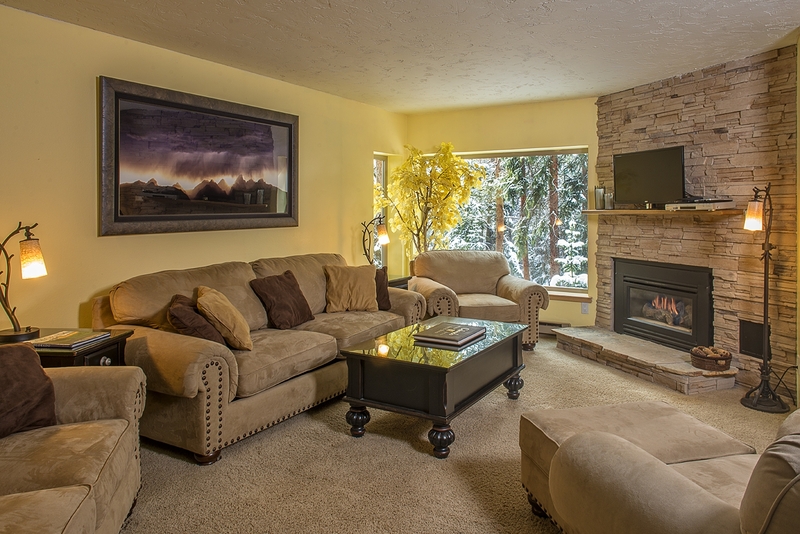 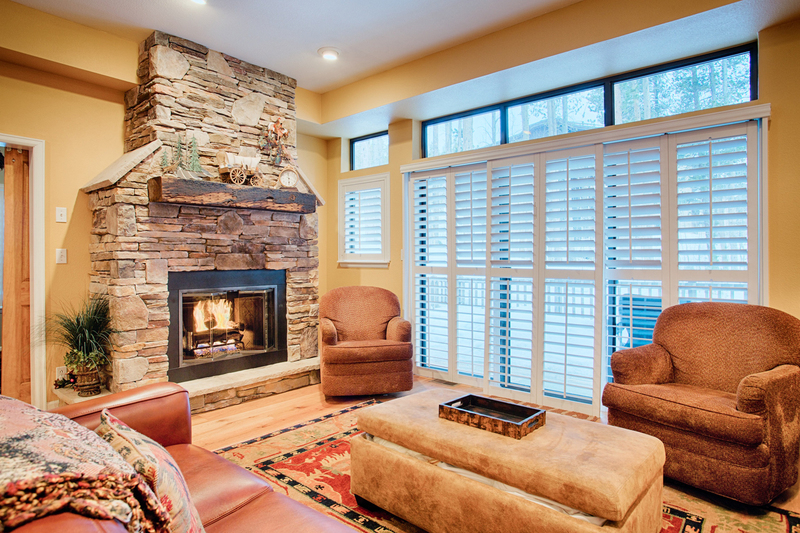 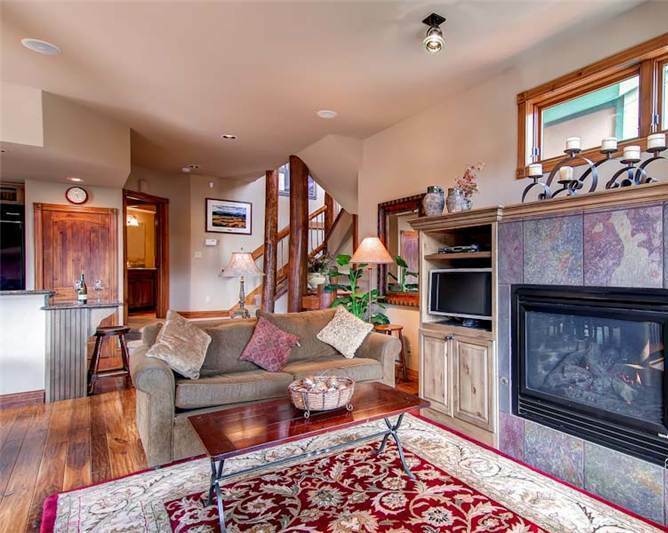 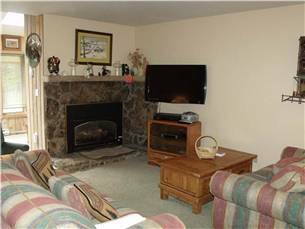 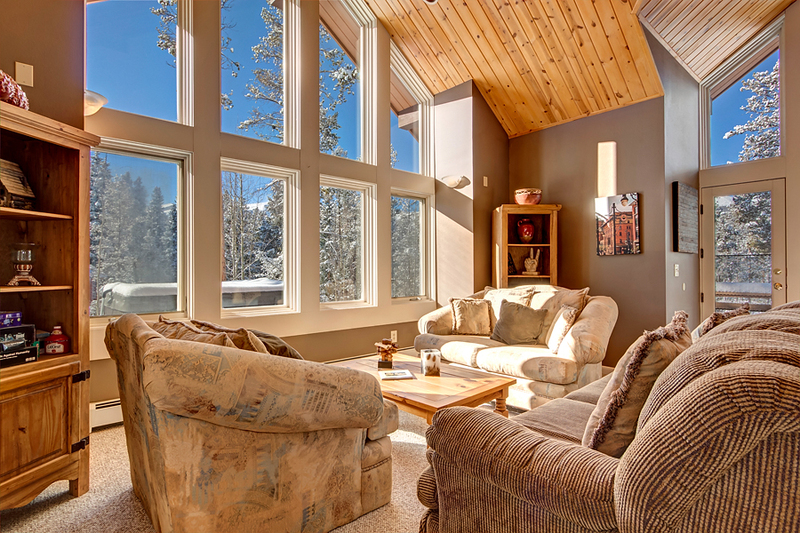 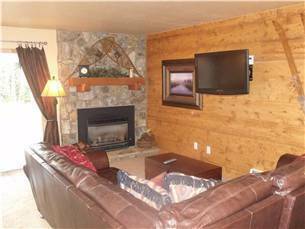 Just few steps down from the living room is the family room with a 55″” LCD TV/DVD, futon sleeper and a gas fireplace. 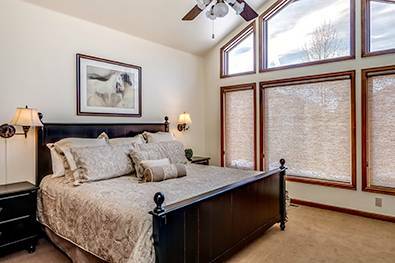 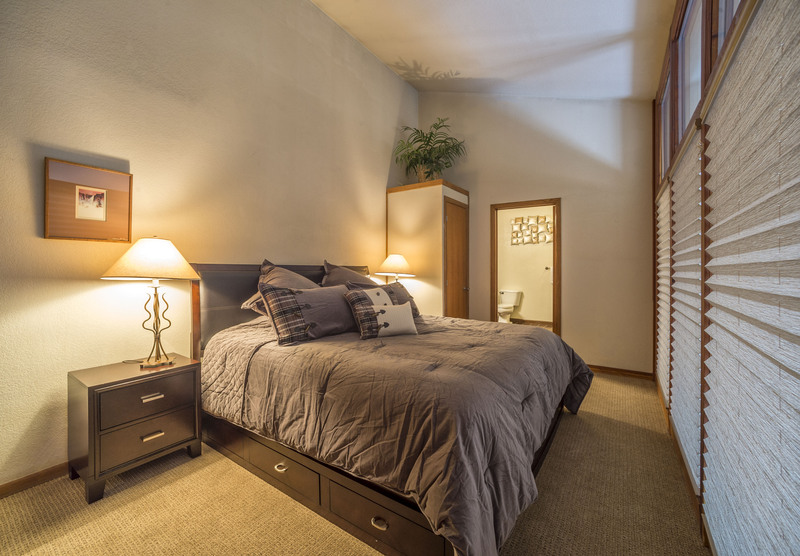 Located few steps up from the living room, the Master bedroom has a king-size bed (sleeps 2), TV and large double sink master bathroom. 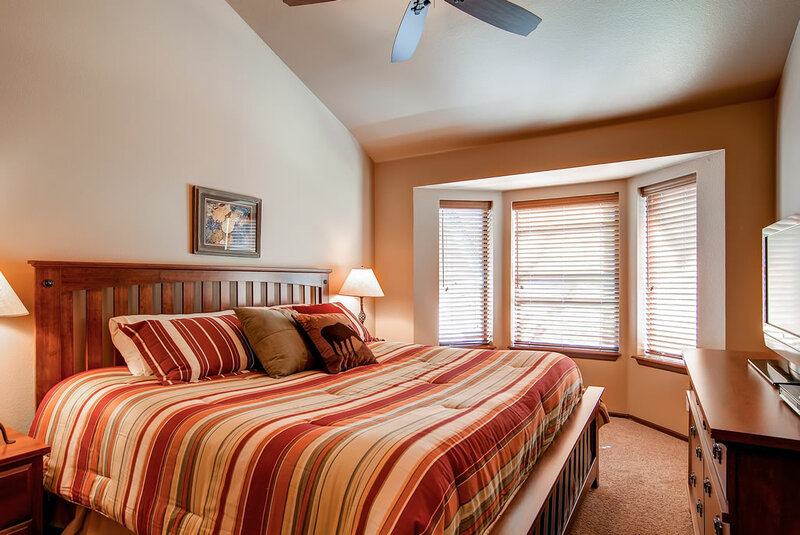 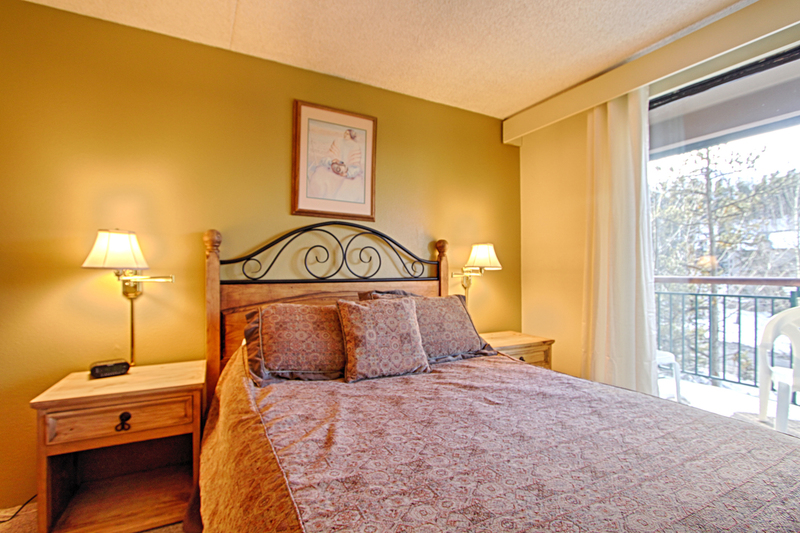 The other two bedrooms are located on the garden level. 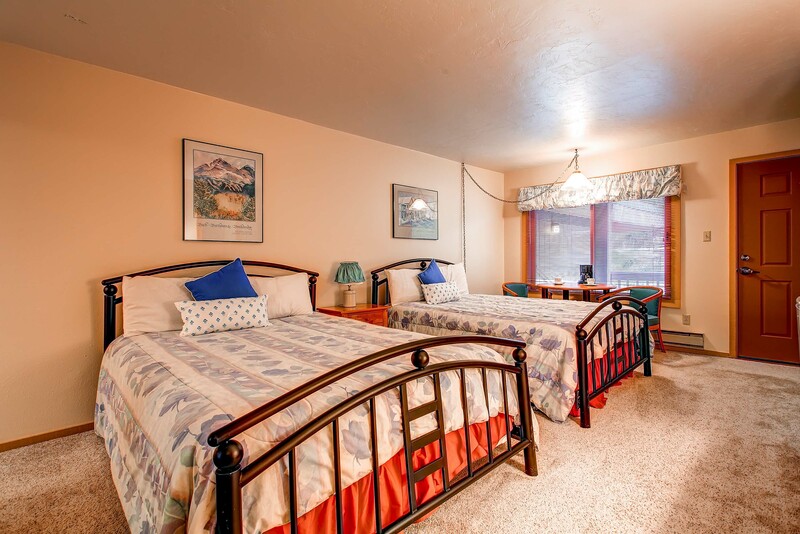 Second bedroom has a queen bed (sleeps 2) and shares a full Jack’n’Jill style bathroom with third bedroom that has two Captain’s bunk beds (2 full, 2 twins, sleeps 4). 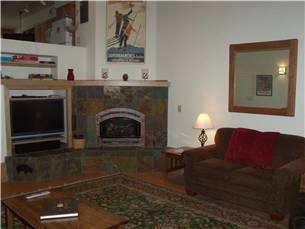 There is a queen sofa sleeper (sleeps 2) in the living room and another queen futon sleeper (sleeps 2) in the family room that shares a 3/4 bath (shower only). 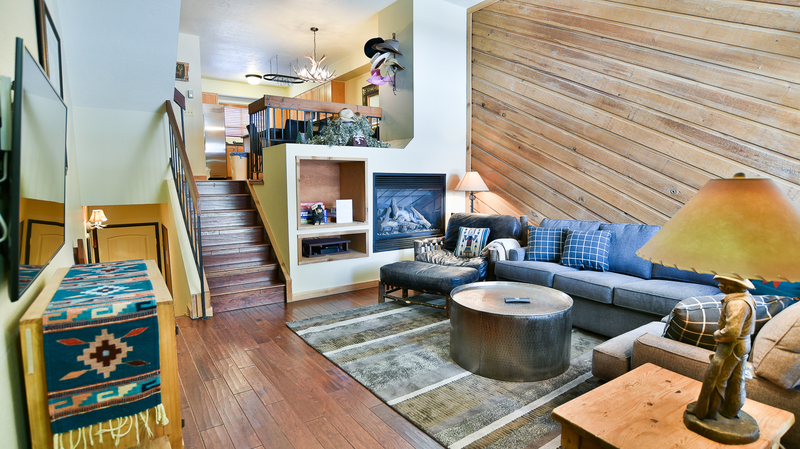 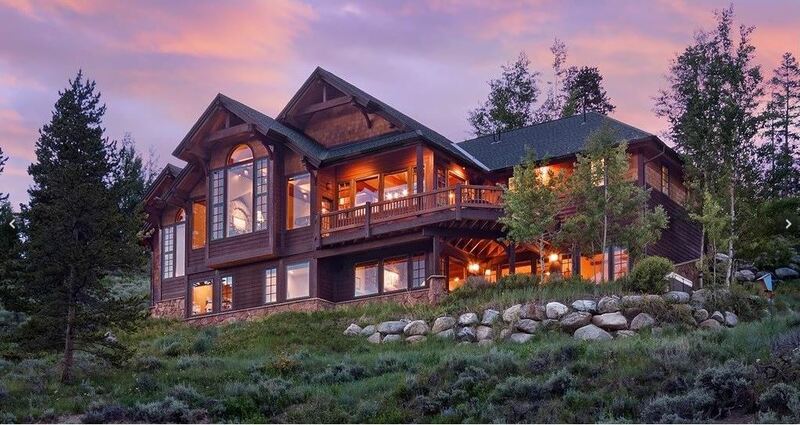 Total sleeps 12. 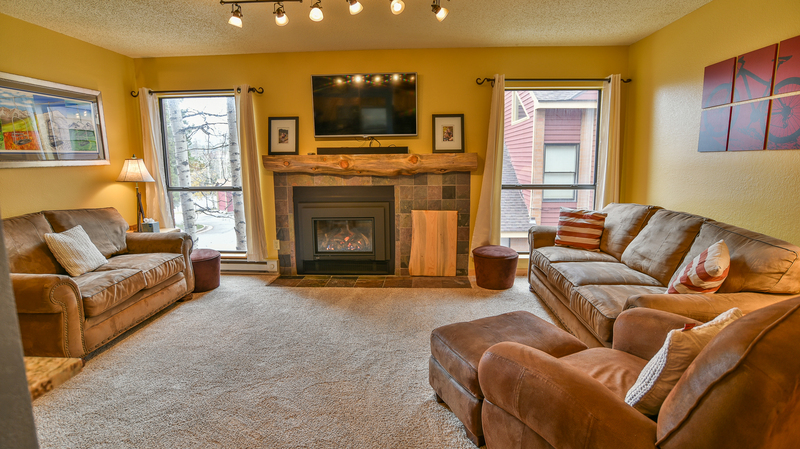 With a one-car garage, private outdoor hot tub, gas grill on deck, washer/dryer, WIFI, near shuttle stop, Park Forest is the ultimate spot for comfort and convenience.